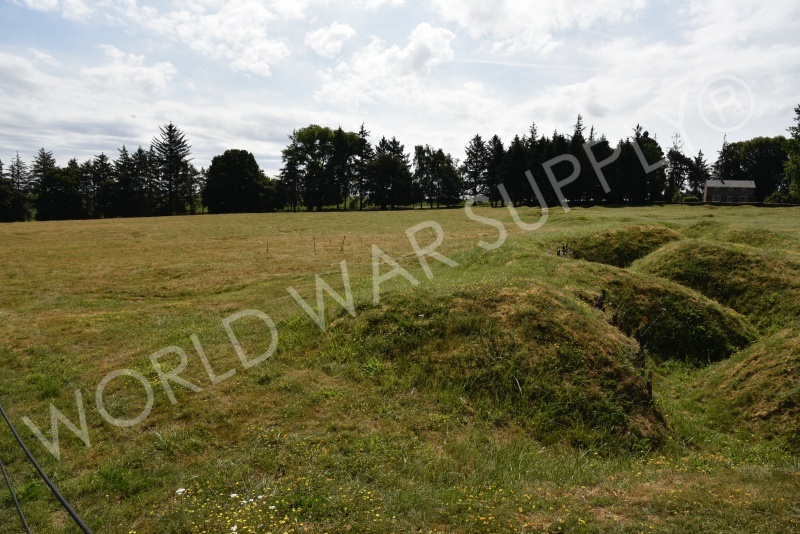 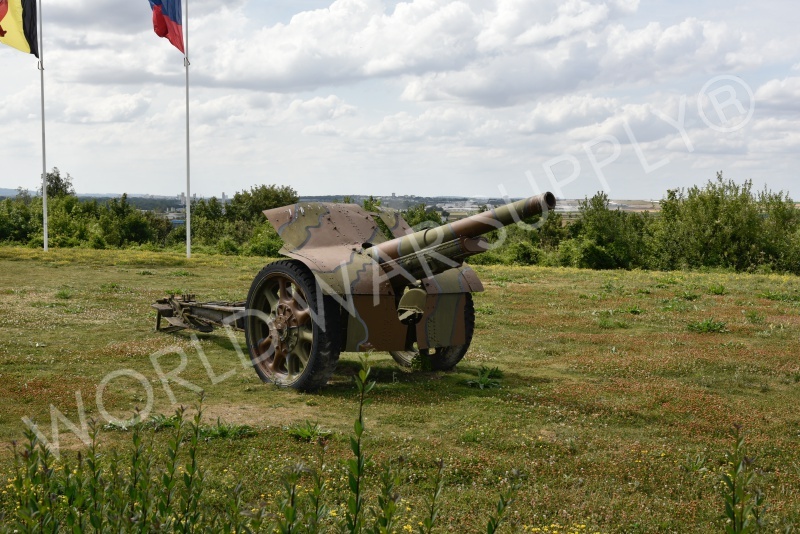 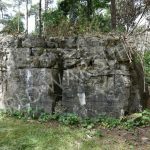 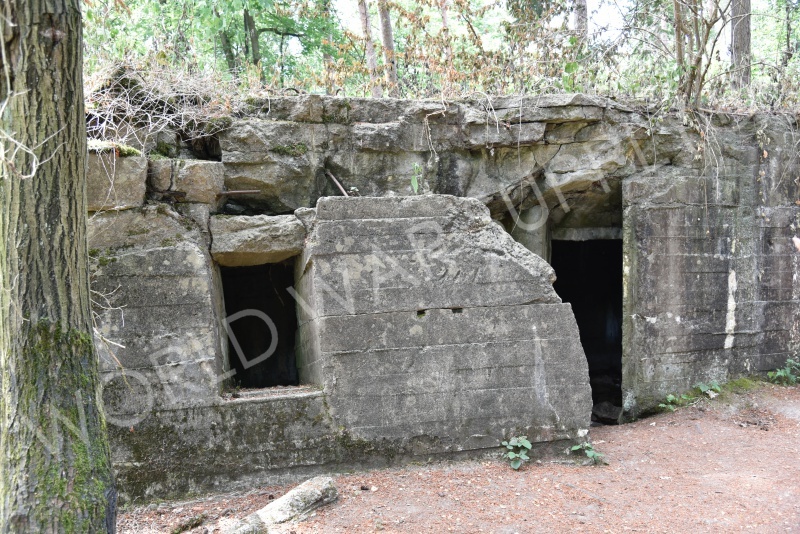 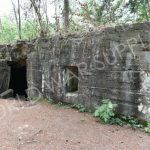 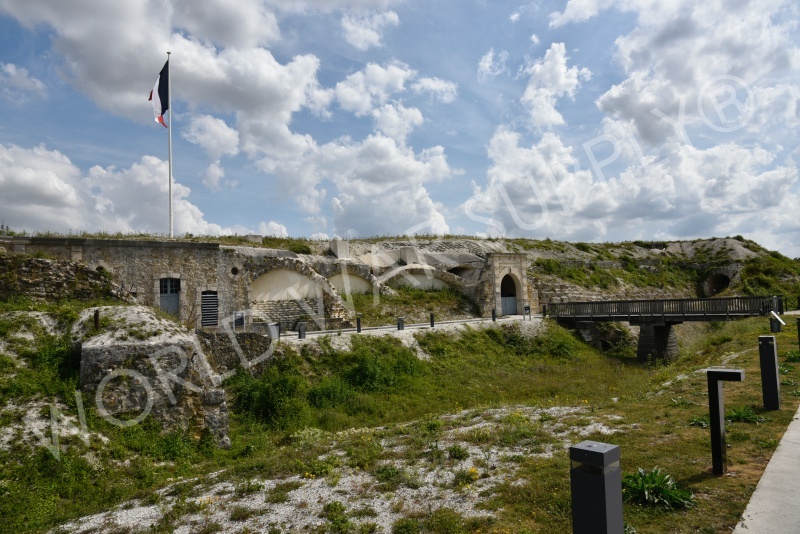 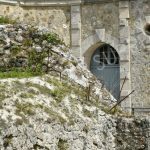 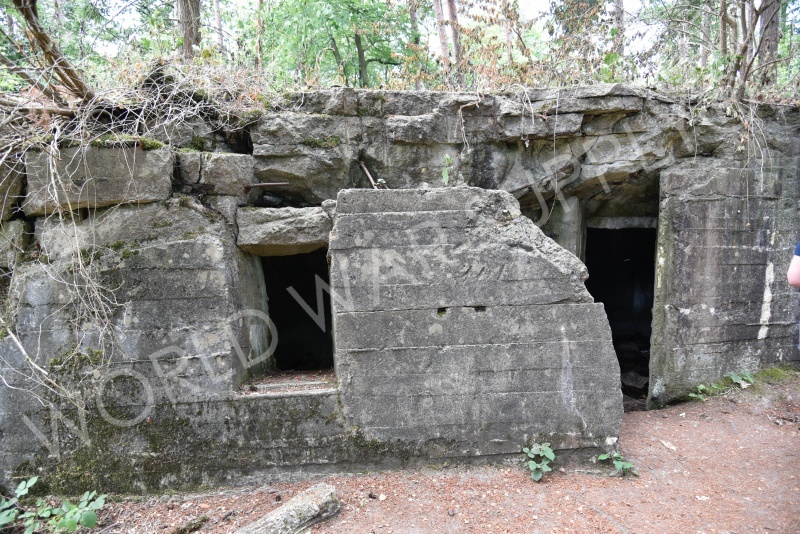 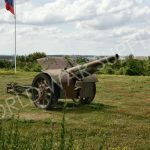 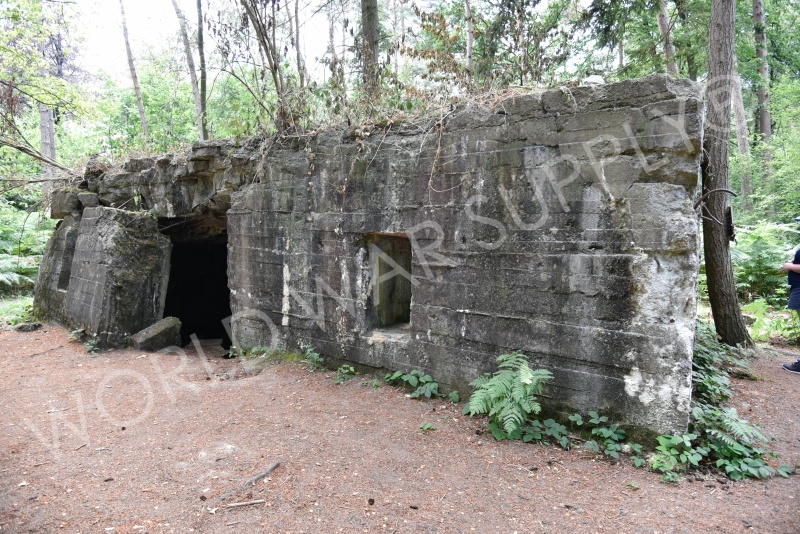 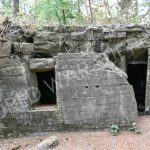 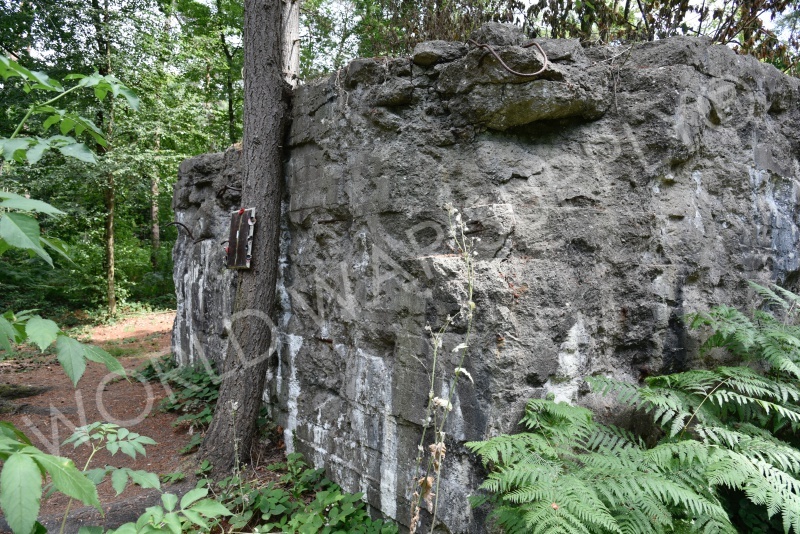 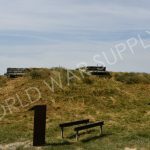 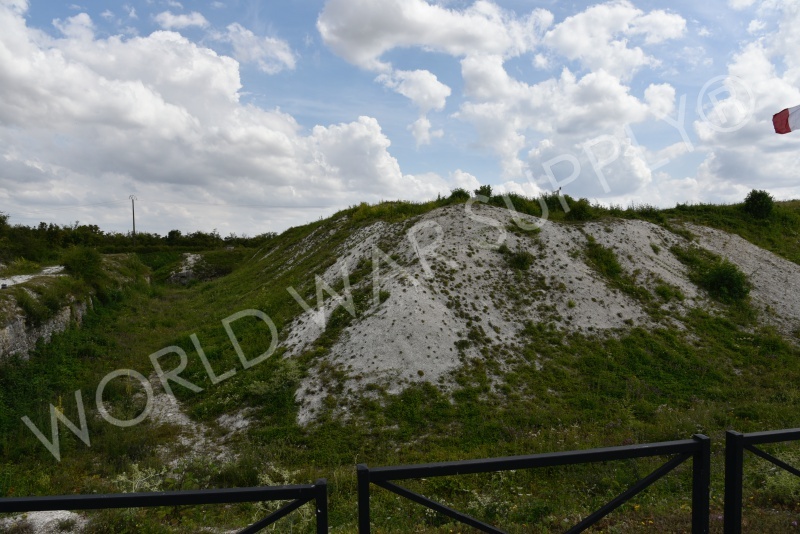 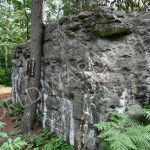 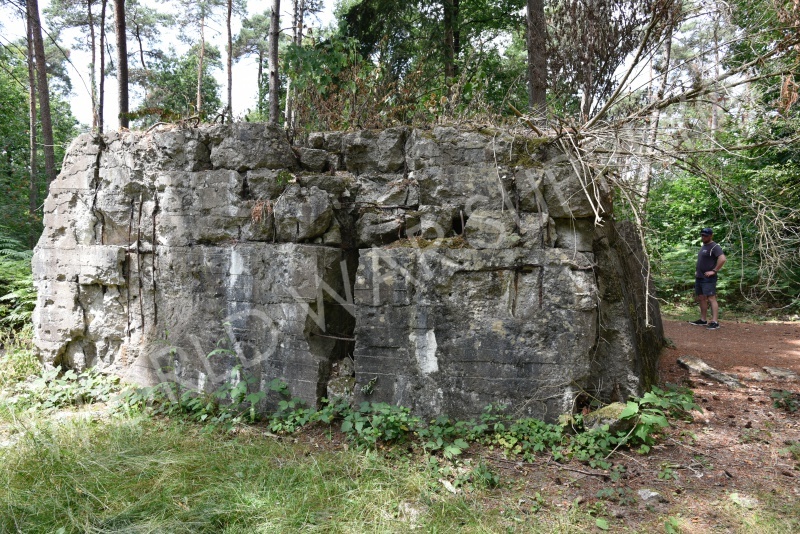 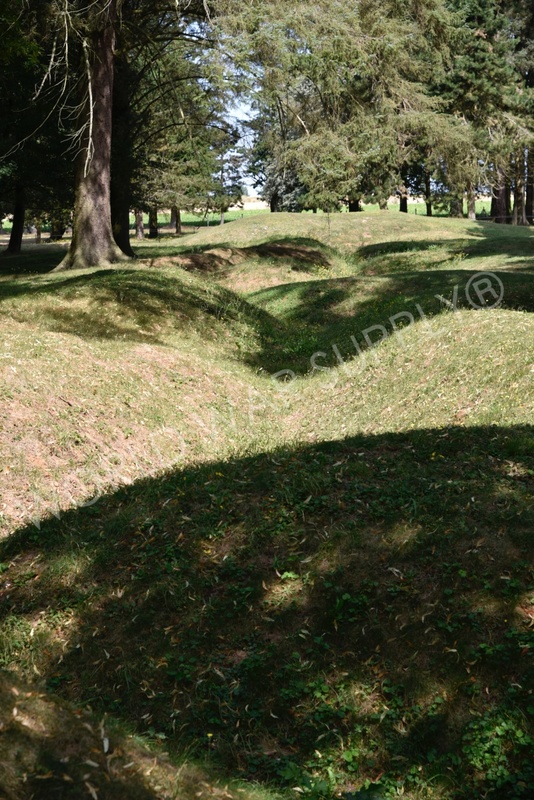 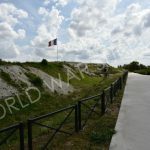 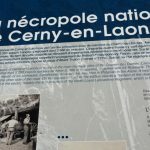 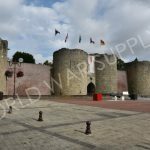 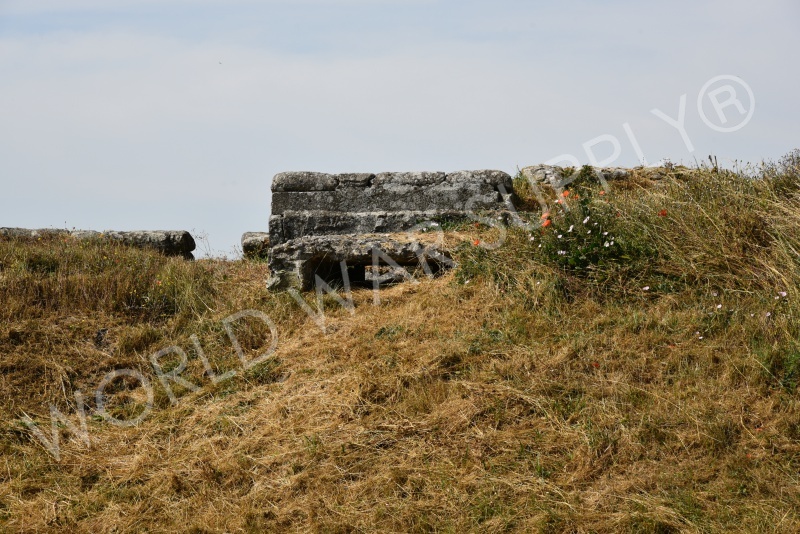 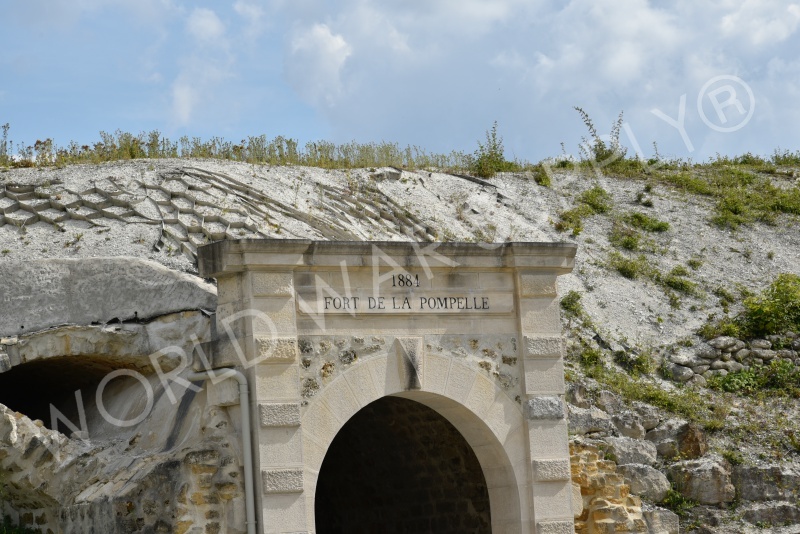 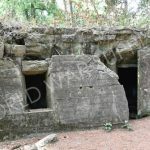 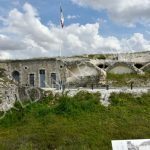 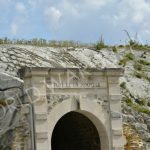 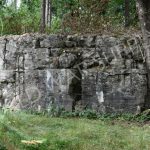 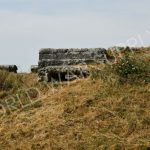 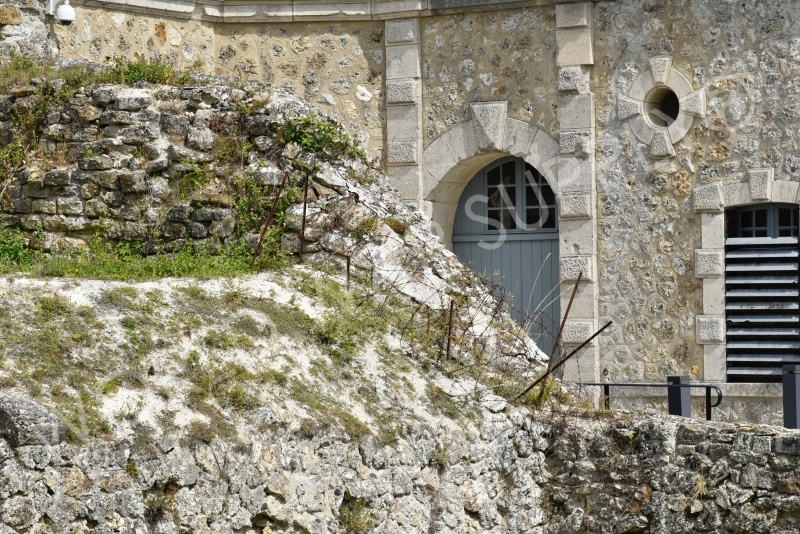 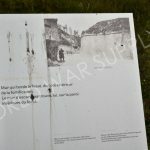 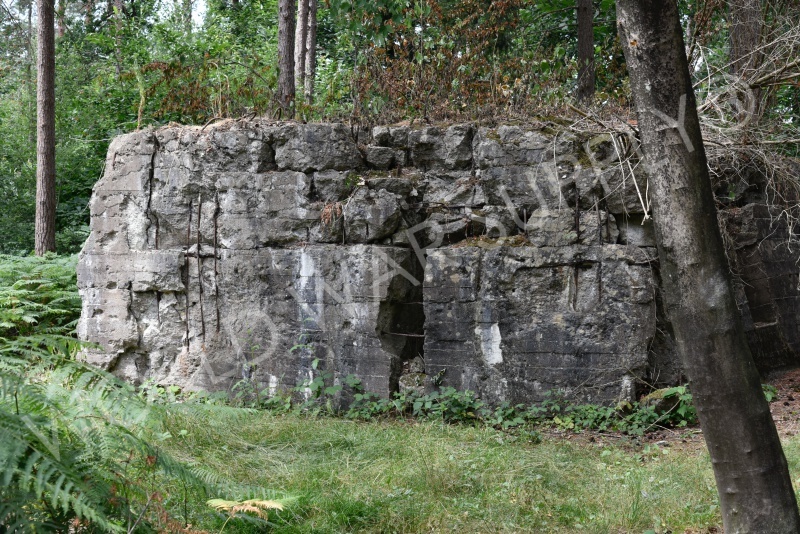 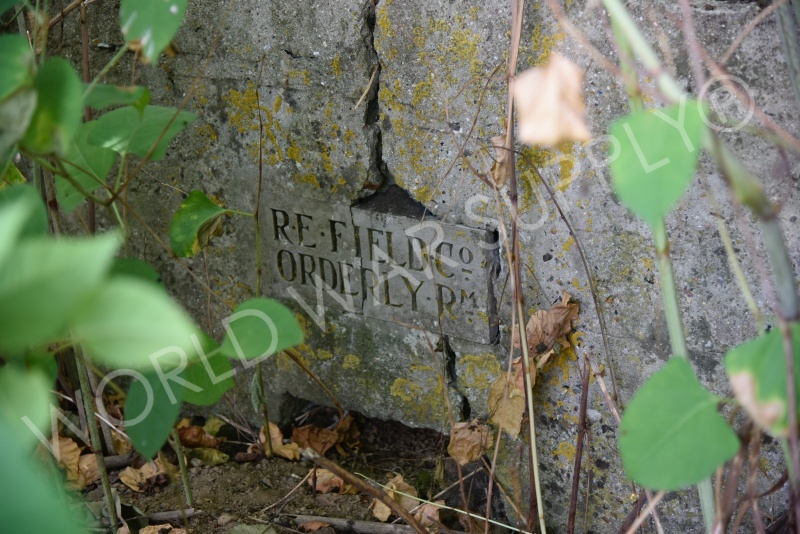 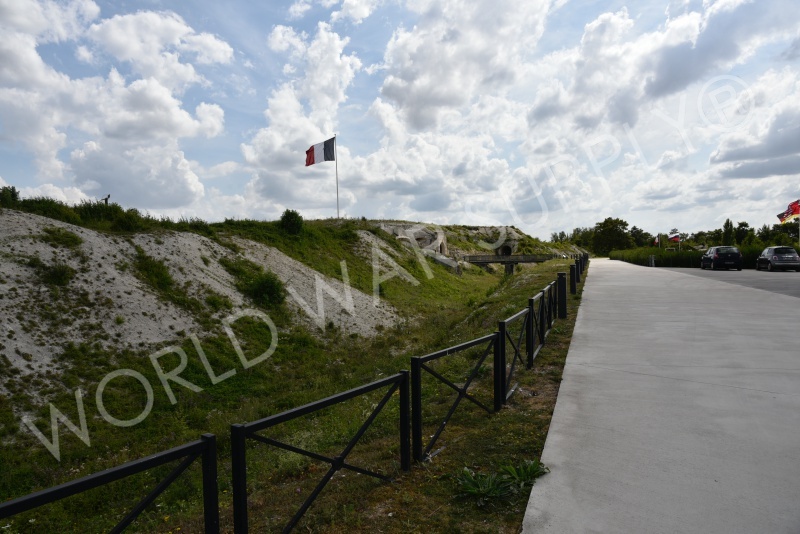 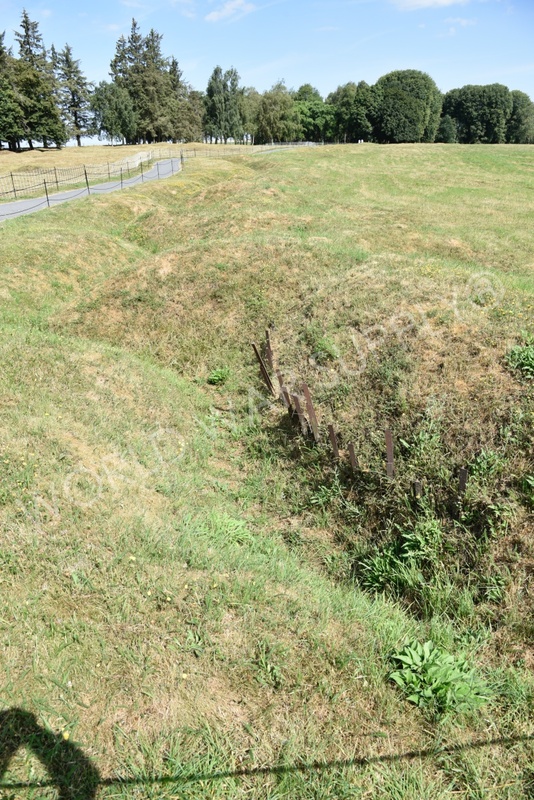 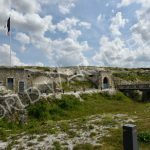 This site was a French fort during the course of WW1 and was briefly taken by the Germans in 1914. 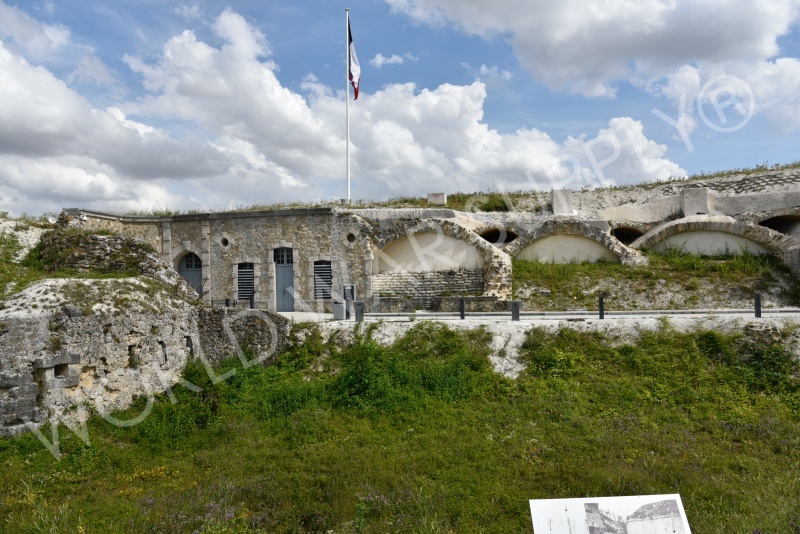 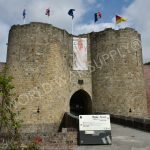 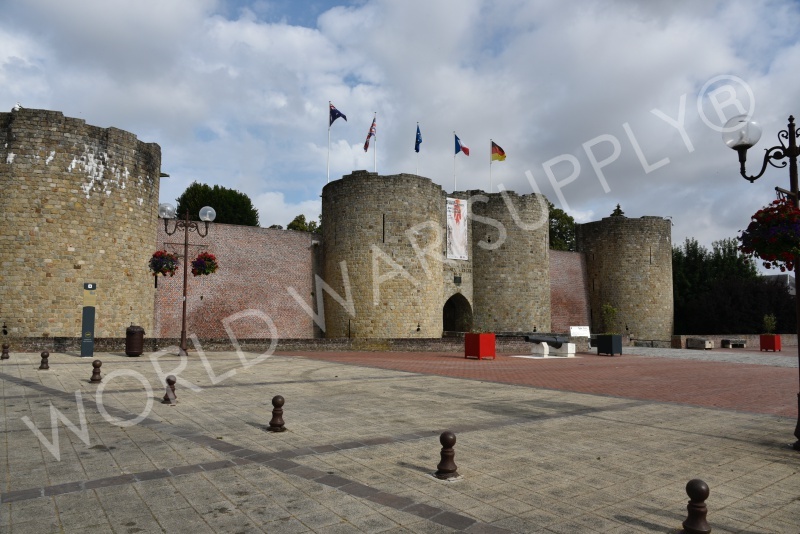 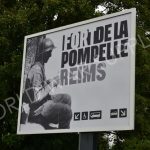 It was shortly reoccupied by the French and was a crucial fort to hold the area of Reims. 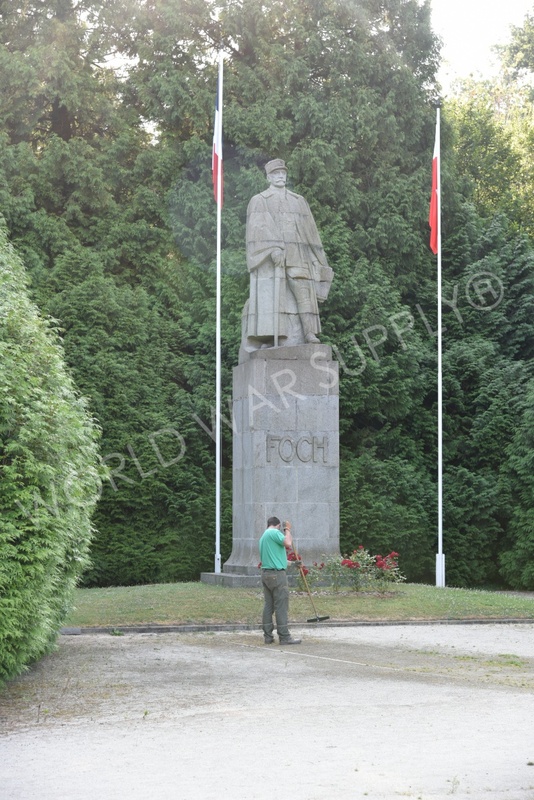 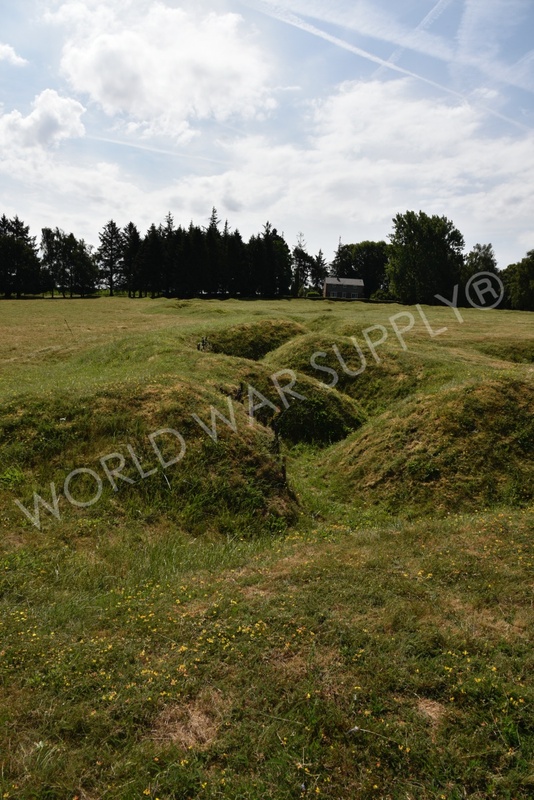 It was attacked many times again by the Germans during the course of WW1 but was never retaken by the Germans. 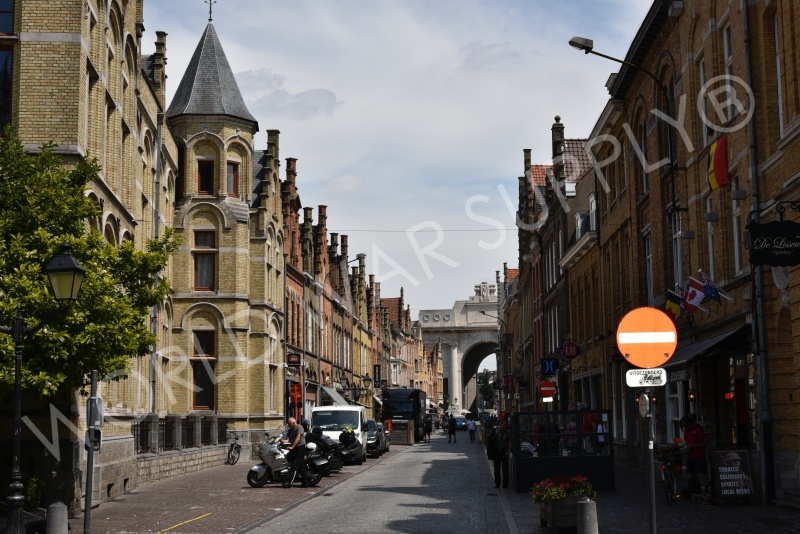 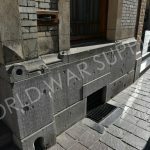 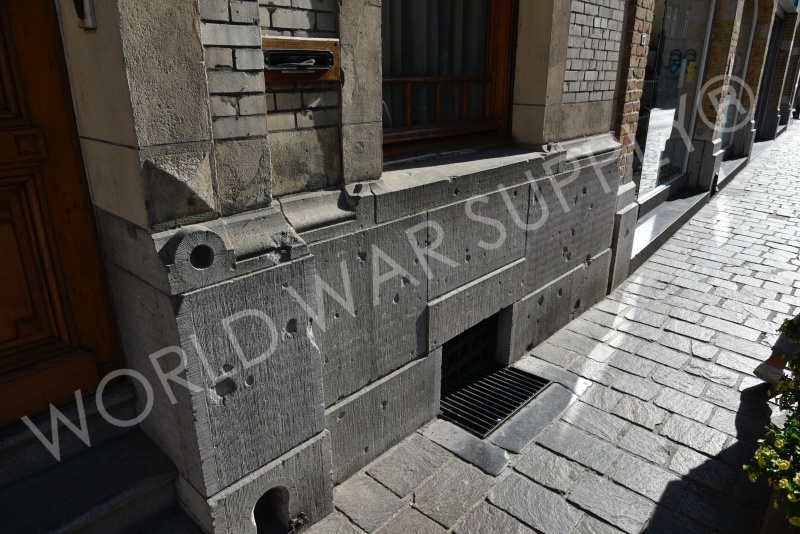 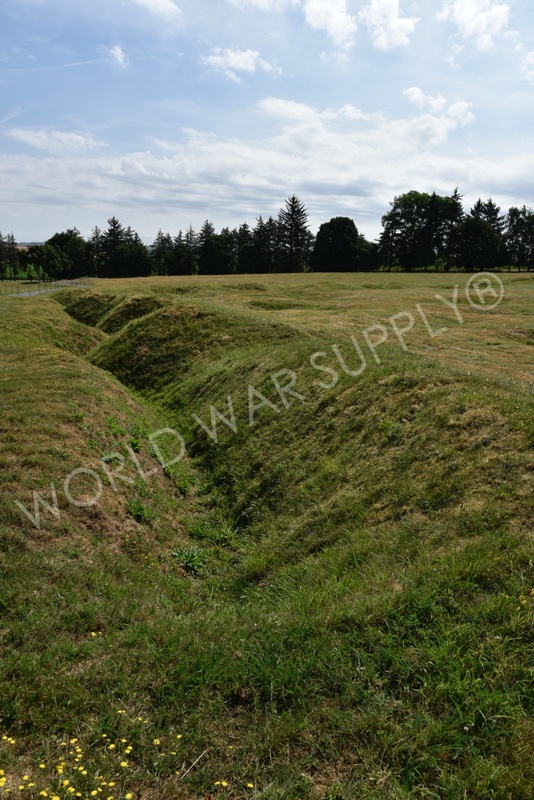 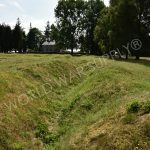 This landmark is a Belgian trench system from WW1. 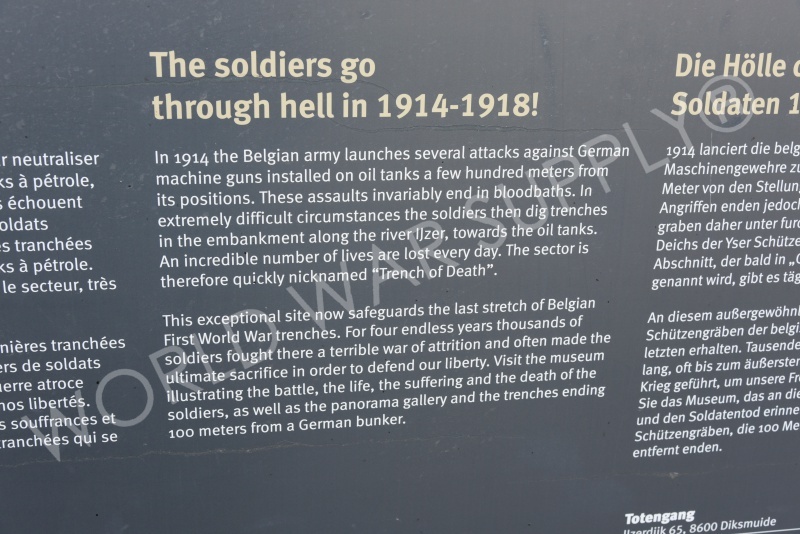 The trenches show the visitors a first-hand account of what it was like to be a soldier during WW1 in the trenches. 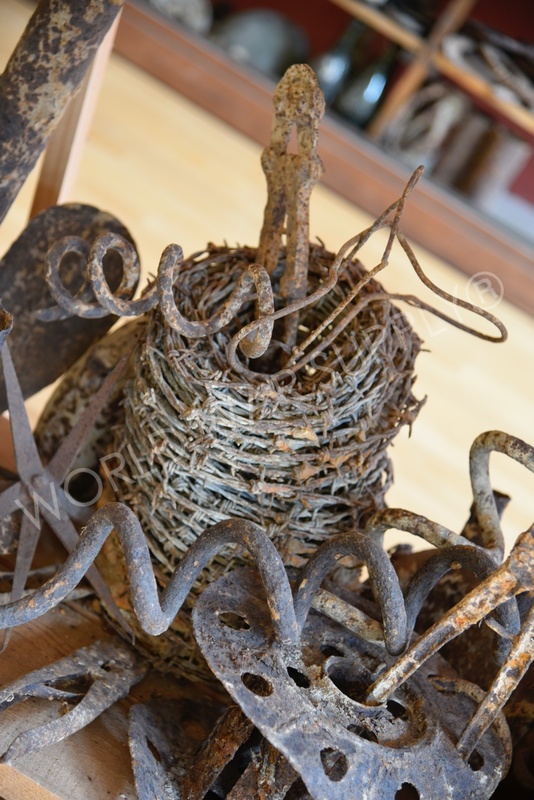 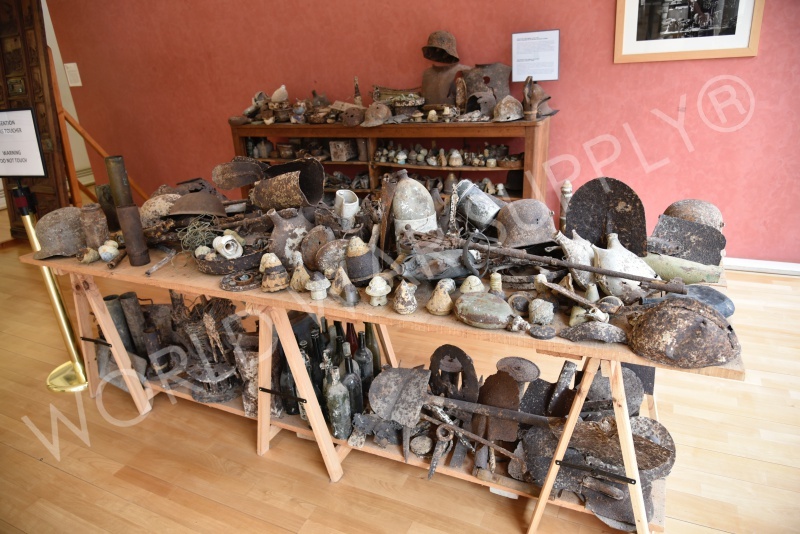 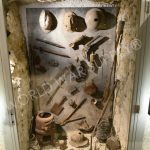 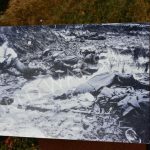 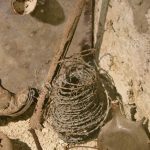 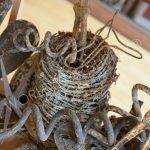 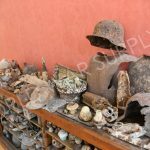 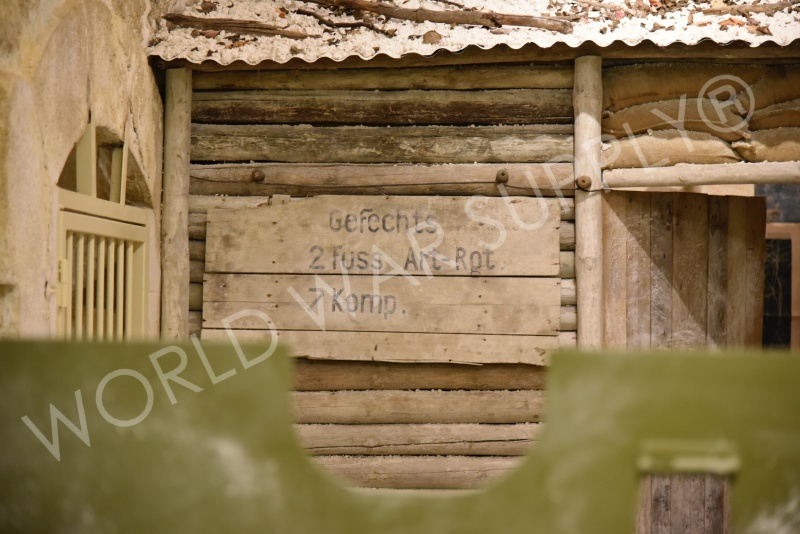 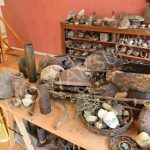 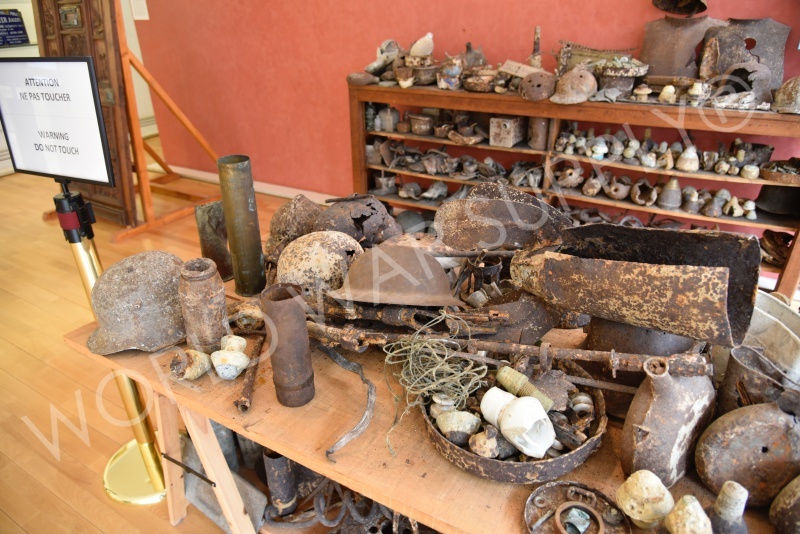 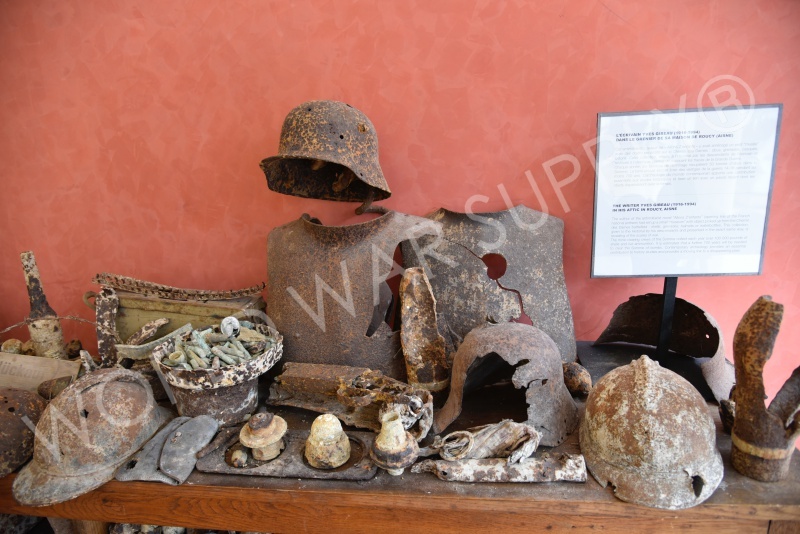 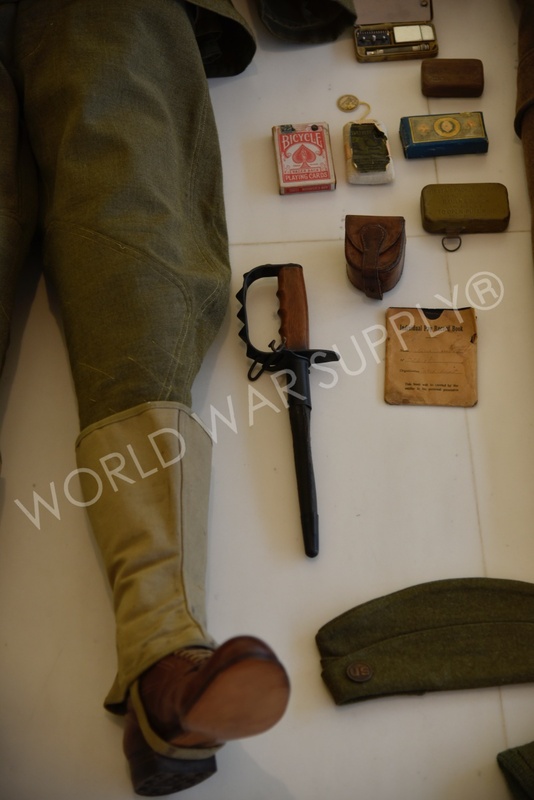 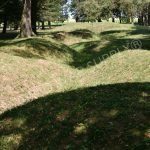 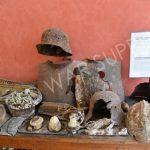 The visitors can view the museum next to the trenches to understand more about what happened in these trenches and the surrounding area. 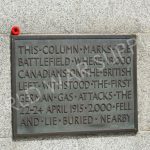 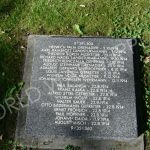 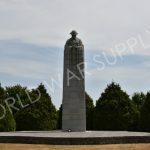 A site that honors canadian soldiers who died here. 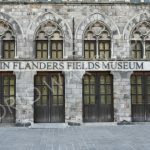 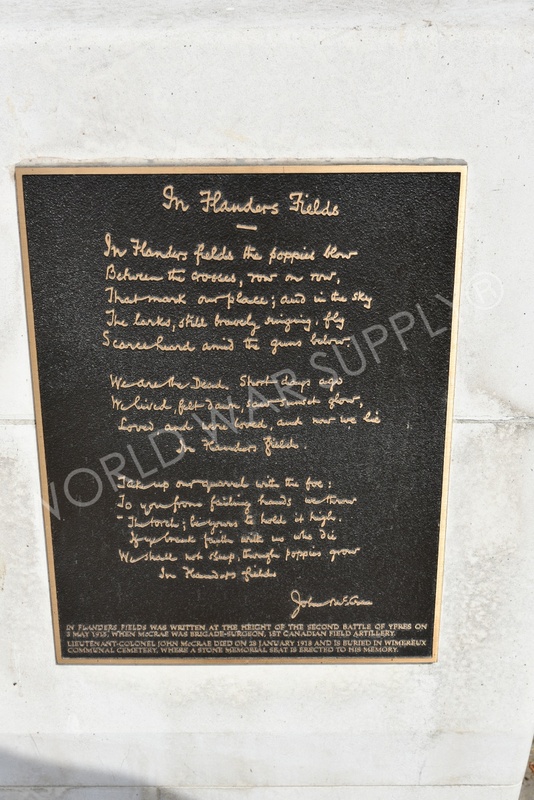 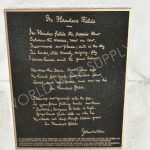 Many know this field due to the famous poem In Flanders Fields by John McCrae who was a canadian medic and helped wounded canadian troops. 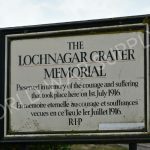 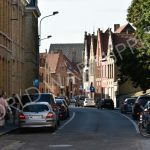 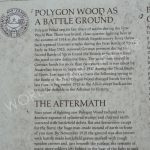 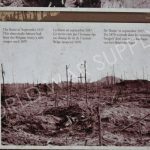 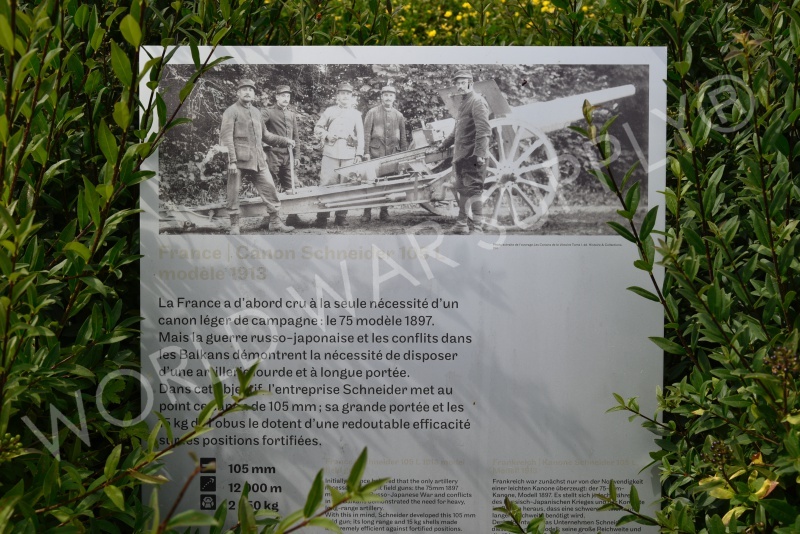 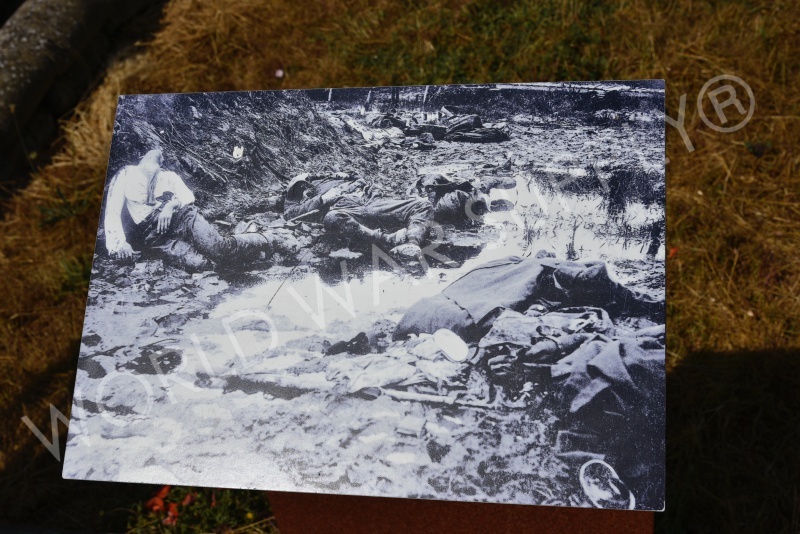 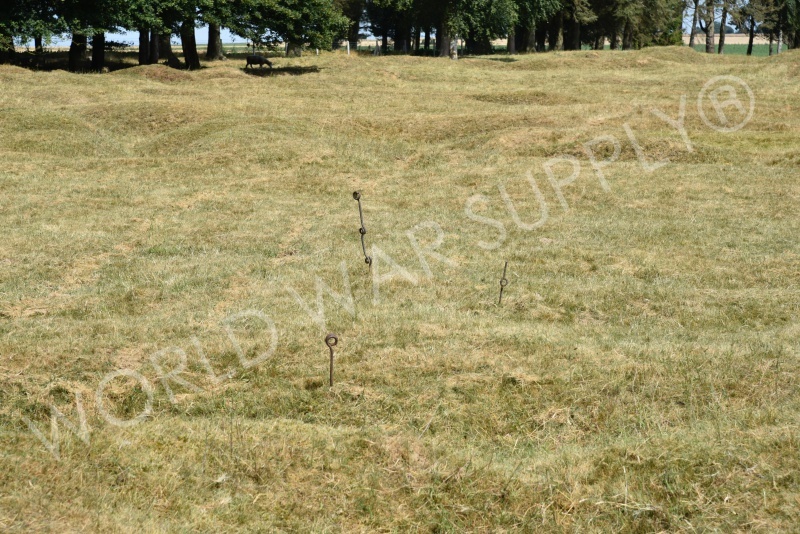 There was heavy attack in this area making it an area with many wounded soldiers during the course of WW1. 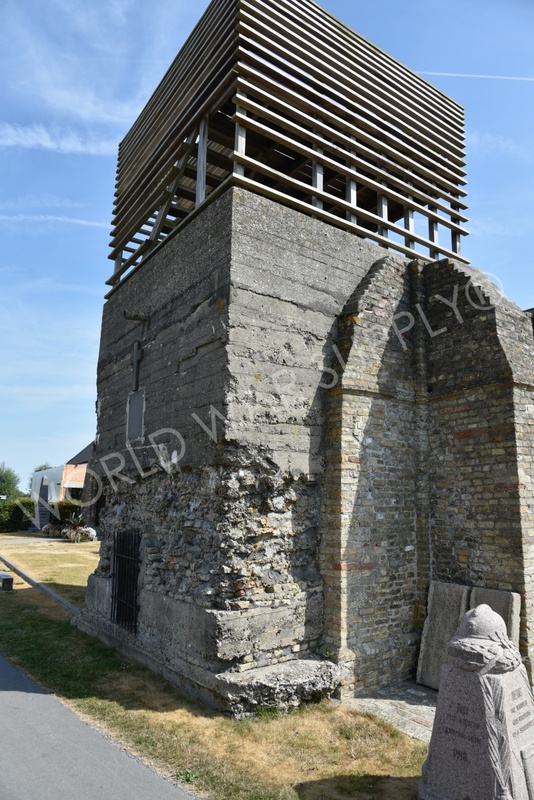 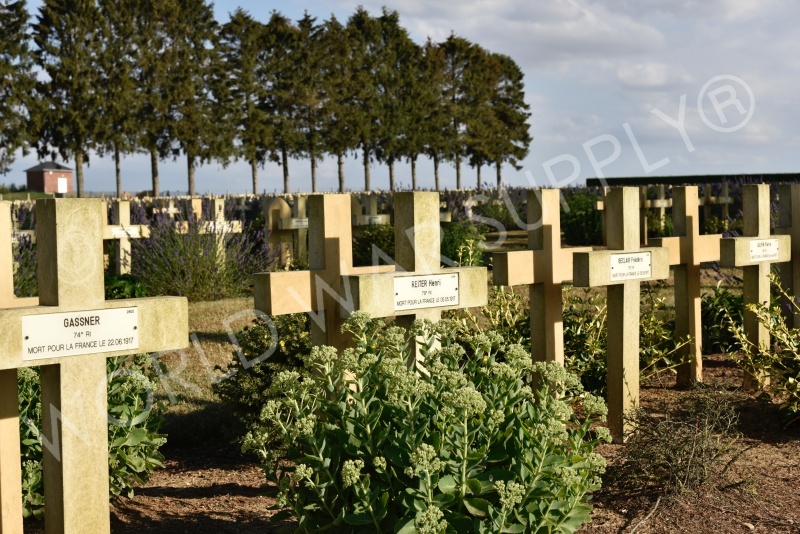 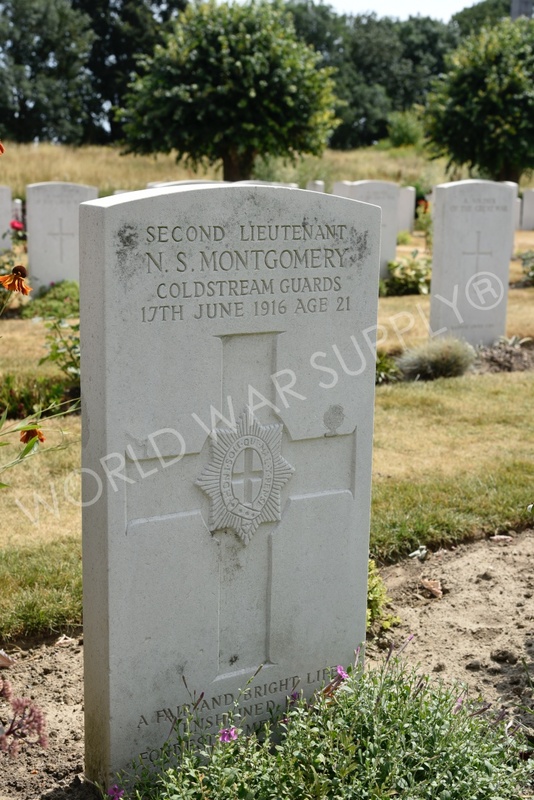 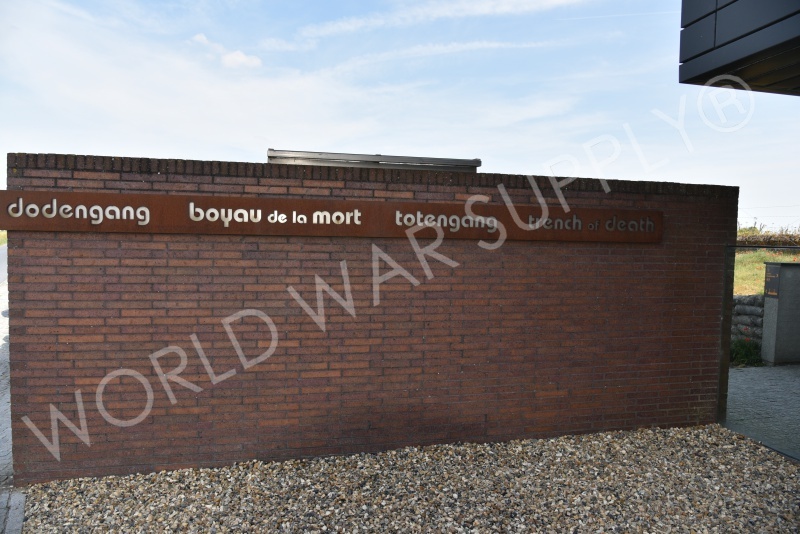 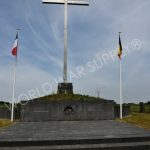 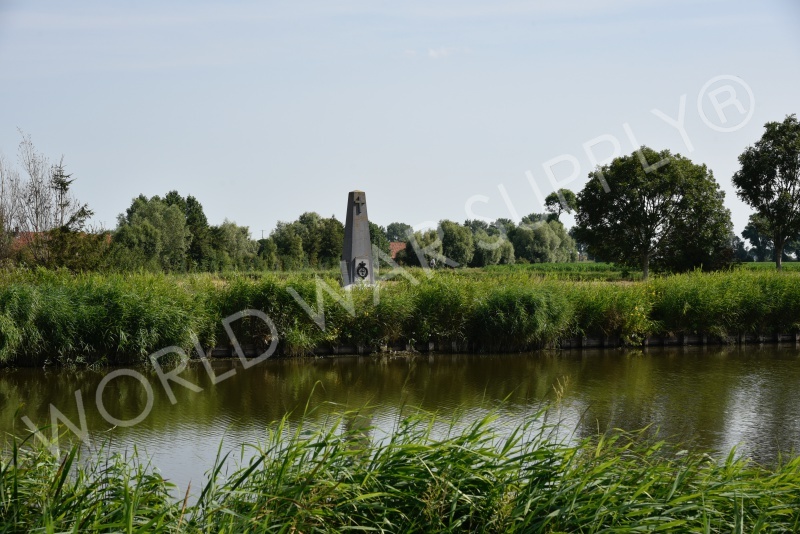 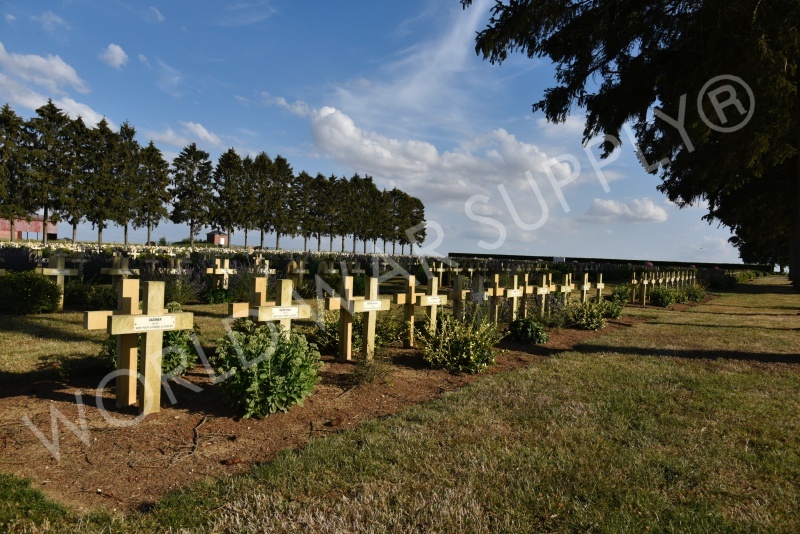 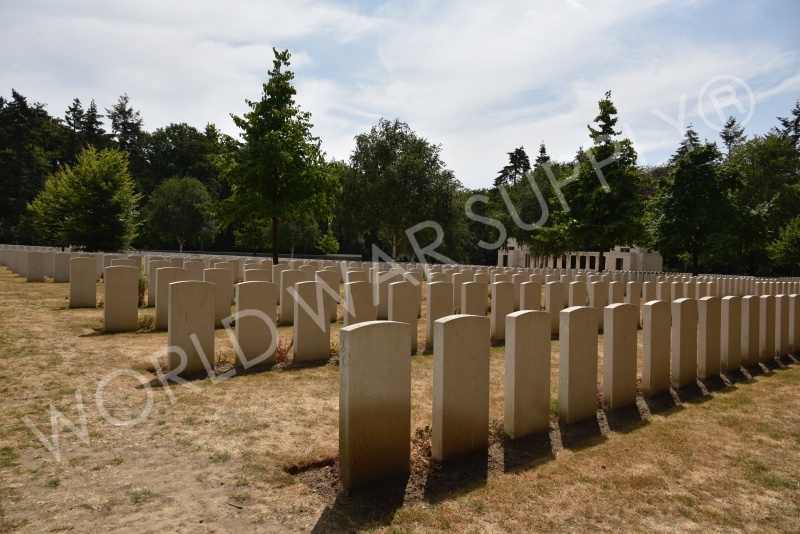 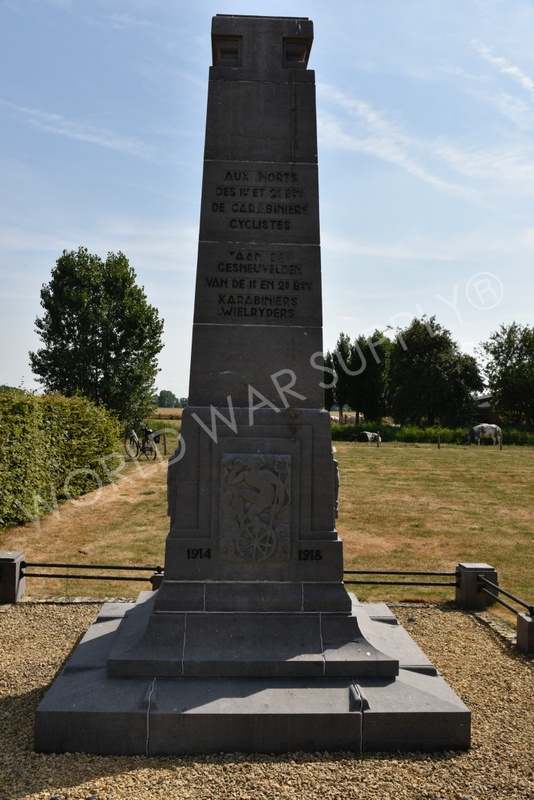 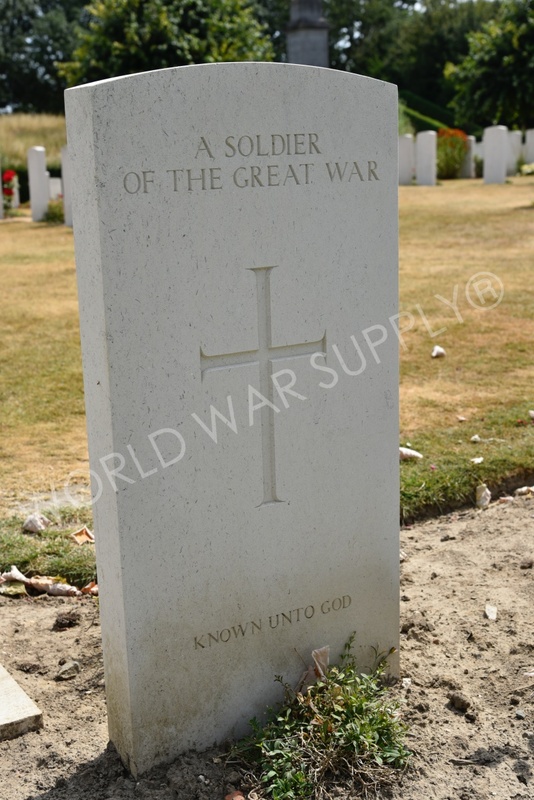 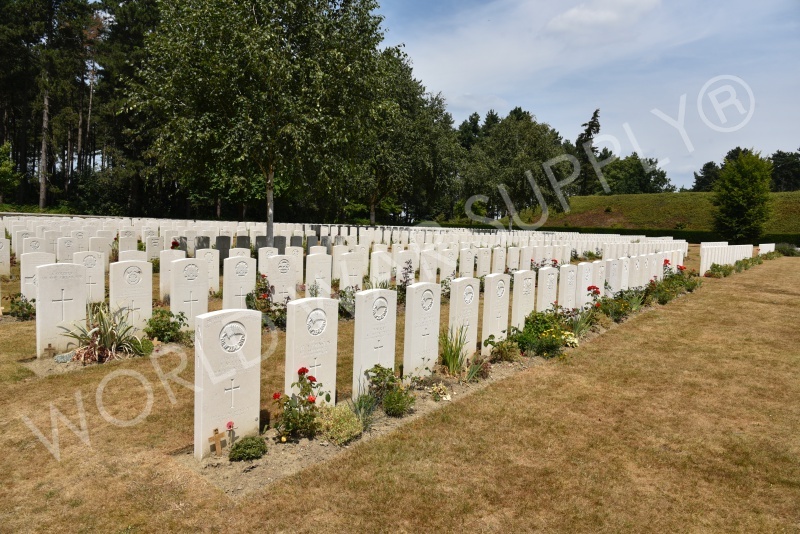 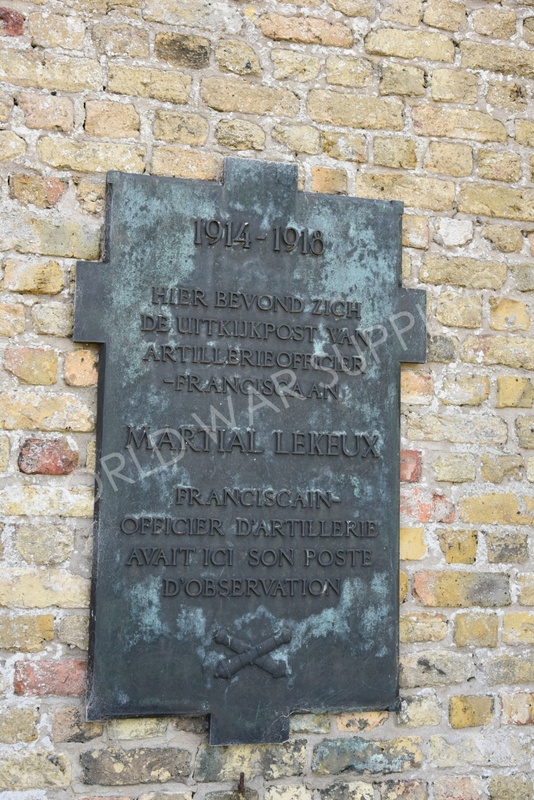 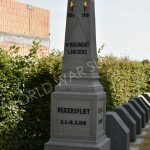 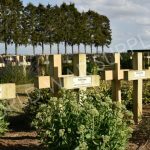 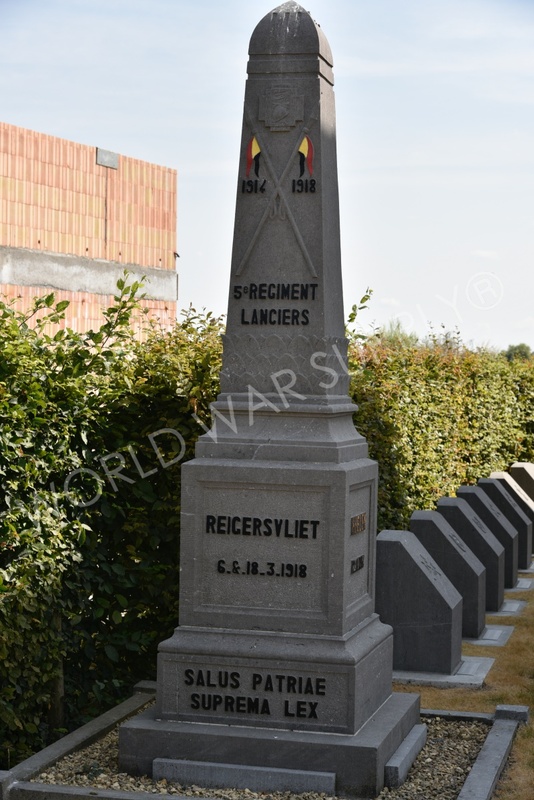 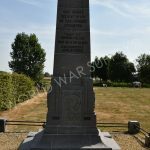 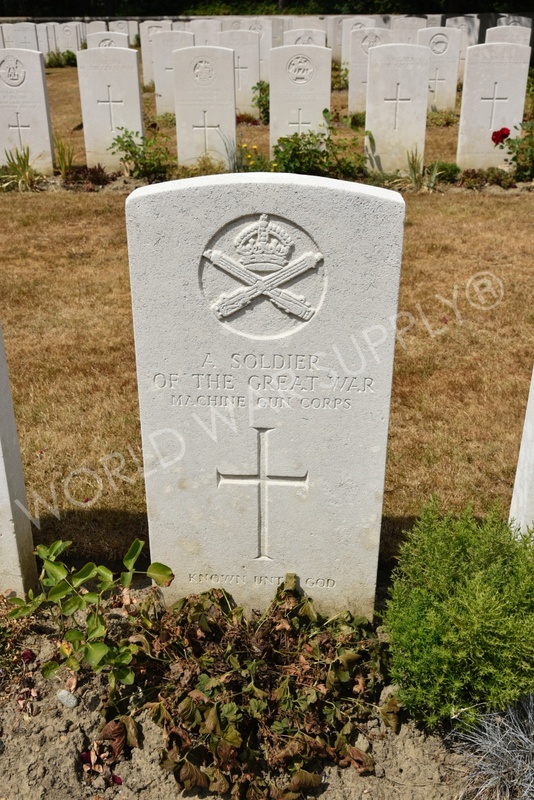 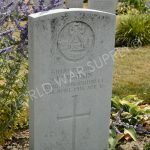 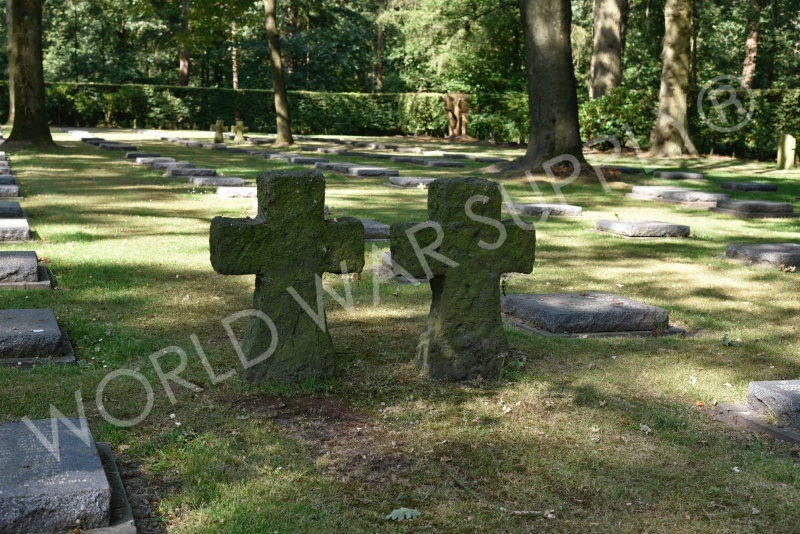 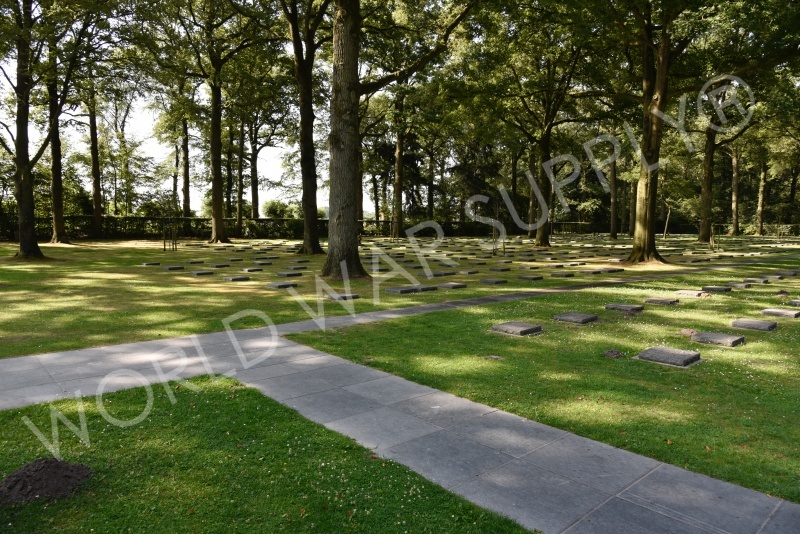 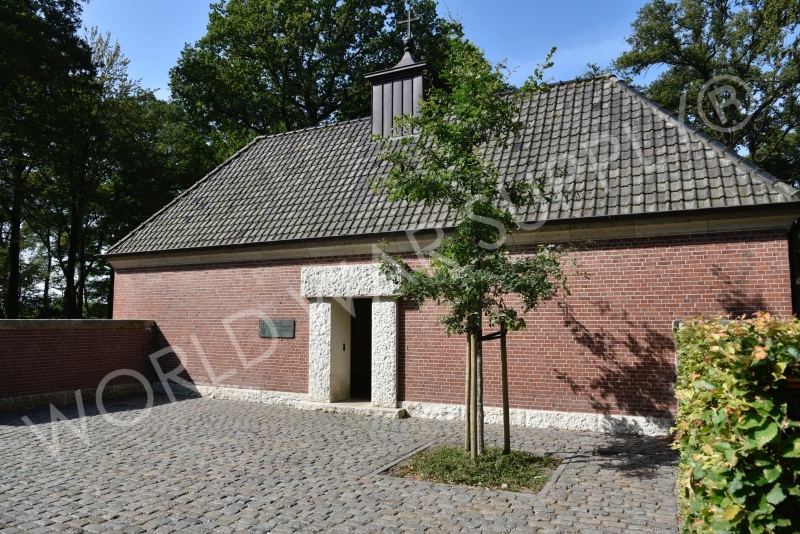 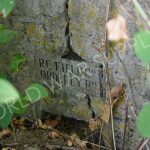 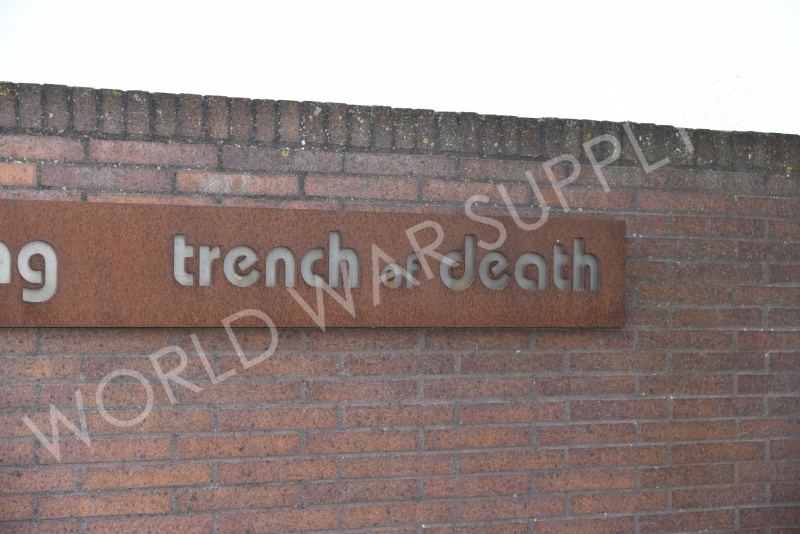 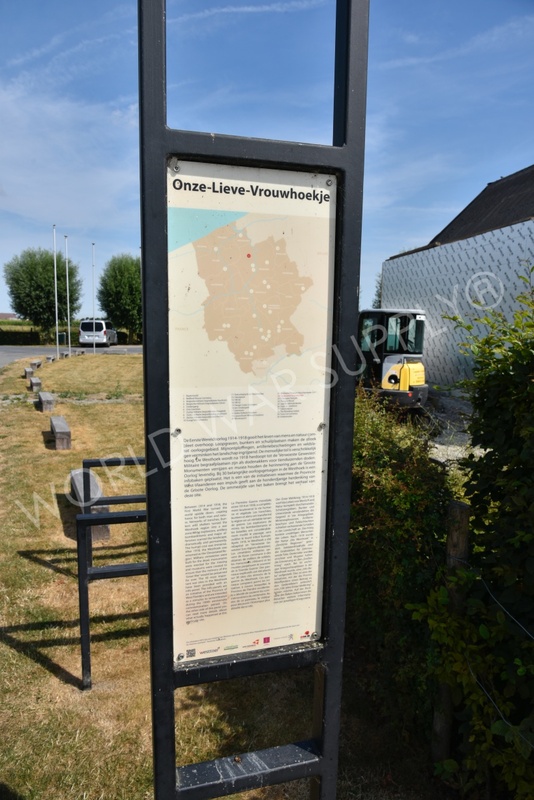 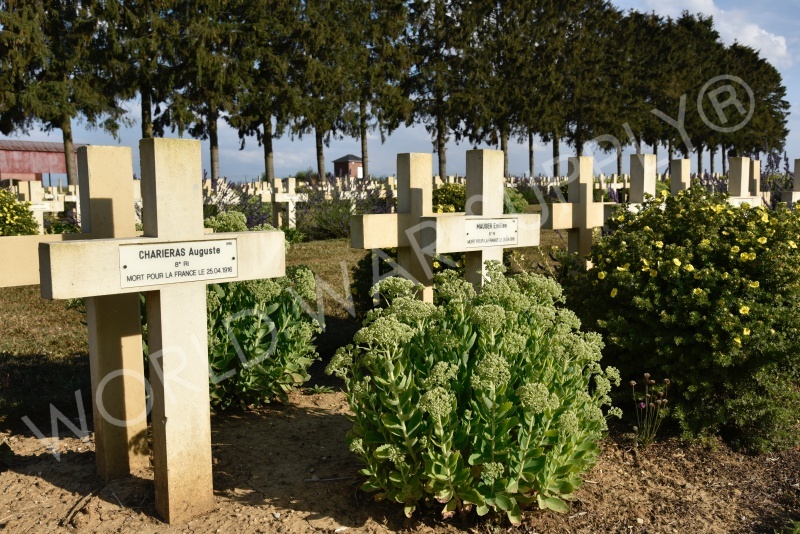 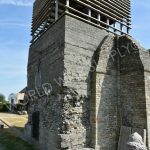 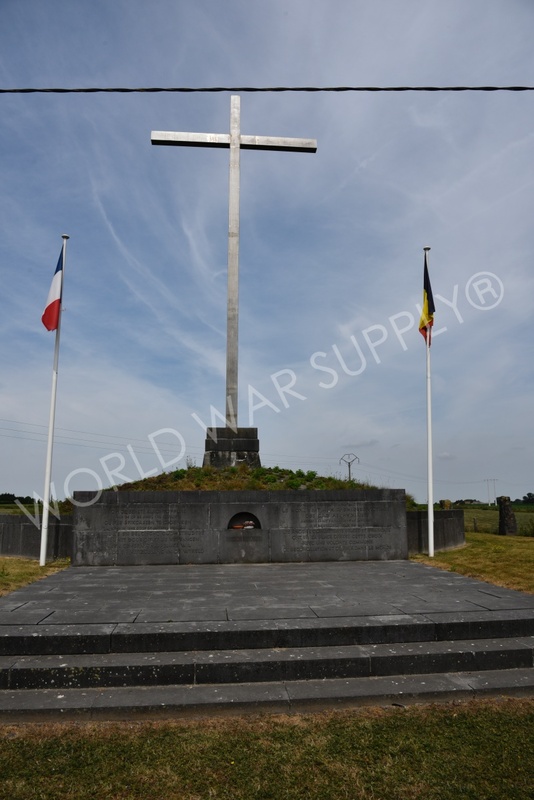 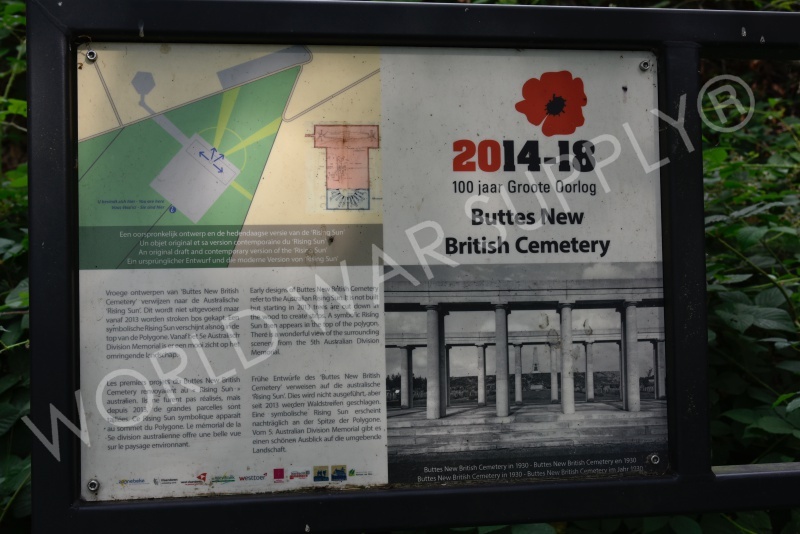 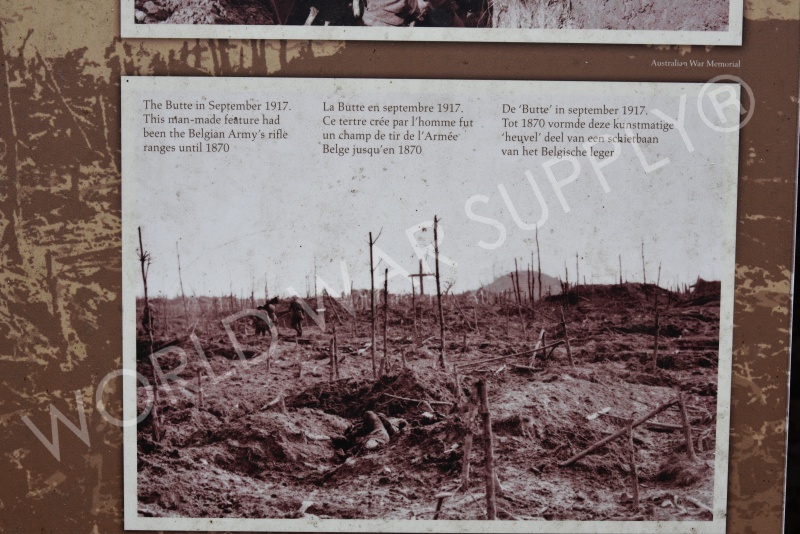 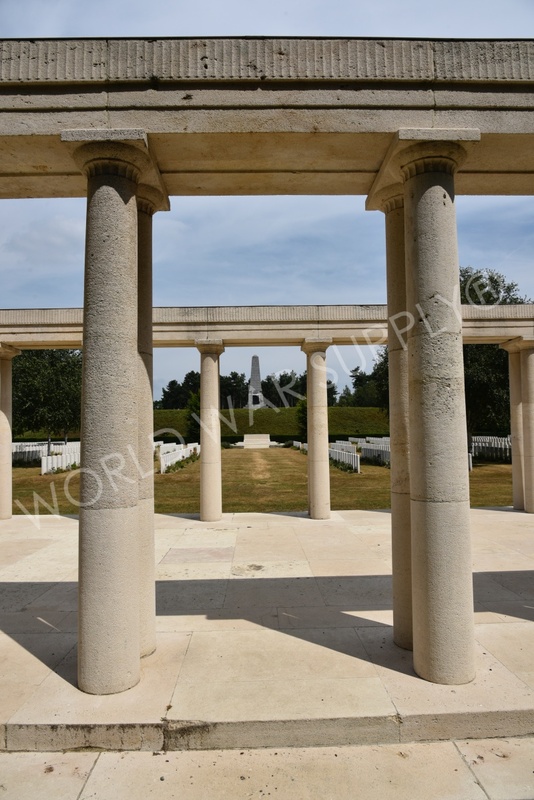 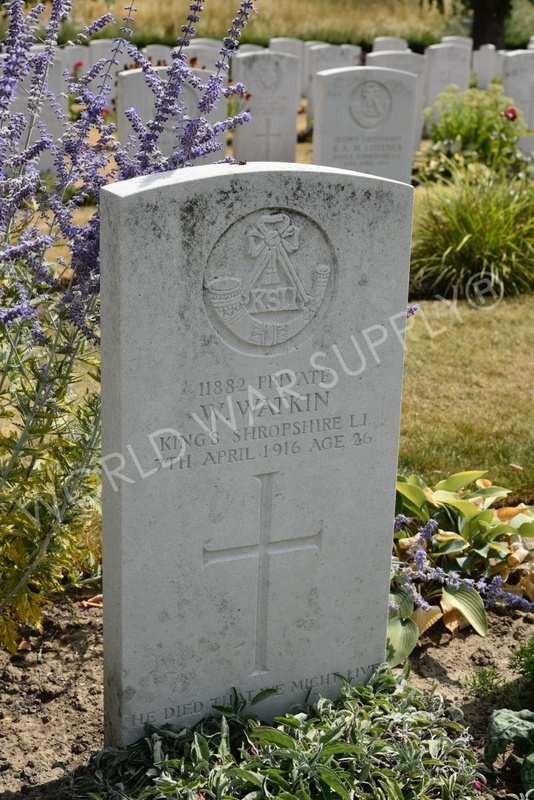 This cemetery is located in the town Zonnebeke which was destroyed during the first world war. 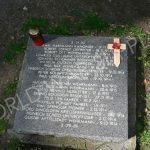 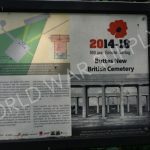 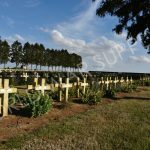 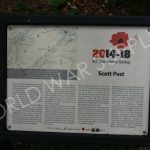 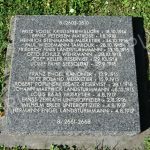 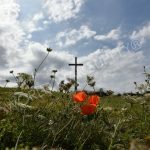 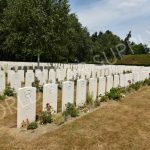 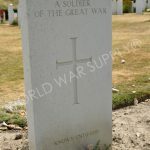 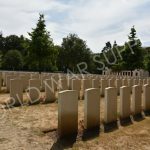 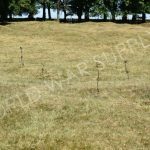 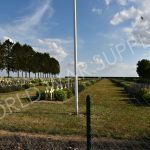 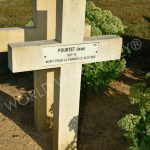 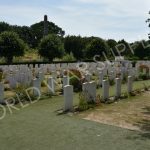 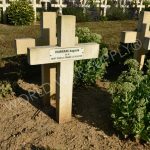 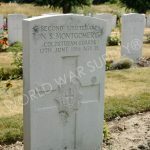 It was a frontline cemetery during the first world war and honors mostly Australian troops who fought there during the time. 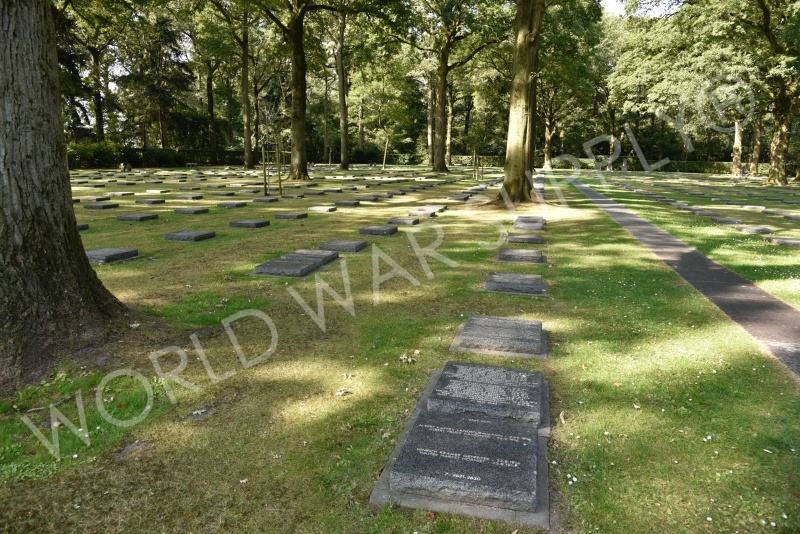 Many of the Australian soldiers who are buried there are unidentified. 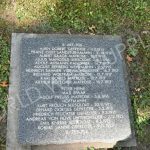 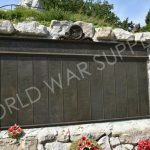 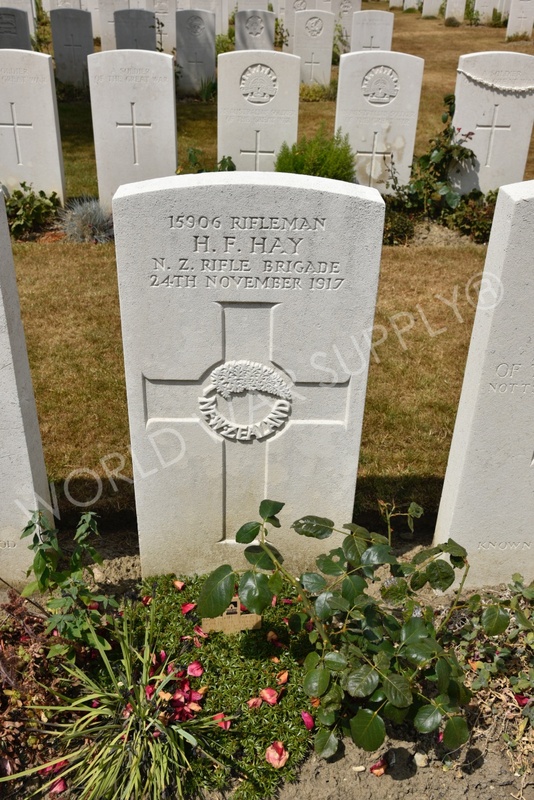 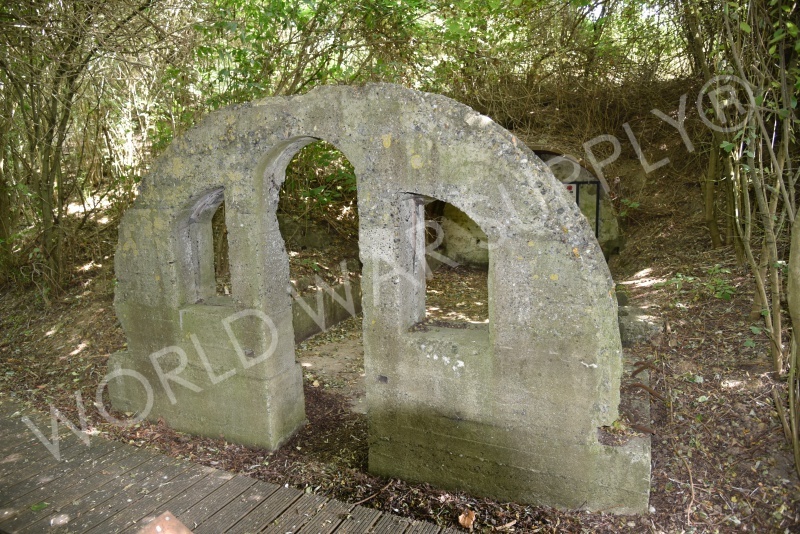 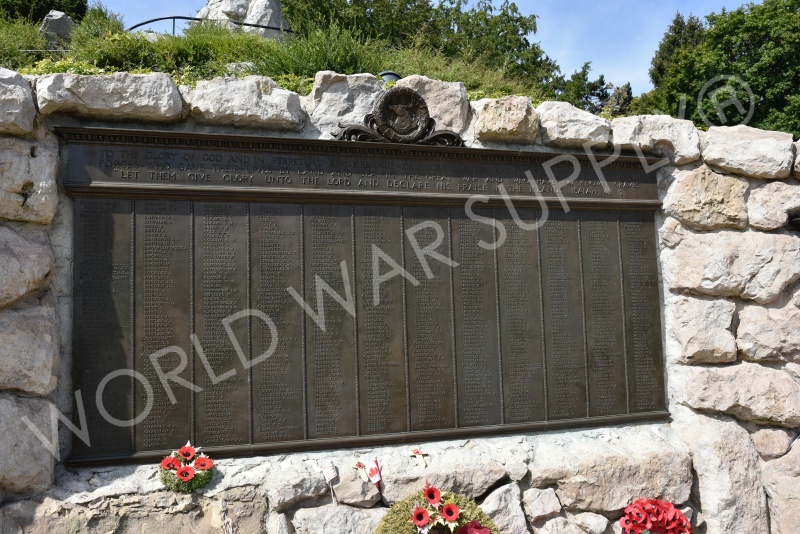 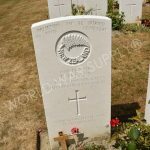 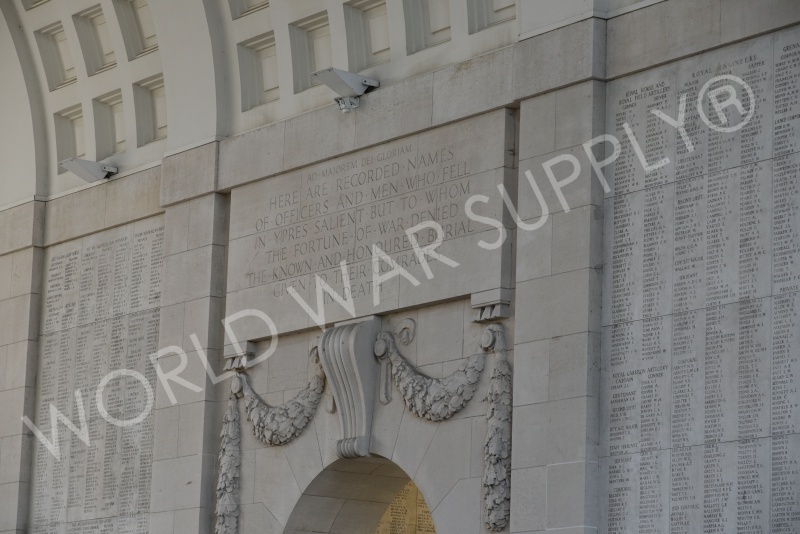 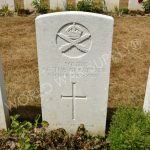 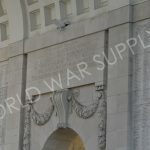 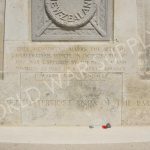 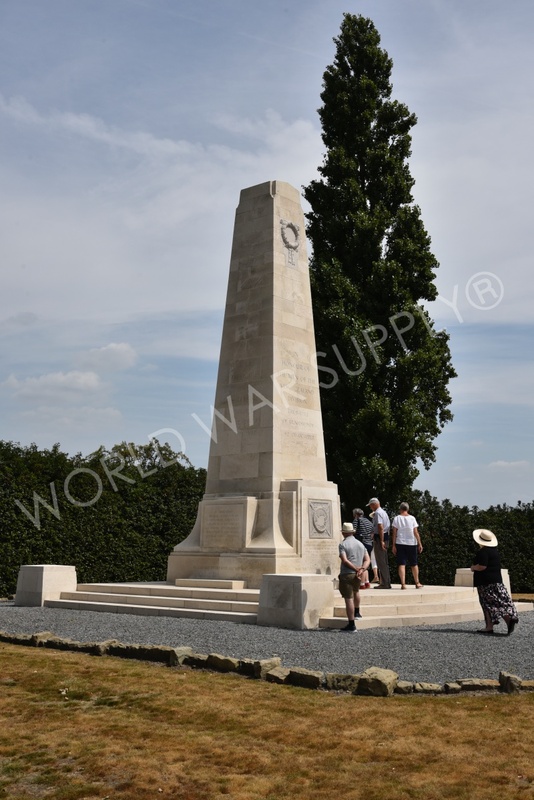 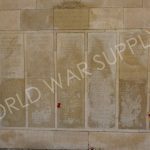 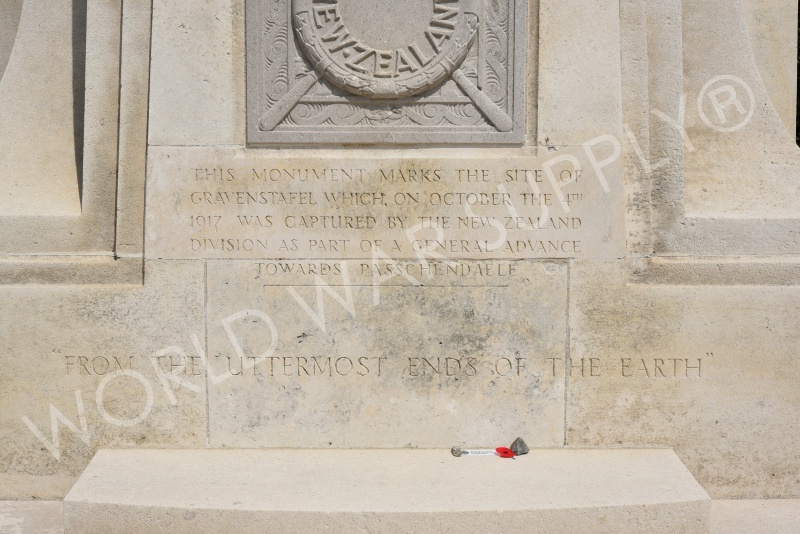 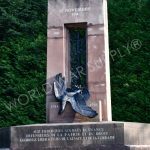 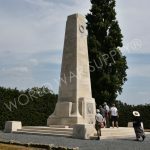 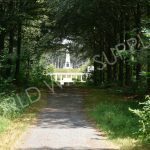 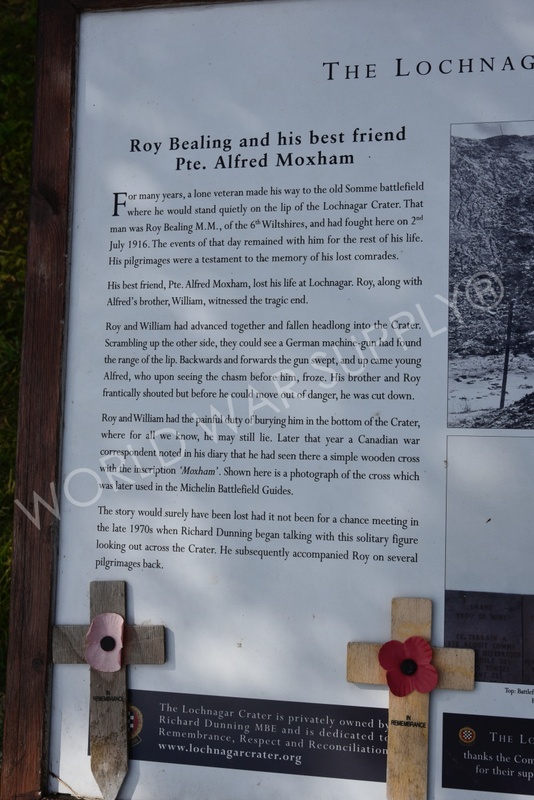 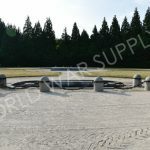 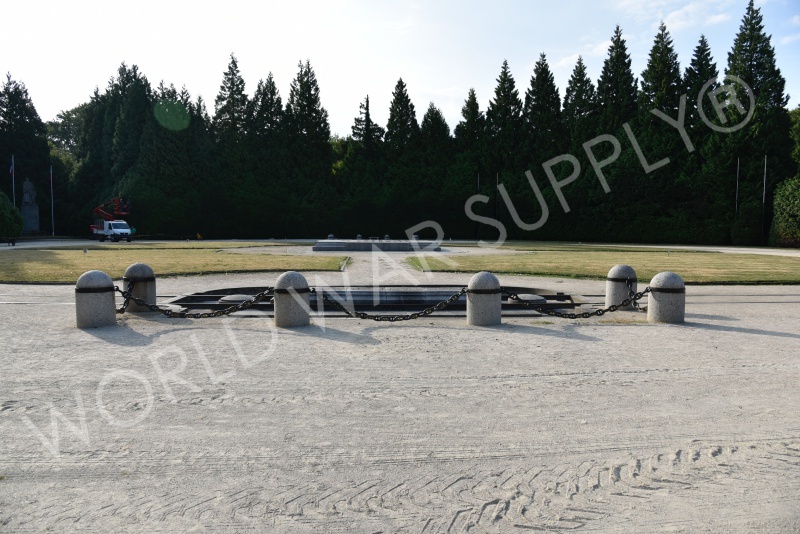 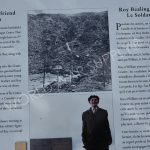 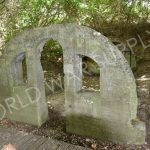 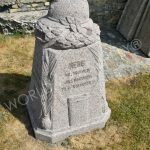 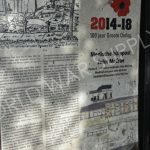 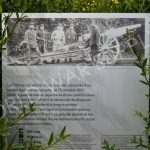 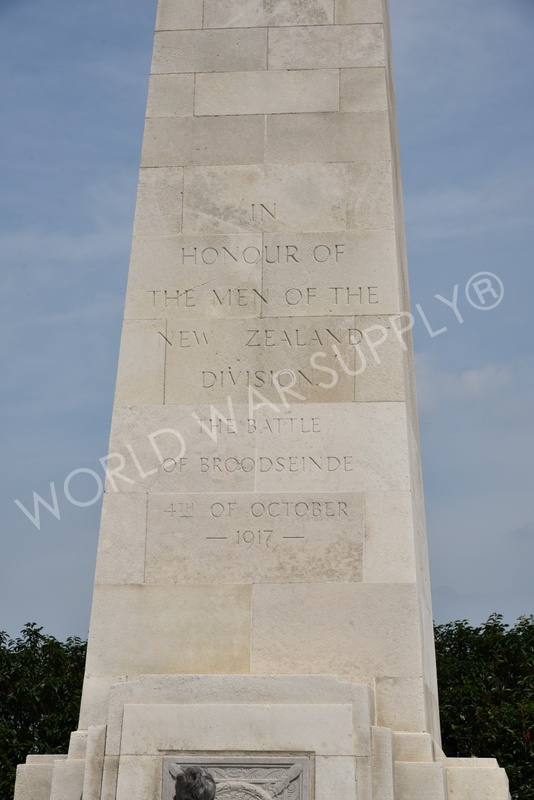 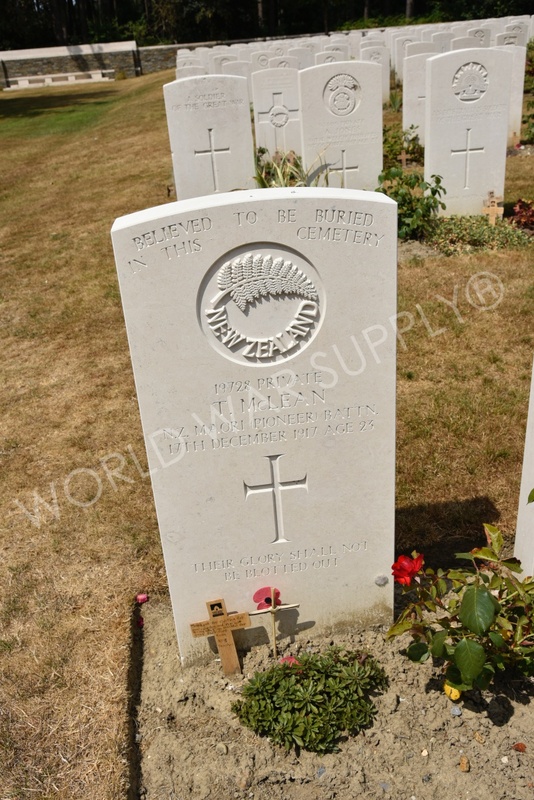 On the site, is also a memorial honoring a New Zealand regiment who lost many soldiers in the area as well. 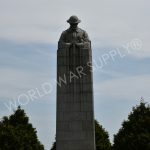 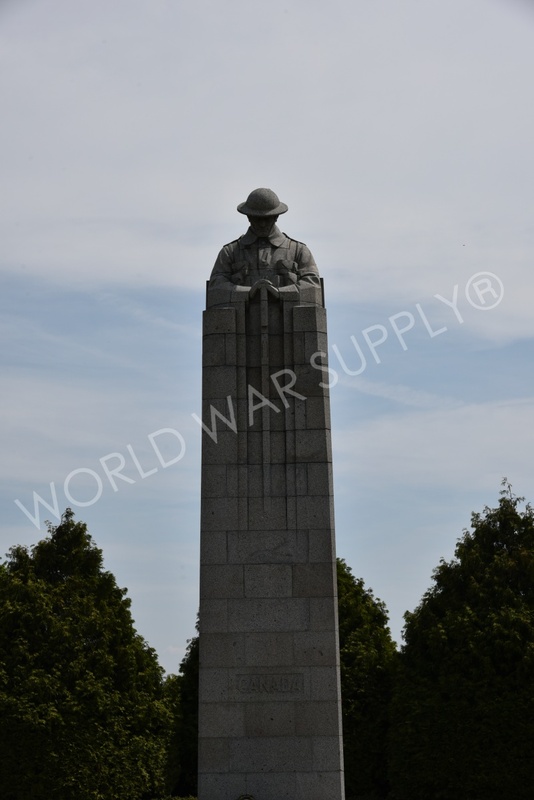 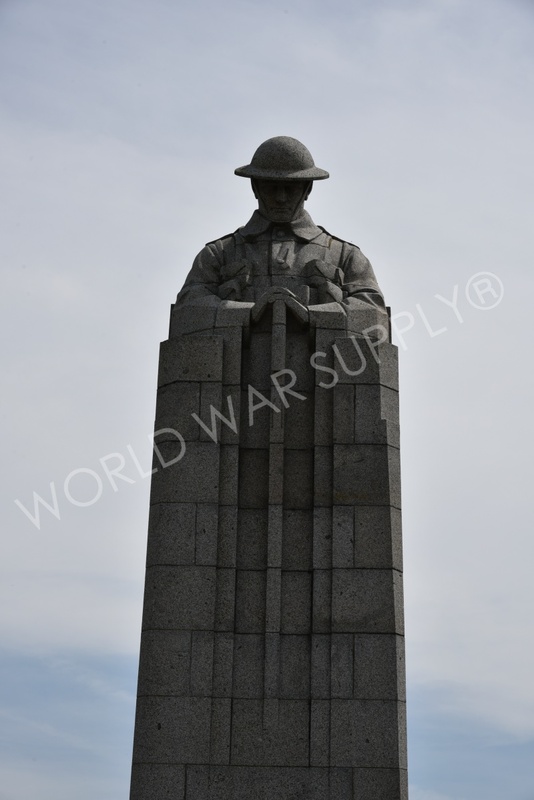 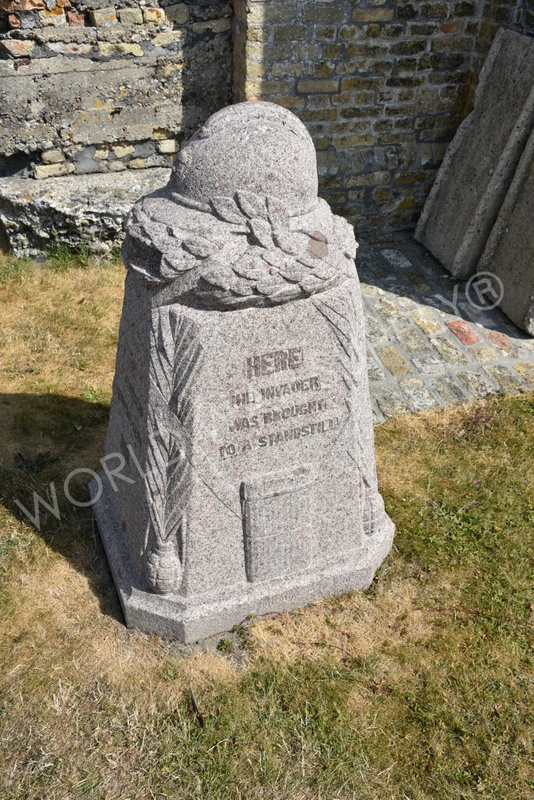 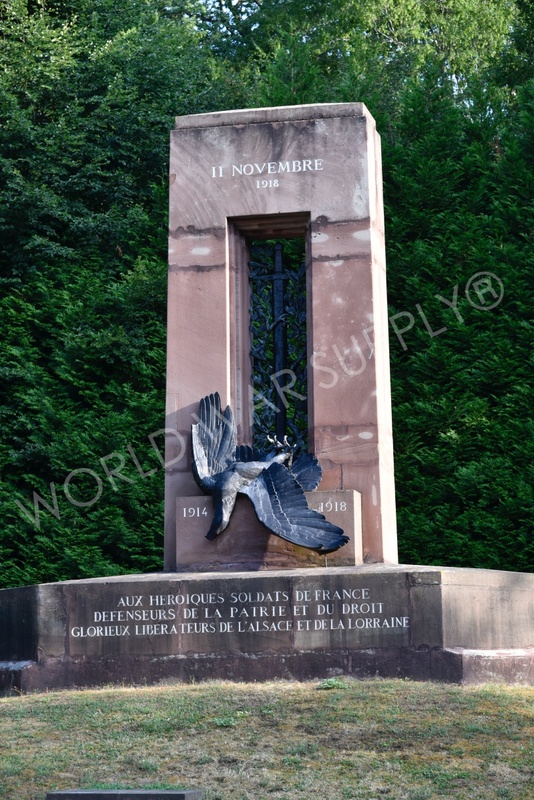 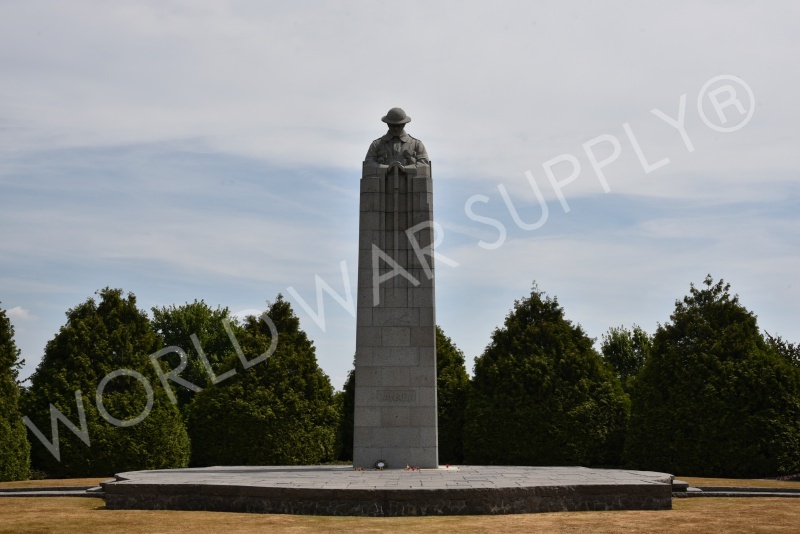 This monument is located in a Canadian war memorial and is called St. Julien Memorial. 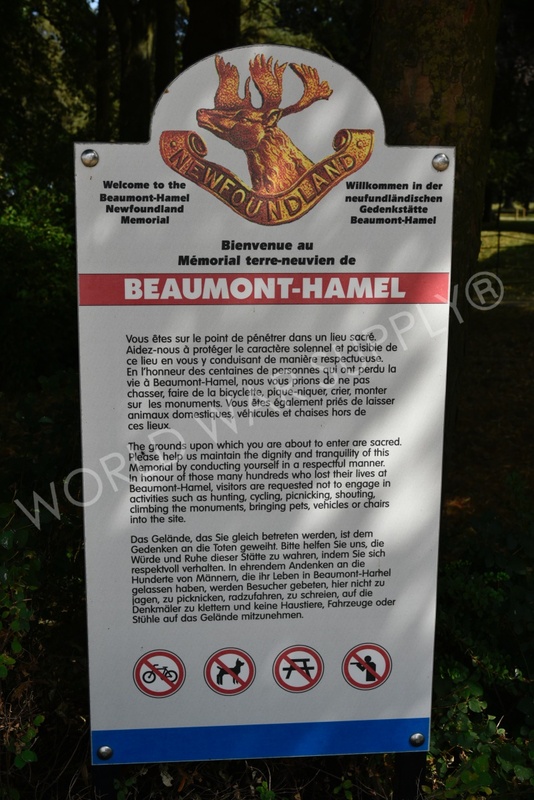 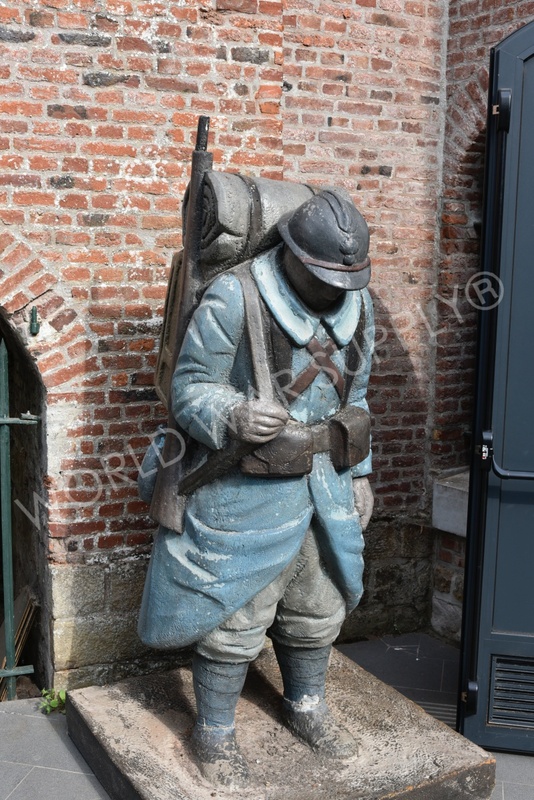 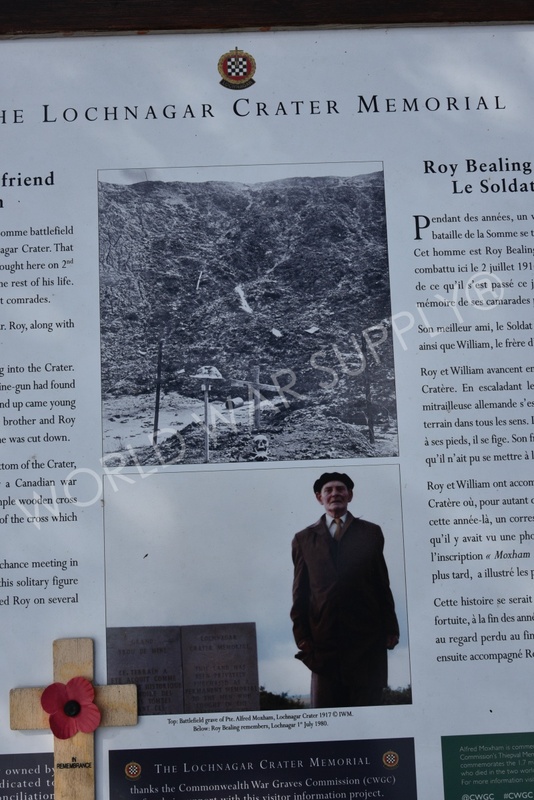 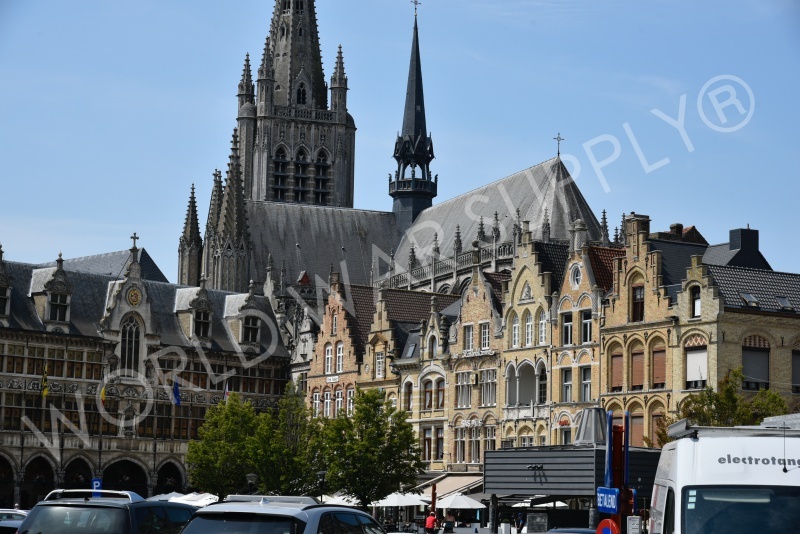 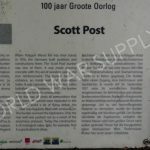 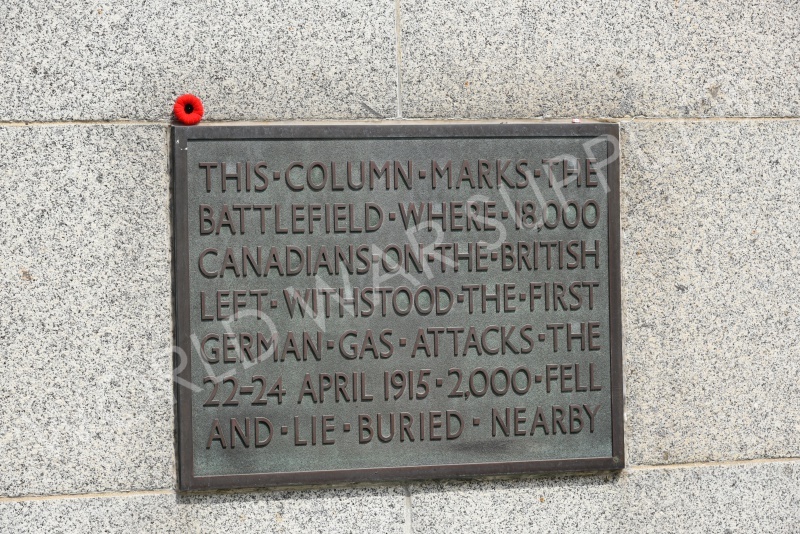 This memorial is in Belgium and honors Canadian troops who fell during WW1 in Ypres. 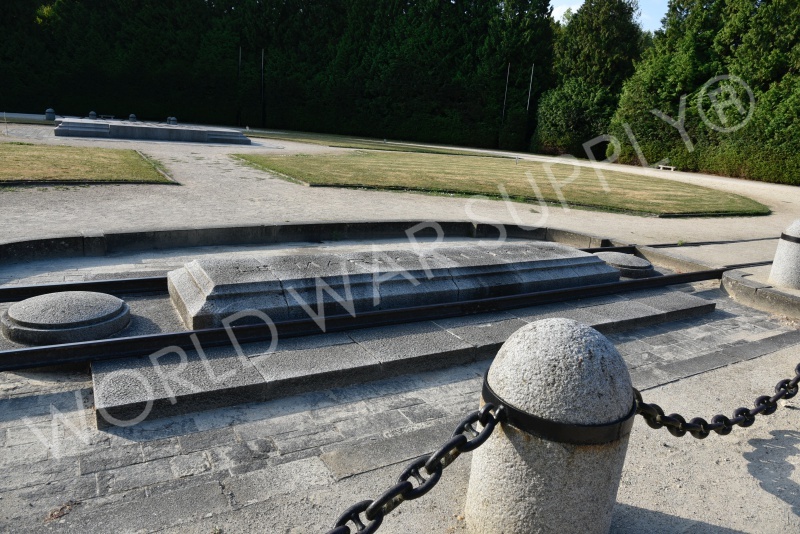 This monument honors those fallen troops and offers visitors a place to remember the war and those who fought in it. 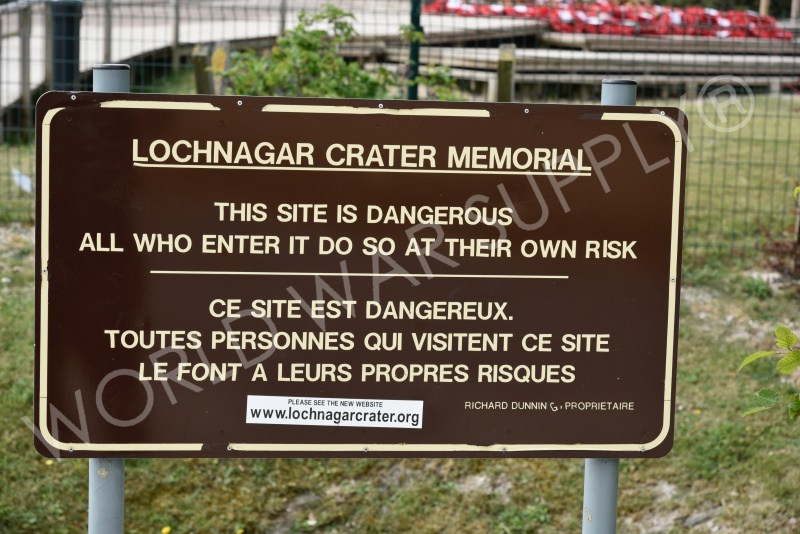 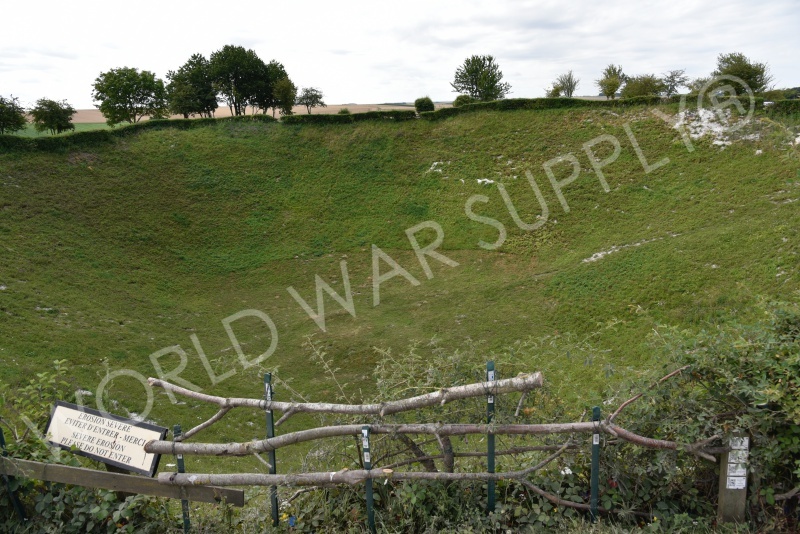 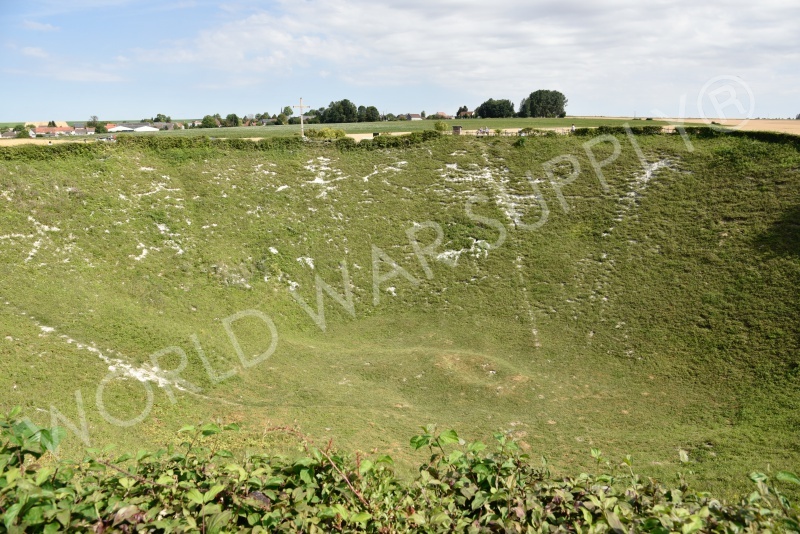 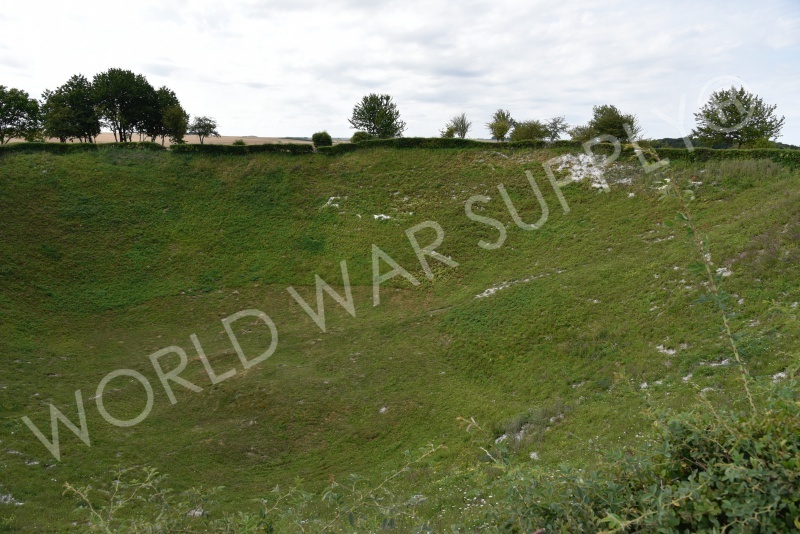 This famous crater is what remains from a WW1 military mine. 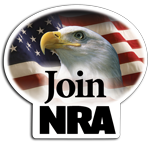 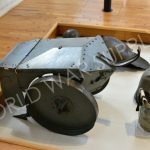 Military mining is when forces dig tunnels and mine shafts to place explosives right below the enemy. 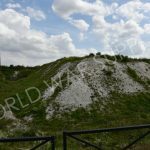 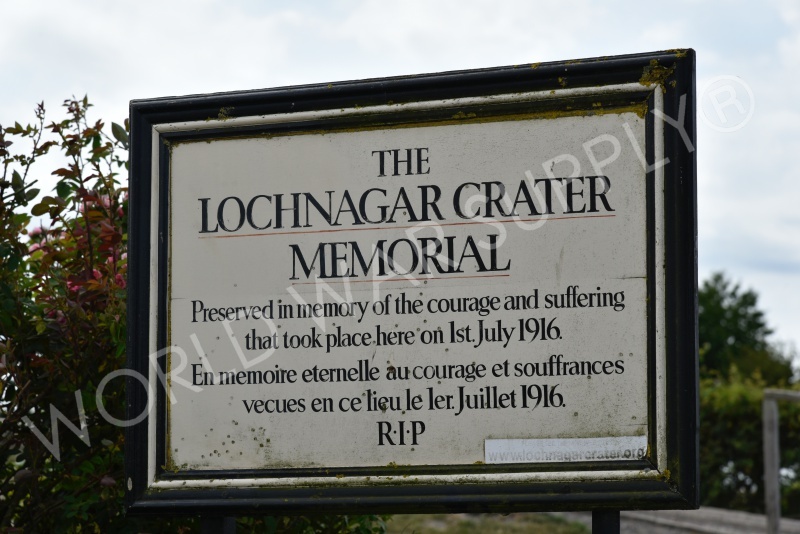 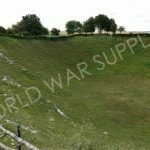 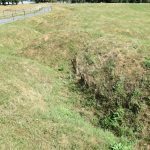 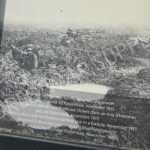 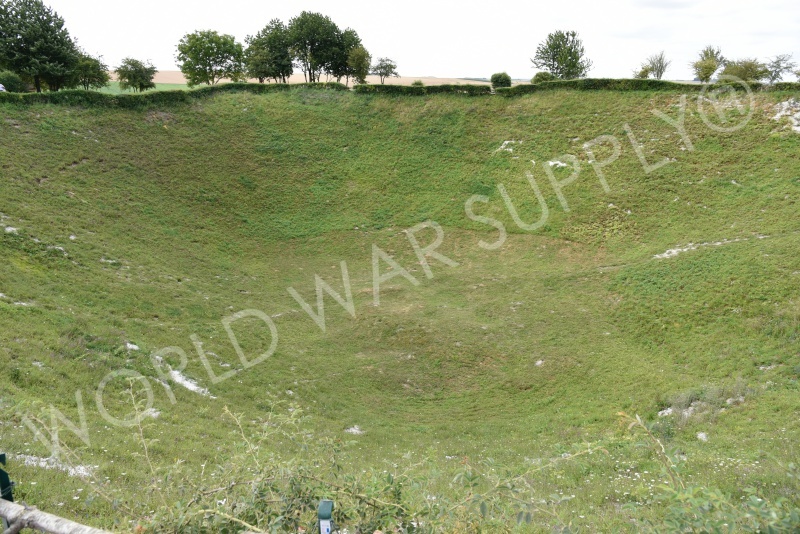 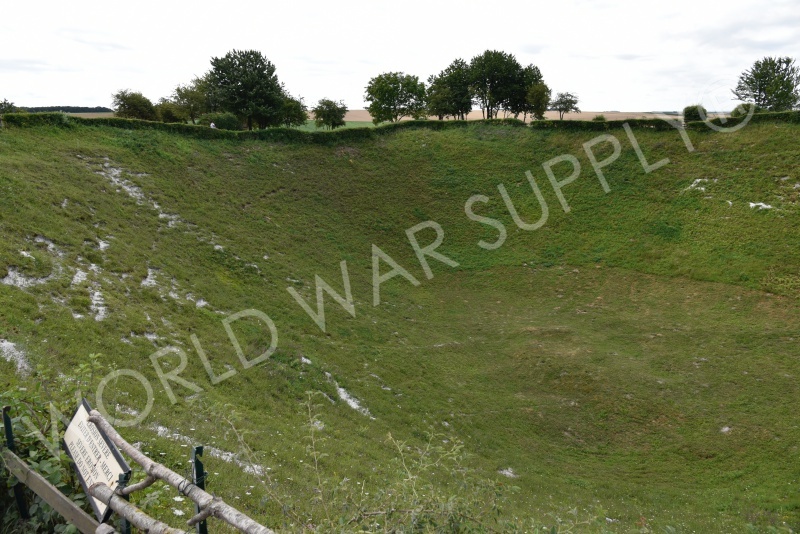 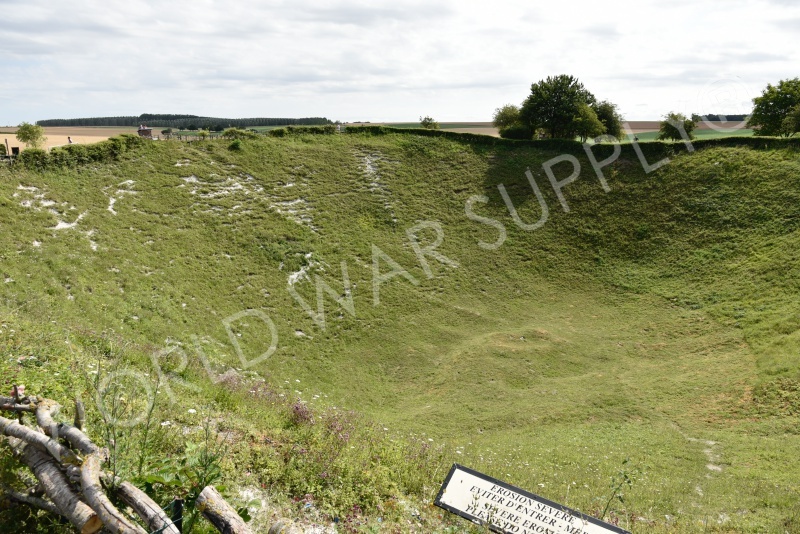 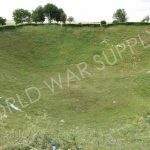 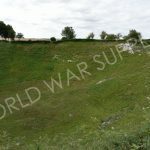 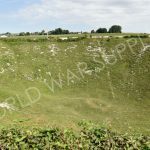 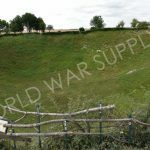 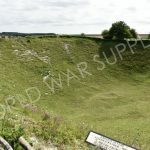 This crater is one of the largest military craters left and many visit it today to learn about WW1 remember the lives that were lost. 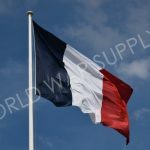 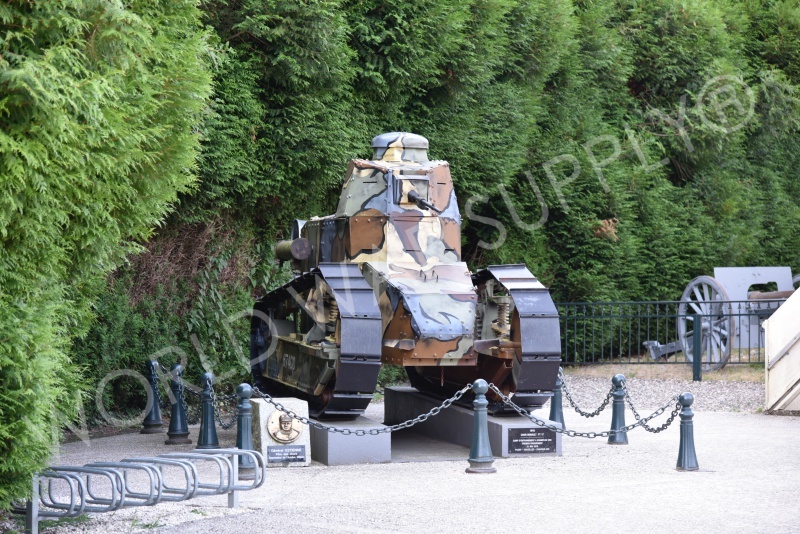 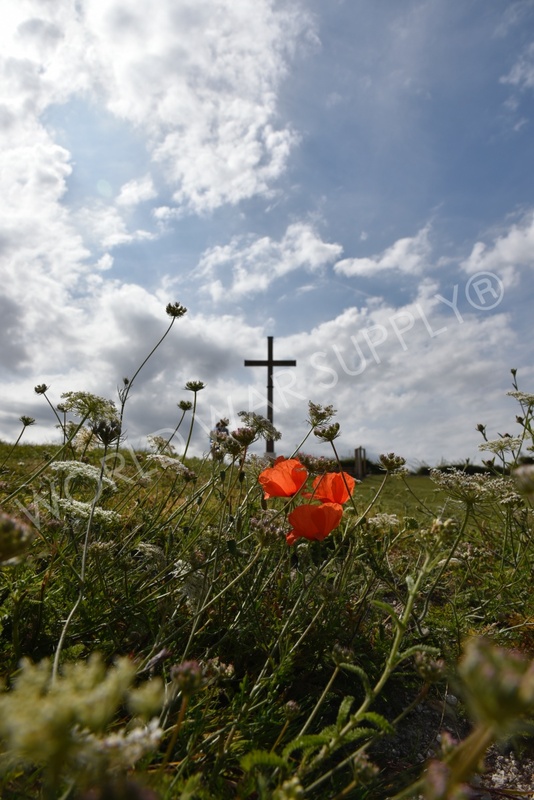 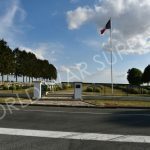 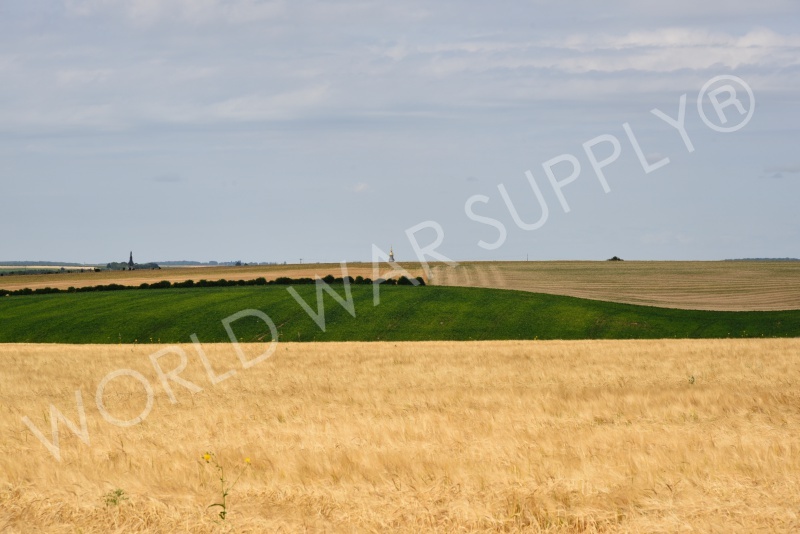 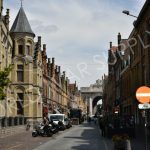 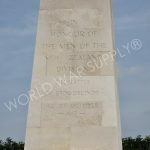 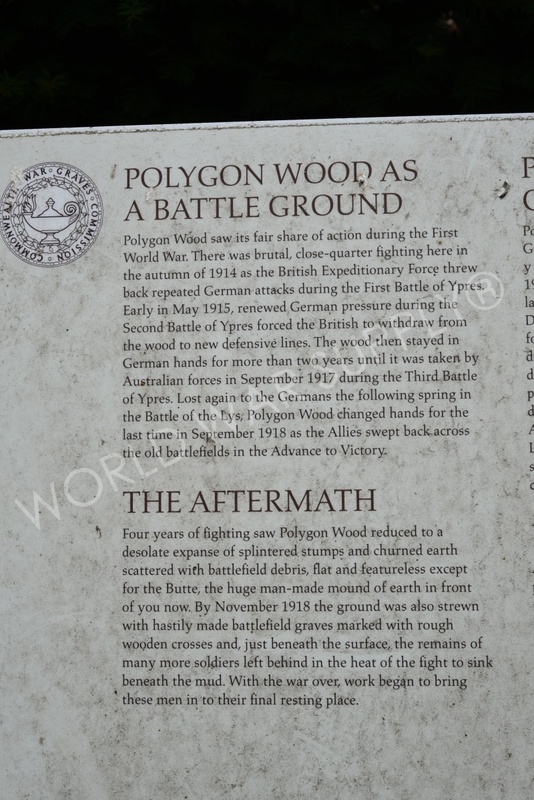 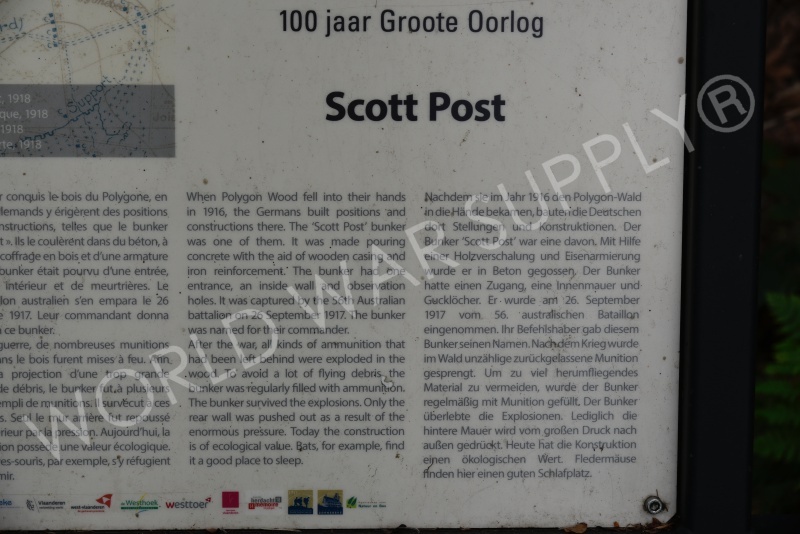 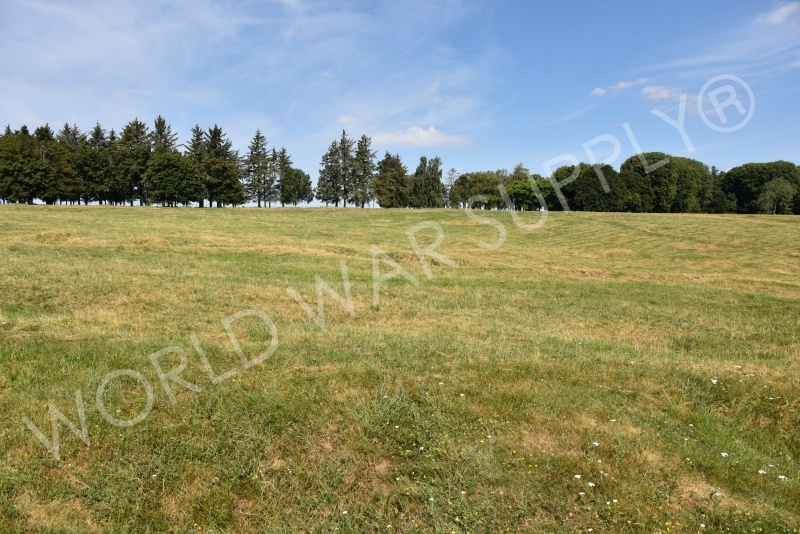 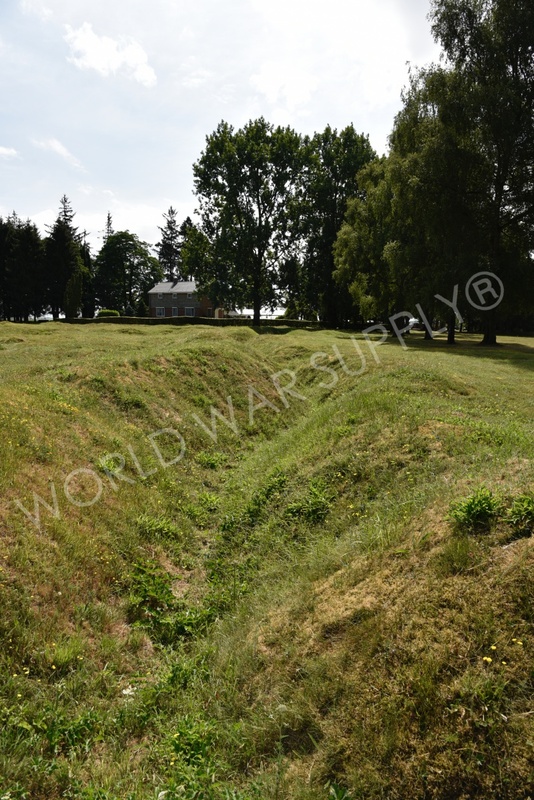 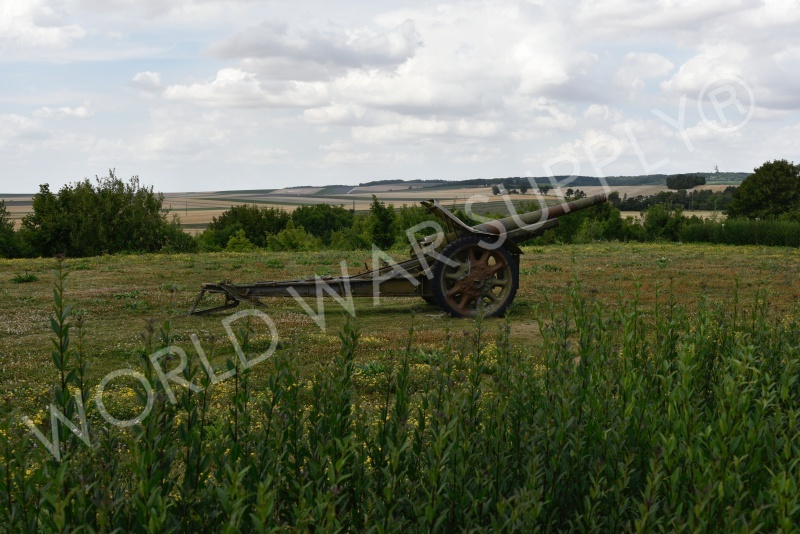 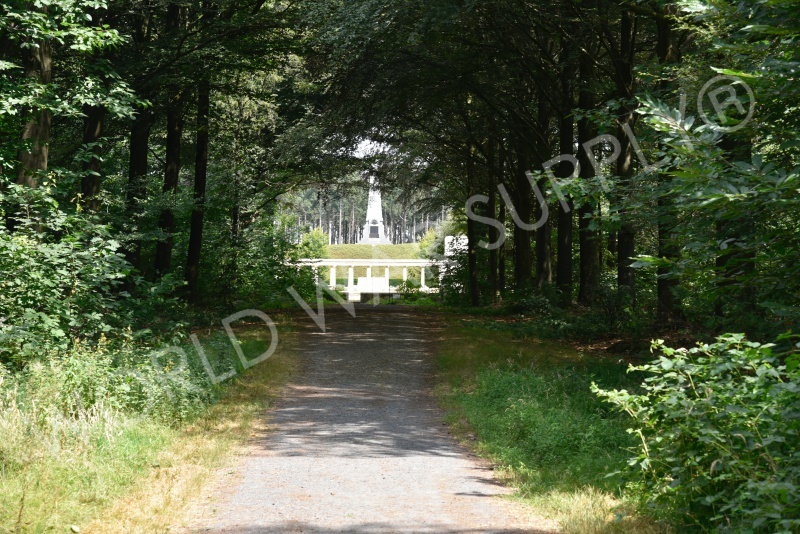 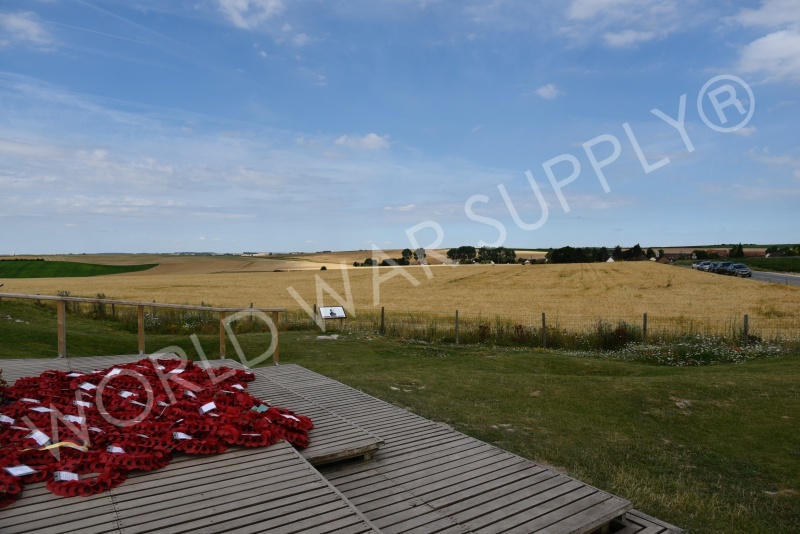 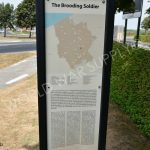 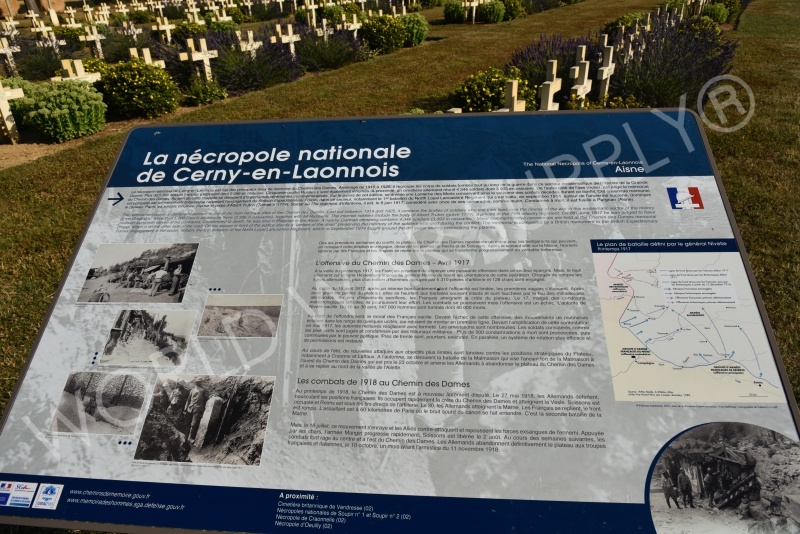 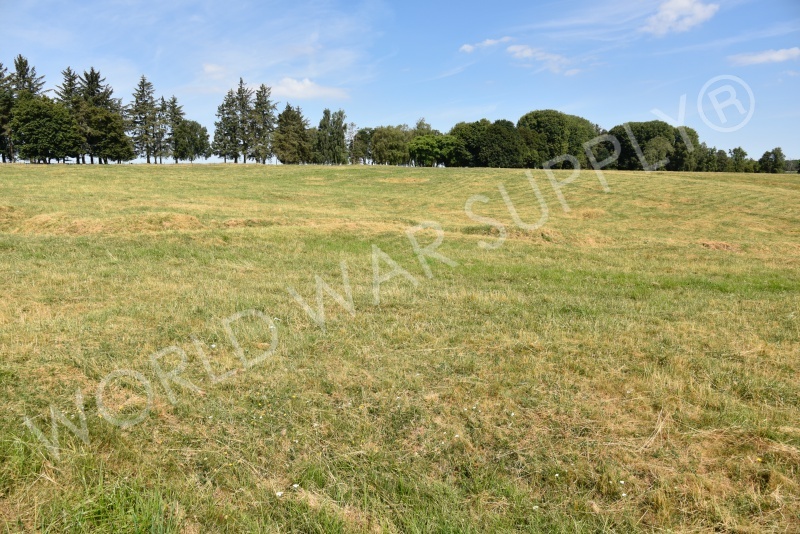 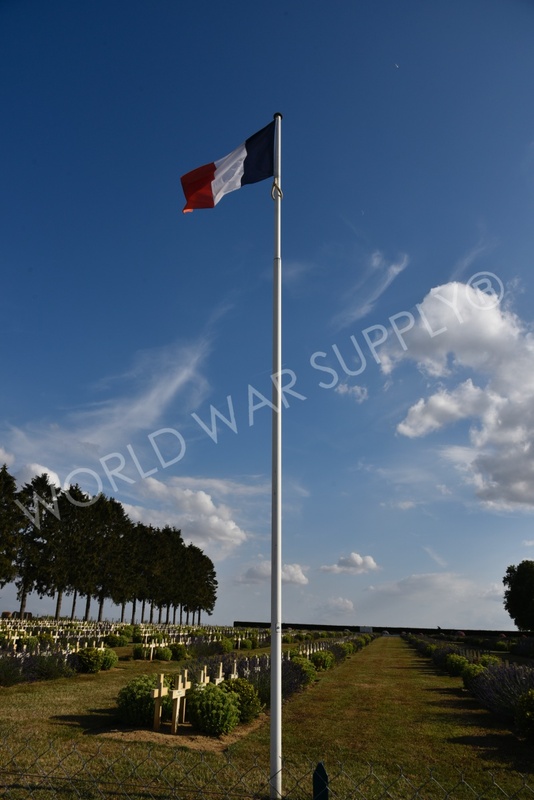 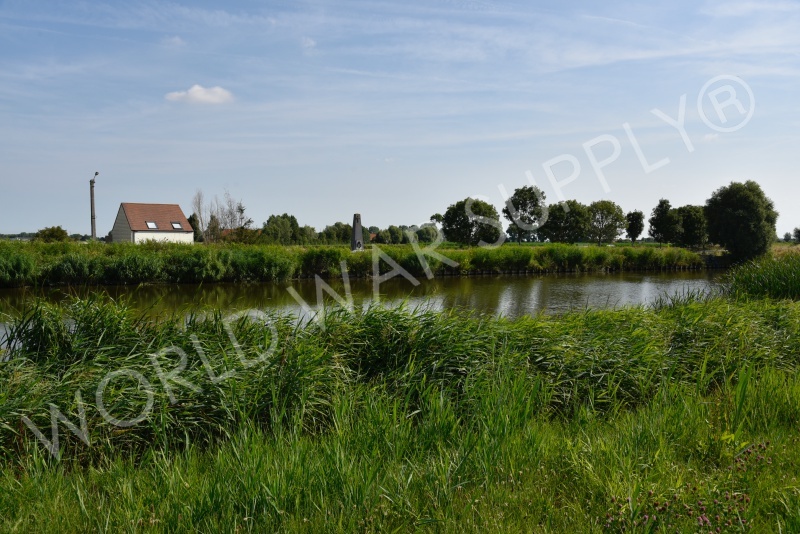 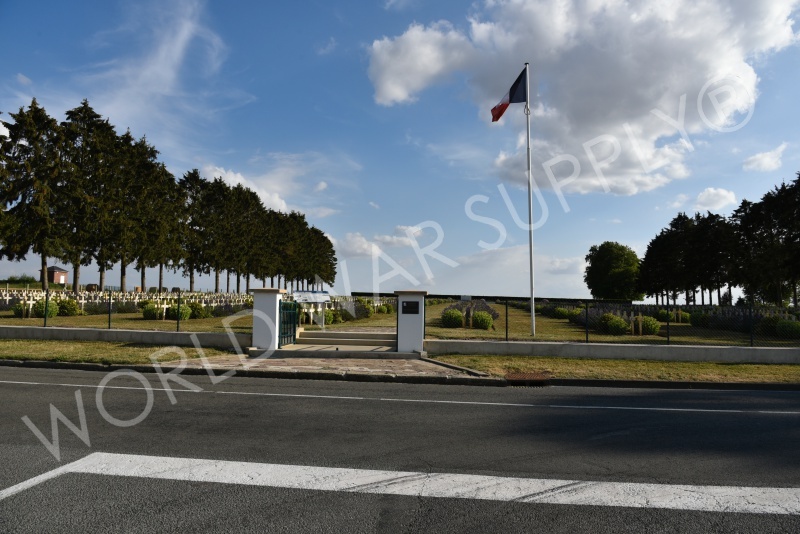 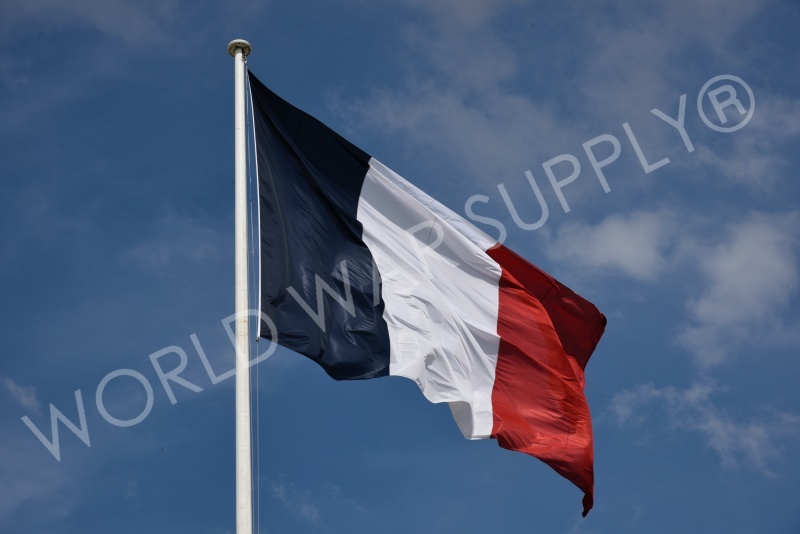 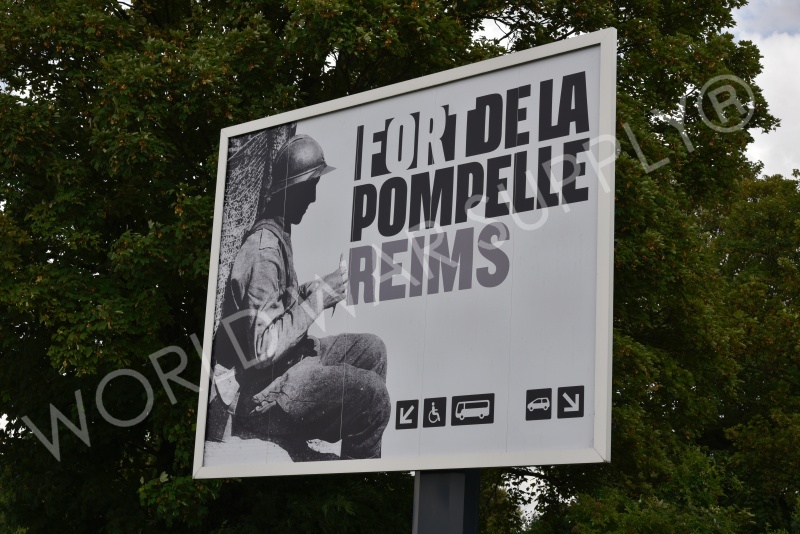 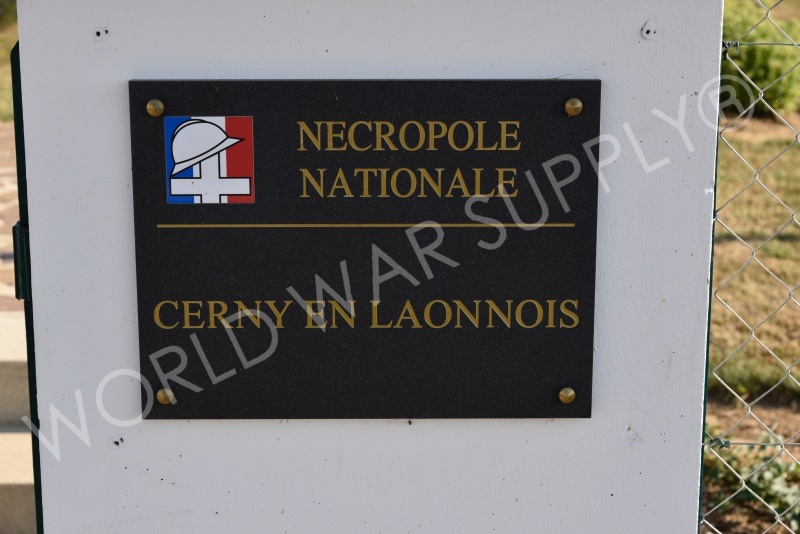 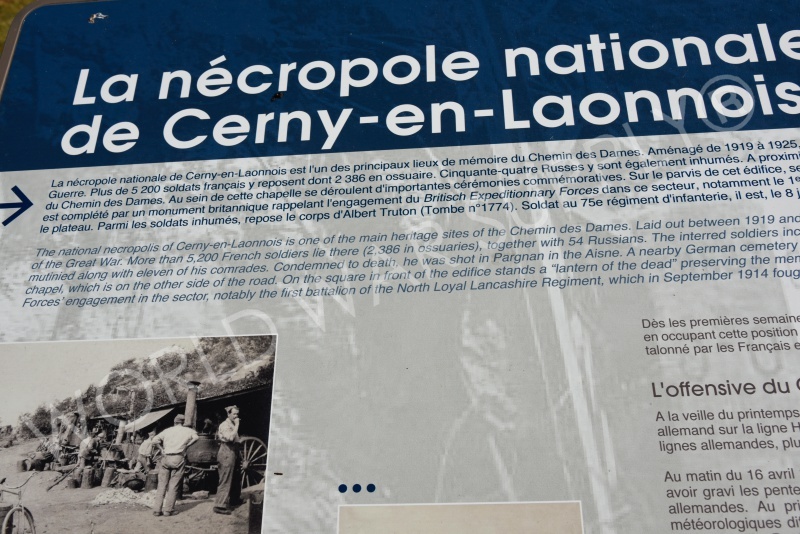 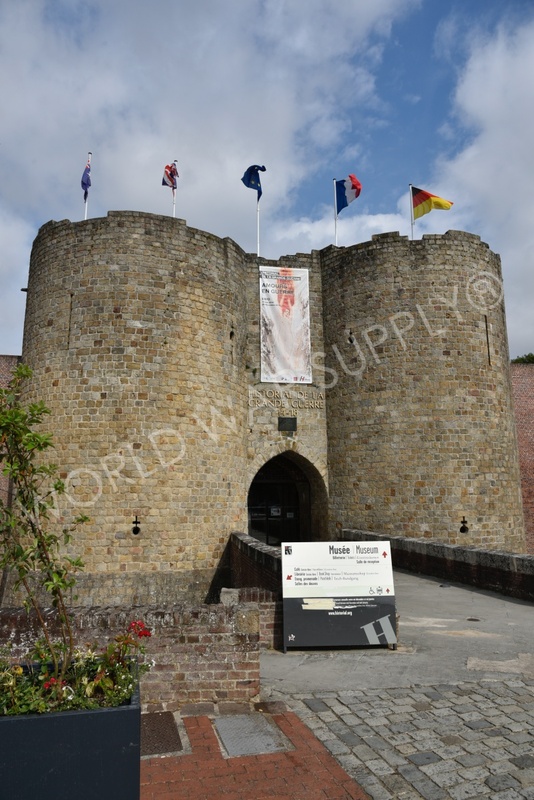 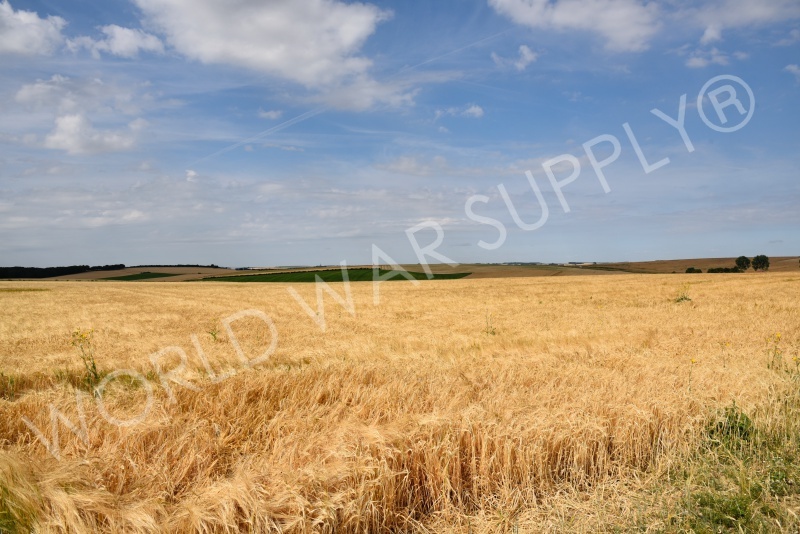 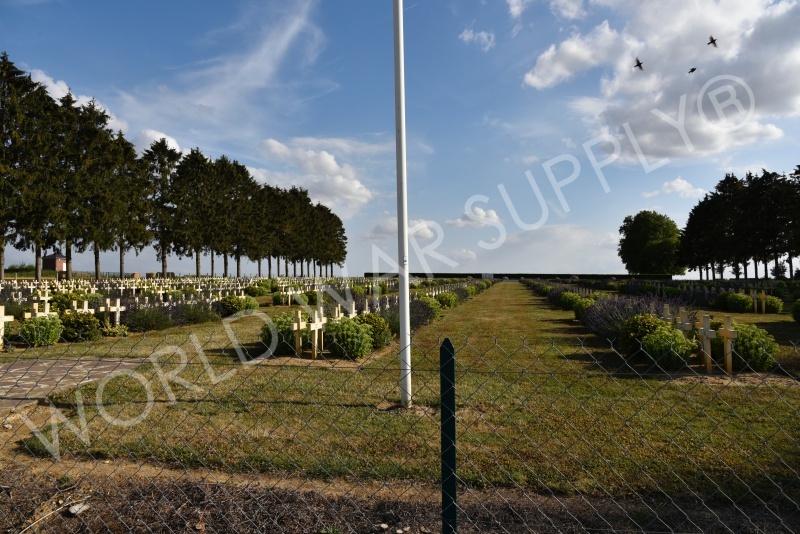 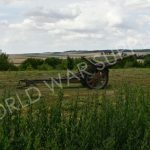 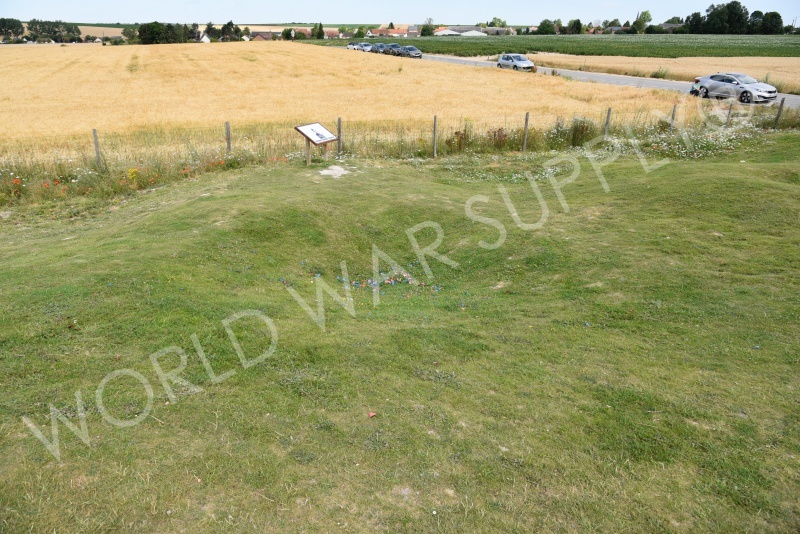 This site is a battleground located in the North of France and is one of many sites to honor the Battle of the Somme. 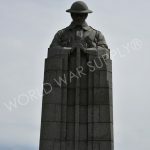 A large Caribou specifically honors the Newfoundland Regiment who fought there. 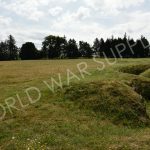 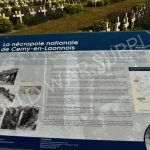 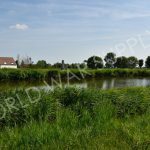 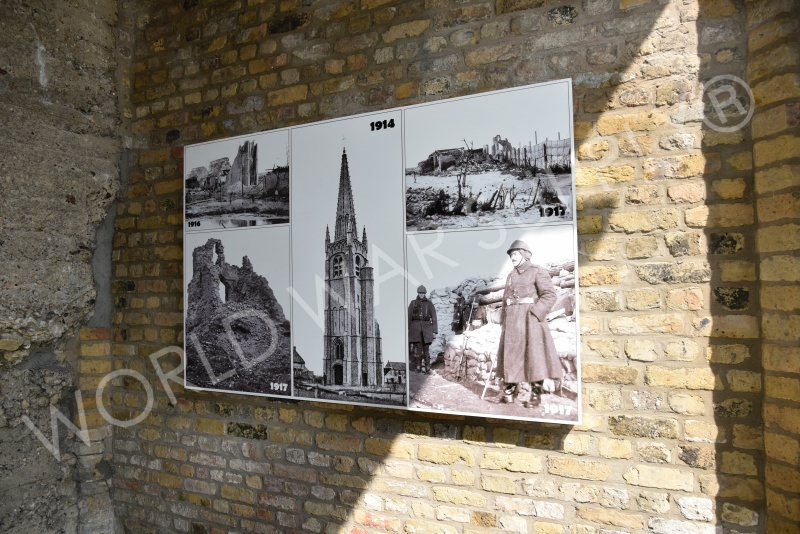 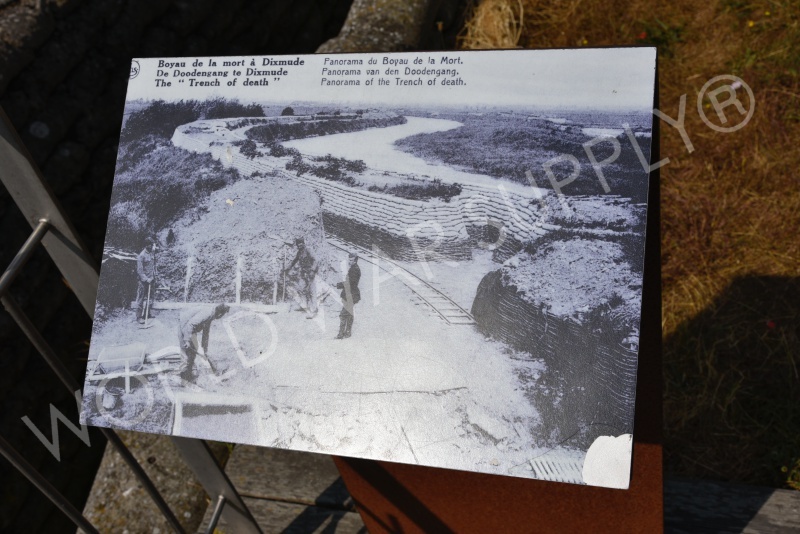 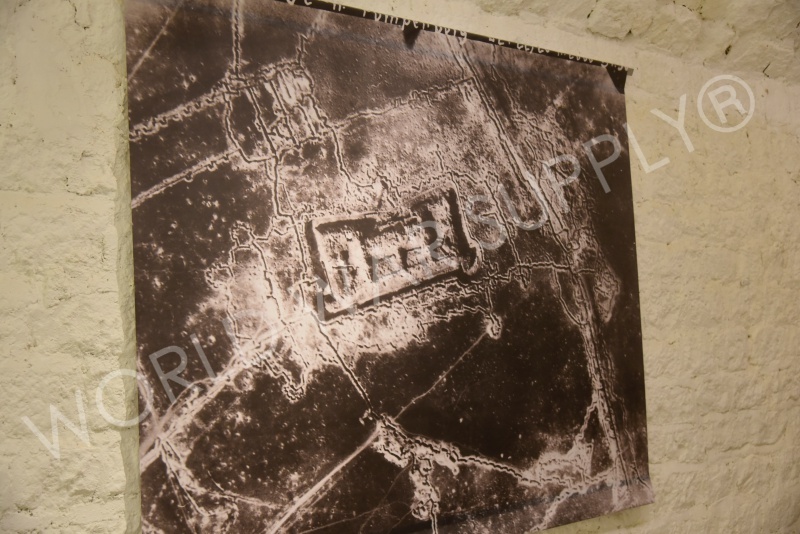 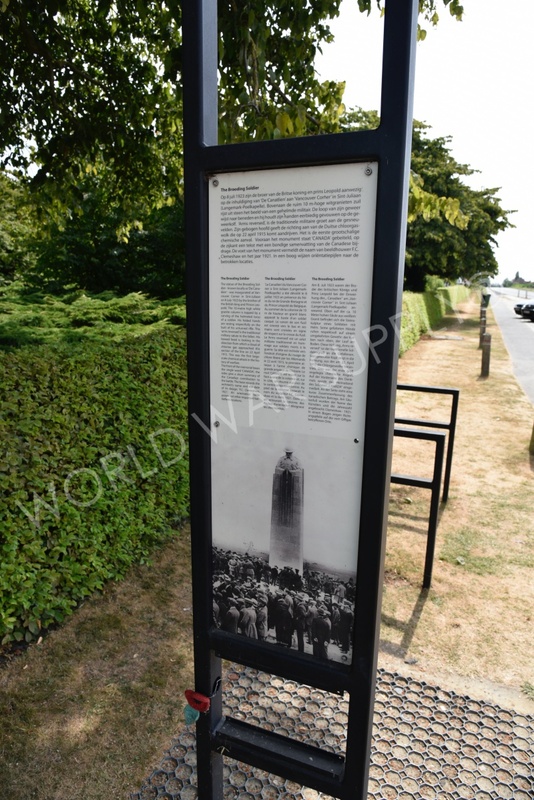 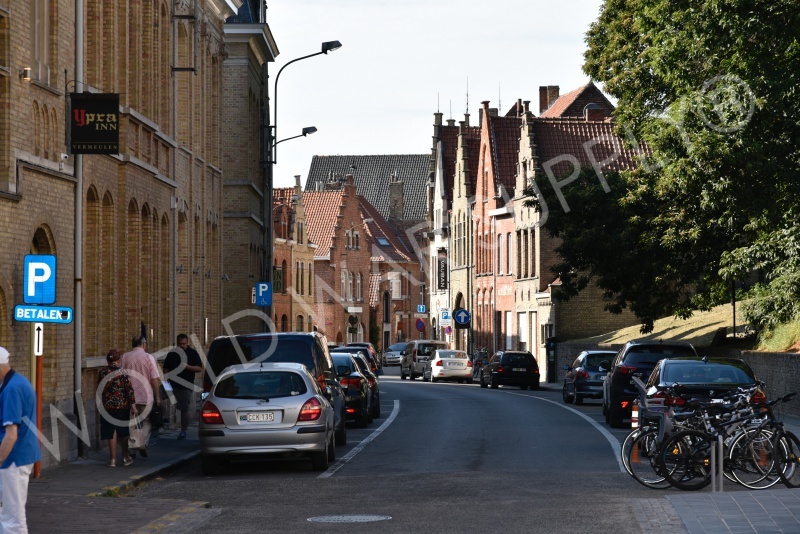 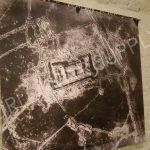 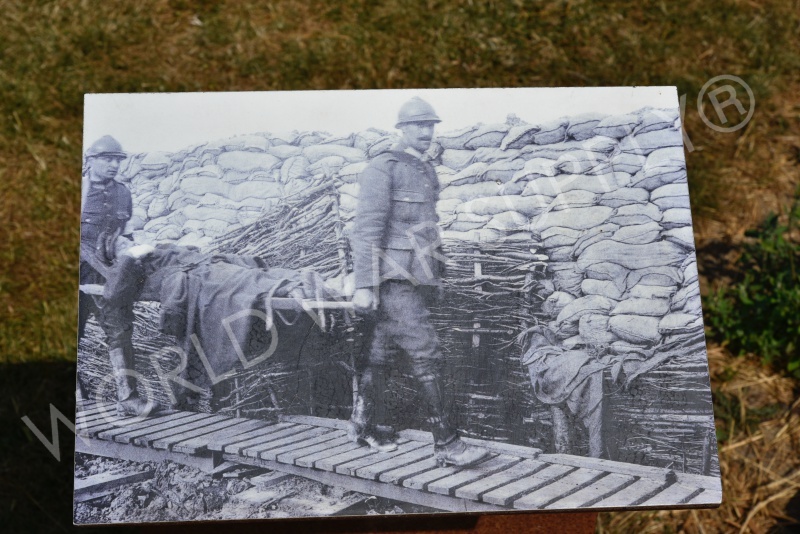 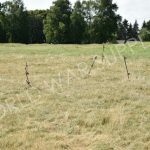 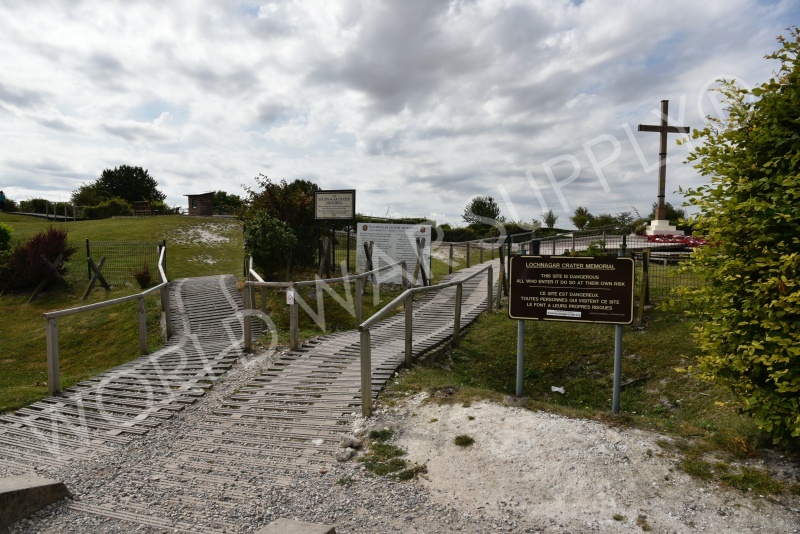 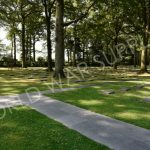 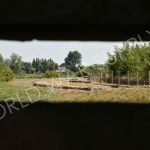 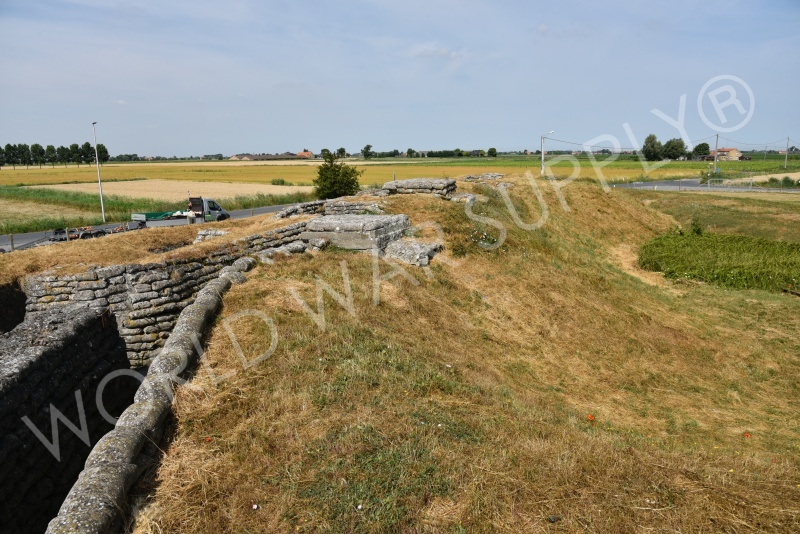 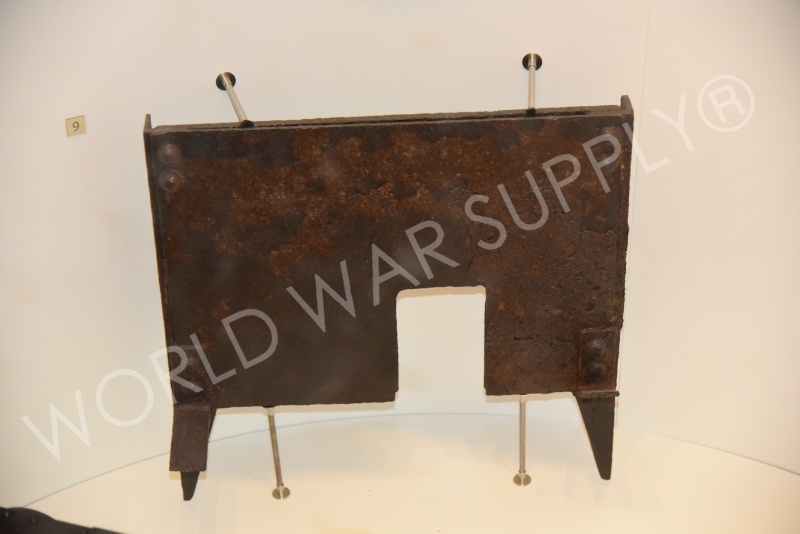 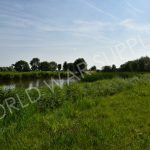 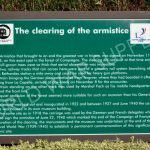 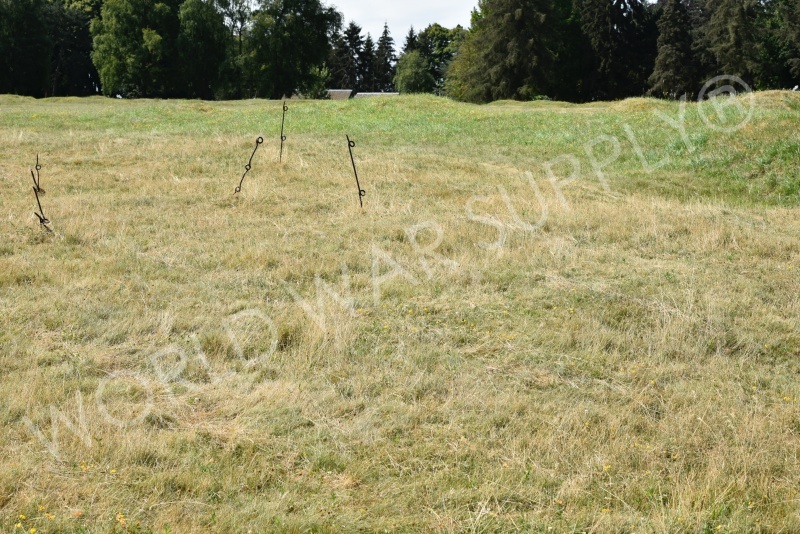 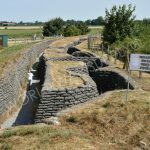 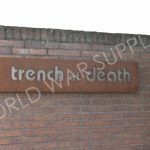 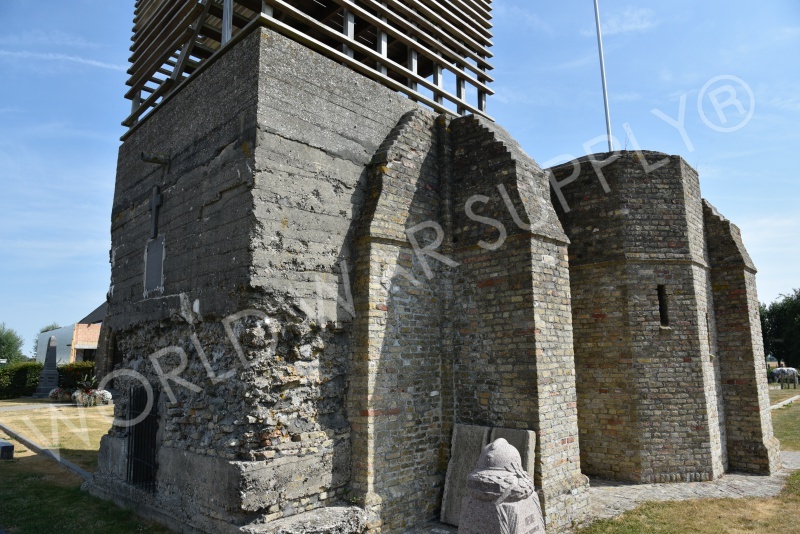 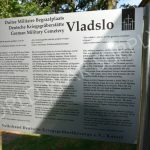 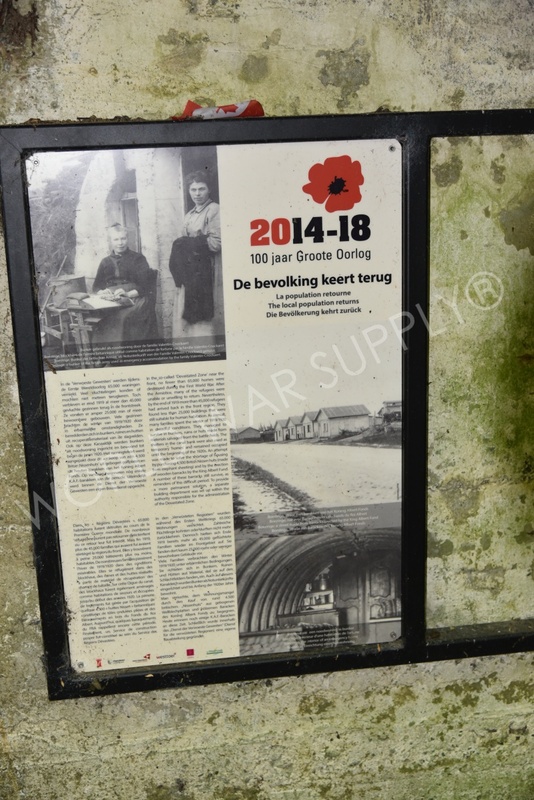 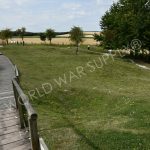 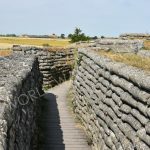 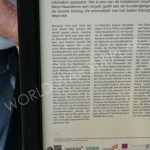 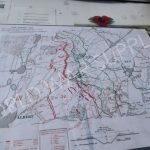 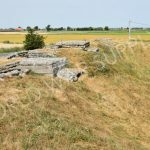 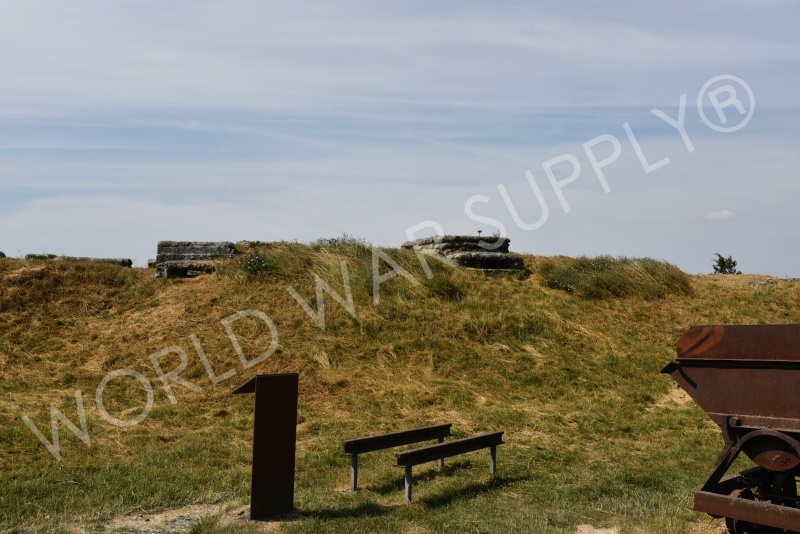 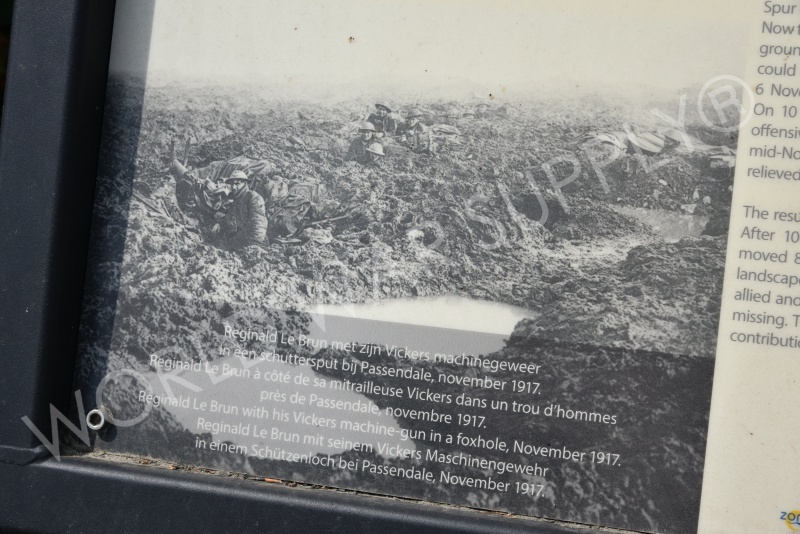 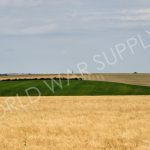 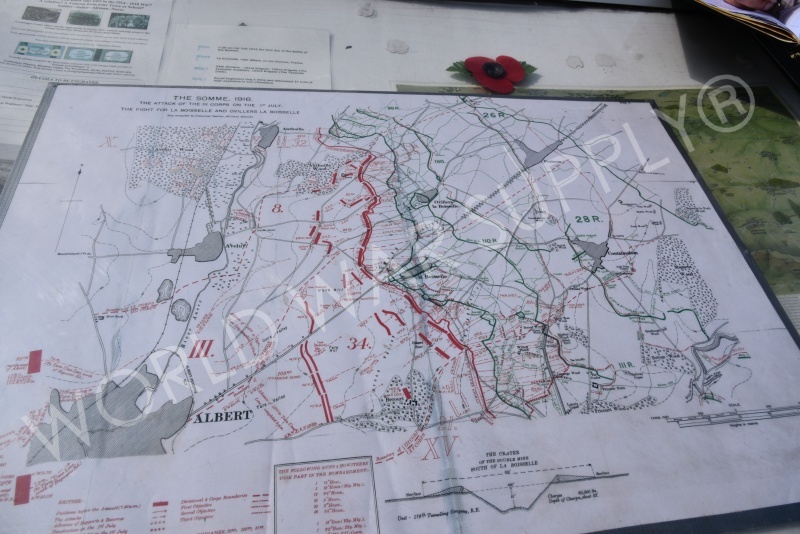 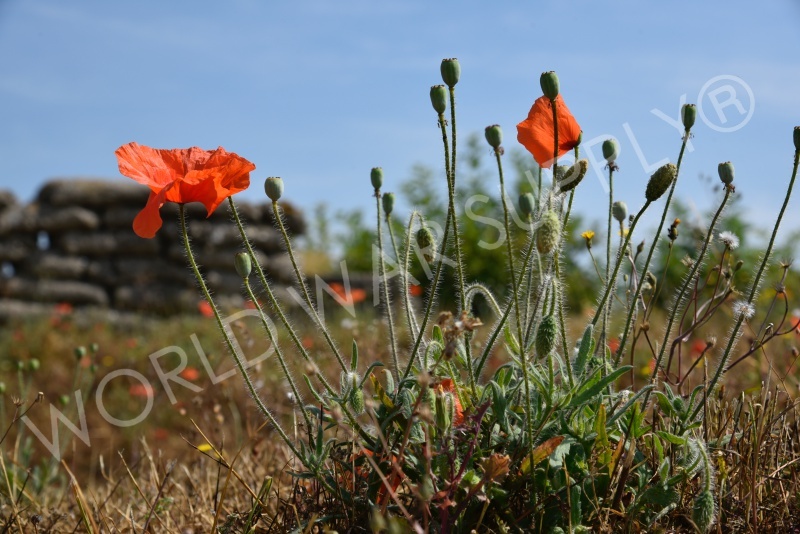 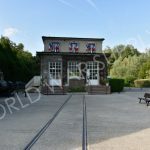 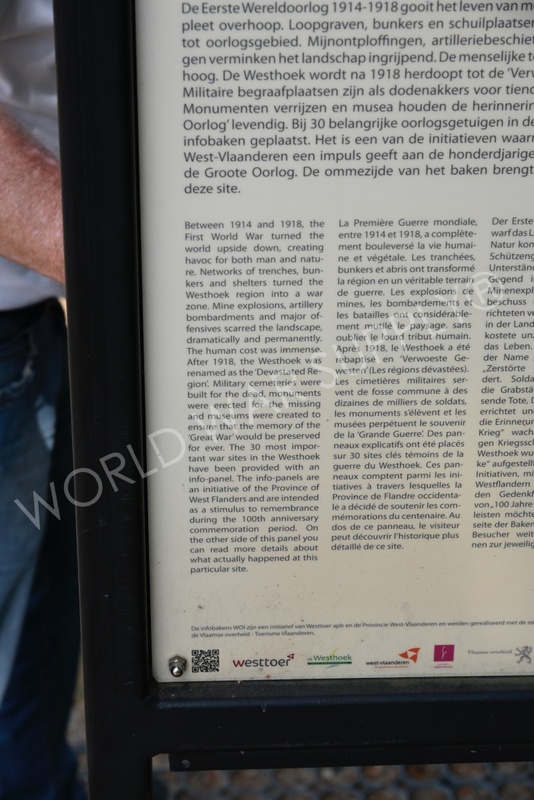 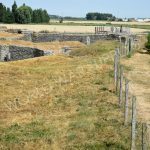 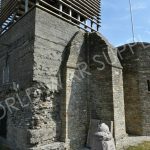 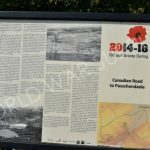 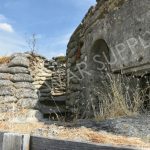 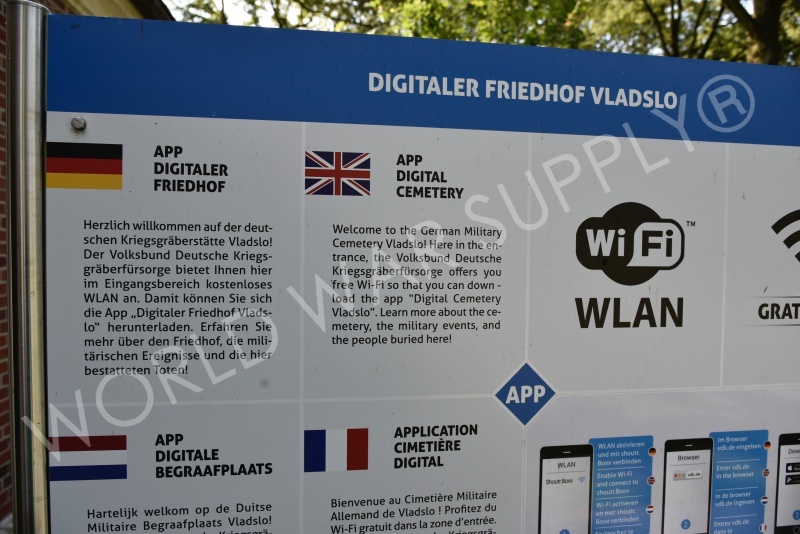 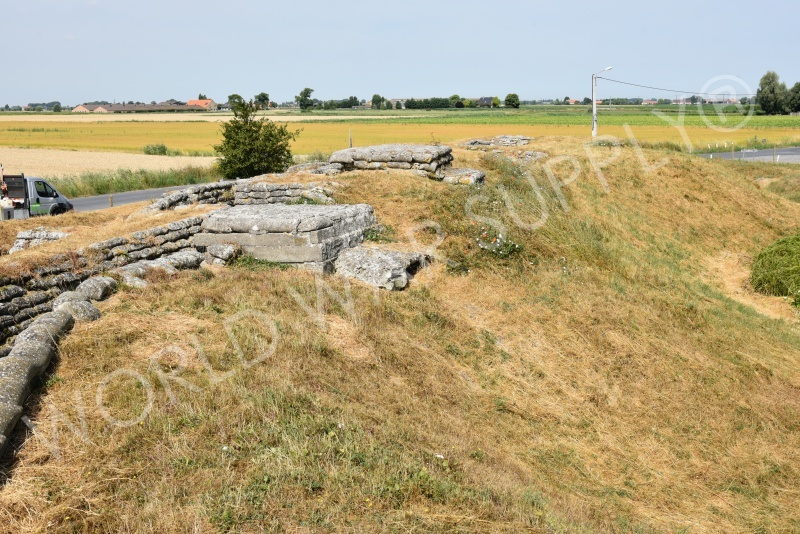 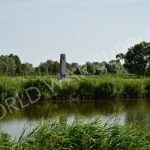 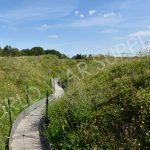 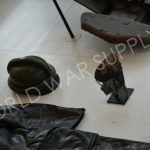 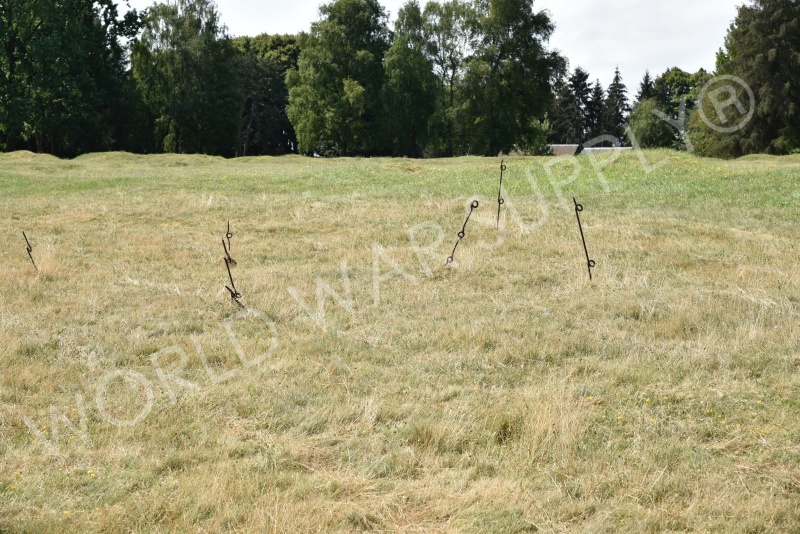 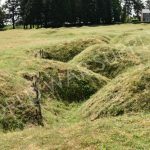 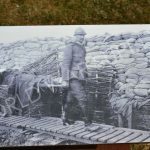 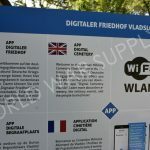 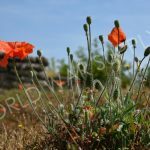 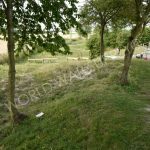 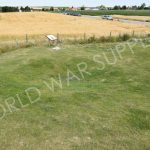 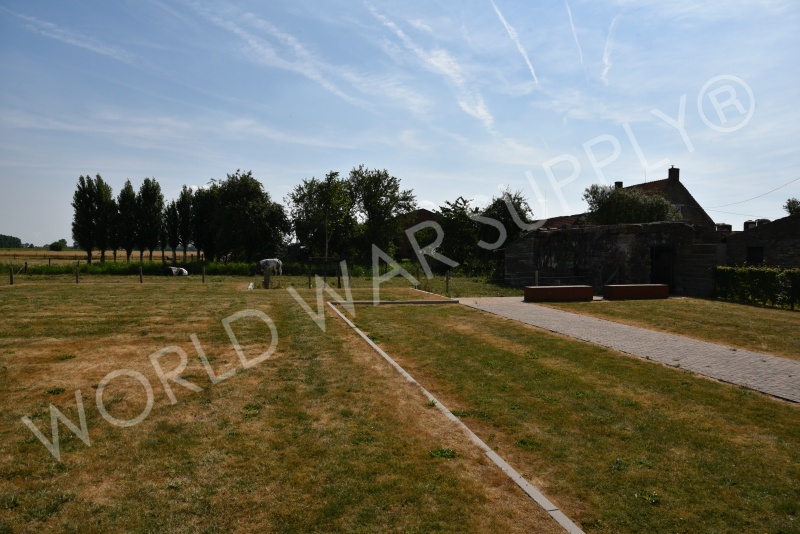 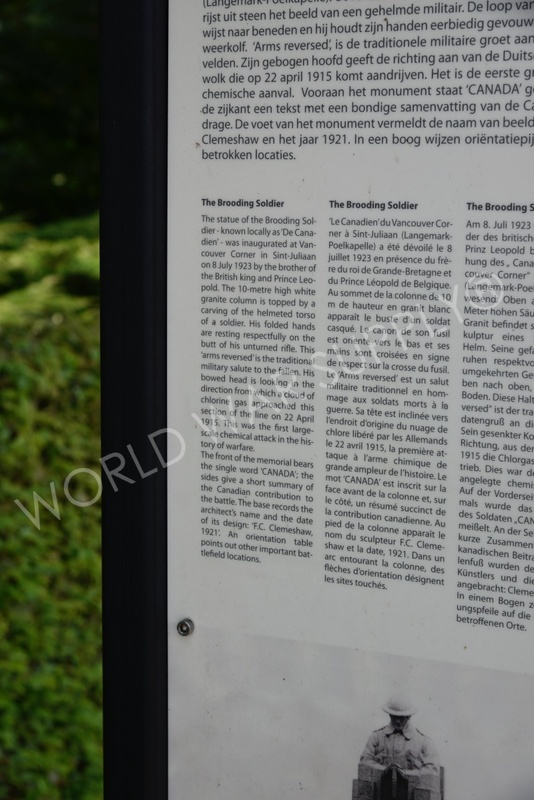 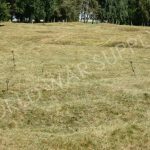 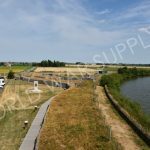 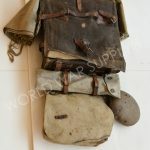 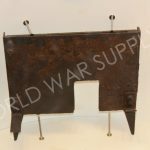 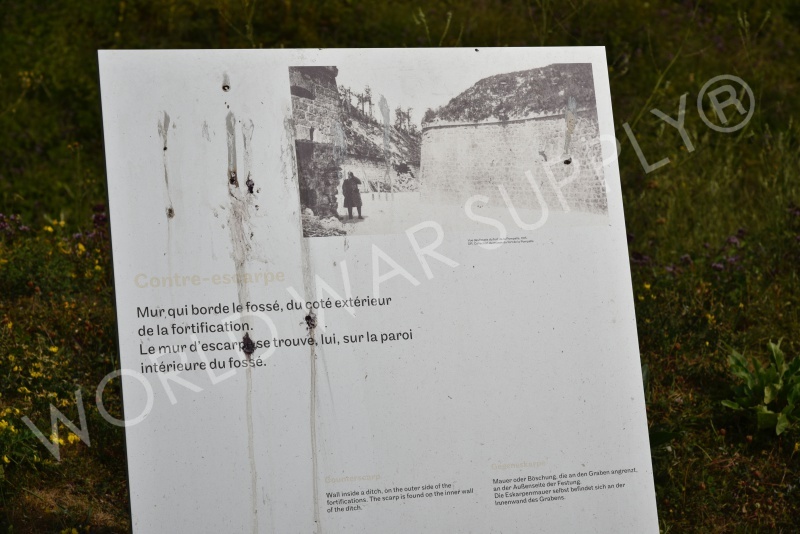 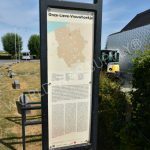 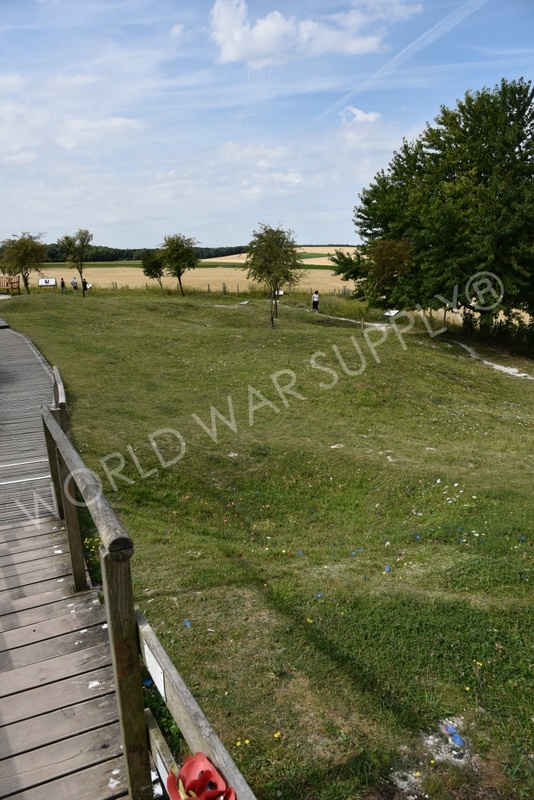 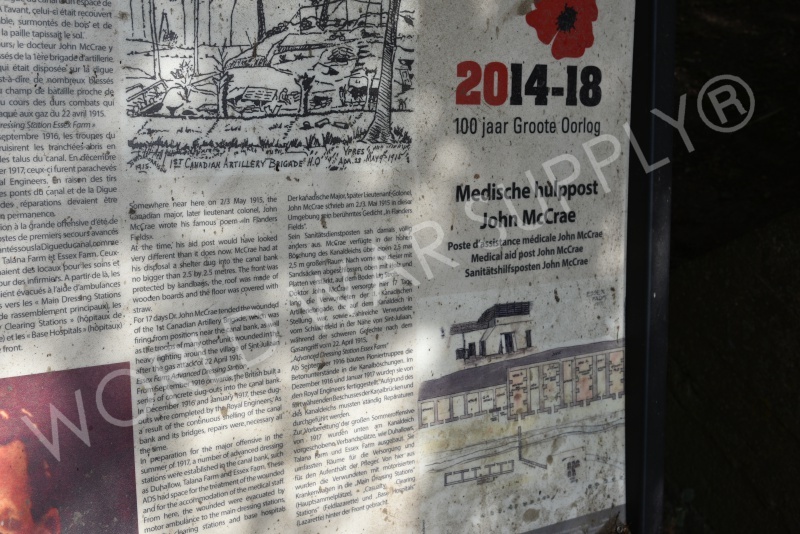 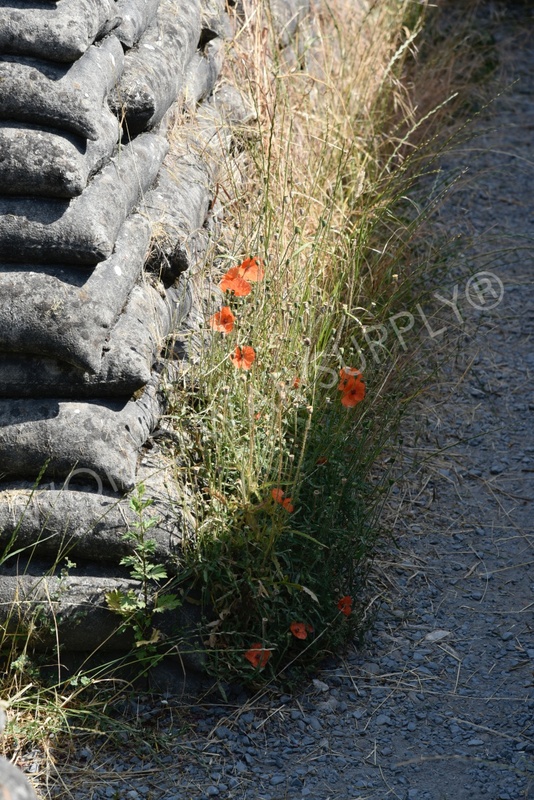 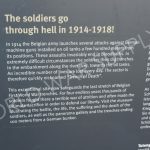 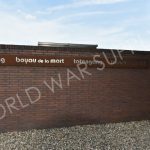 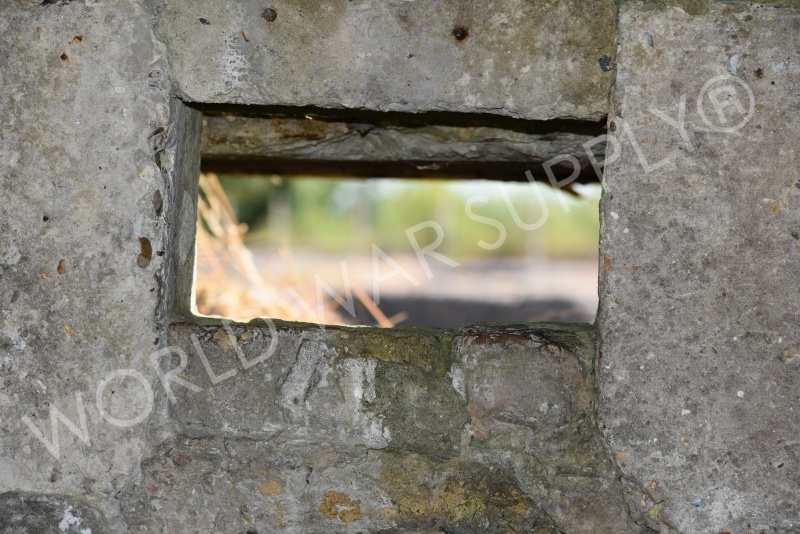 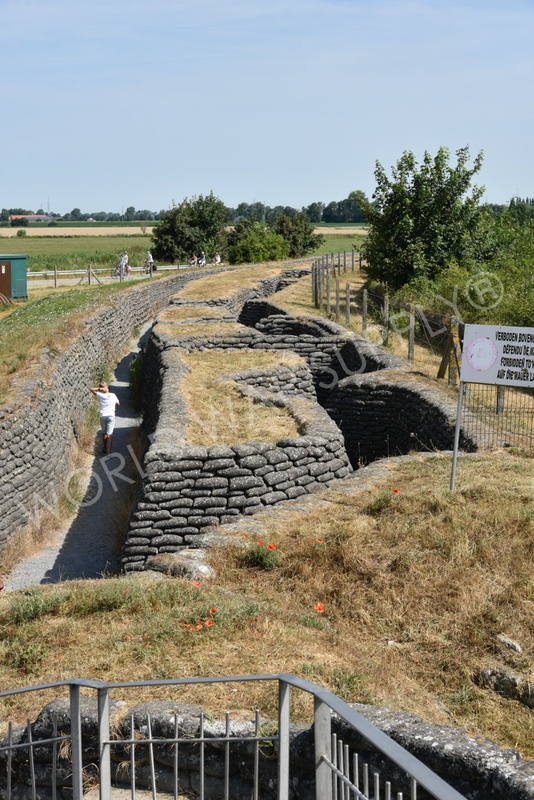 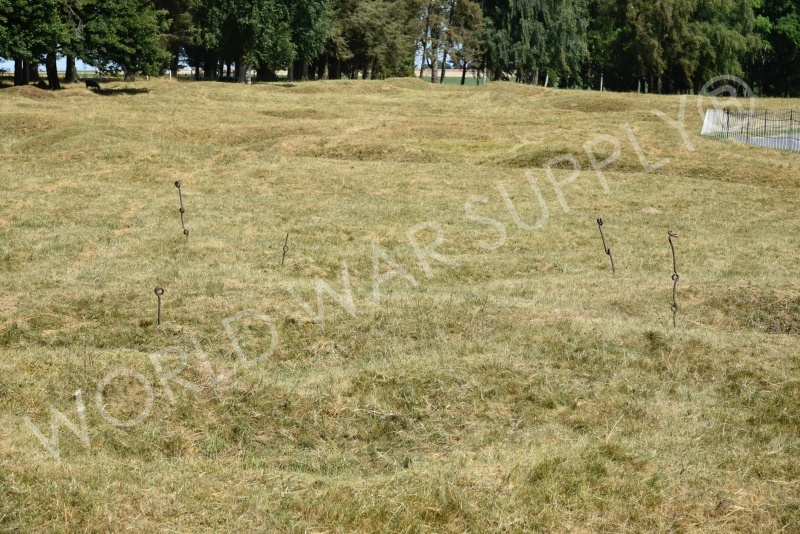 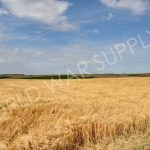 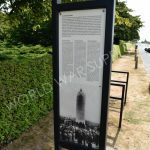 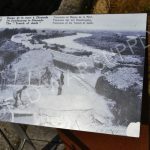 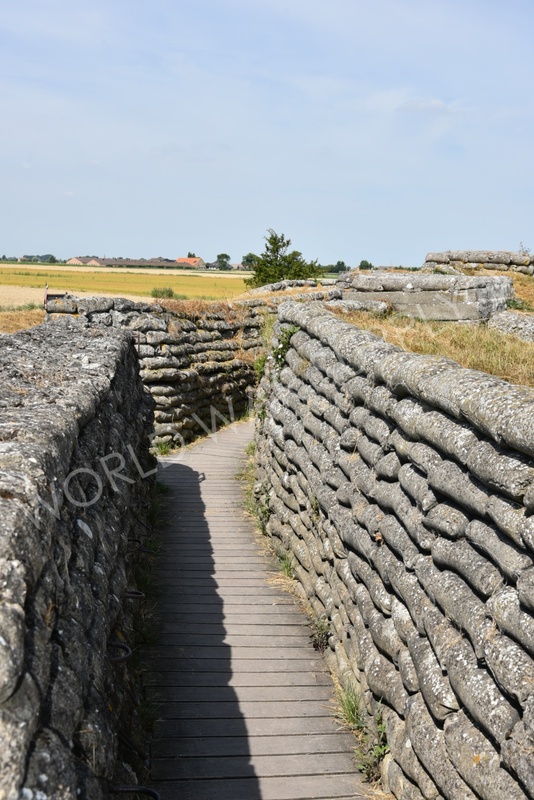 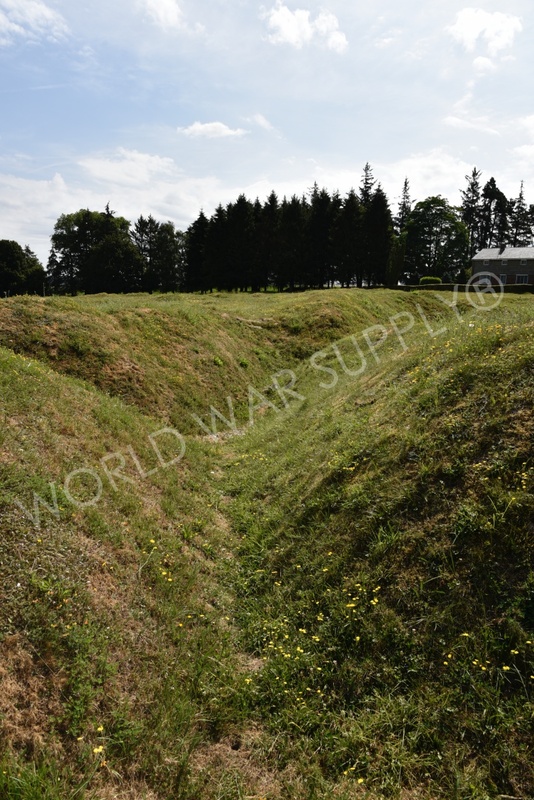 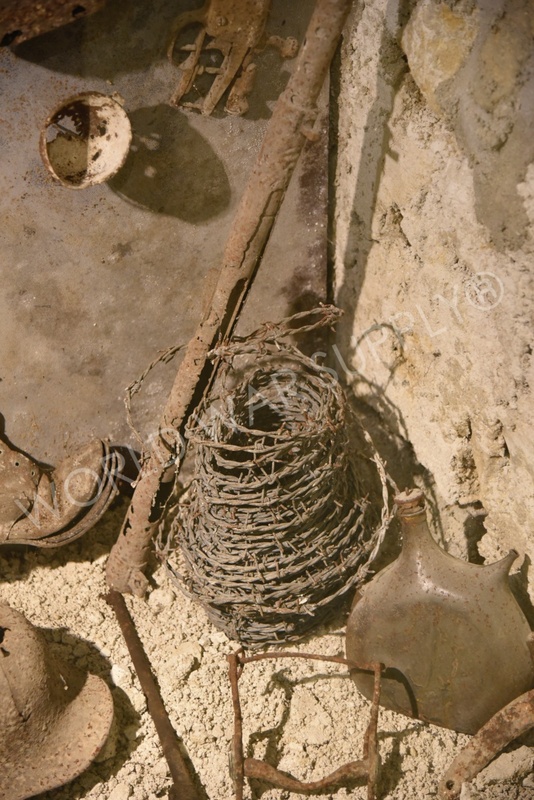 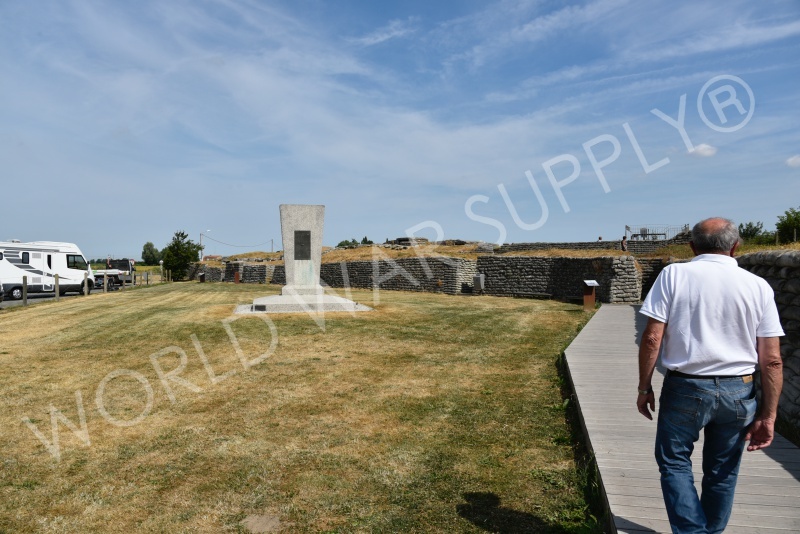 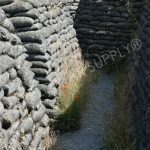 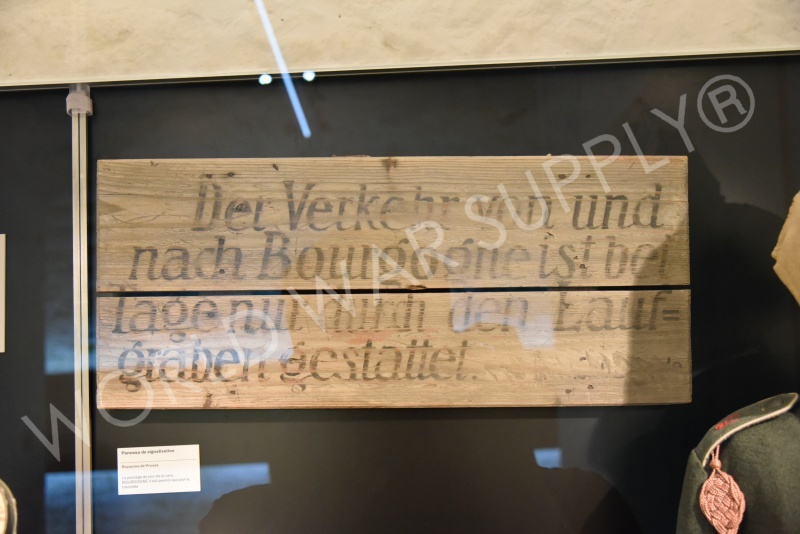 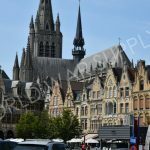 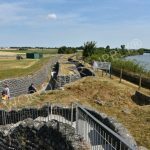 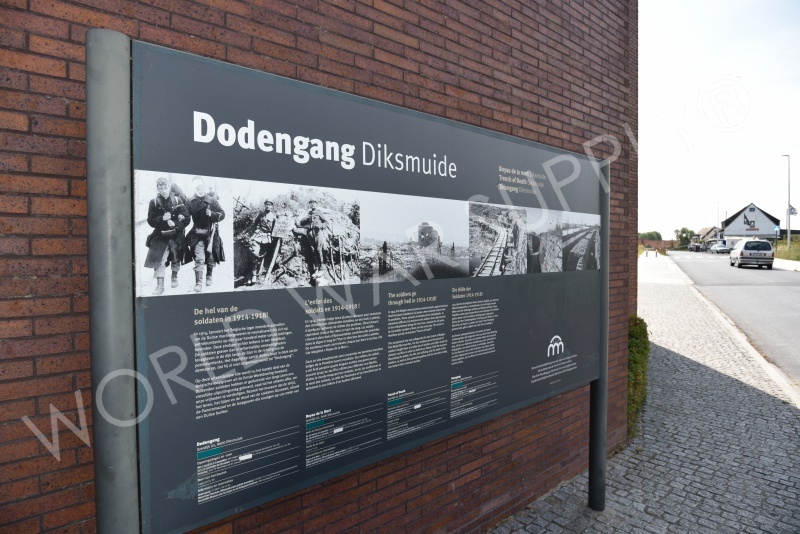 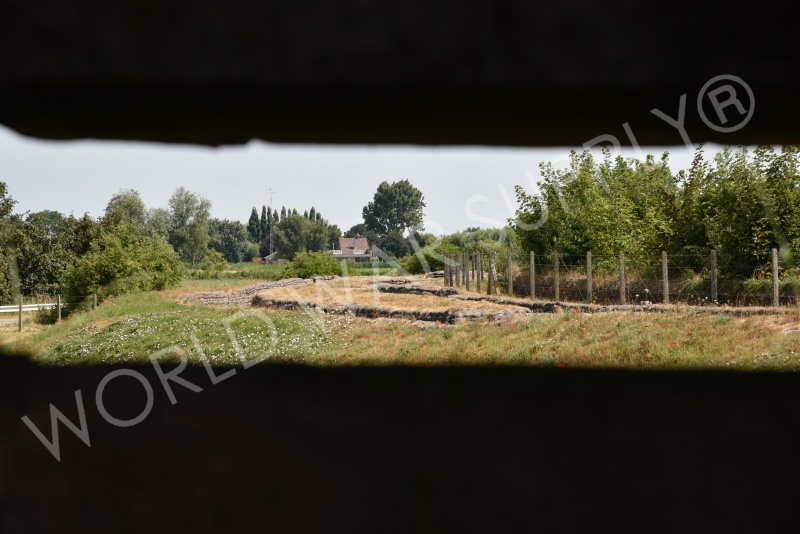 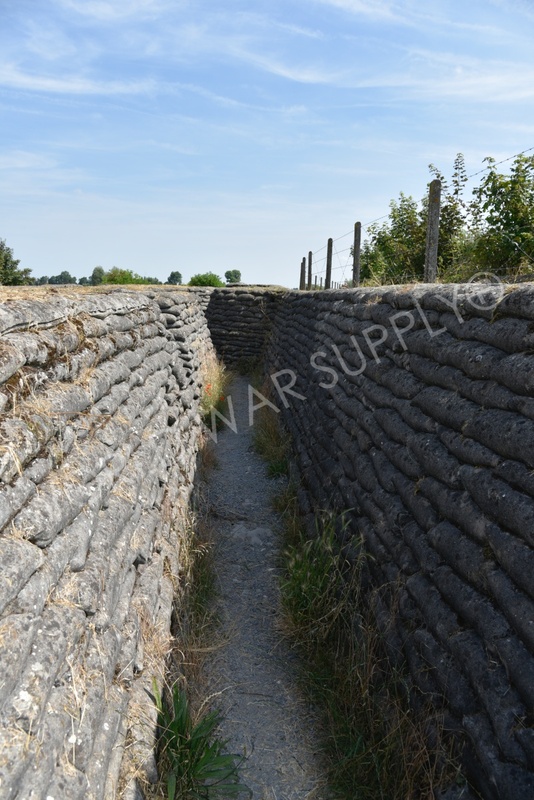 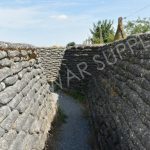 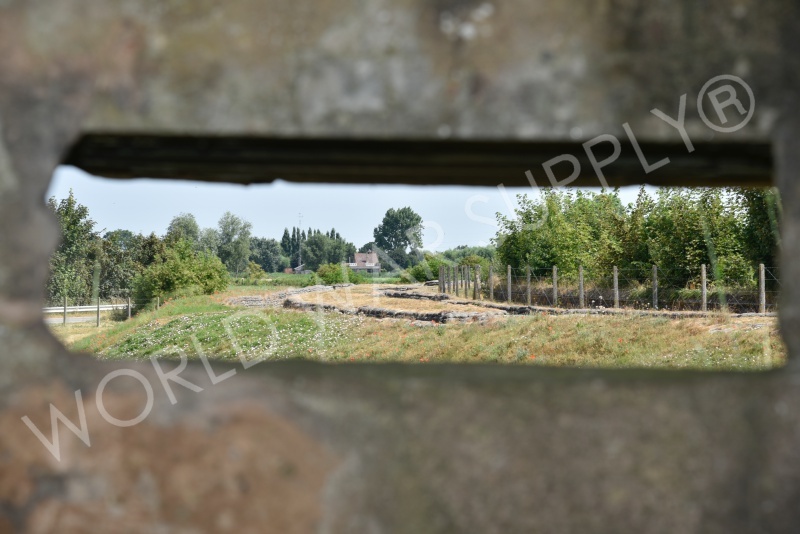 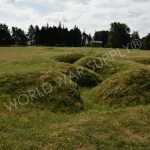 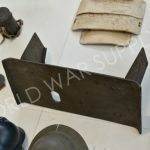 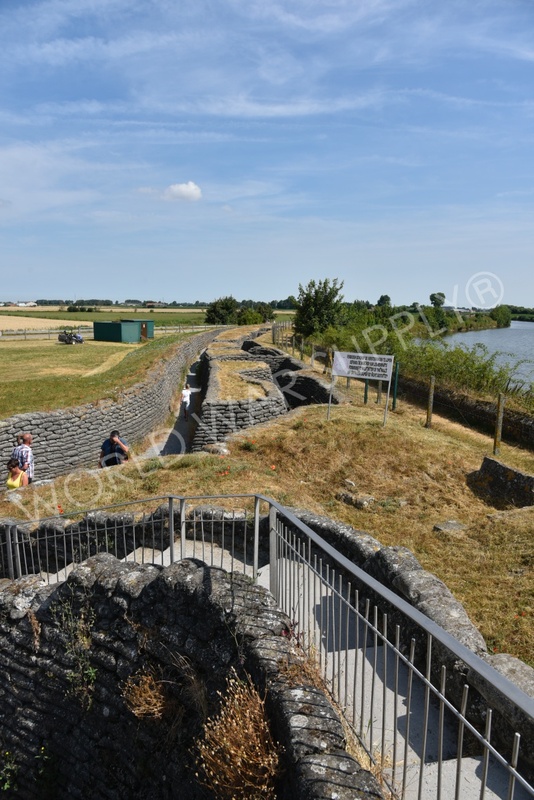 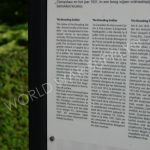 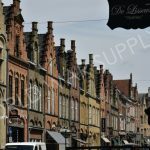 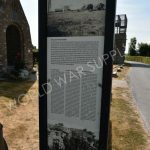 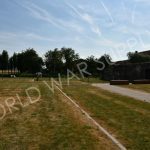 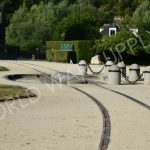 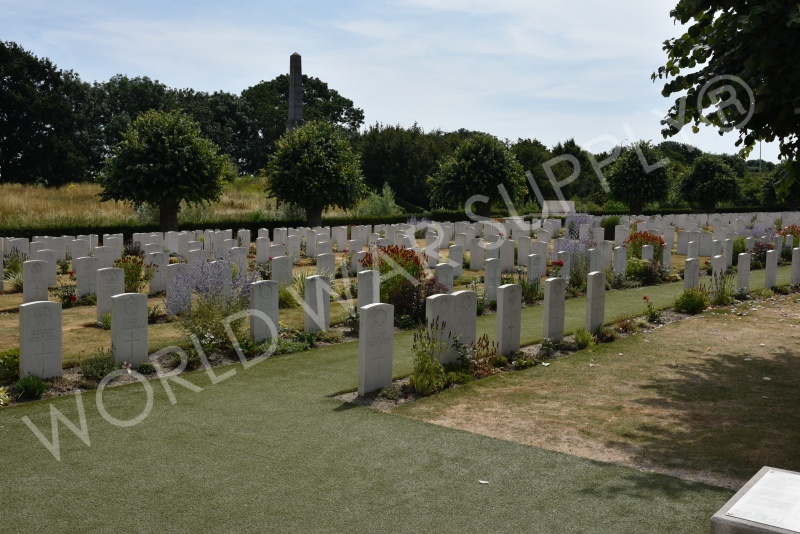 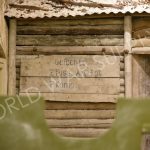 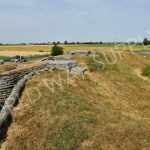 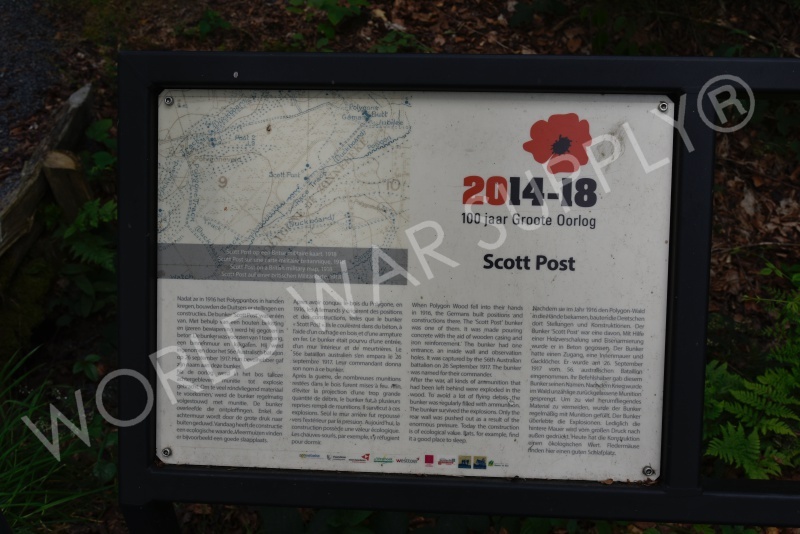 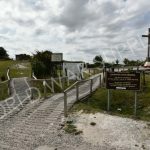 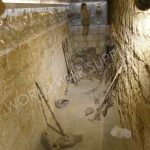 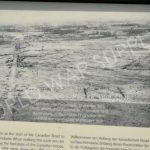 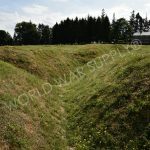 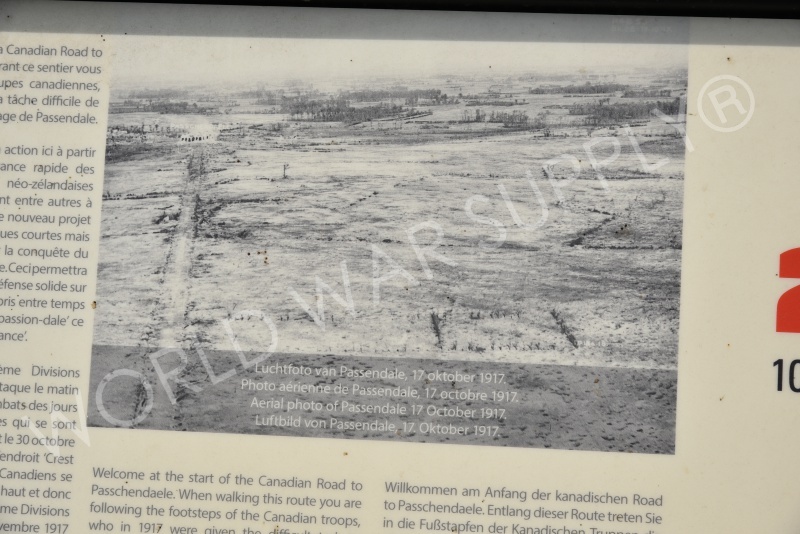 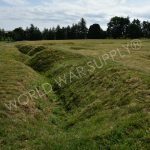 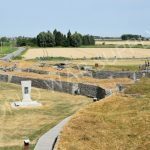 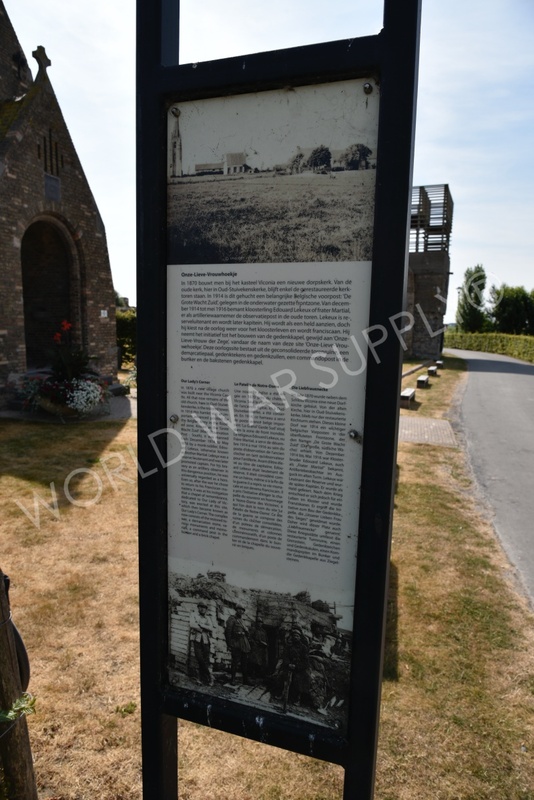 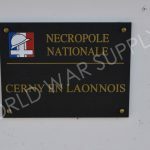 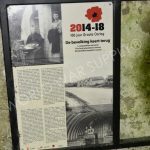 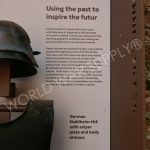 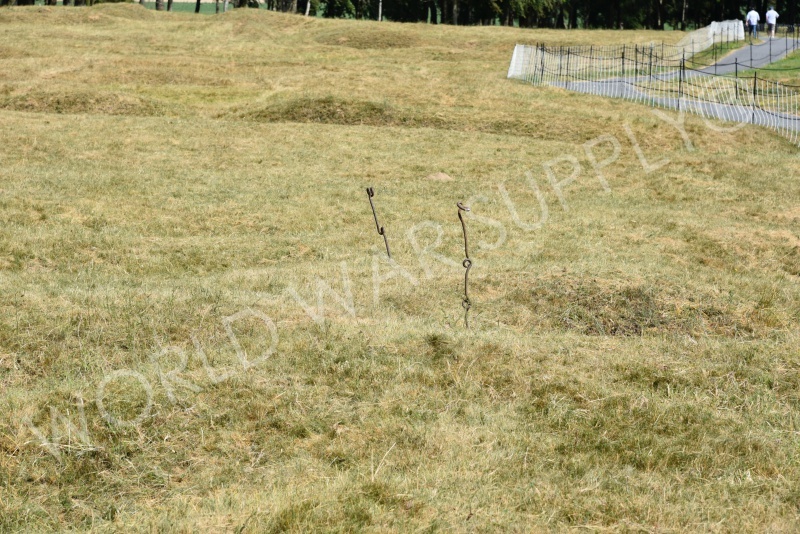 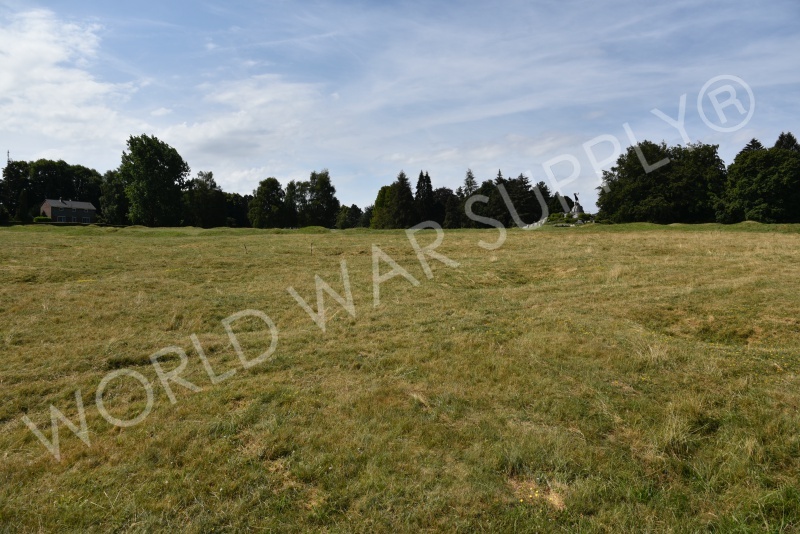 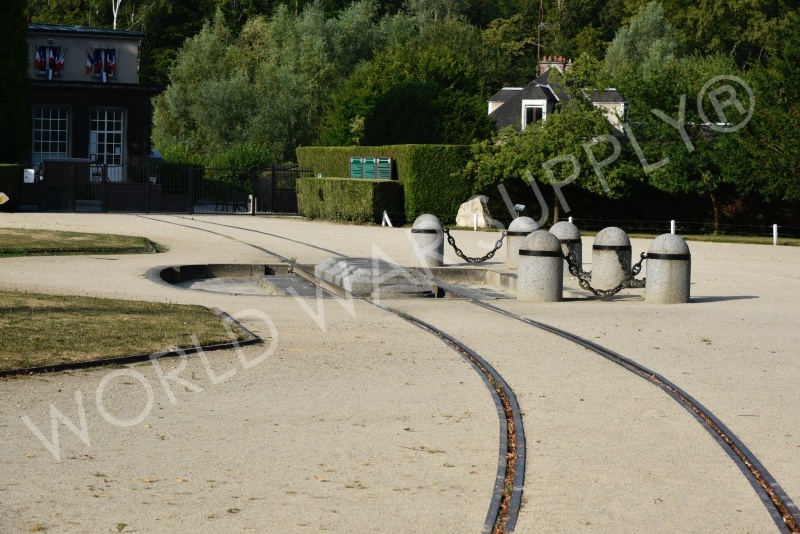 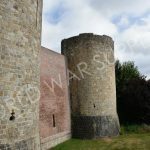 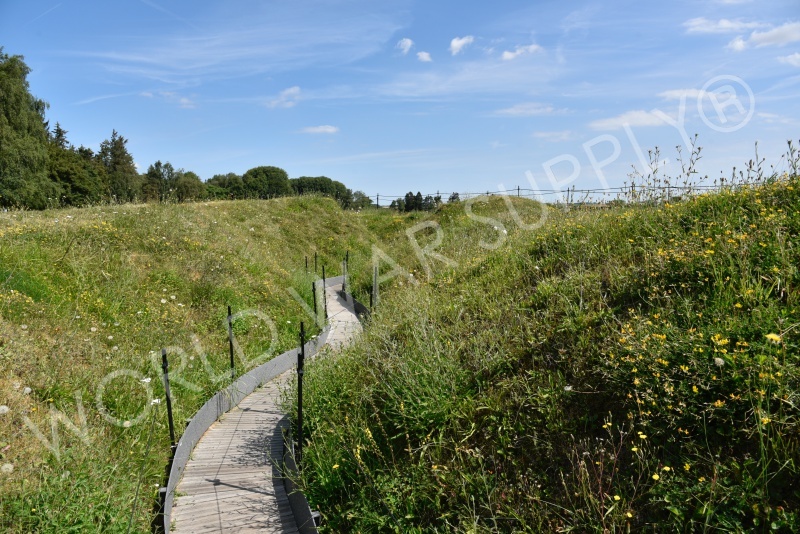 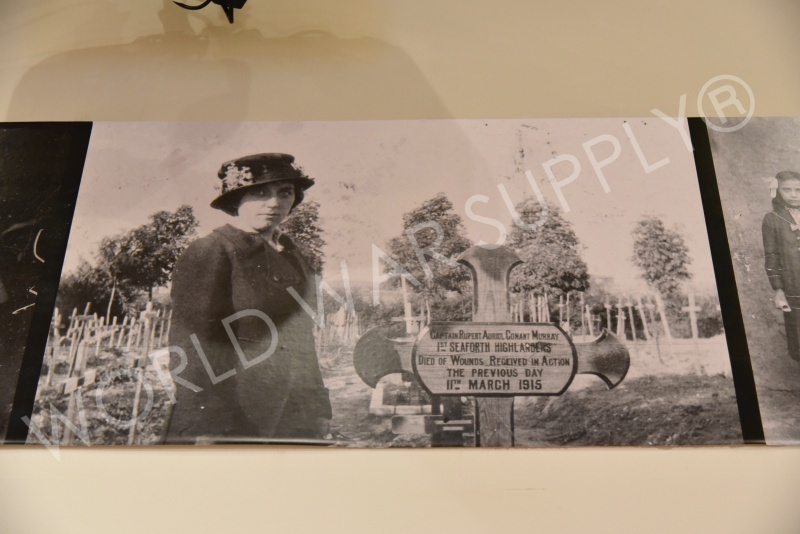 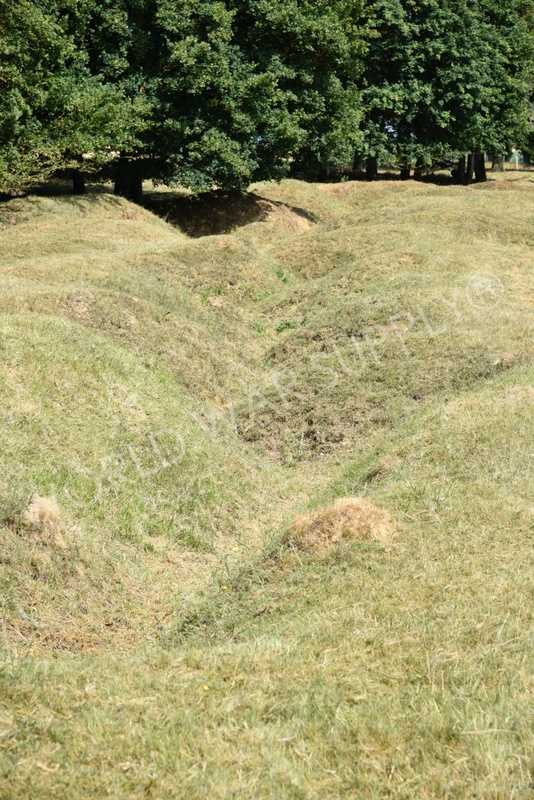 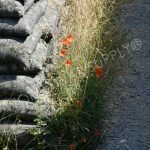 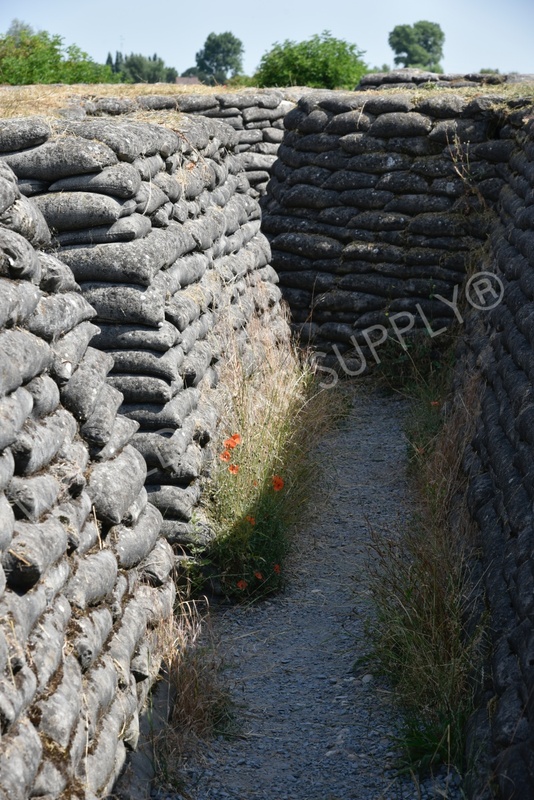 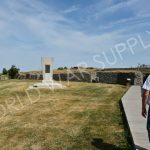 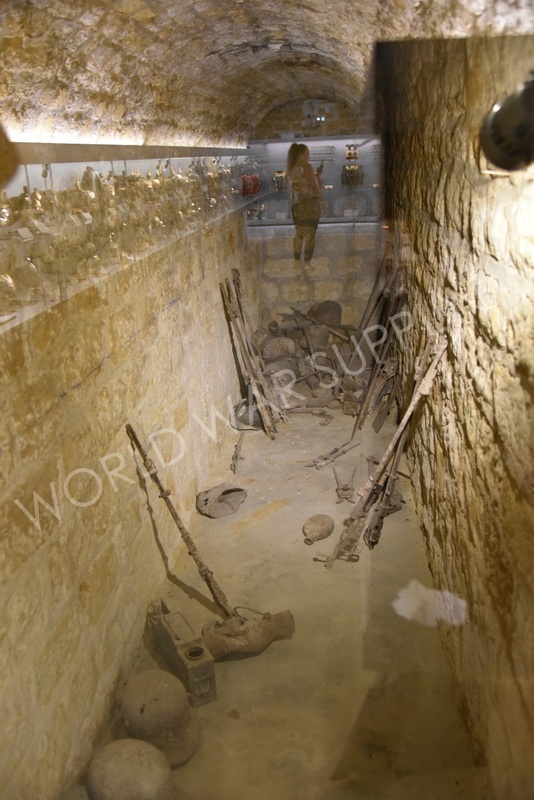 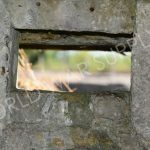 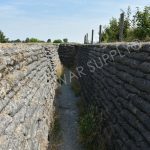 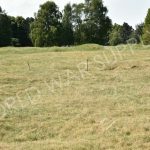 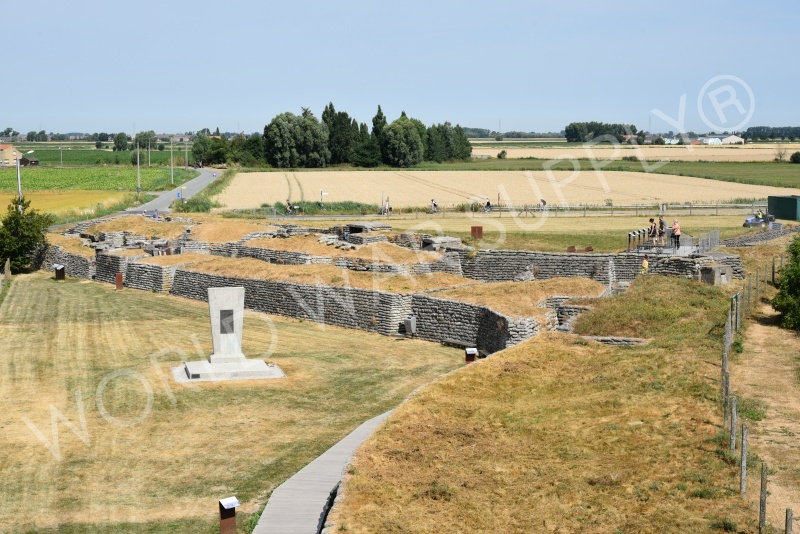 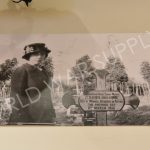 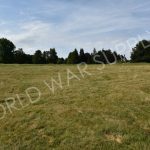 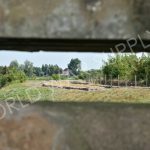 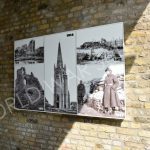 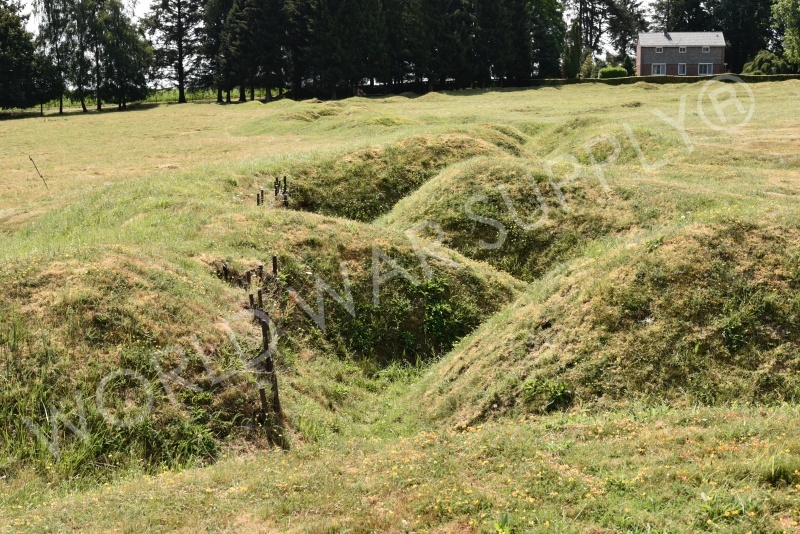 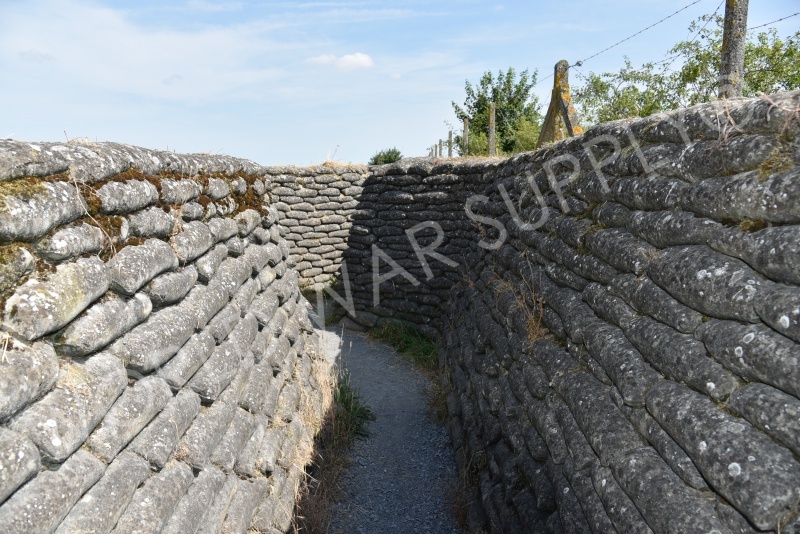 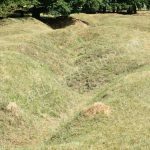 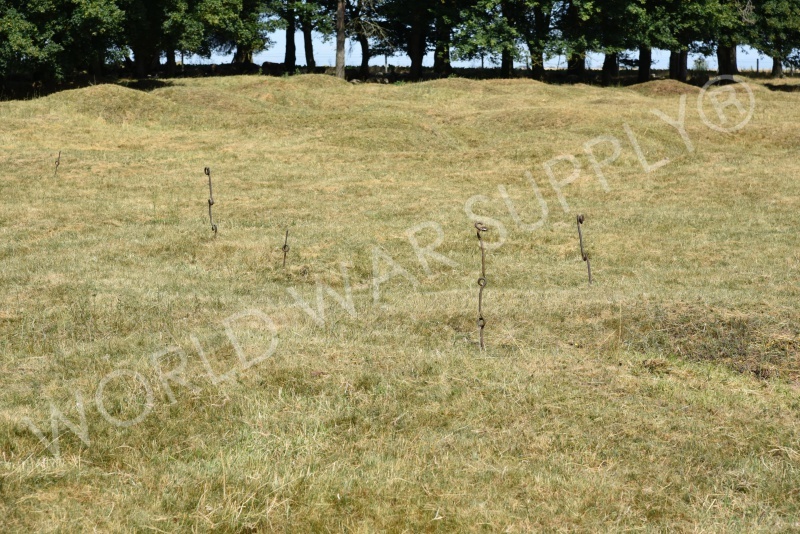 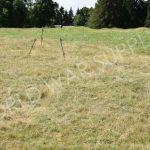 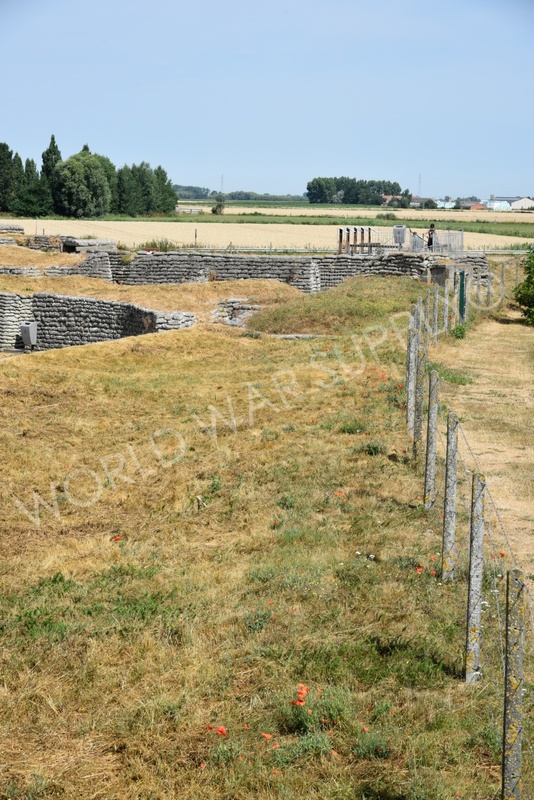 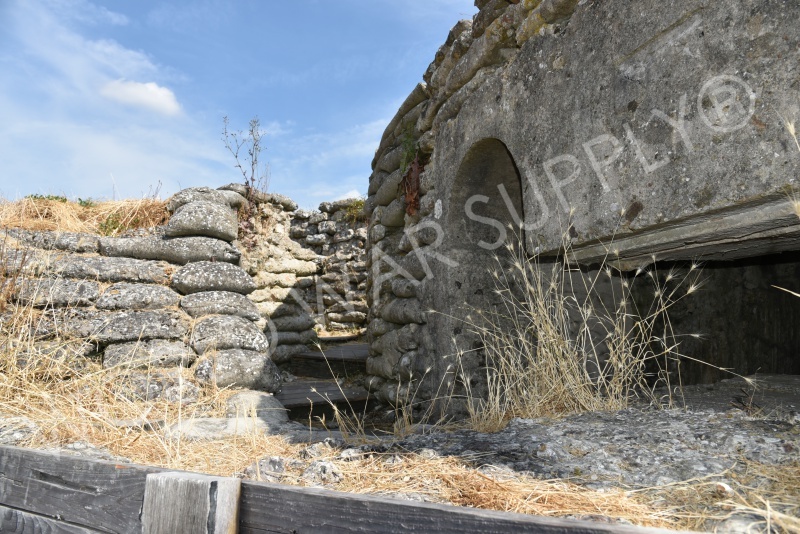 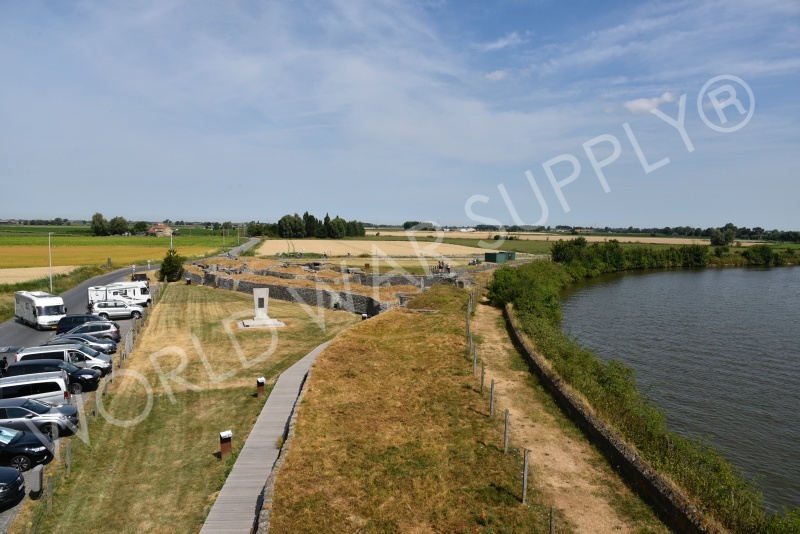 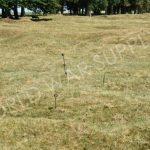 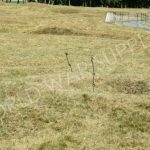 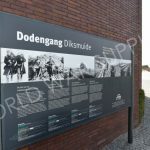 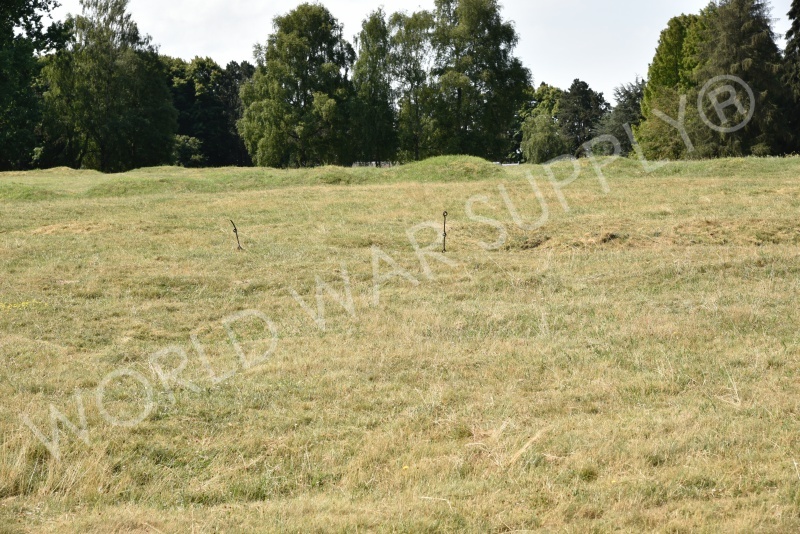 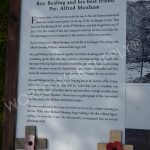 Visible in the photos are the remaining trenches from the first world war and the site allows visitors to walk along in the trenches to understand conditions during the war. 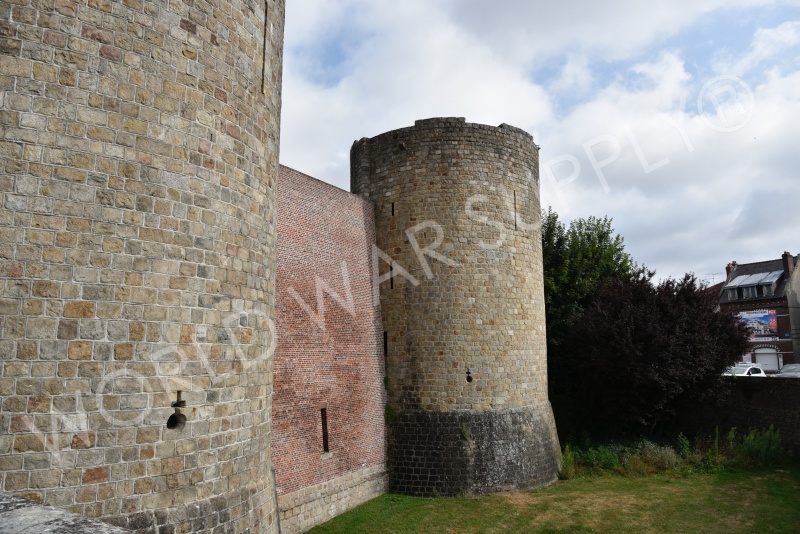 This medieval castle was held by the Germans for the majority of WW1. 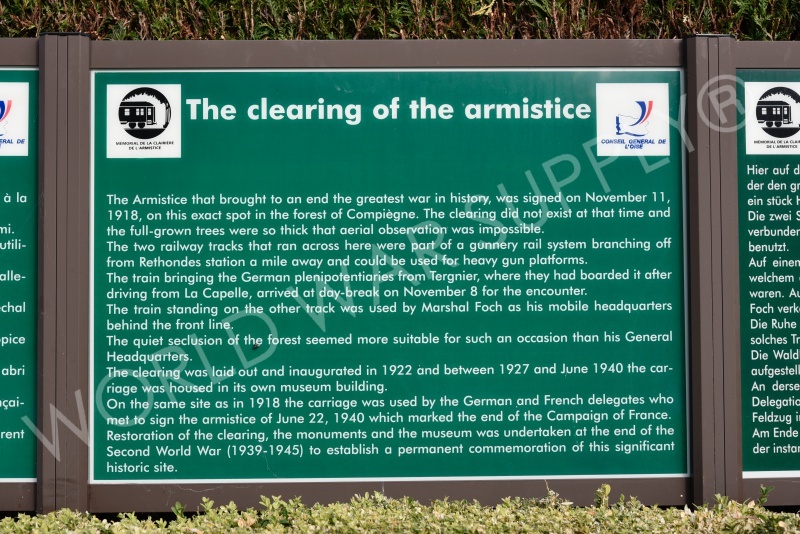 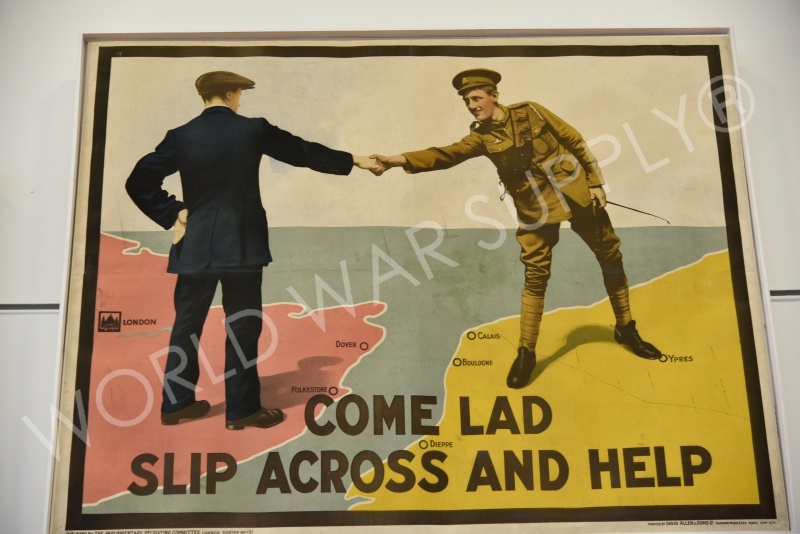 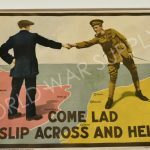 In 1917, the allied forces took it back, and the German retreated. 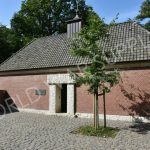 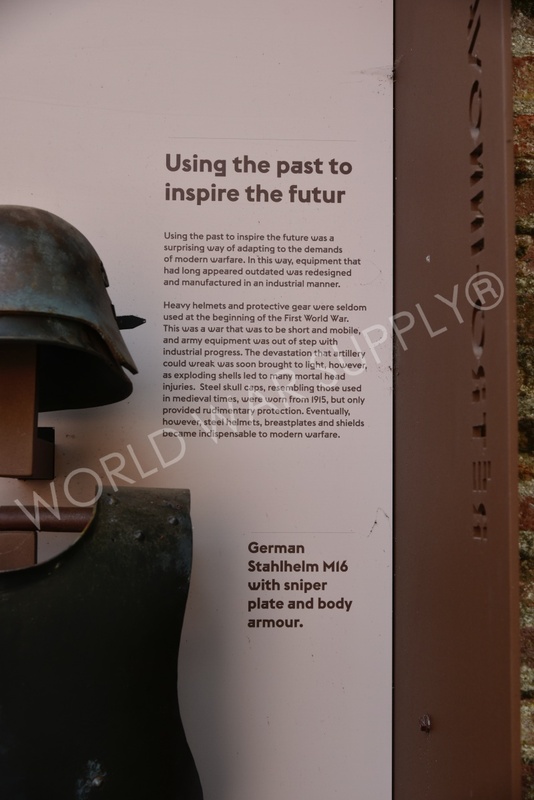 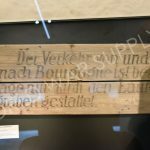 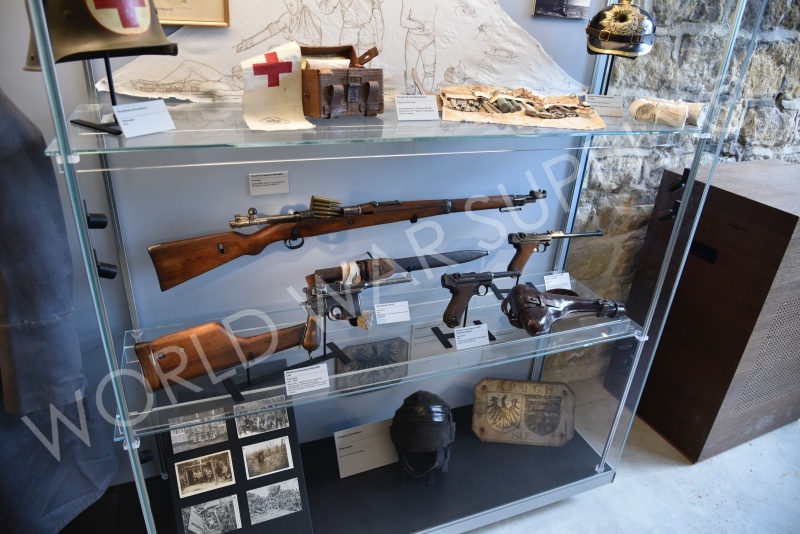 The museum itself is in this same castle and shows what life was like for civilians under German occupation and what life was like for the soldiers. 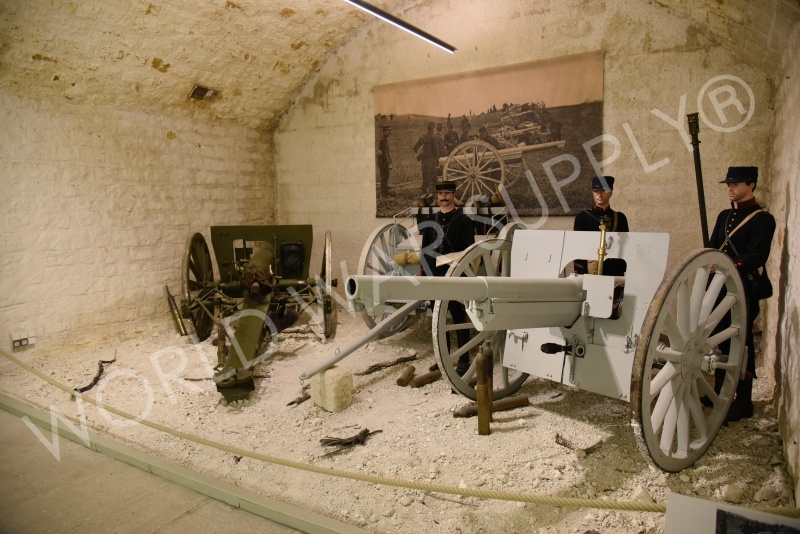 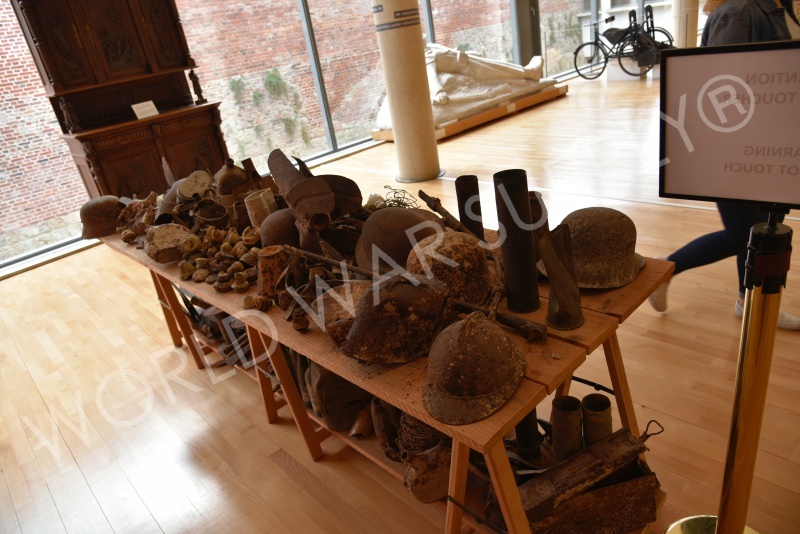 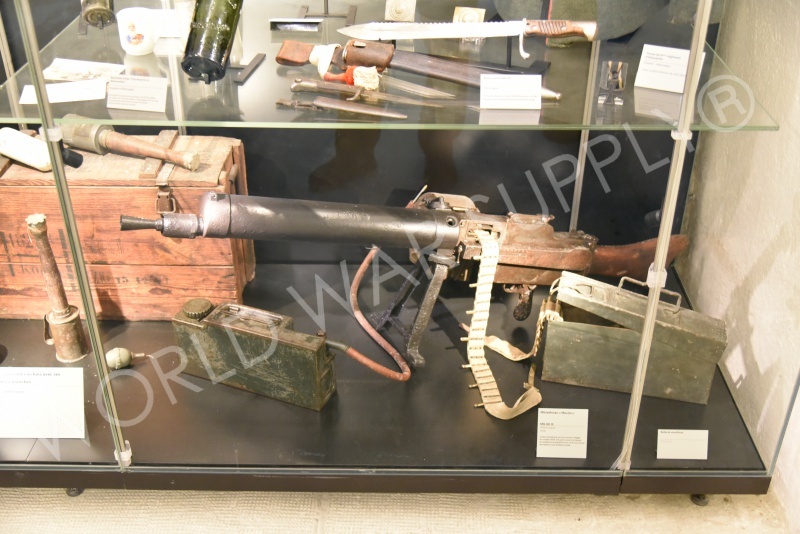 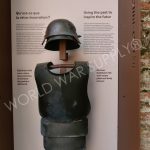 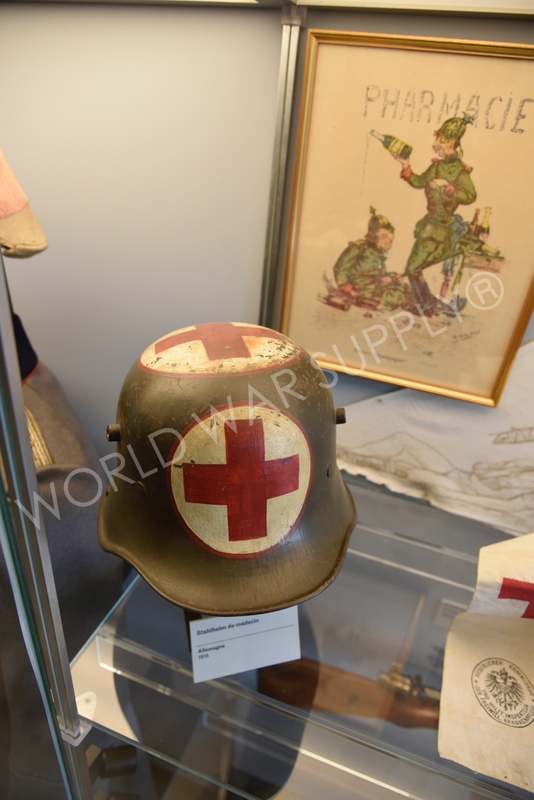 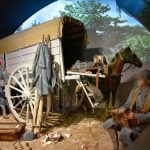 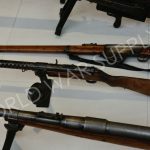 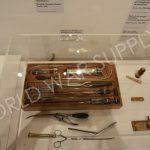 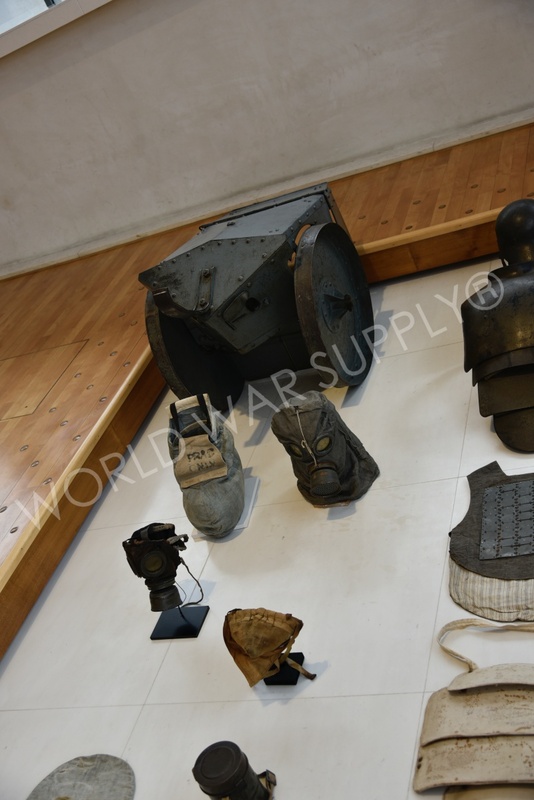 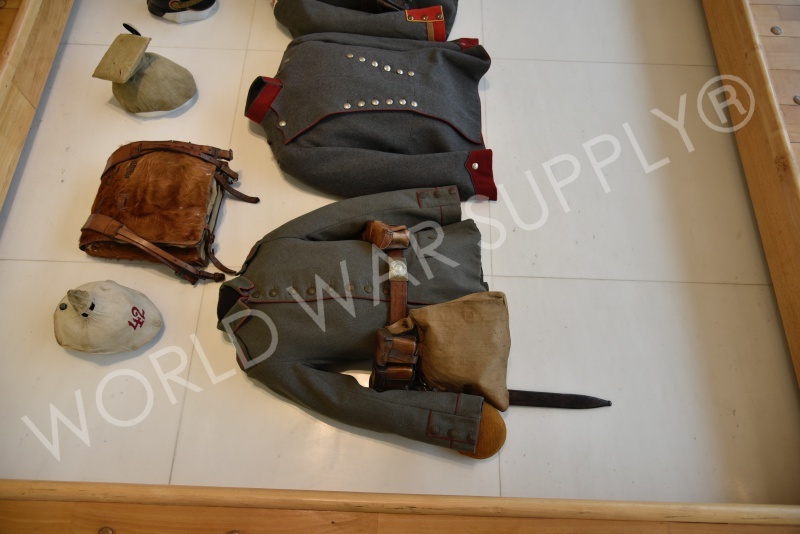 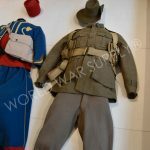 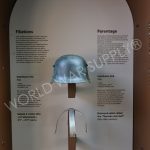 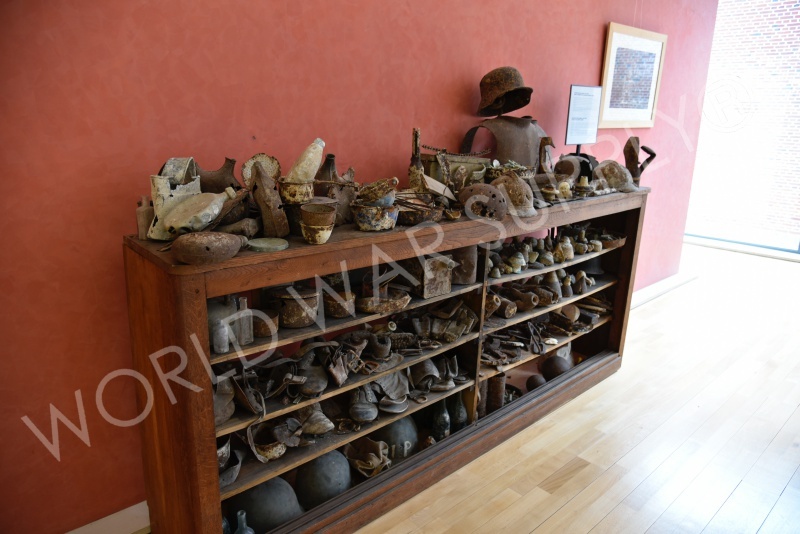 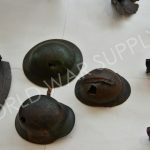 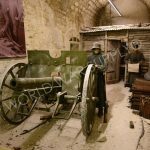 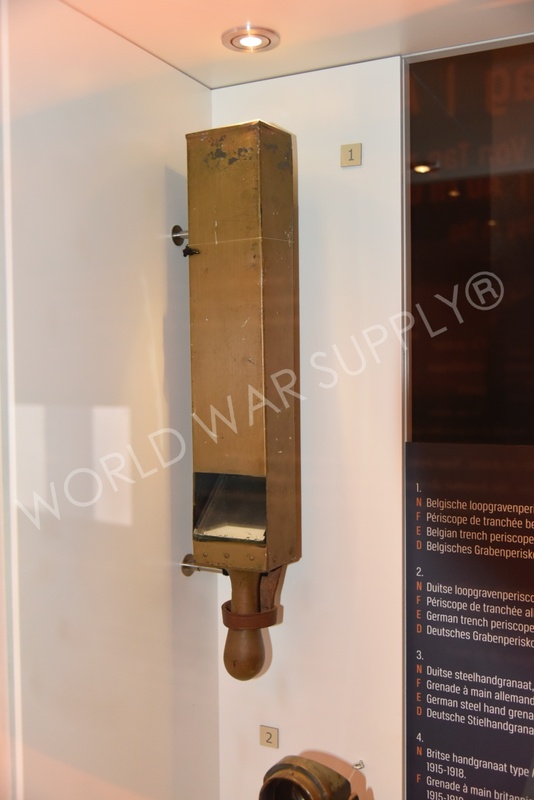 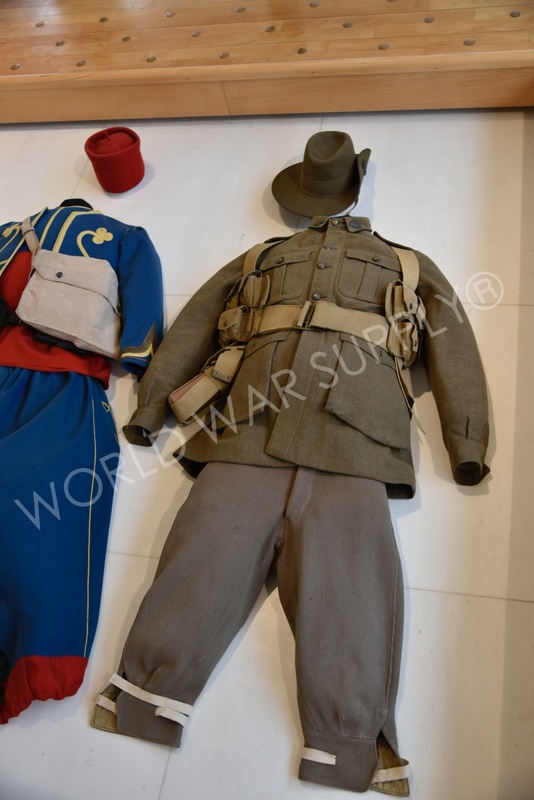 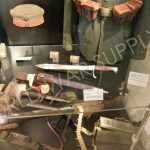 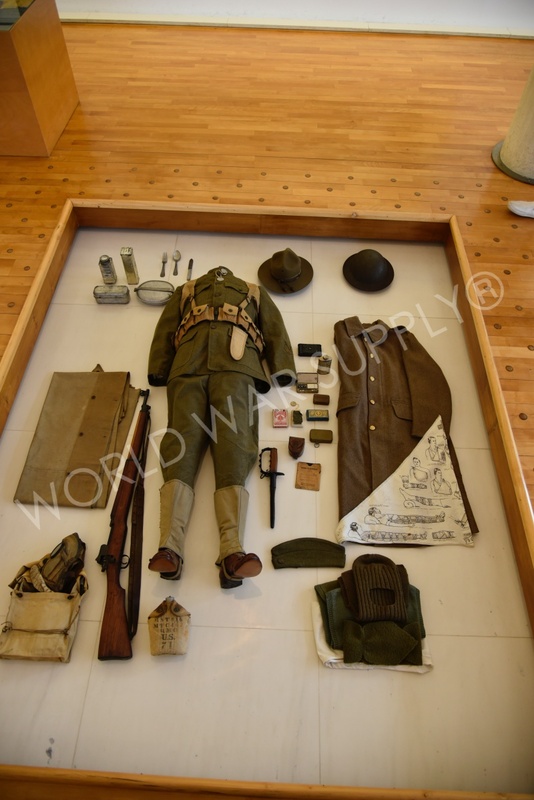 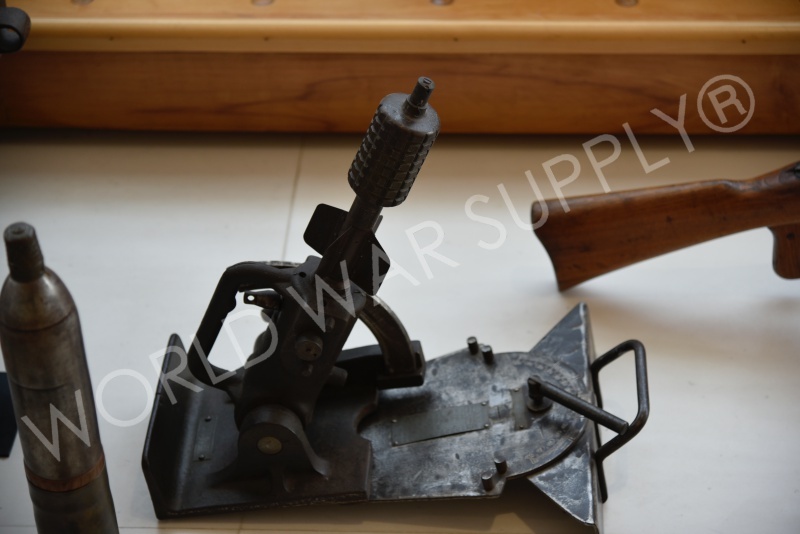 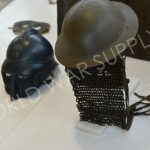 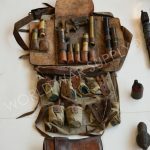 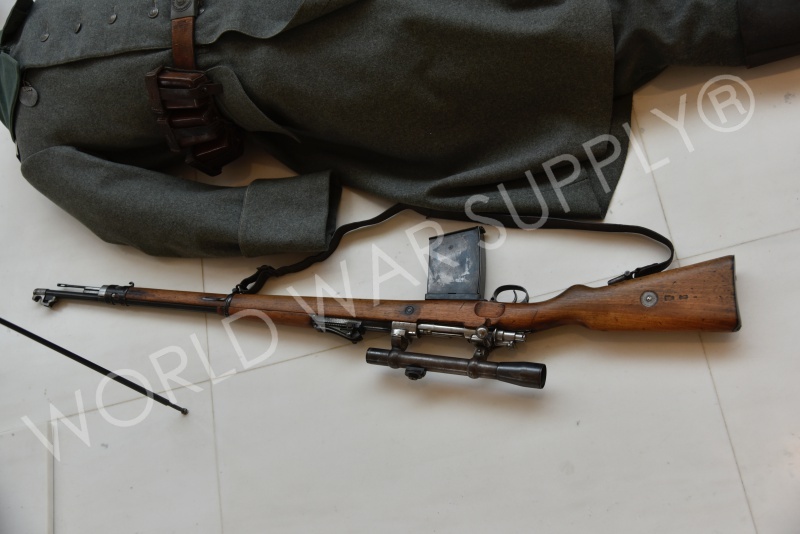 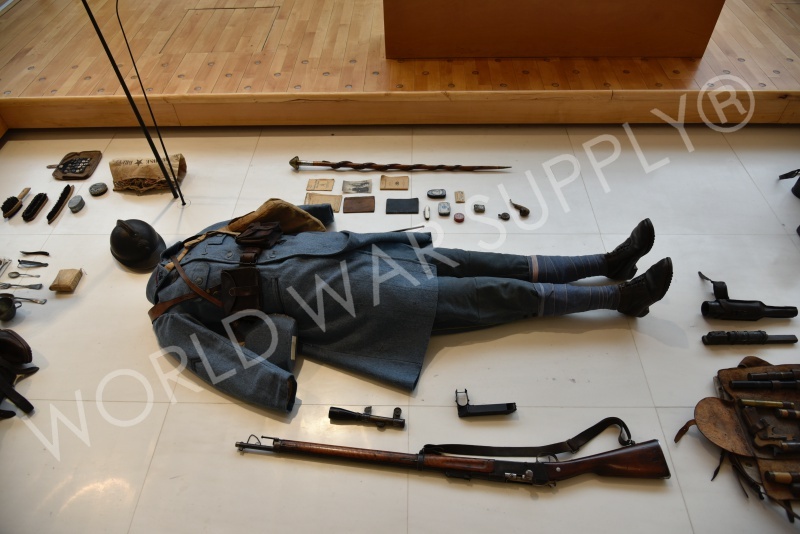 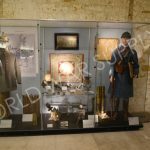 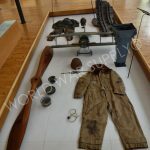 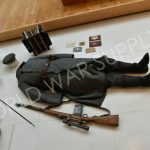 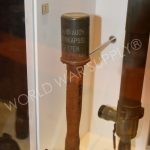 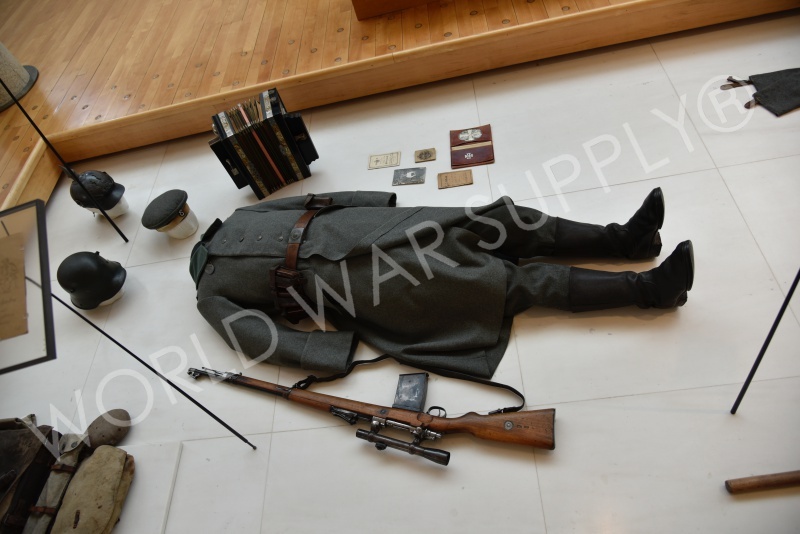 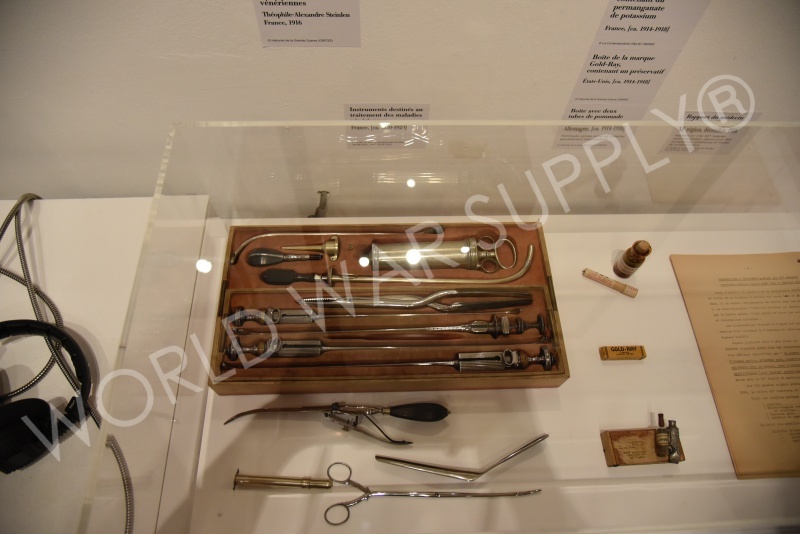 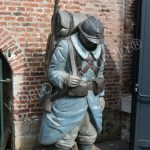 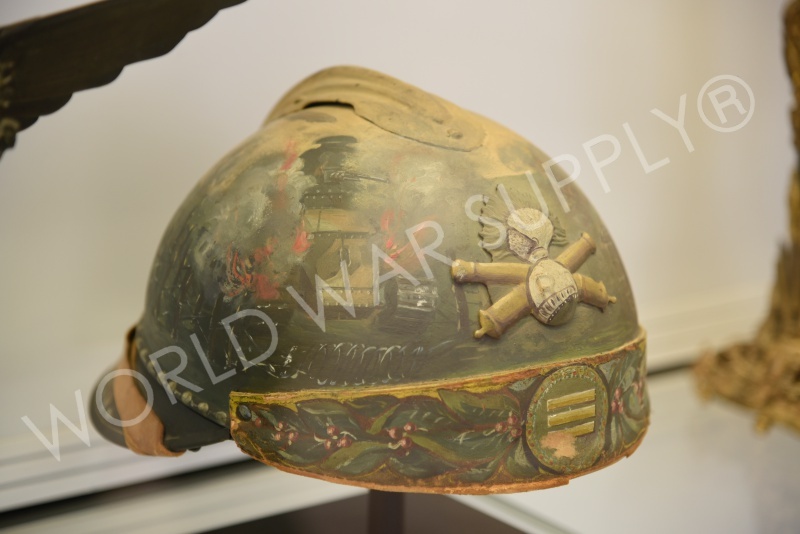 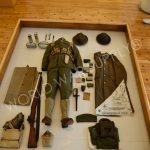 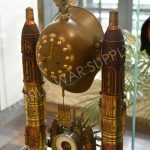 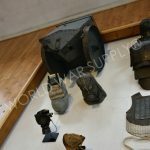 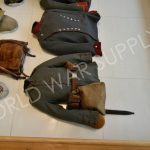 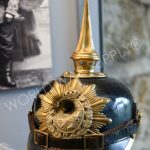 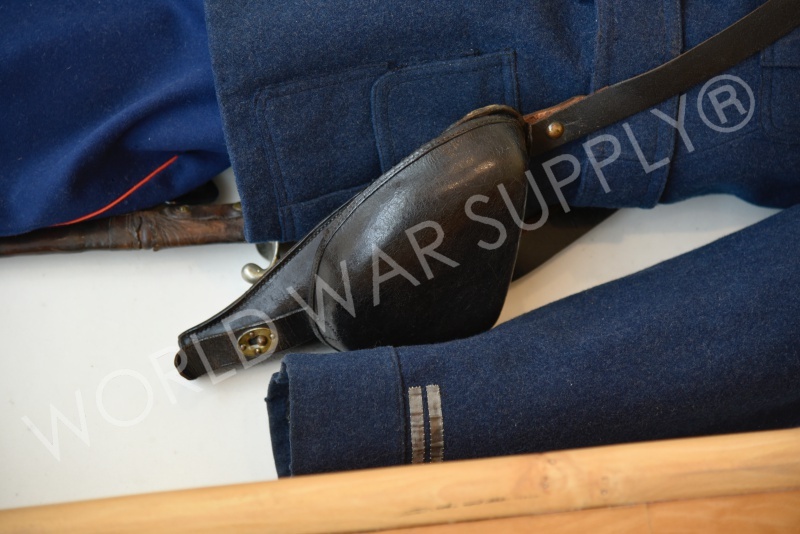 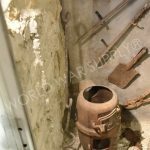 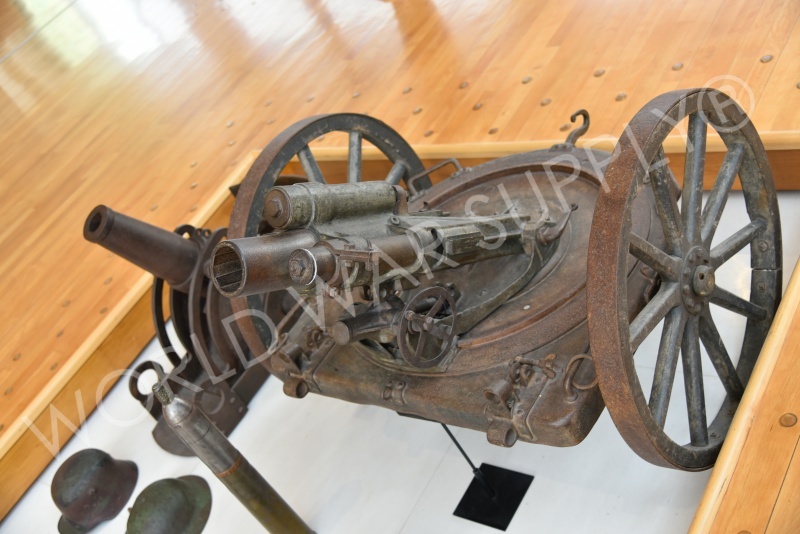 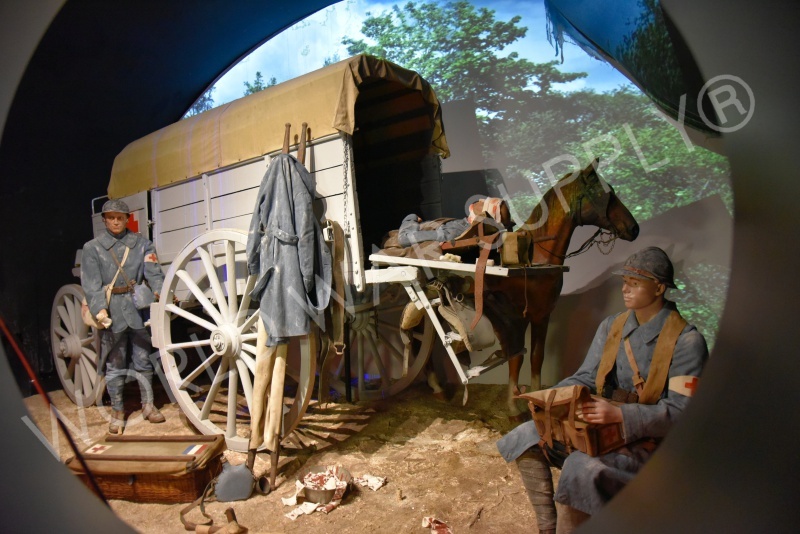 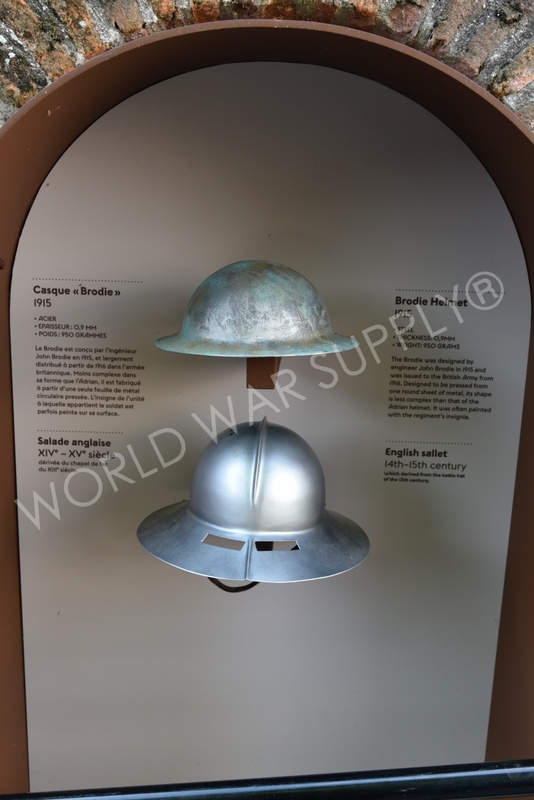 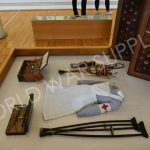 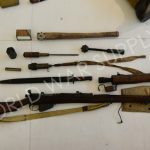 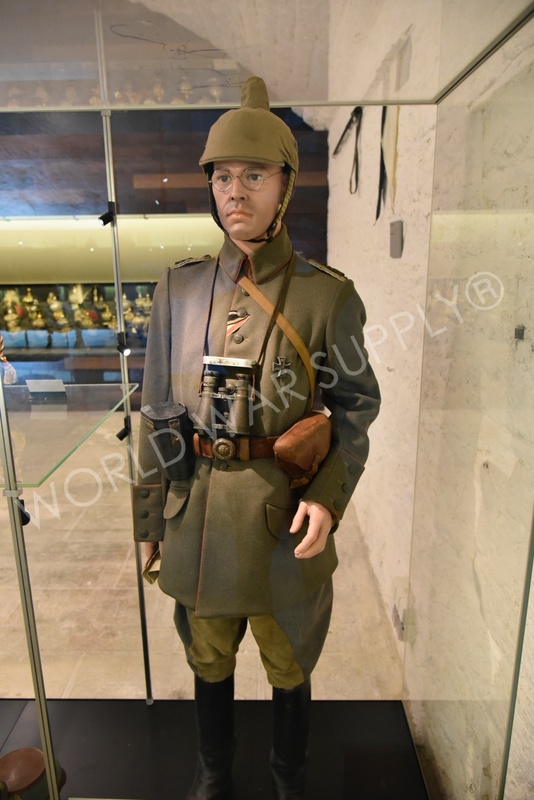 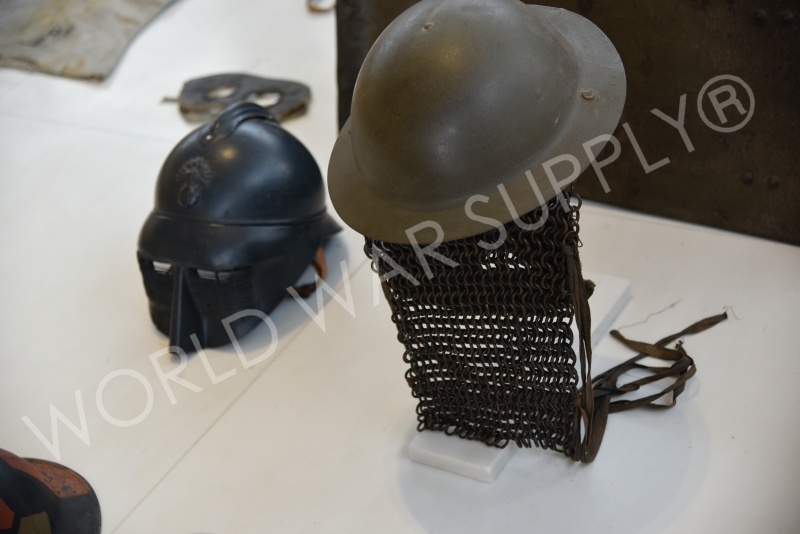 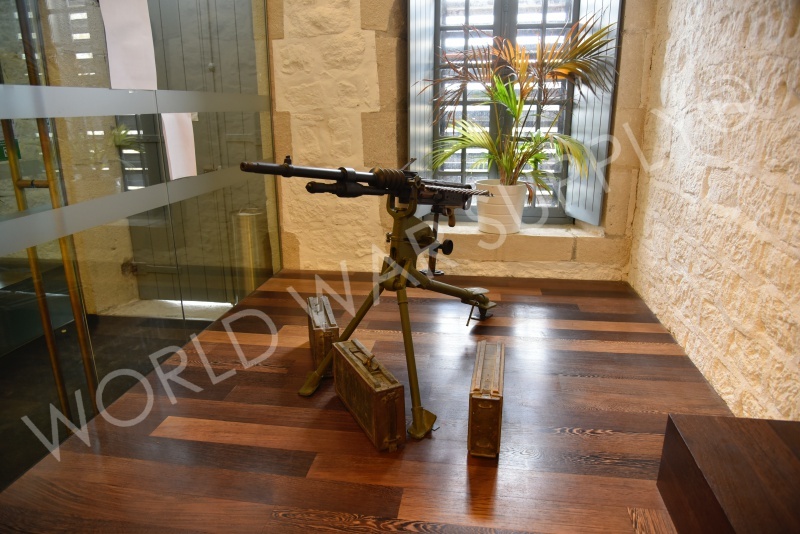 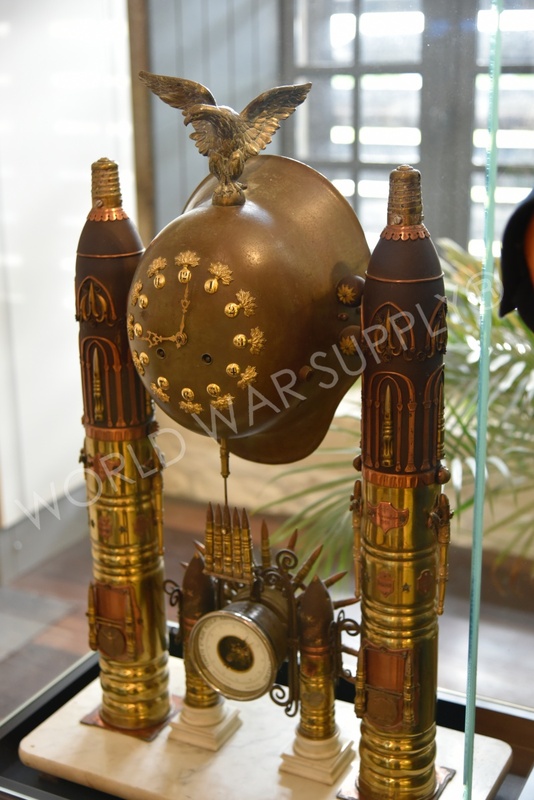 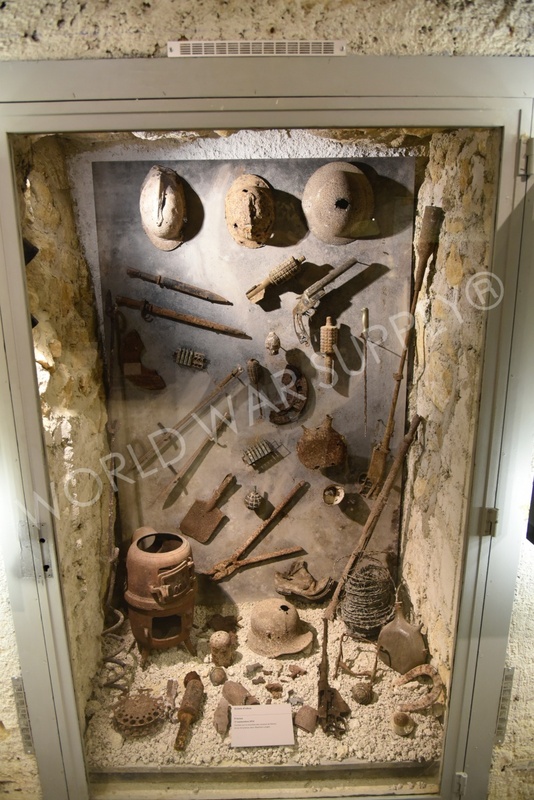 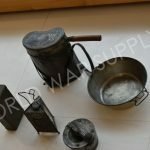 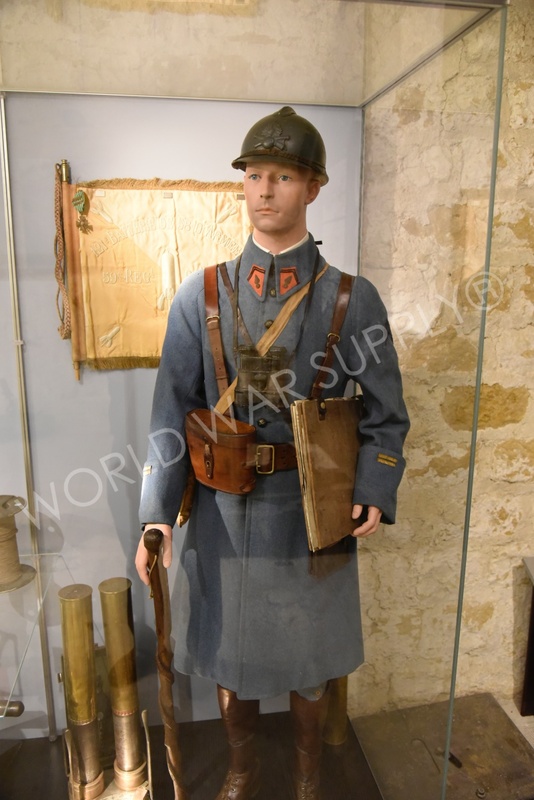 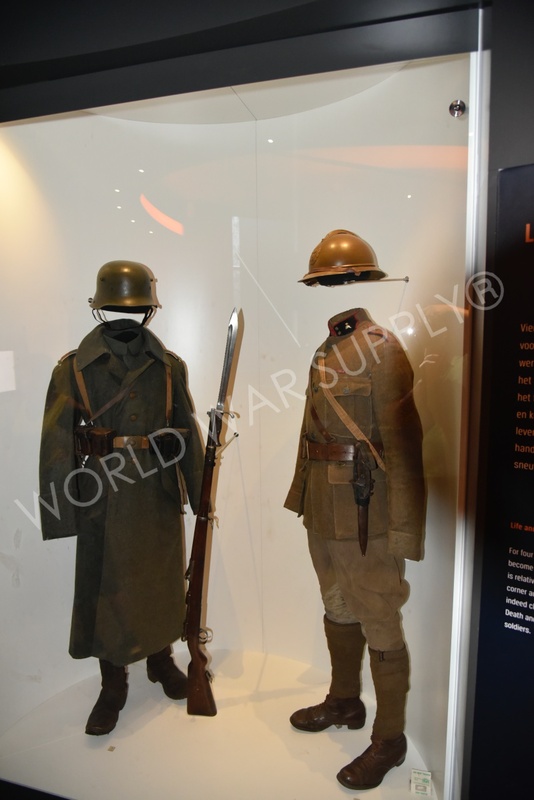 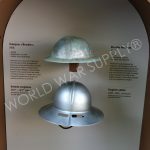 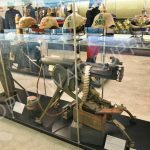 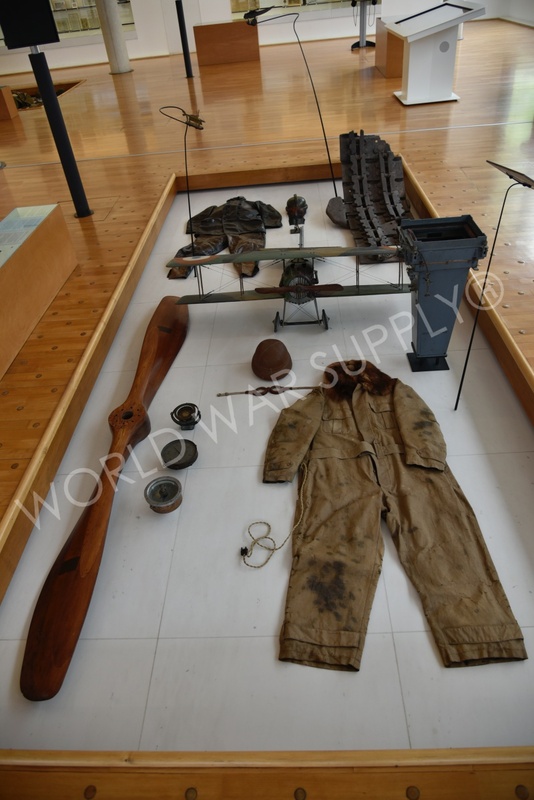 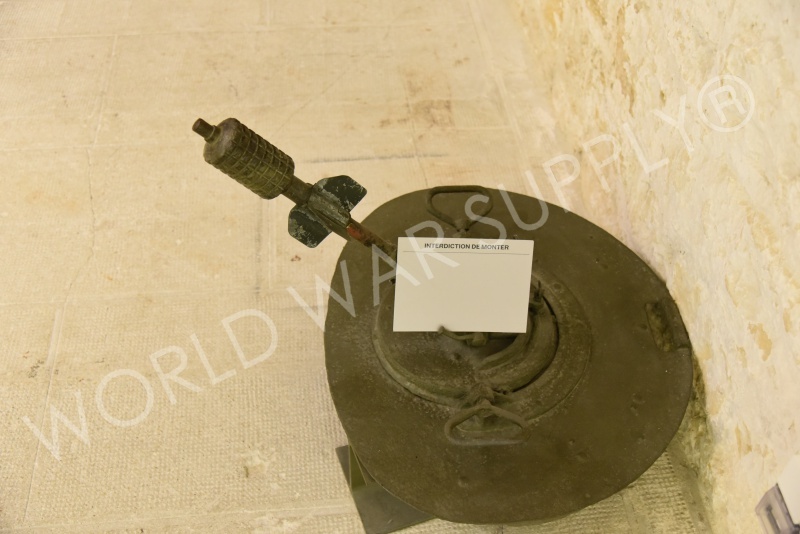 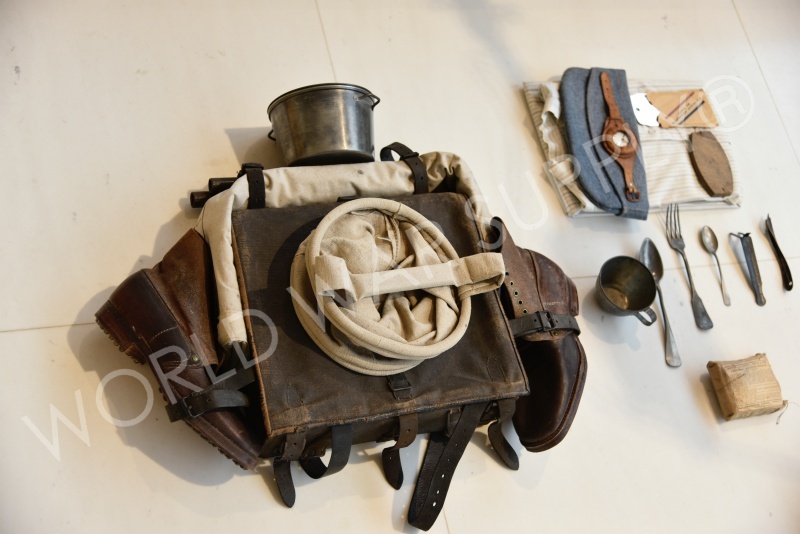 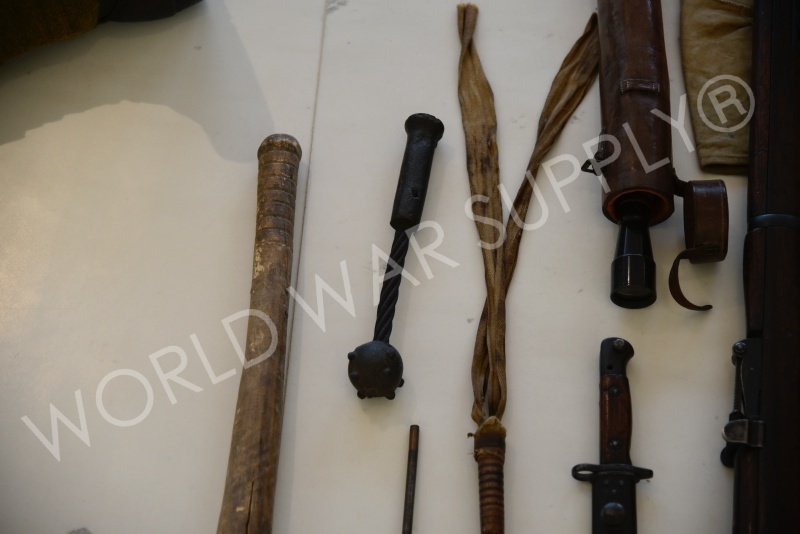 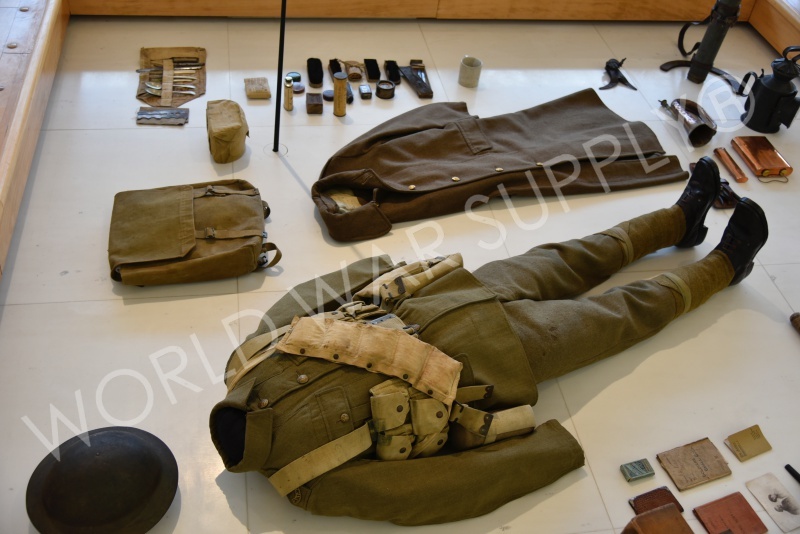 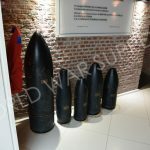 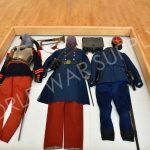 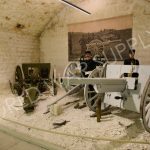 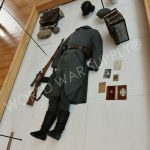 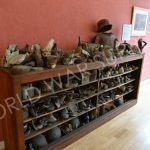 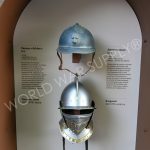 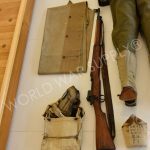 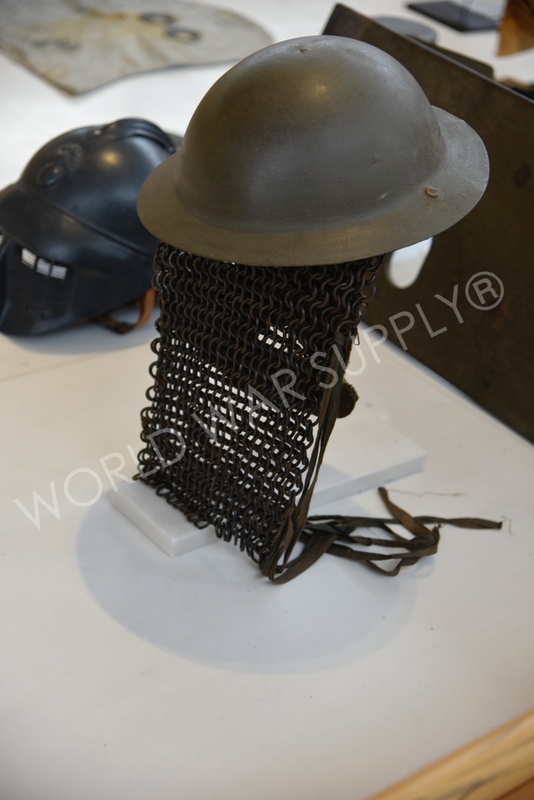 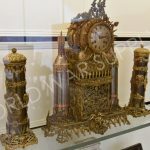 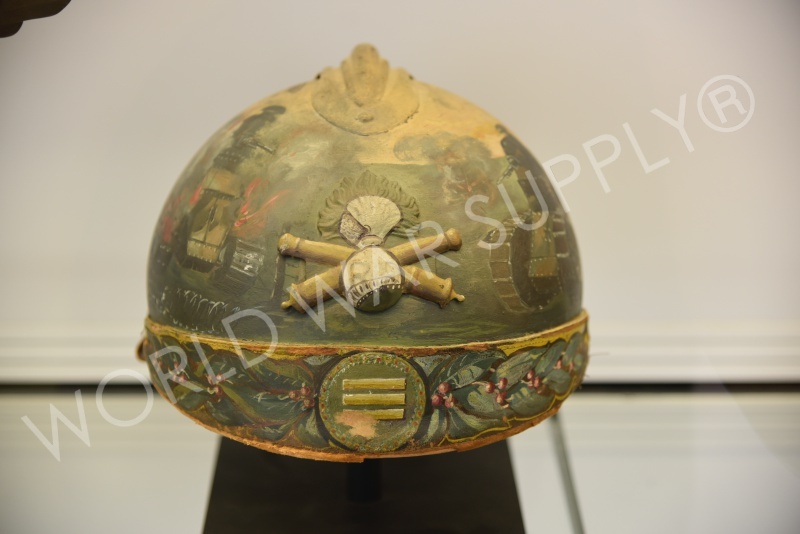 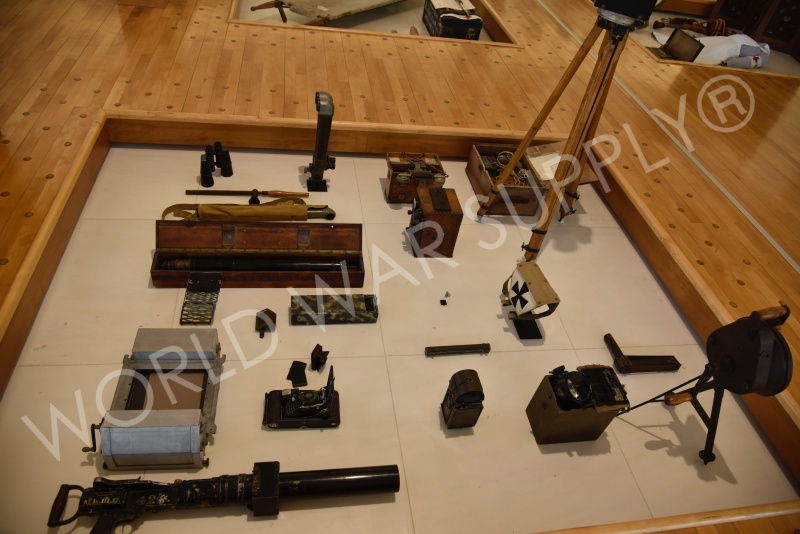 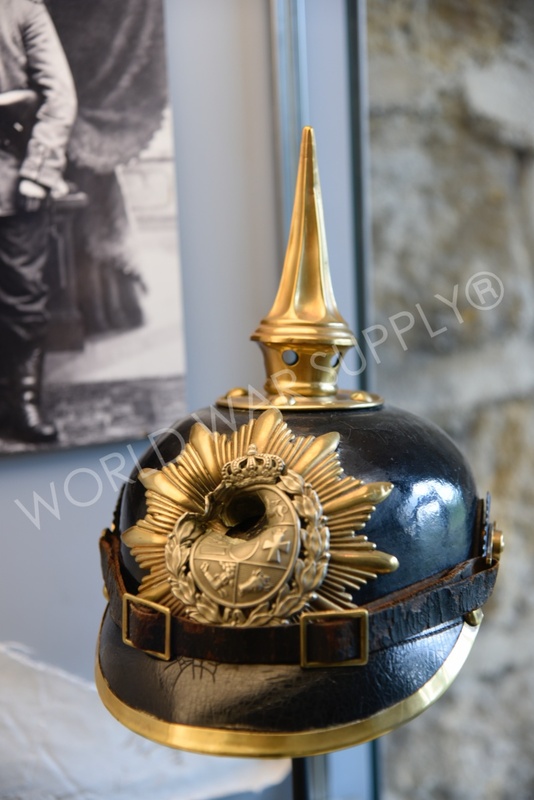 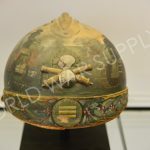 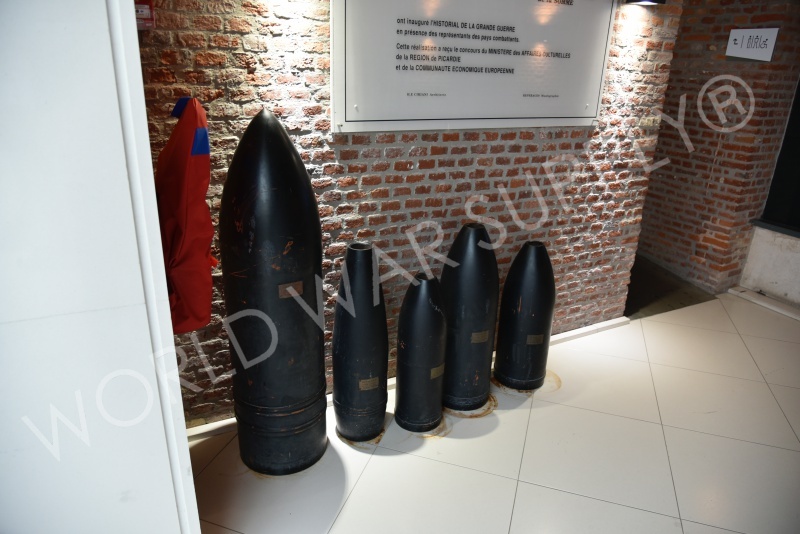 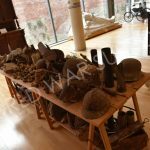 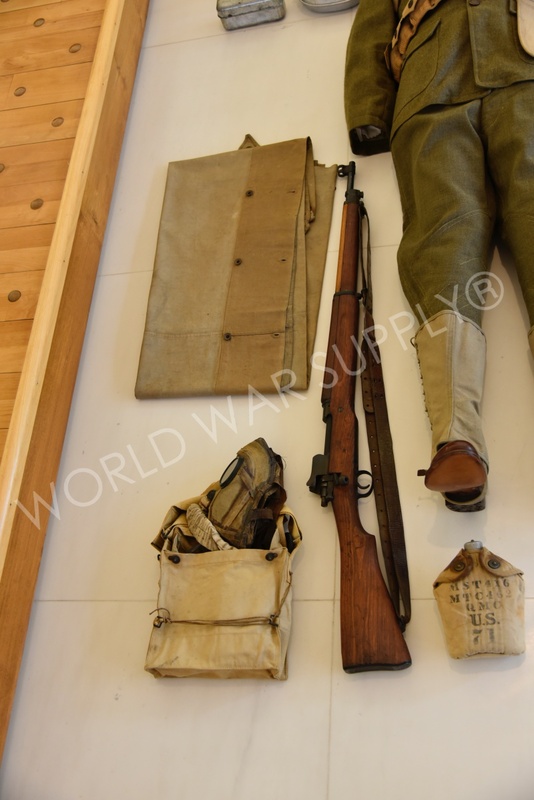 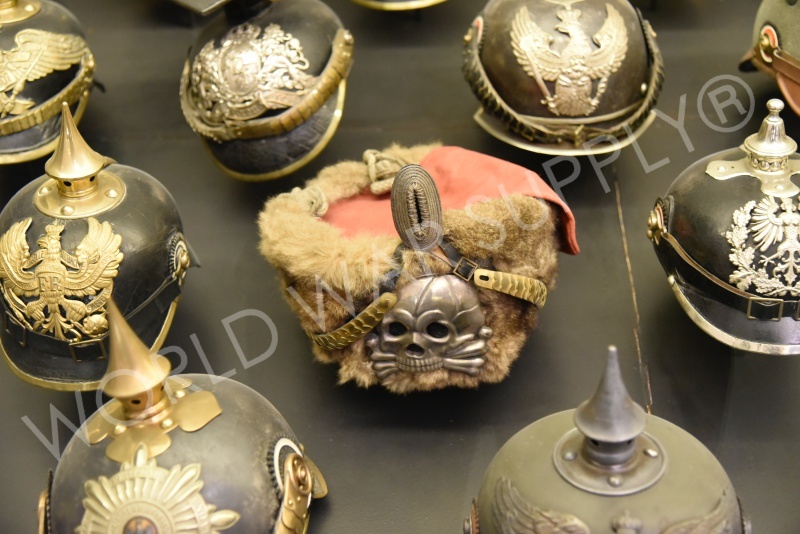 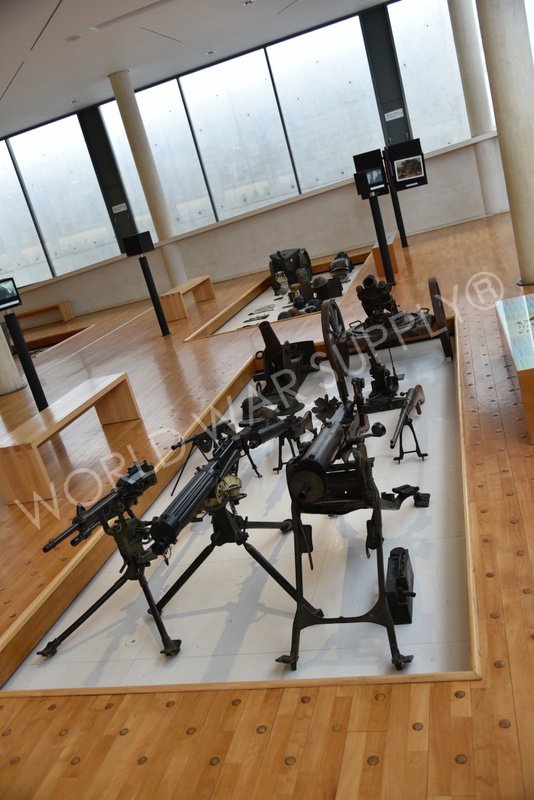 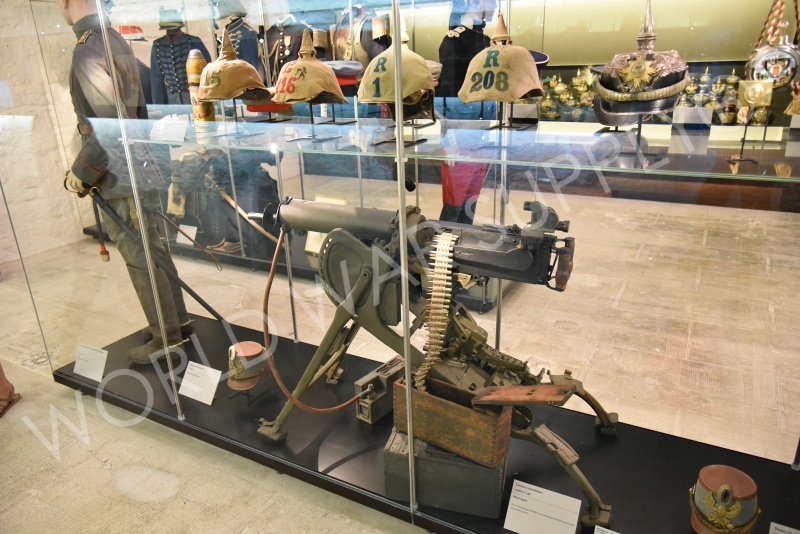 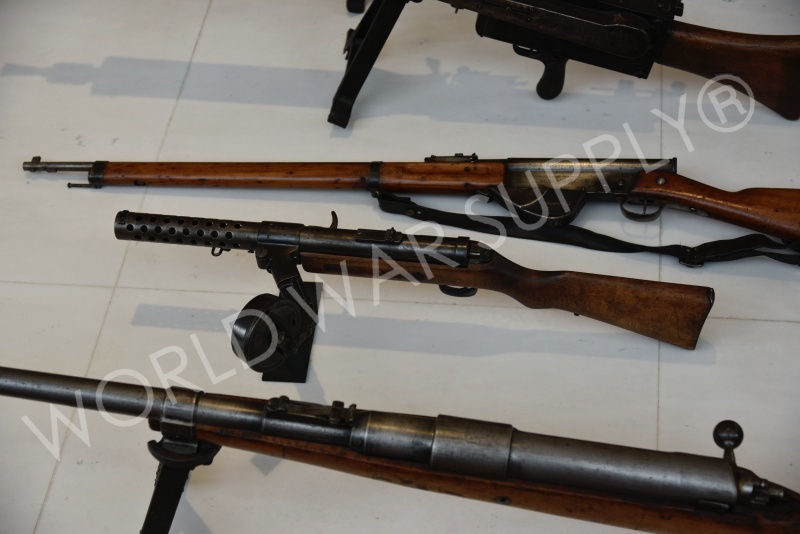 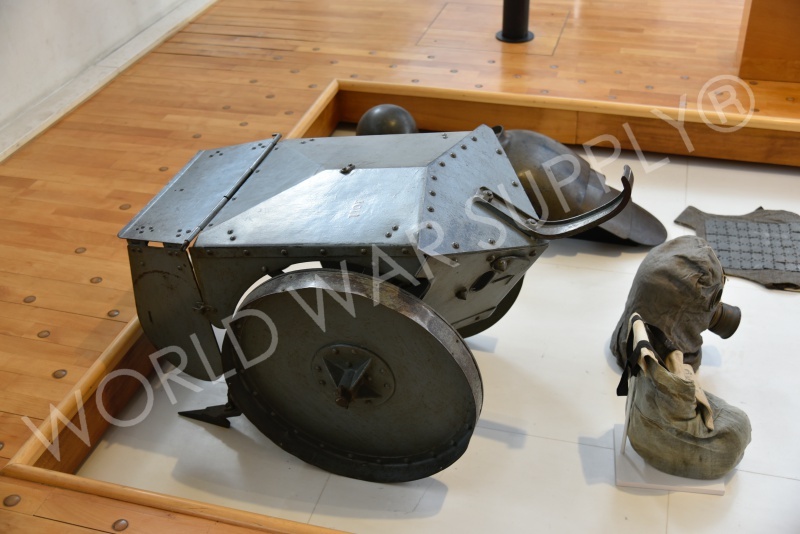 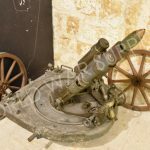 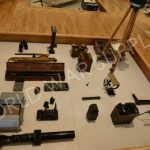 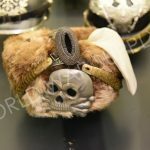 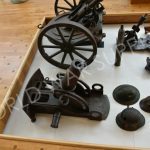 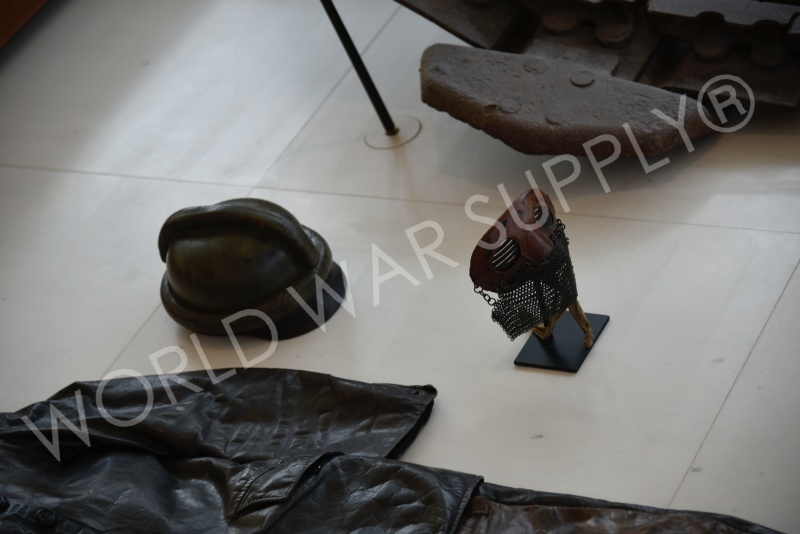 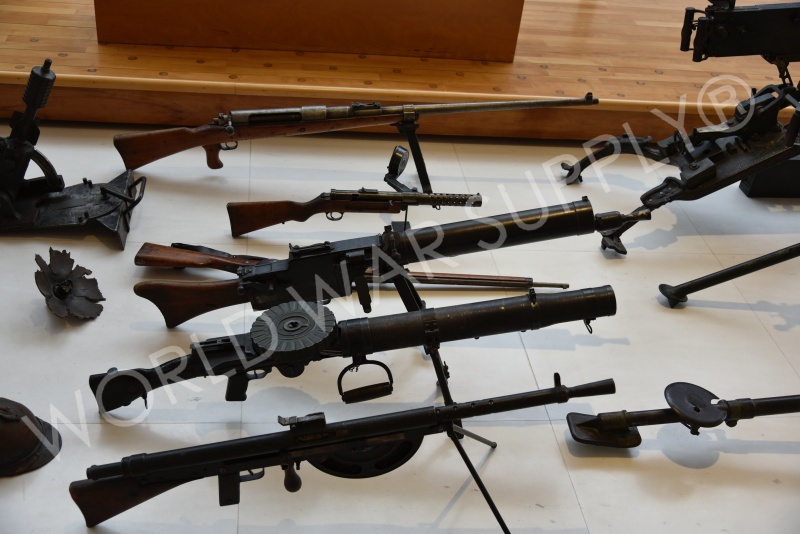 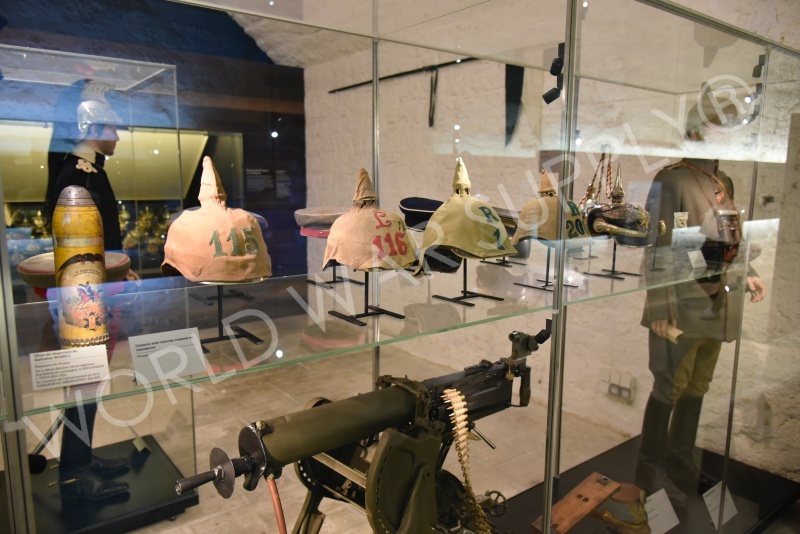 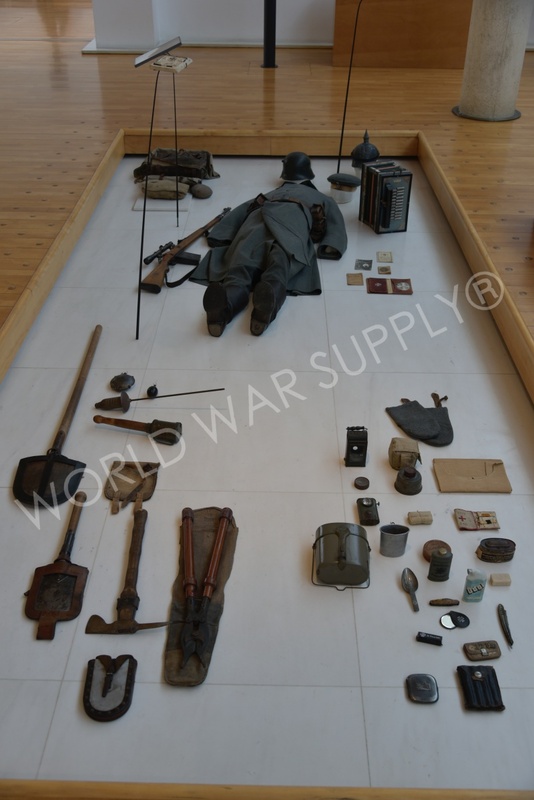 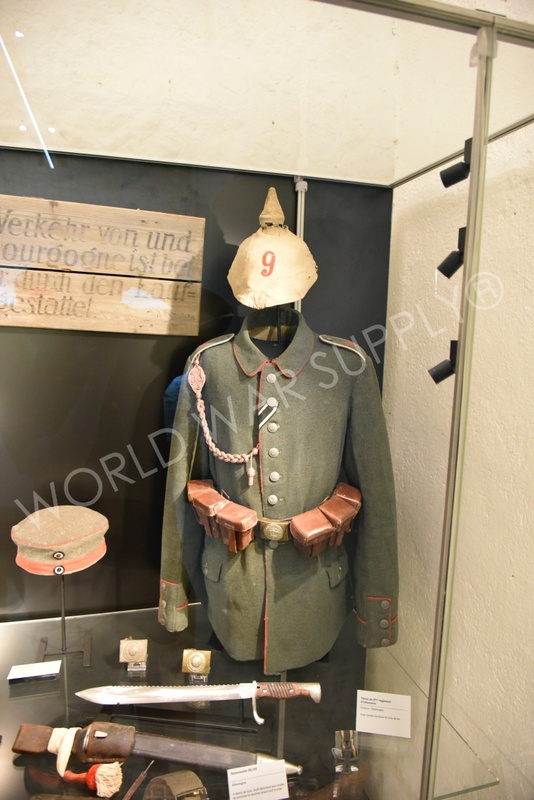 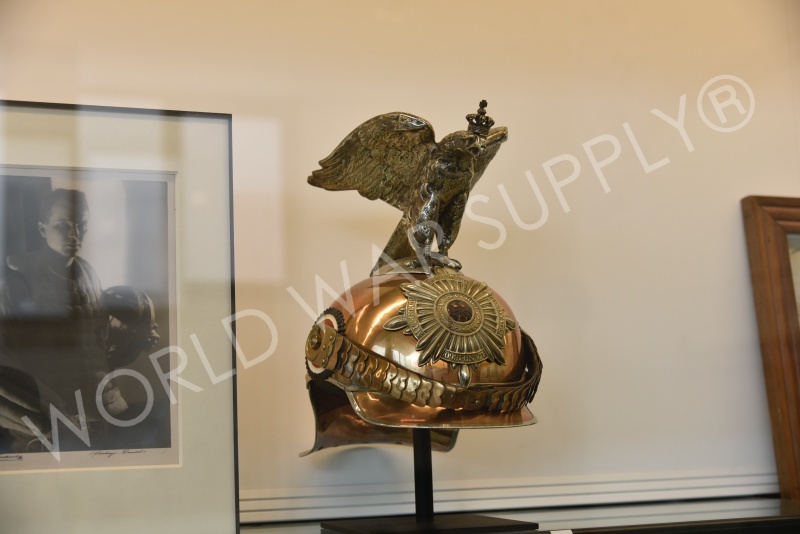 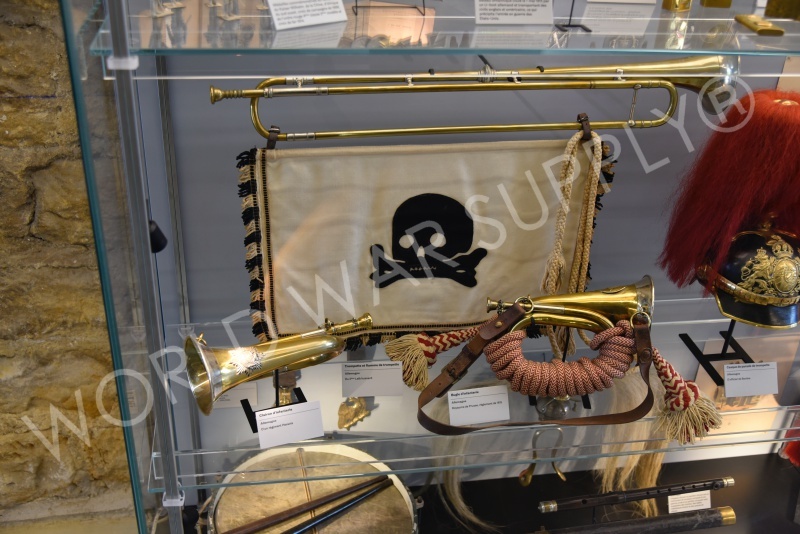 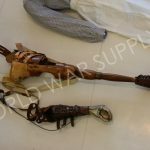 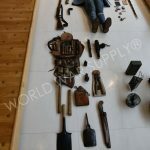 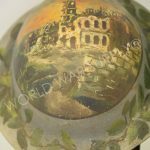 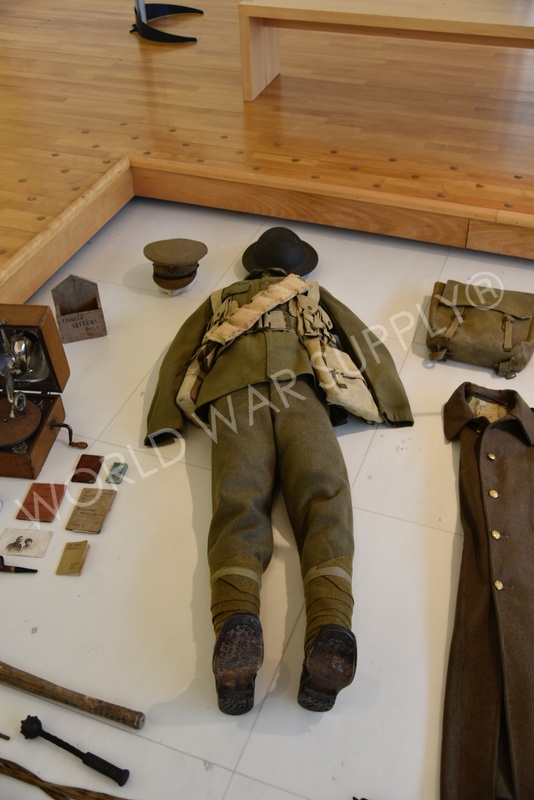 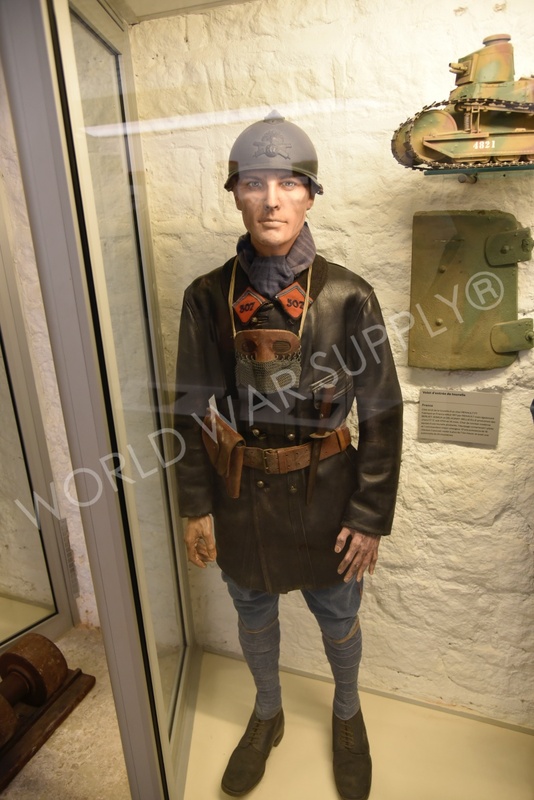 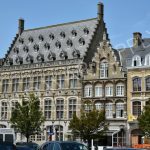 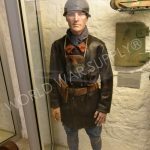 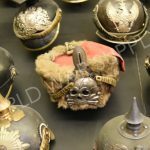 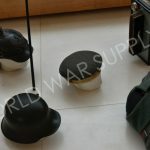 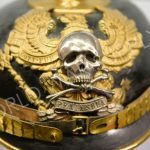 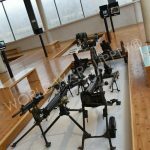 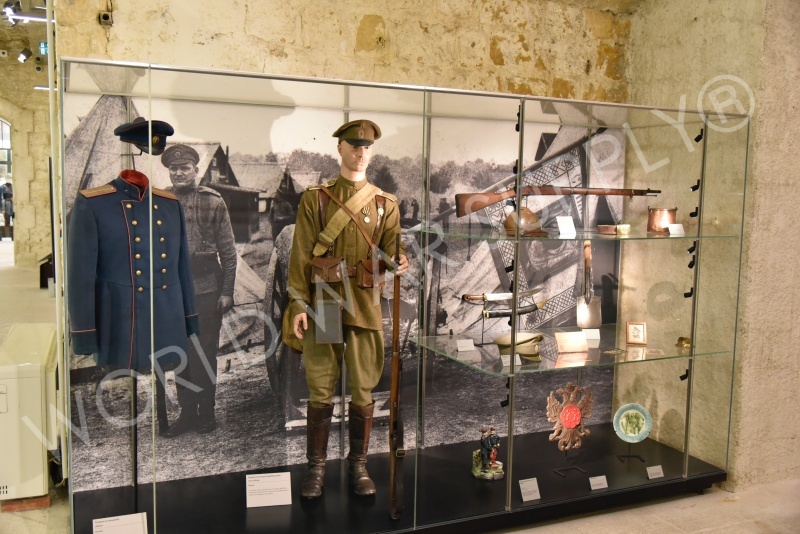 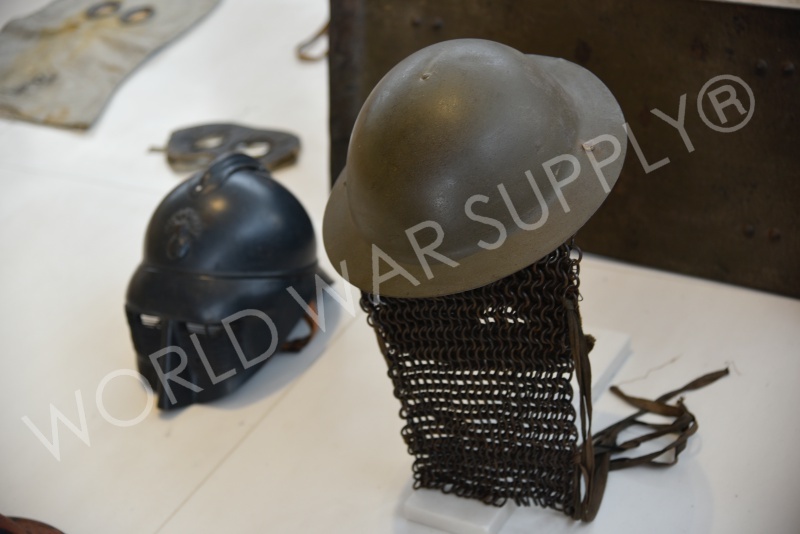 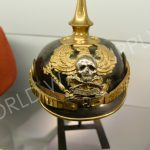 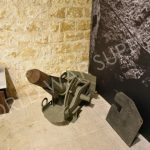 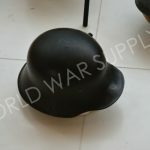 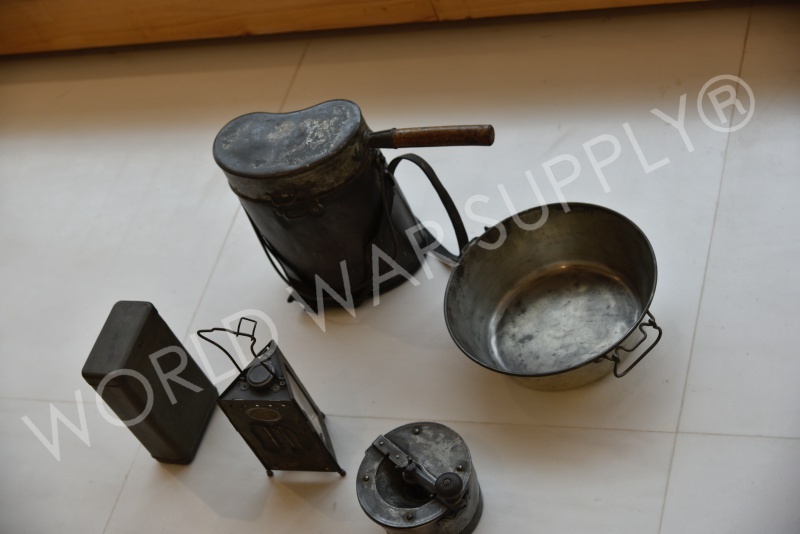 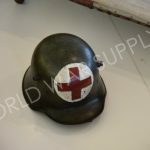 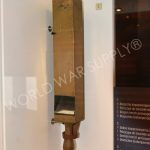 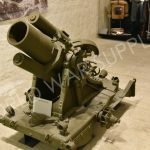 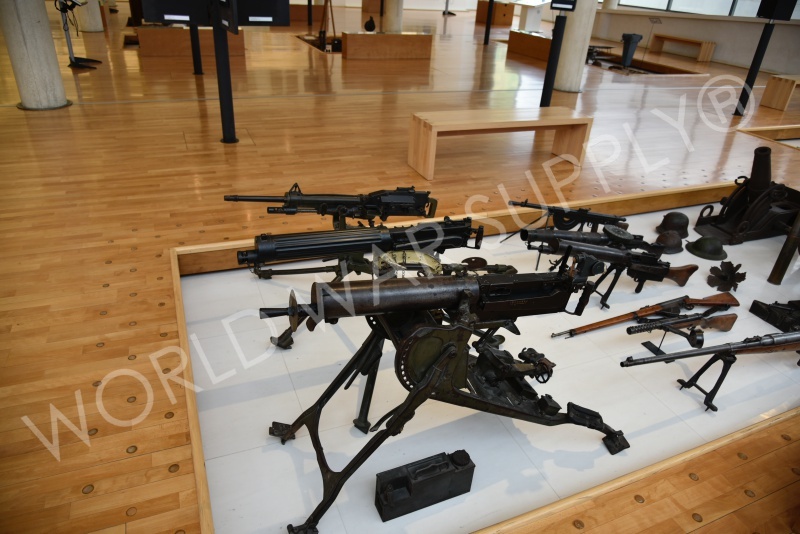 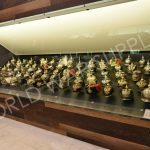 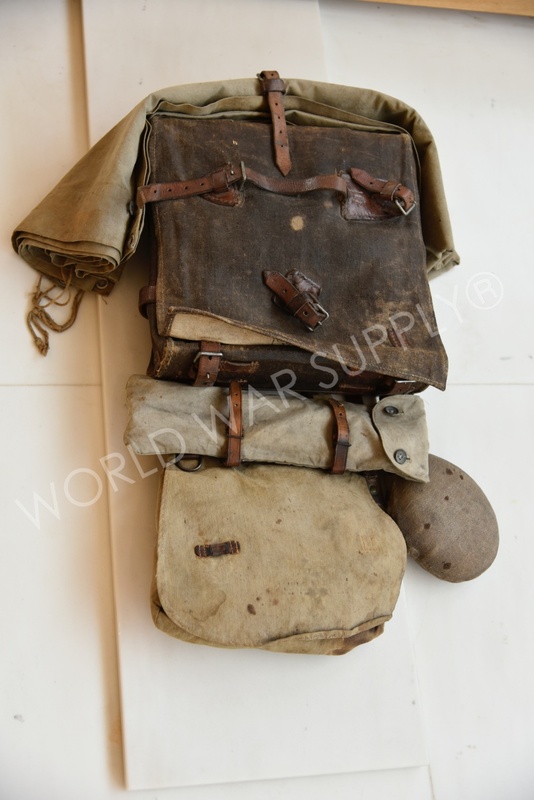 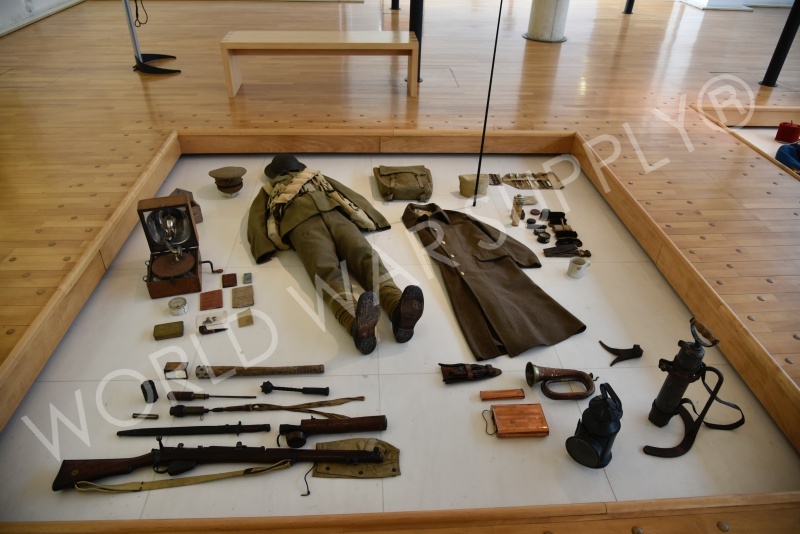 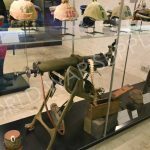 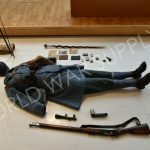 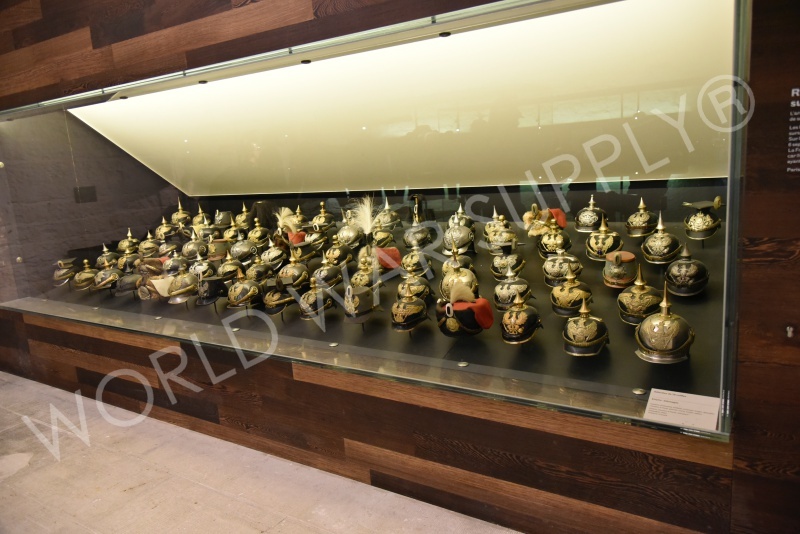 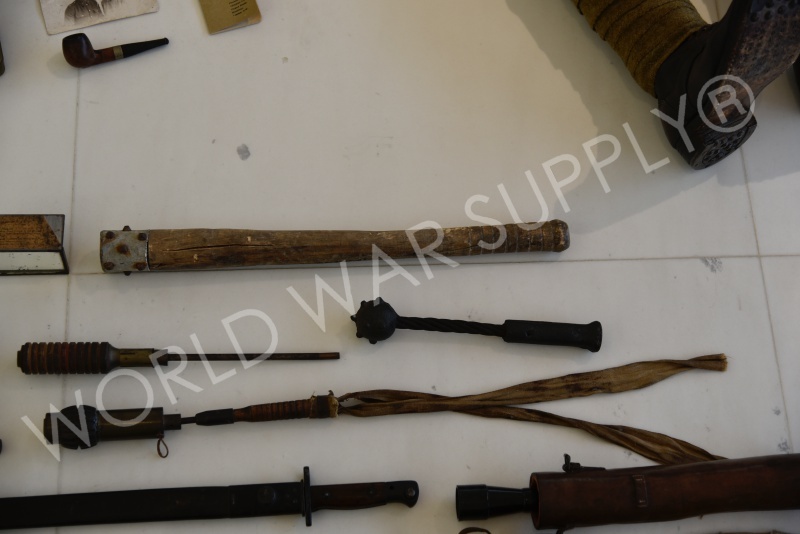 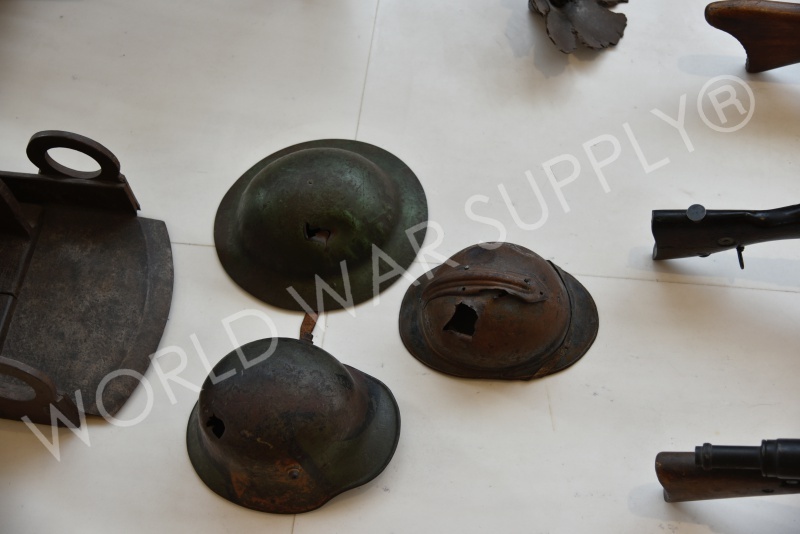 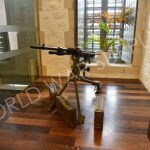 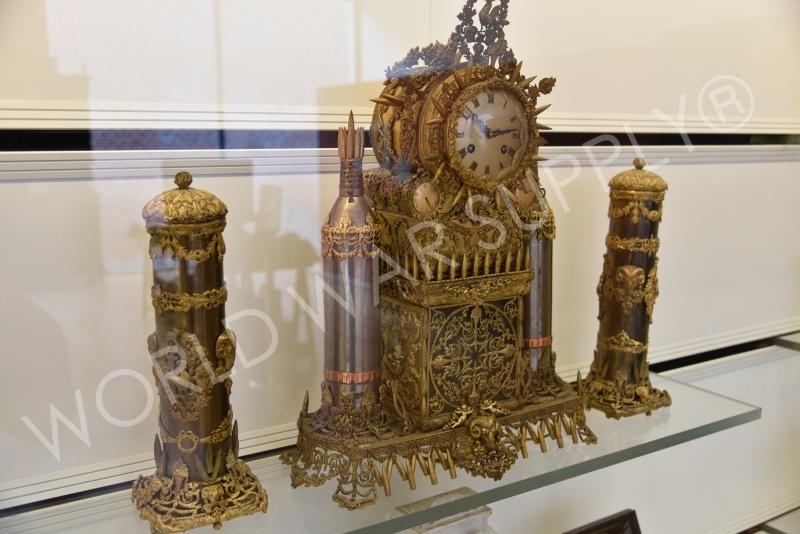 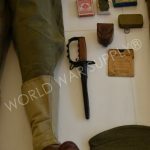 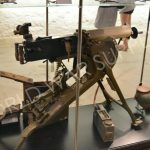 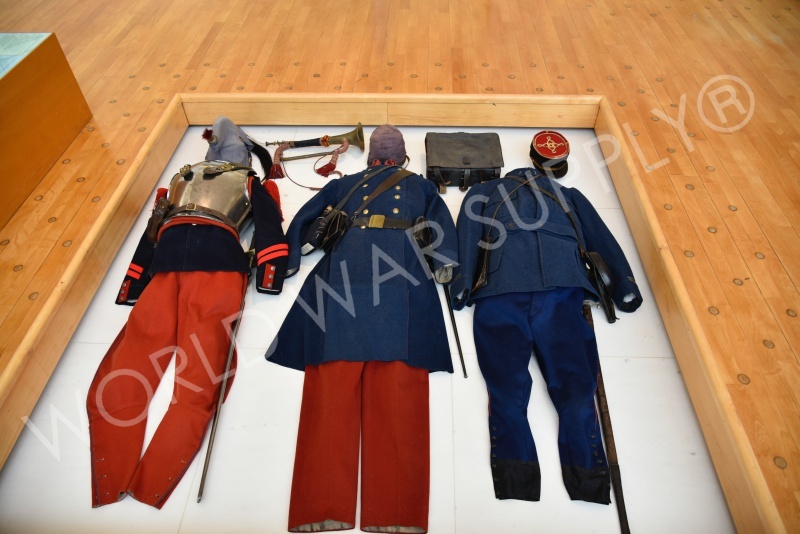 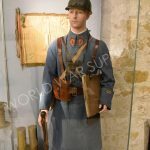 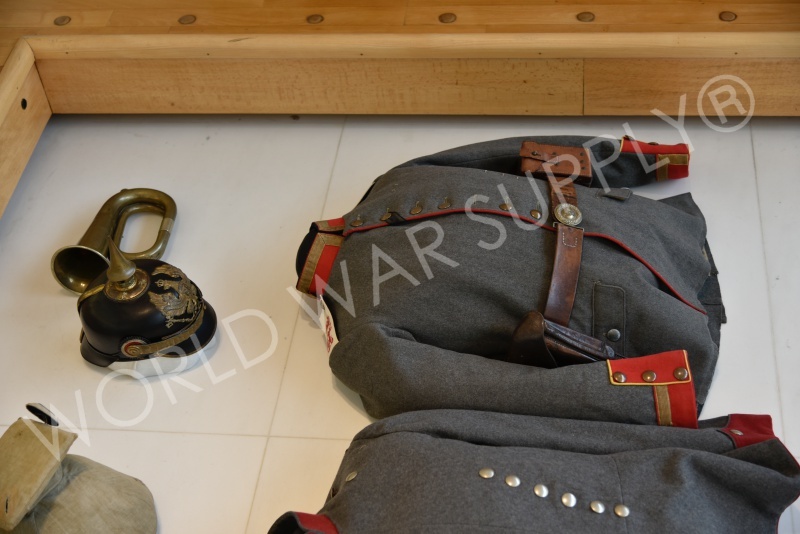 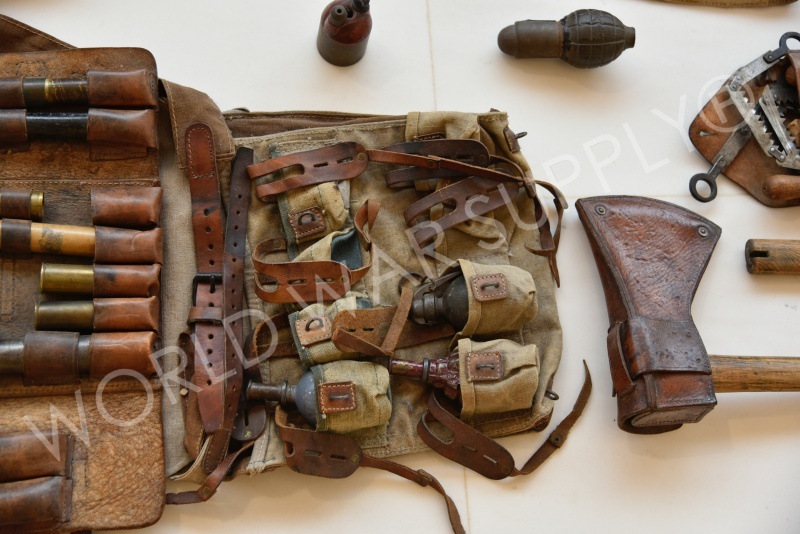 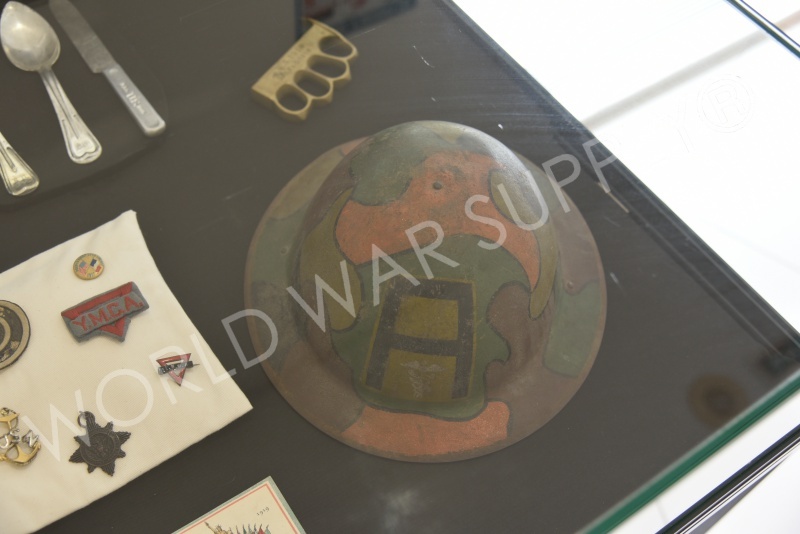 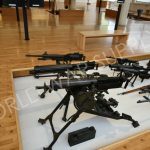 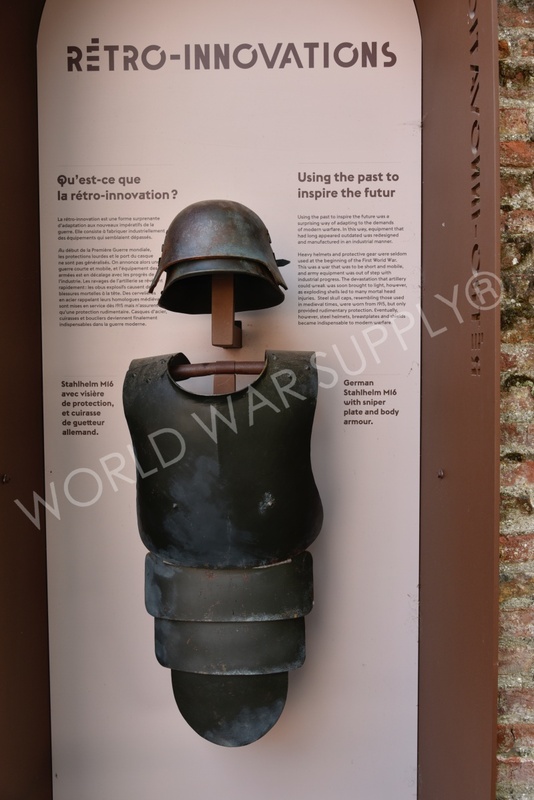 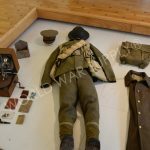 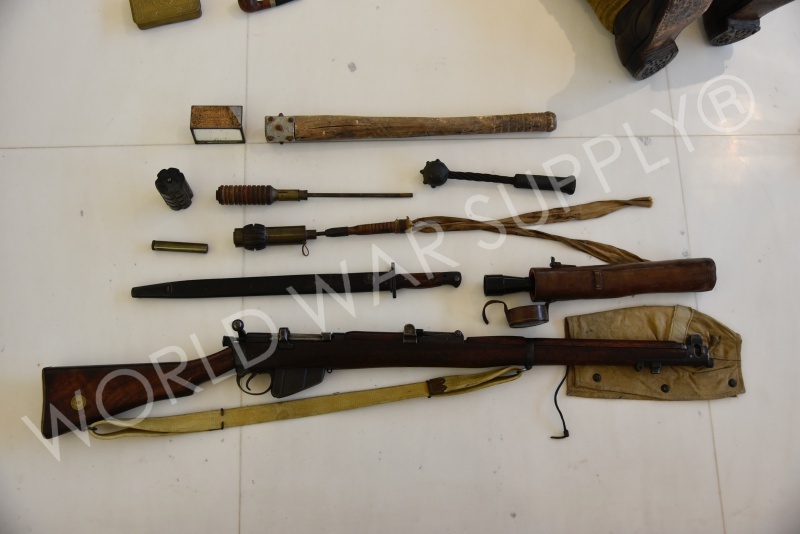 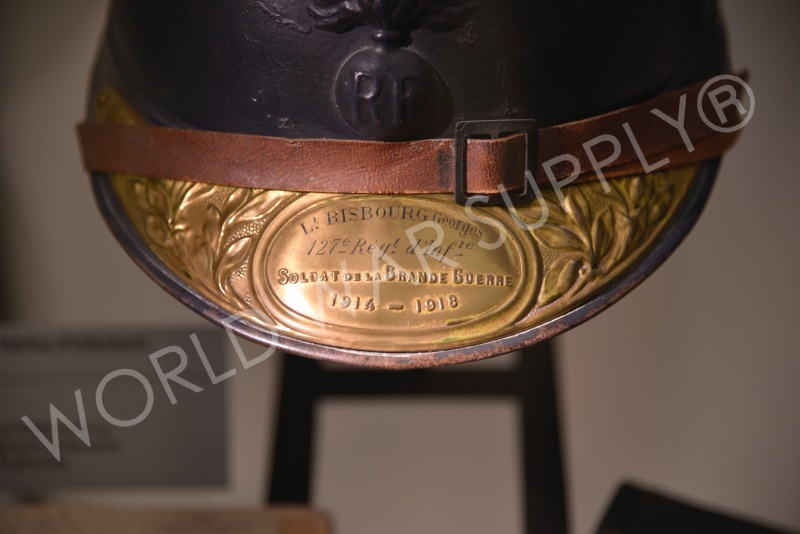 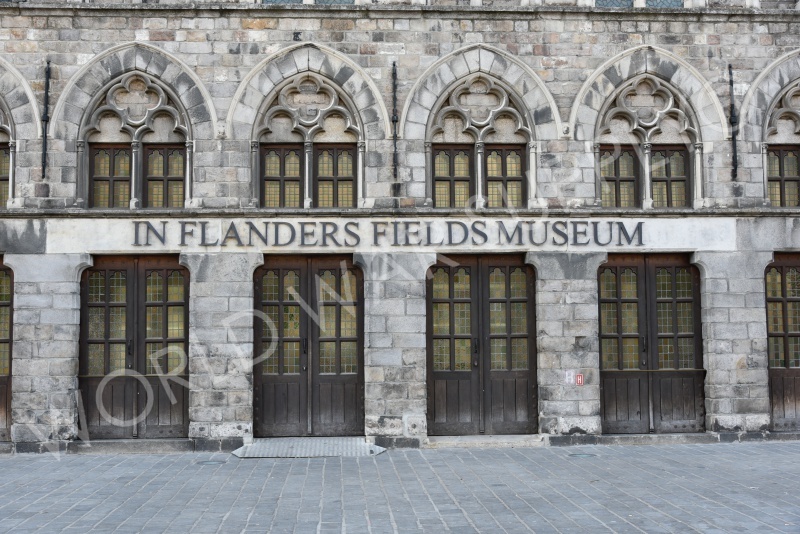 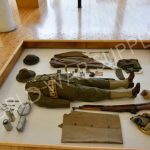 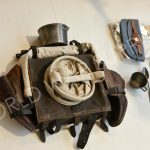 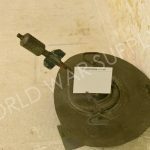 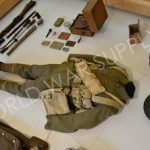 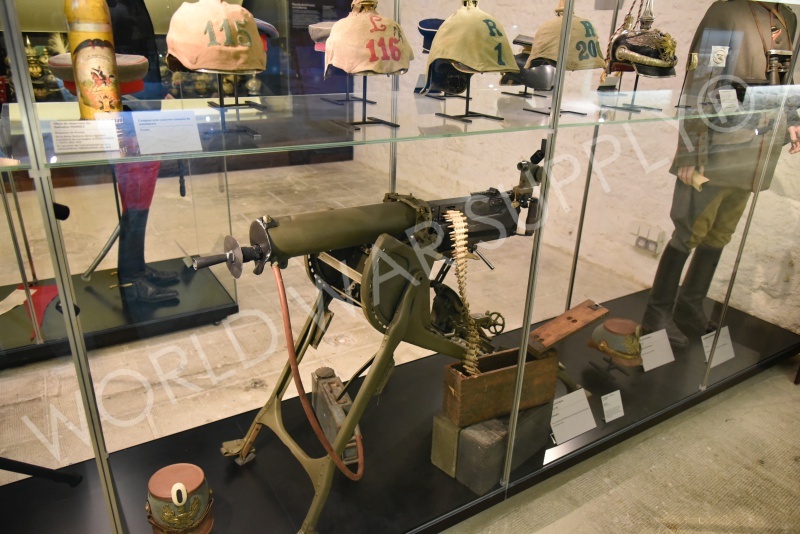 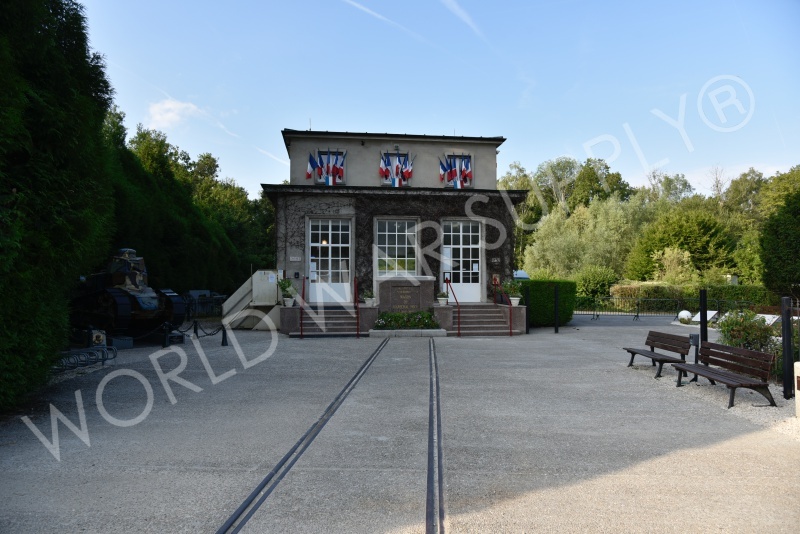 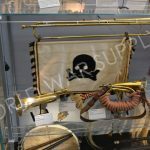 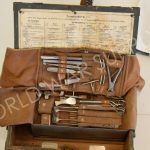 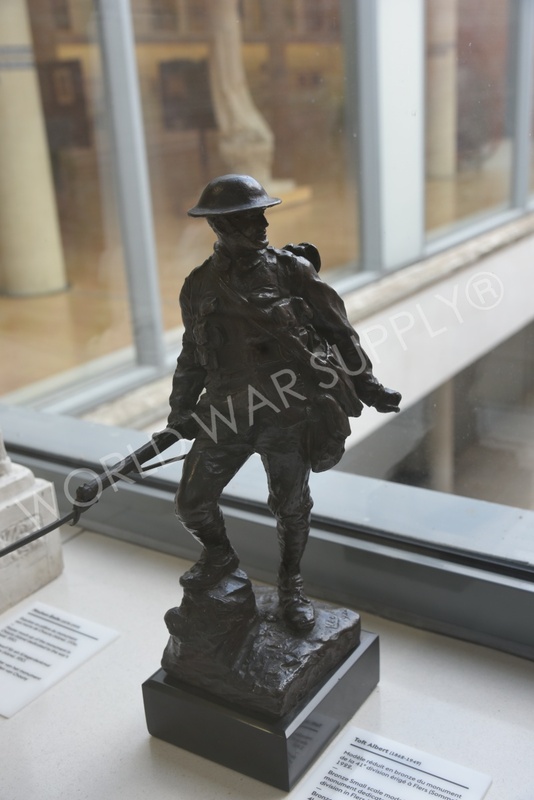 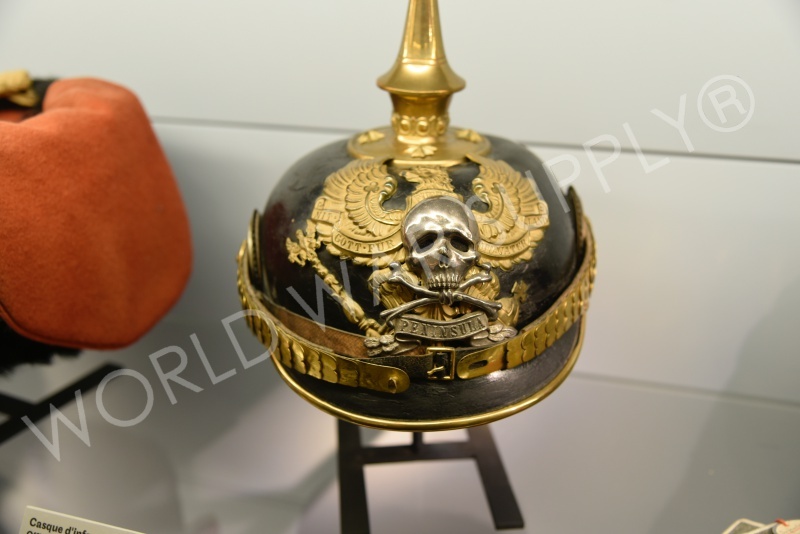 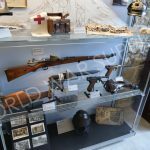 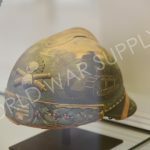 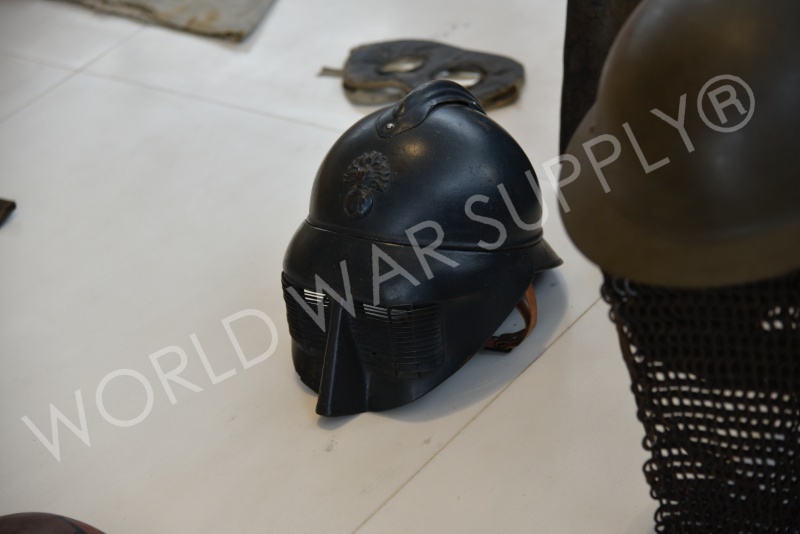 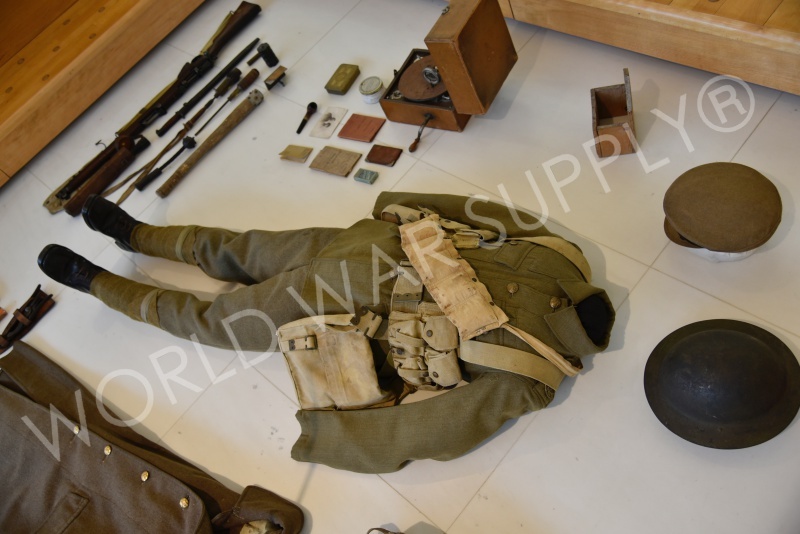 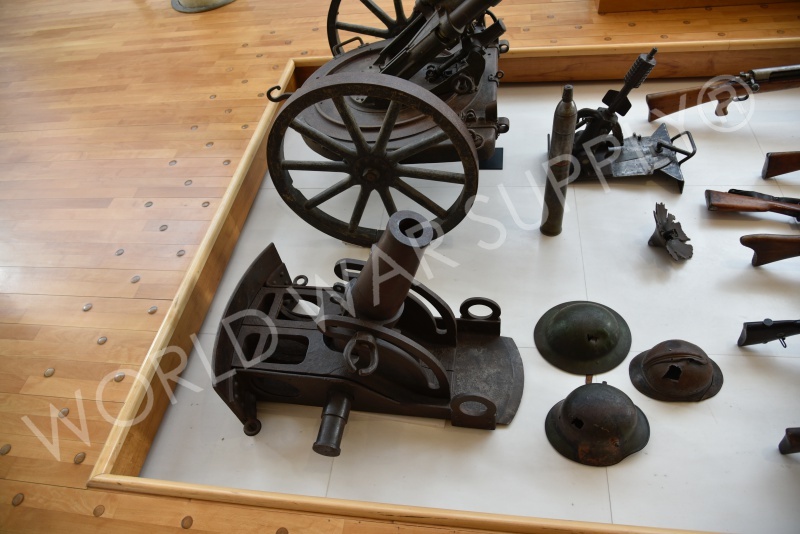 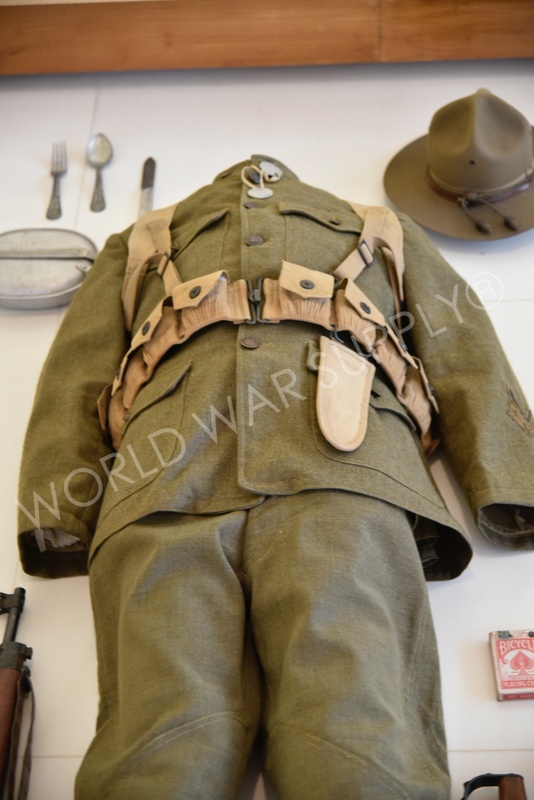 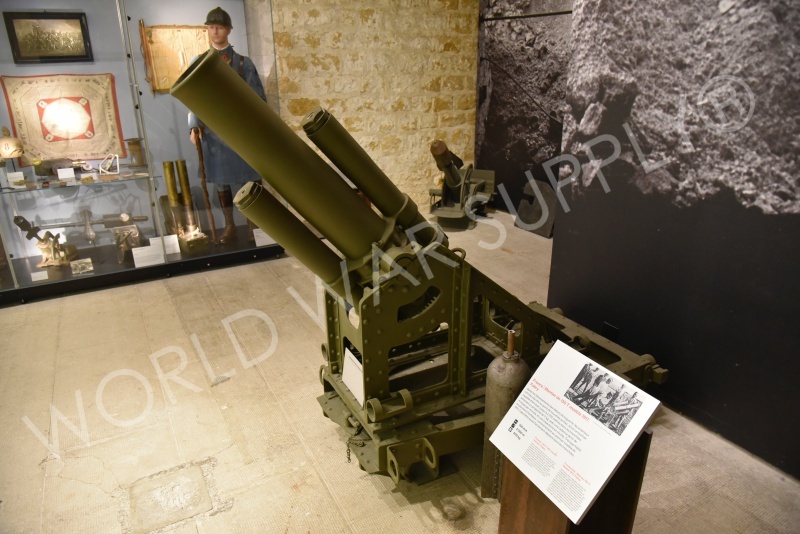 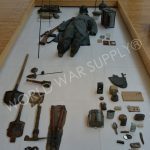 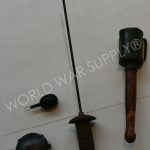 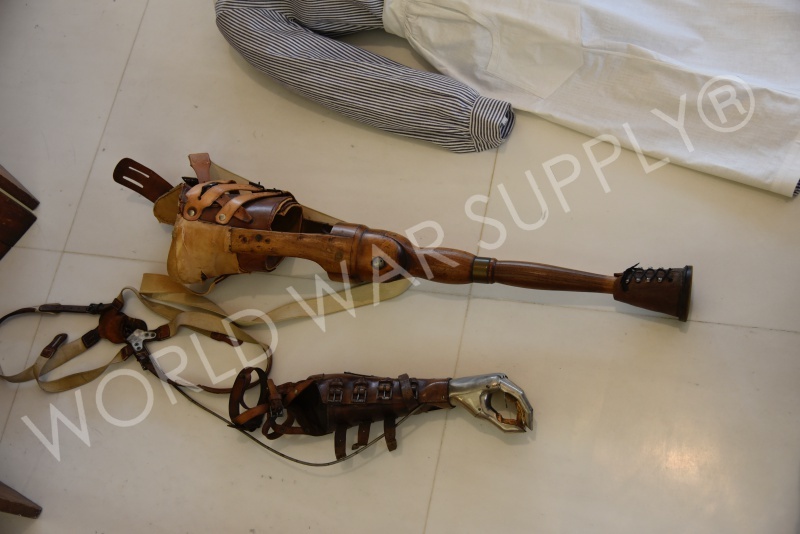 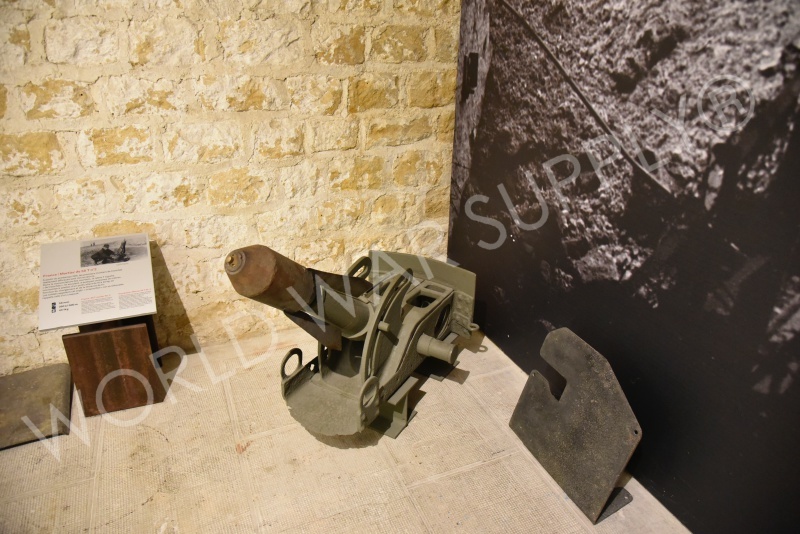 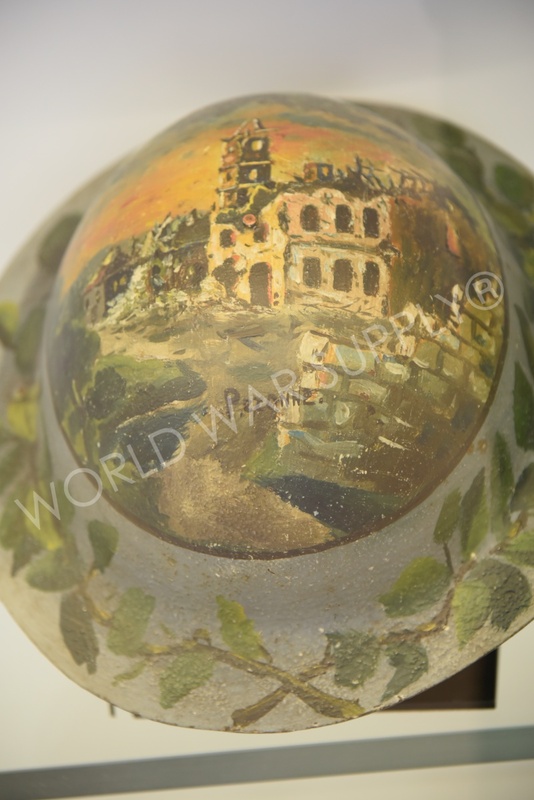 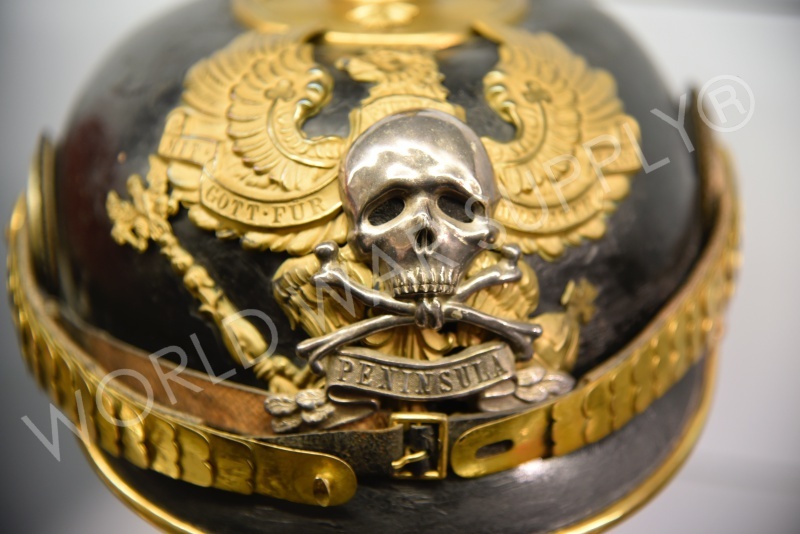 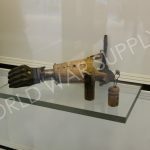 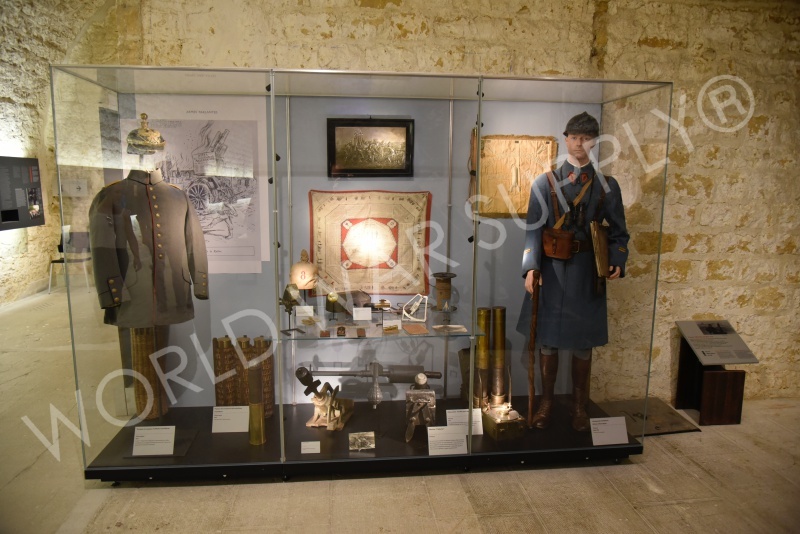 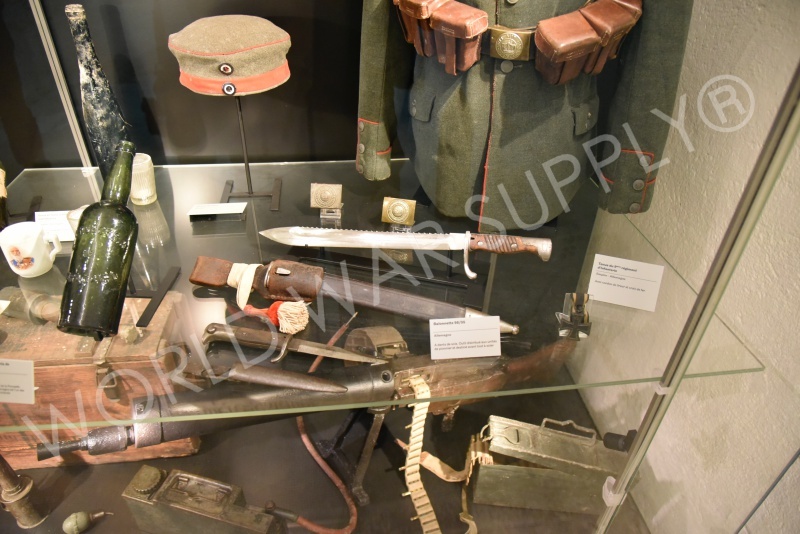 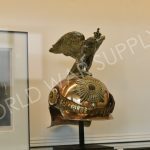 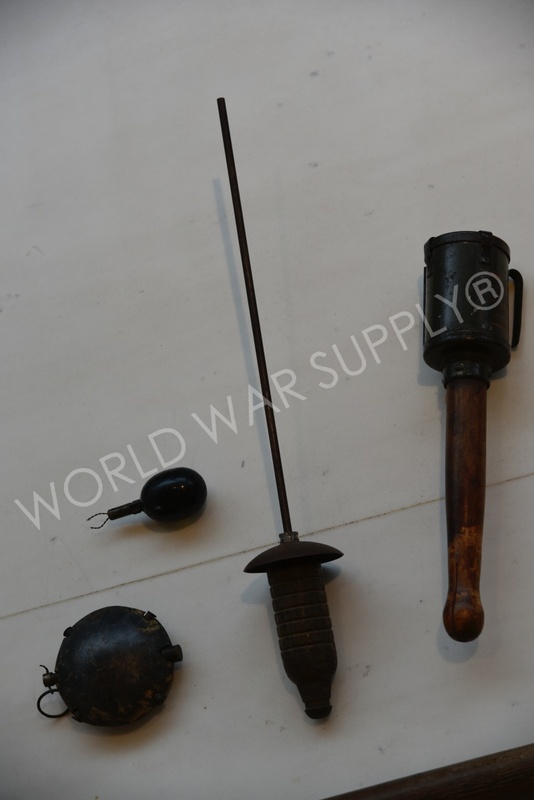 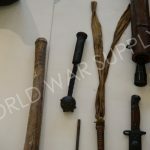 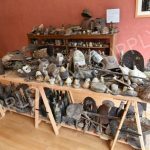 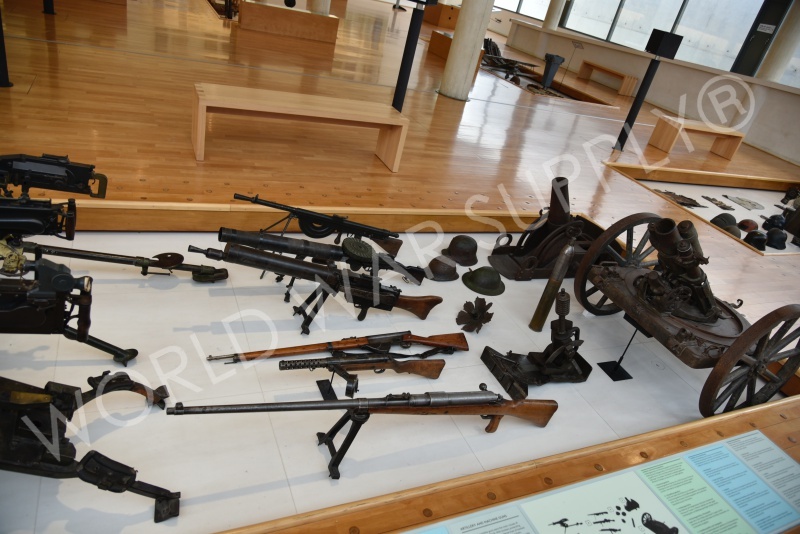 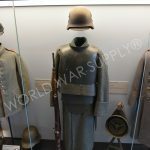 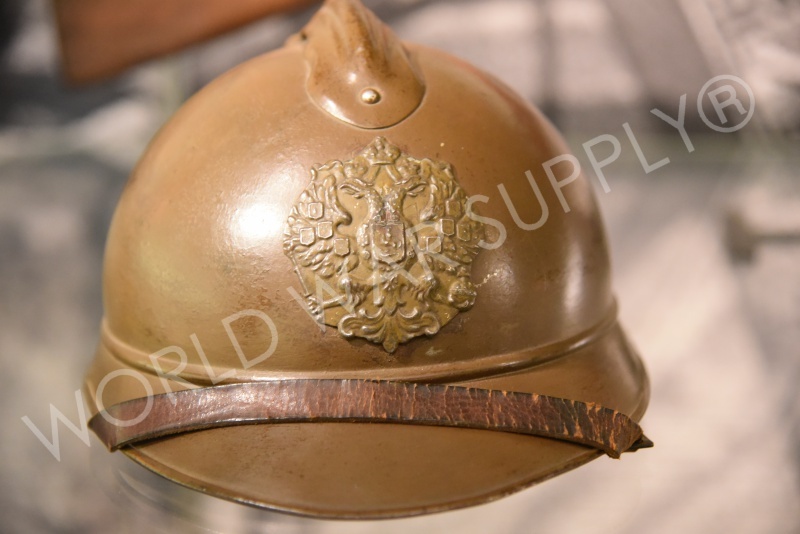 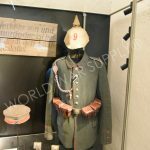 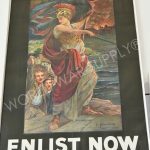 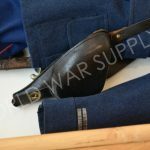 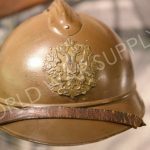 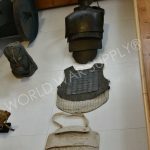 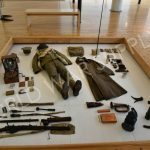 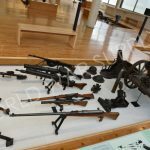 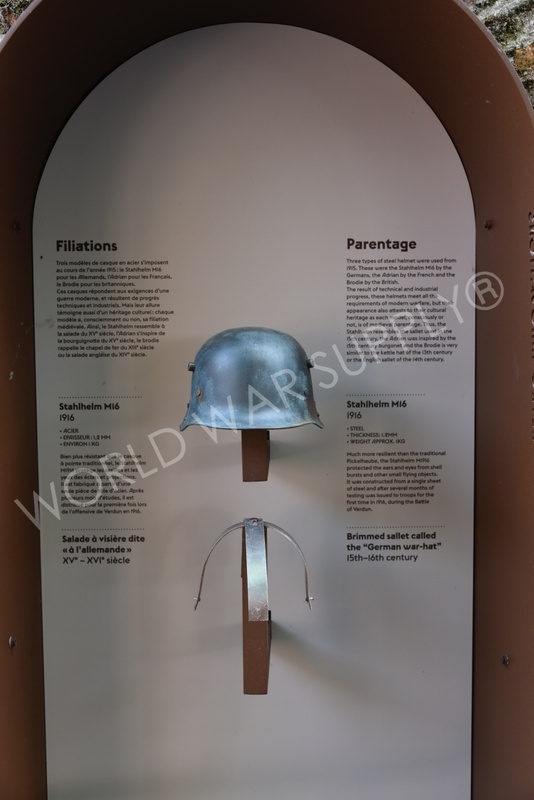 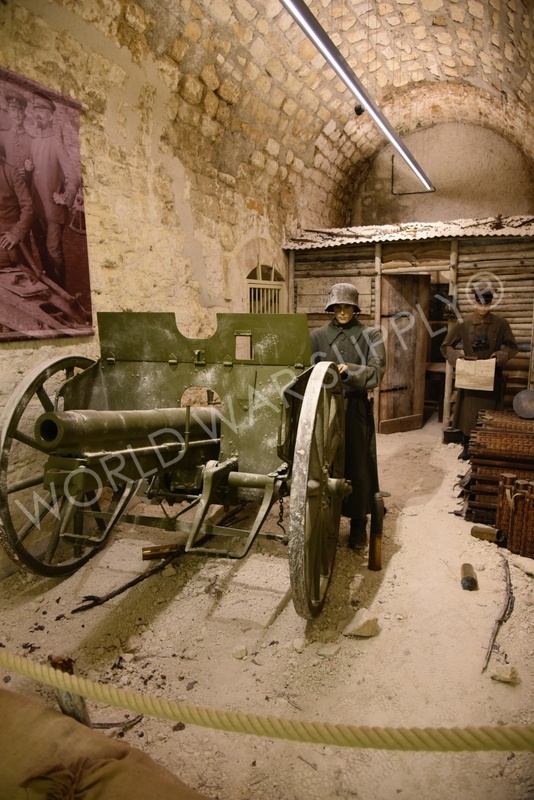 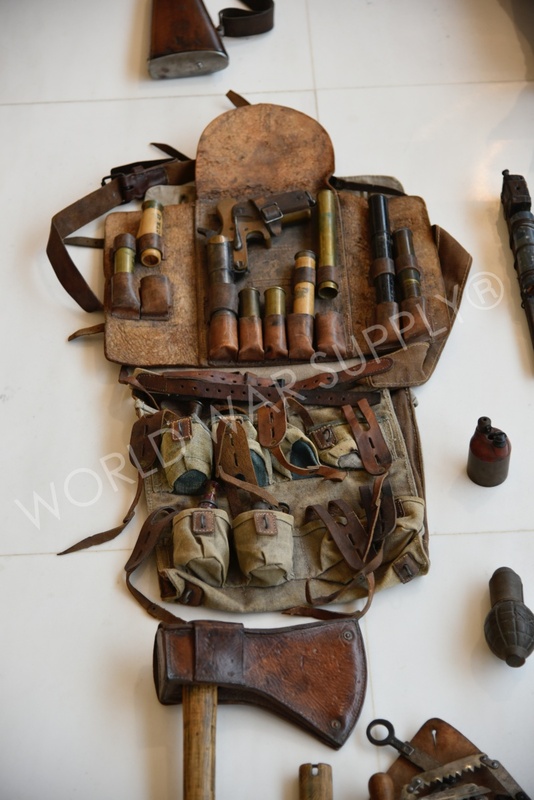 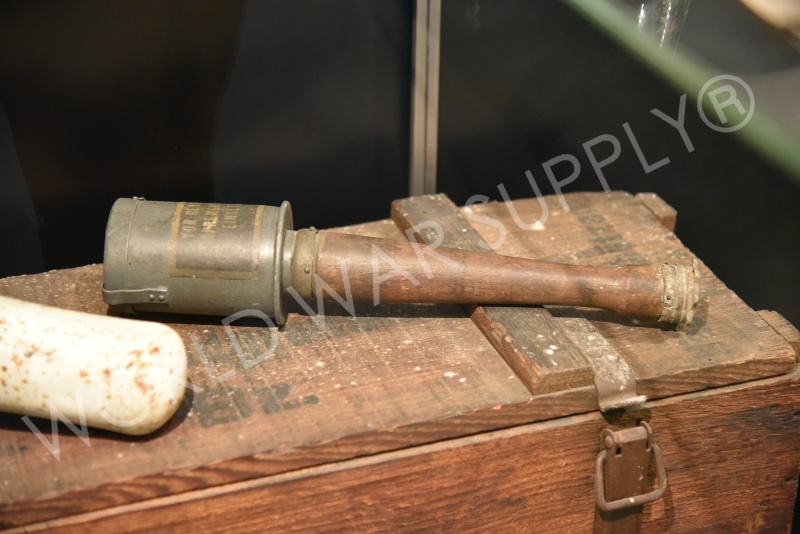 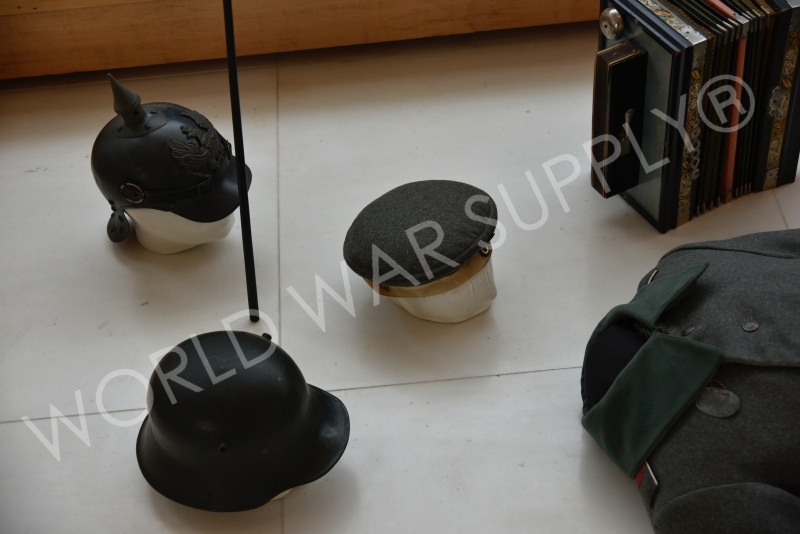 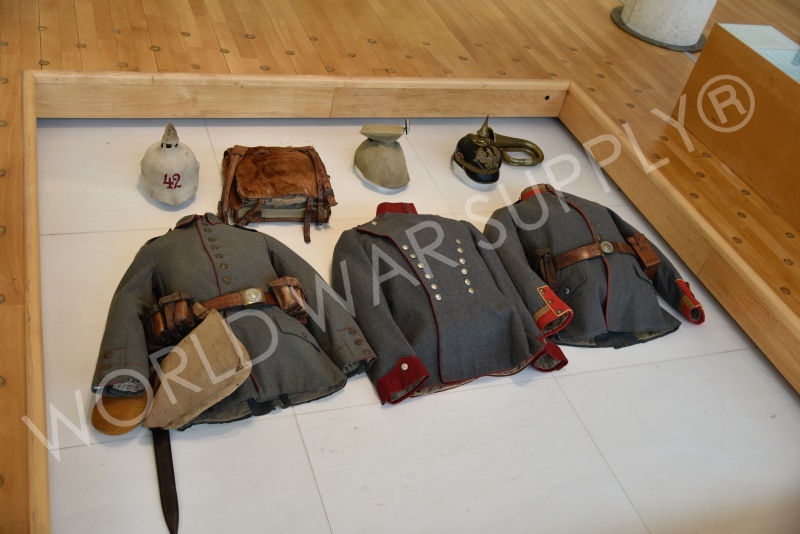 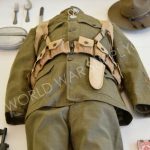 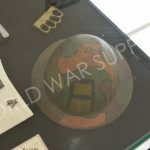 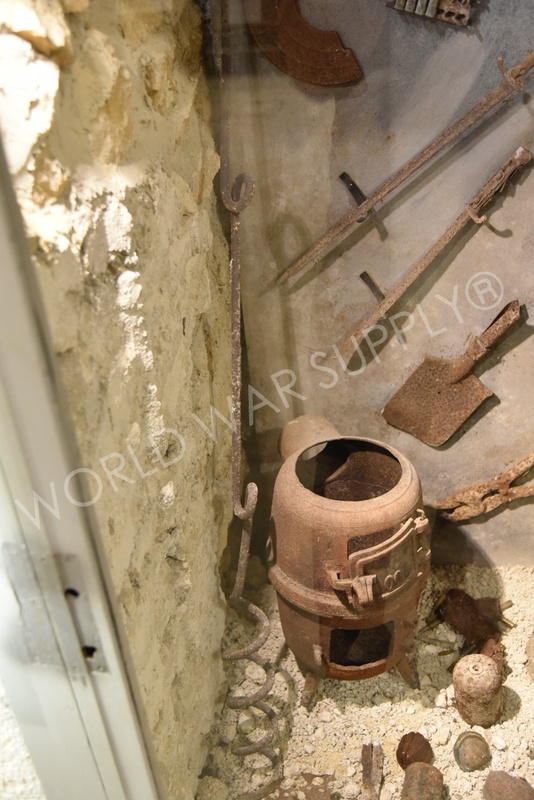 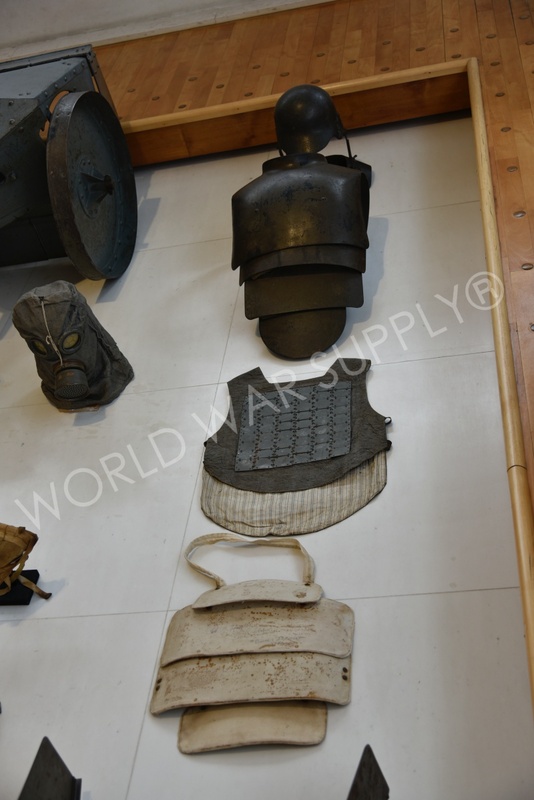 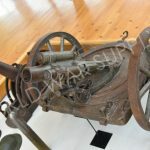 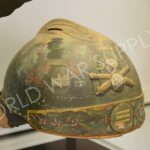 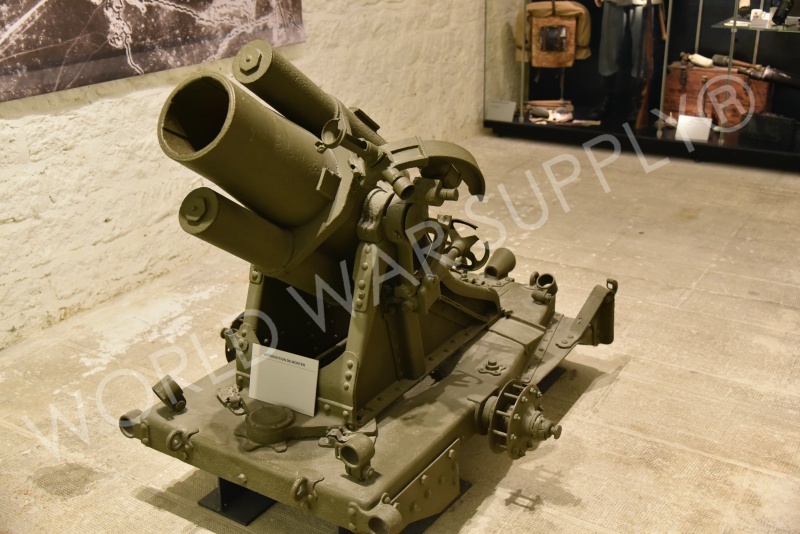 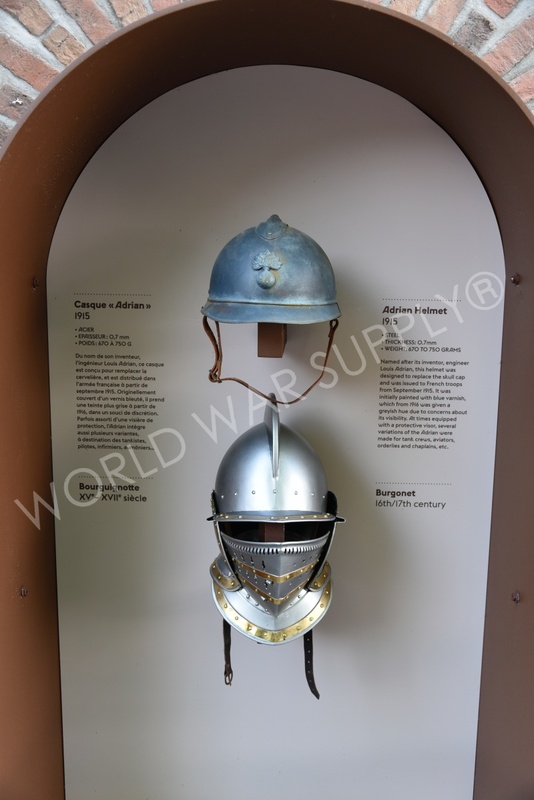 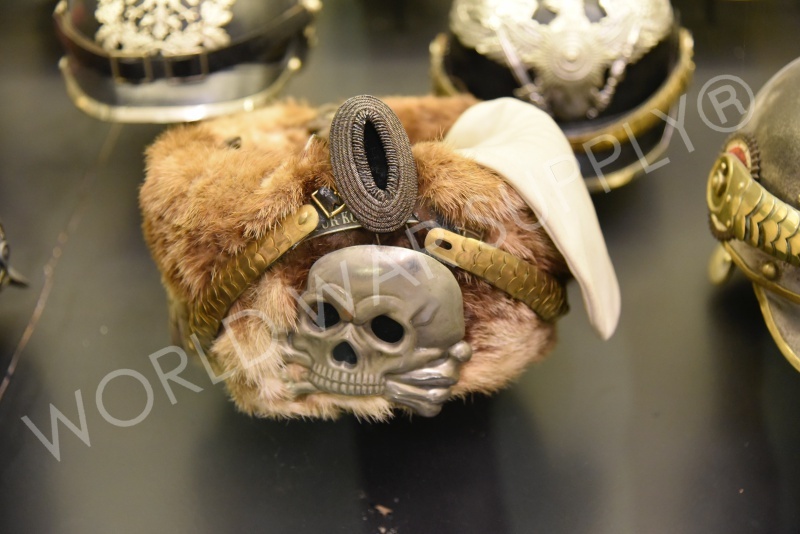 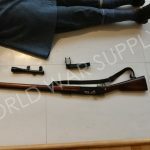 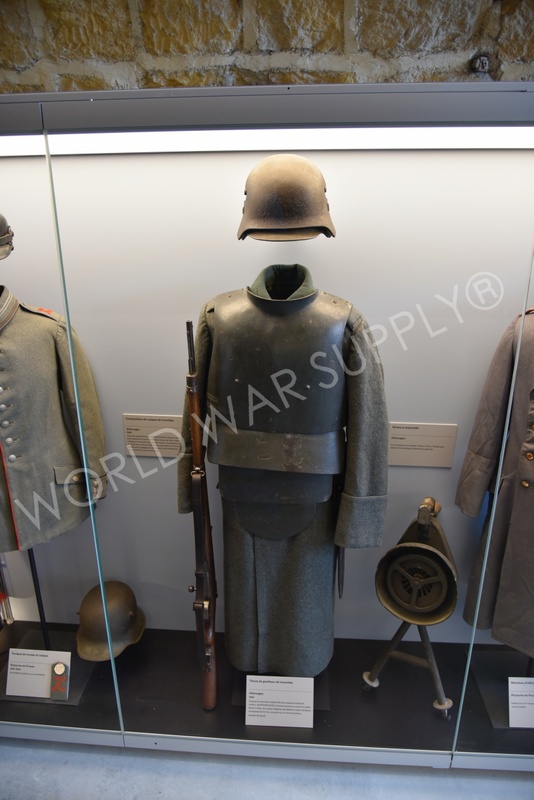 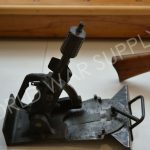 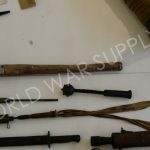 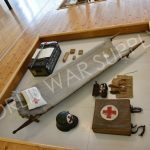 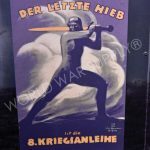 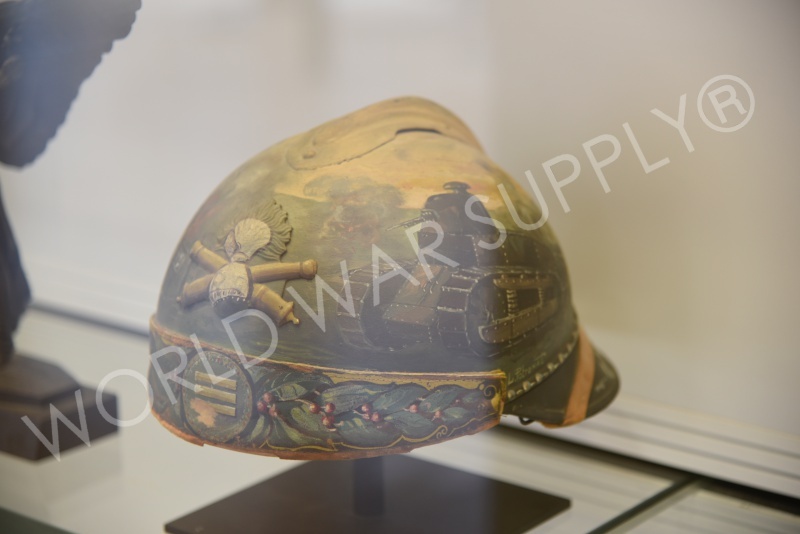 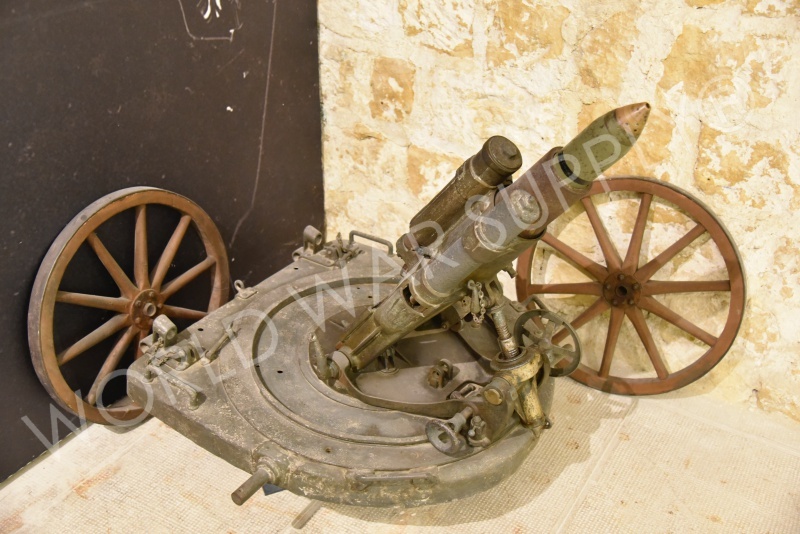 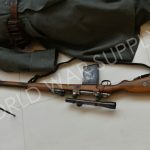 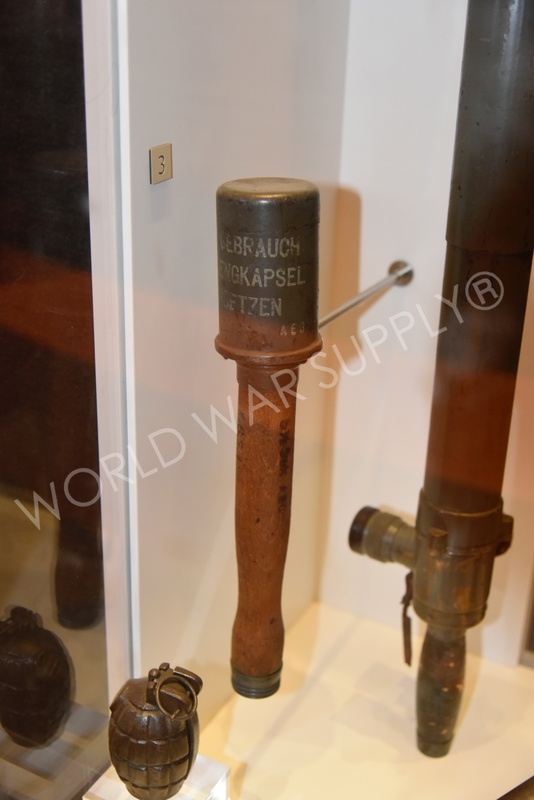 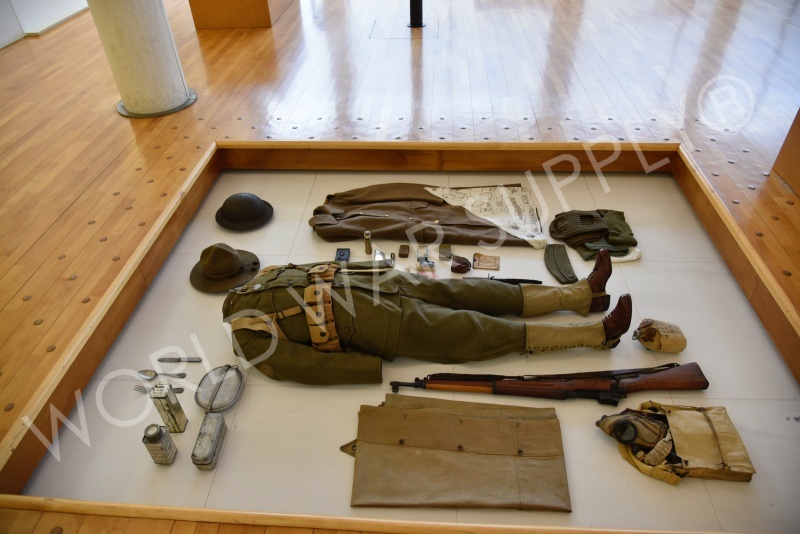 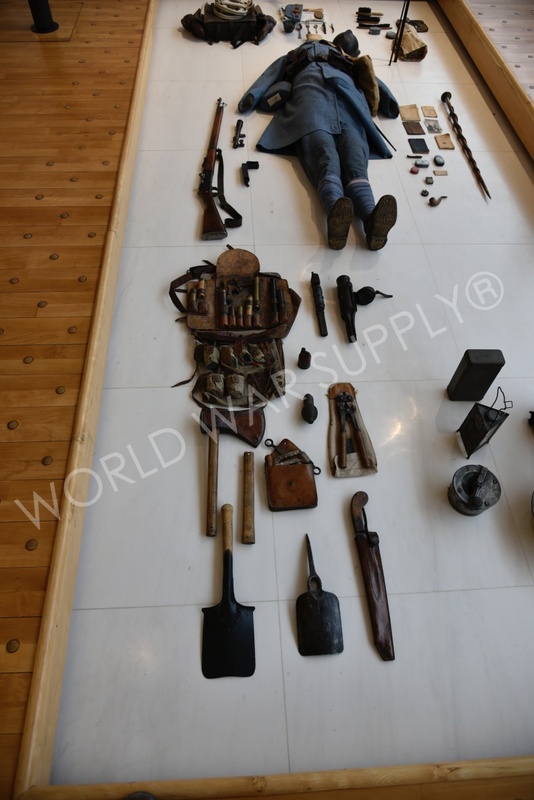 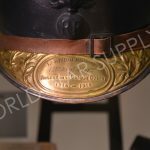 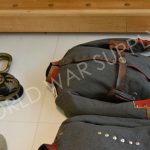 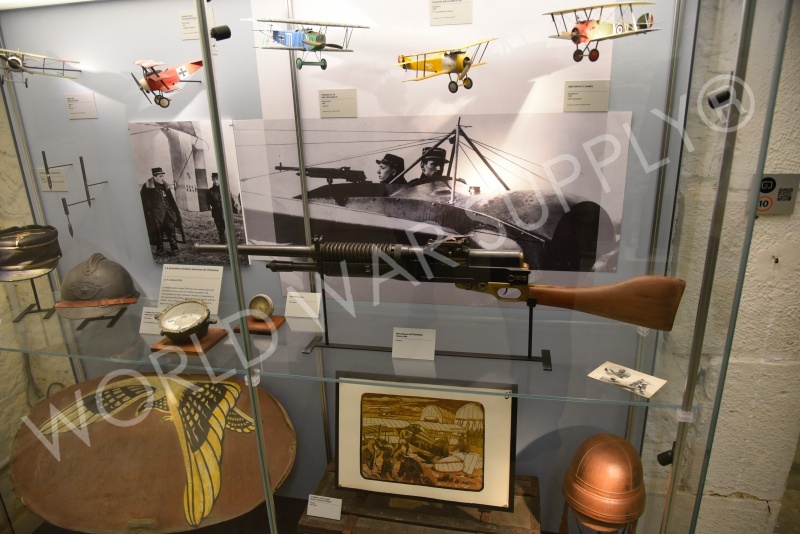 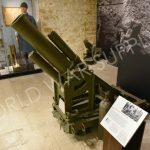 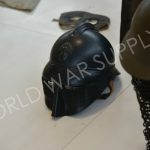 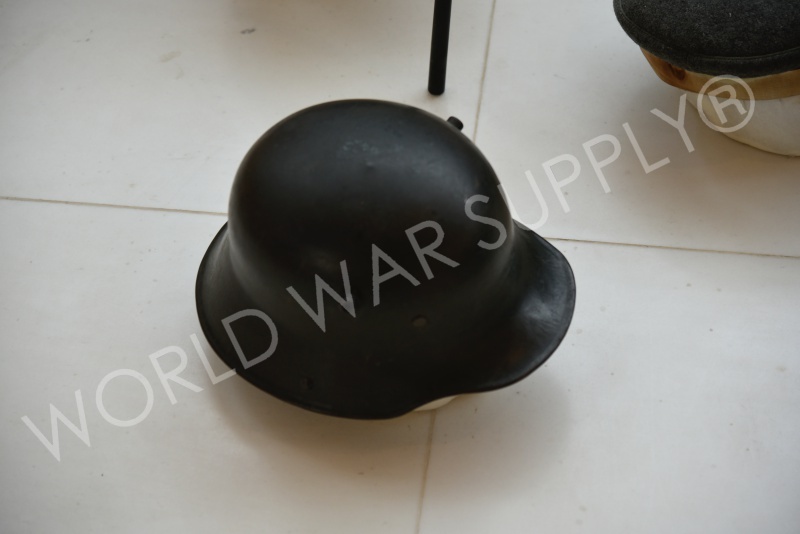 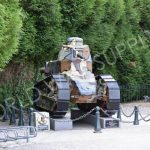 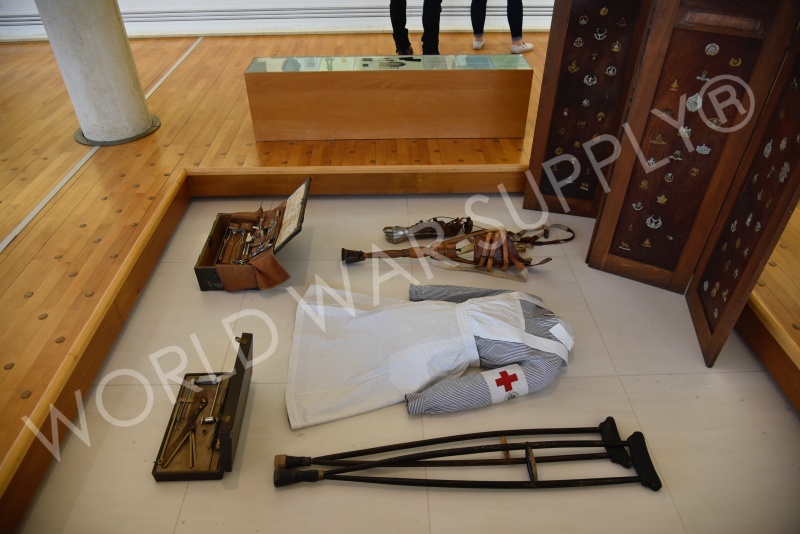 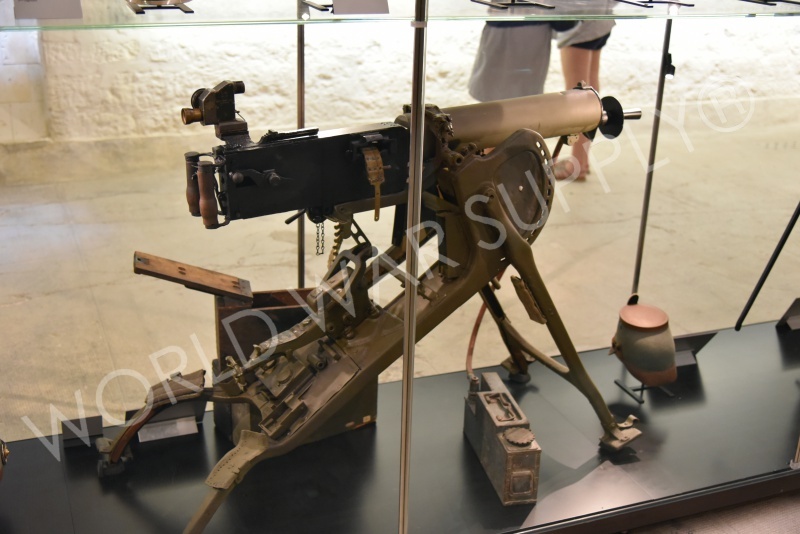 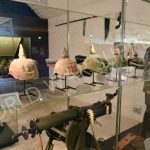 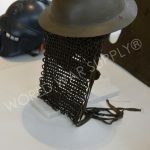 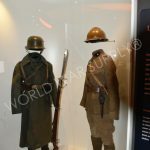 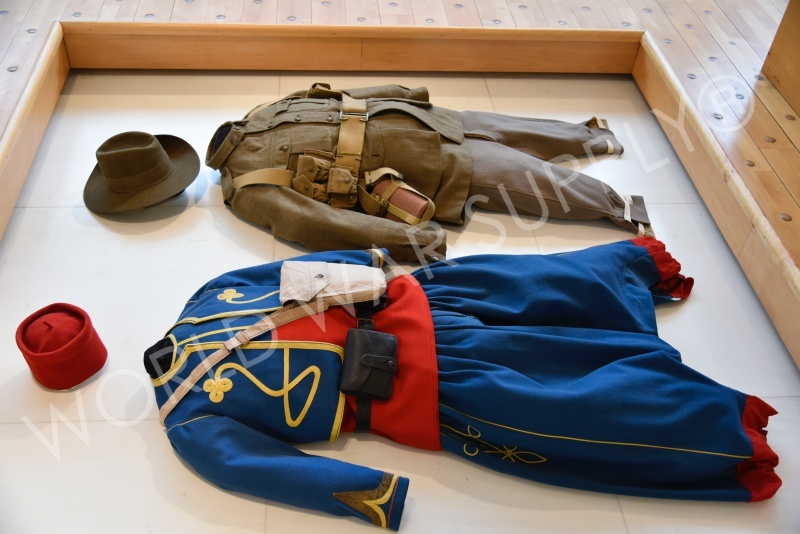 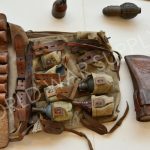 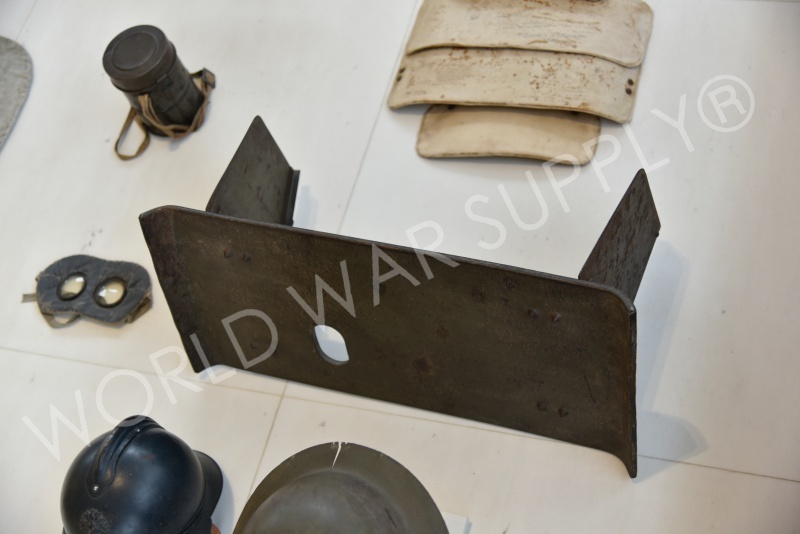 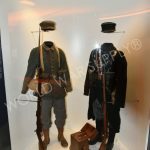 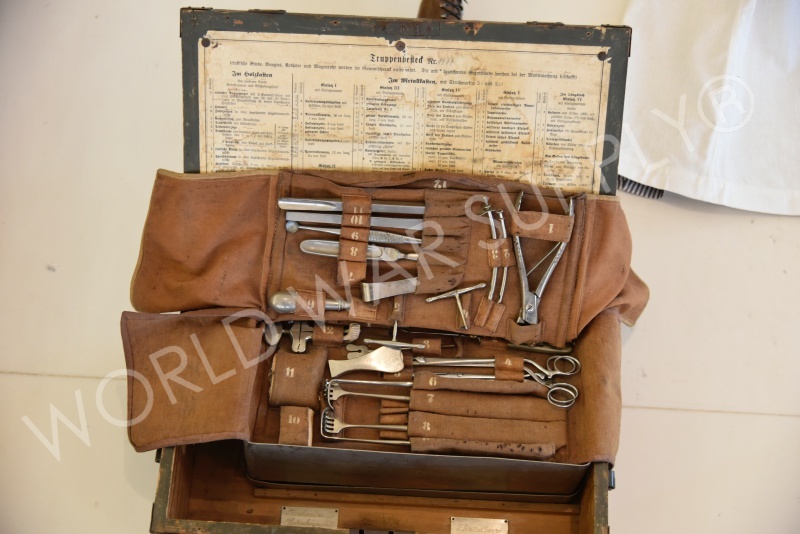 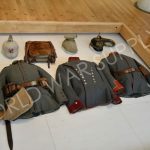 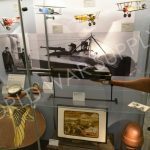 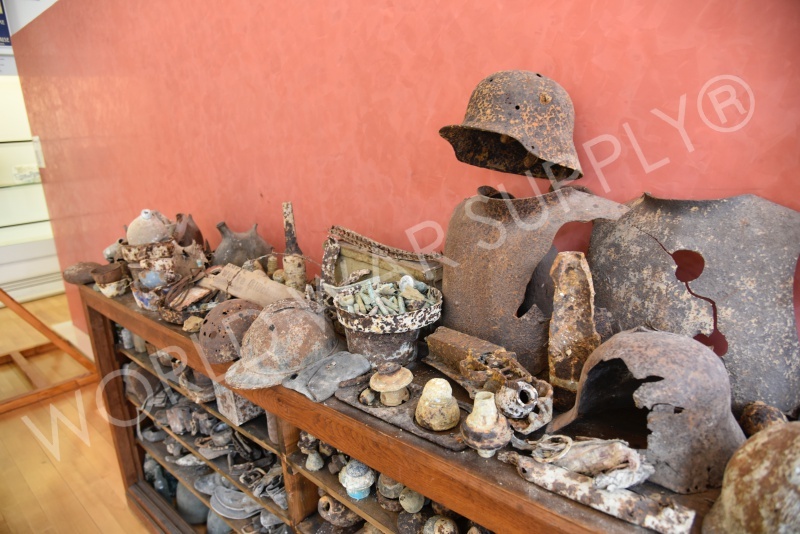 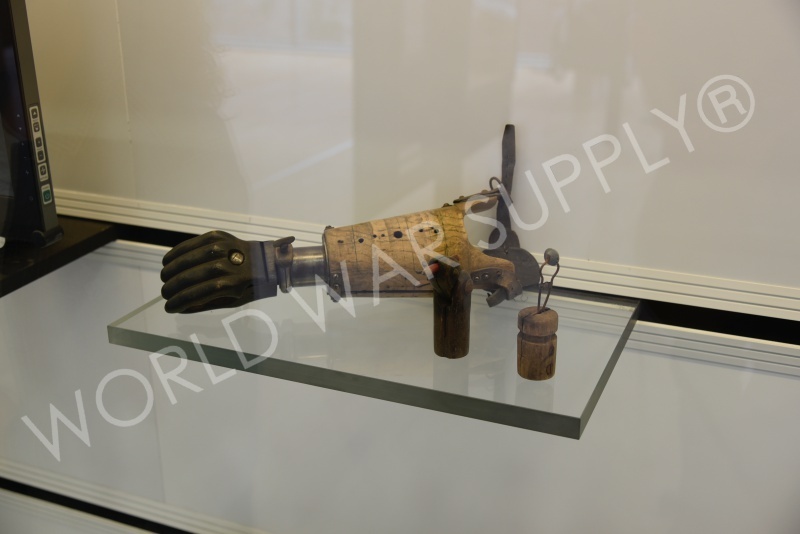 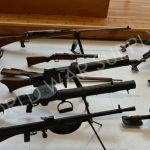 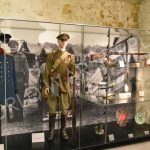 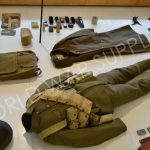 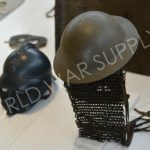 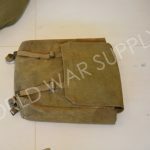 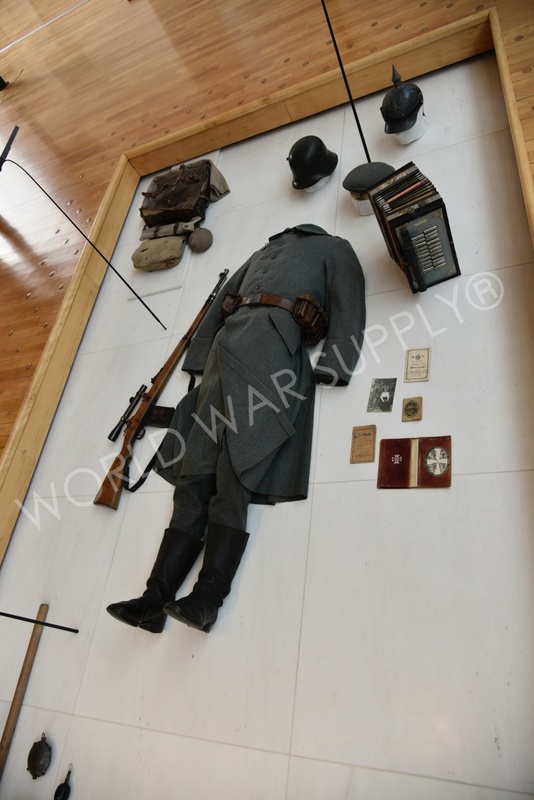 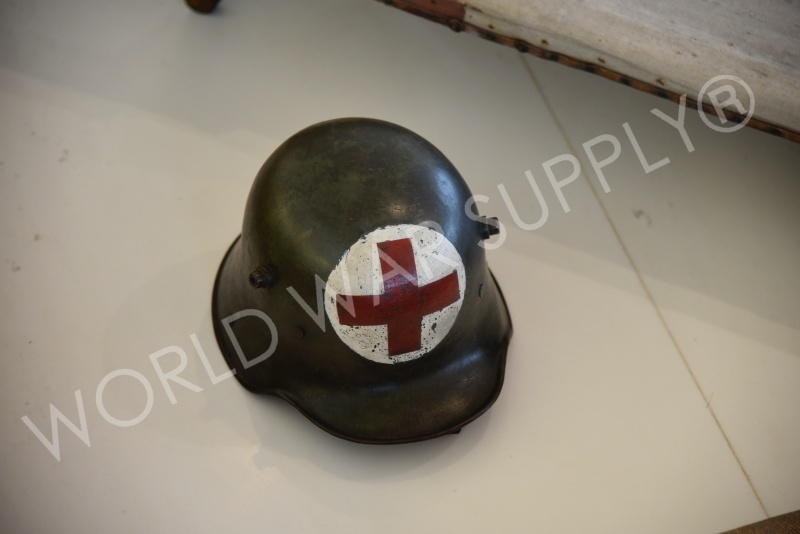 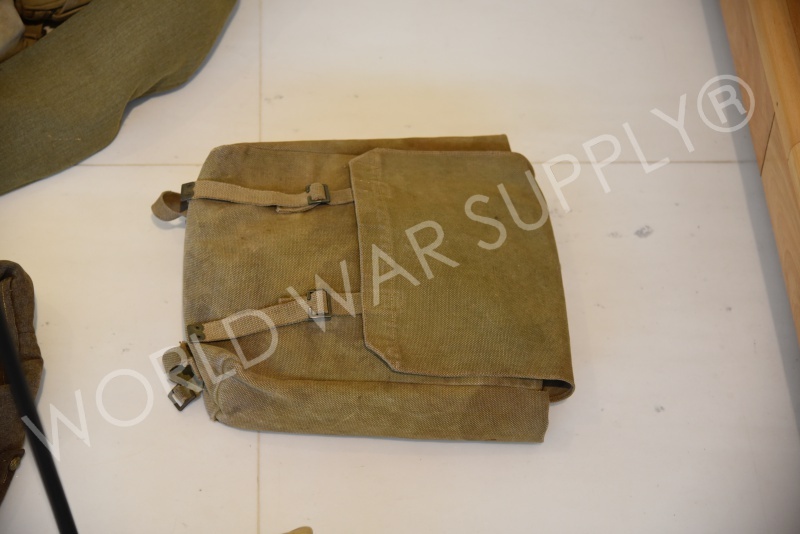 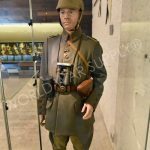 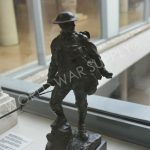 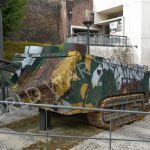 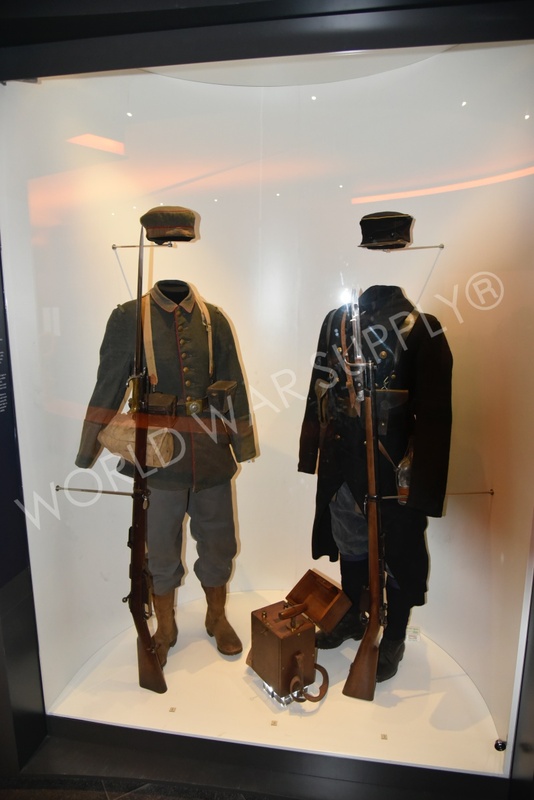 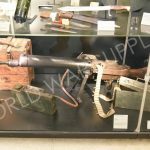 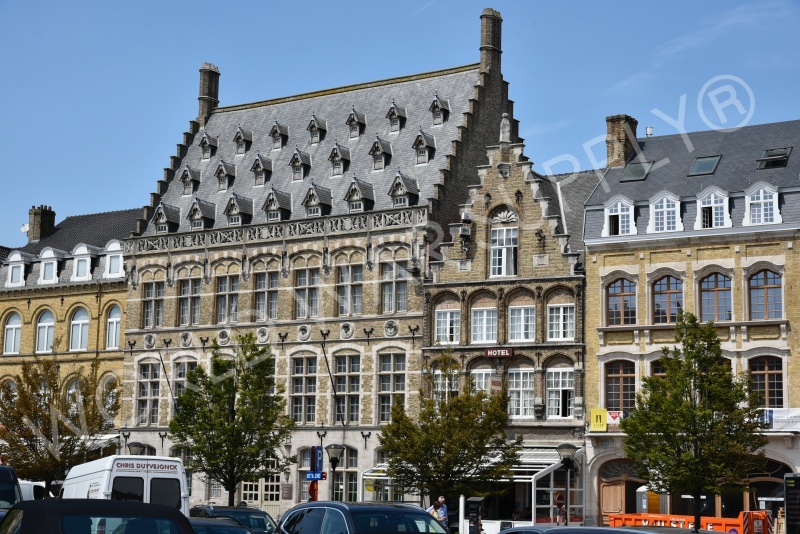 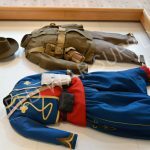 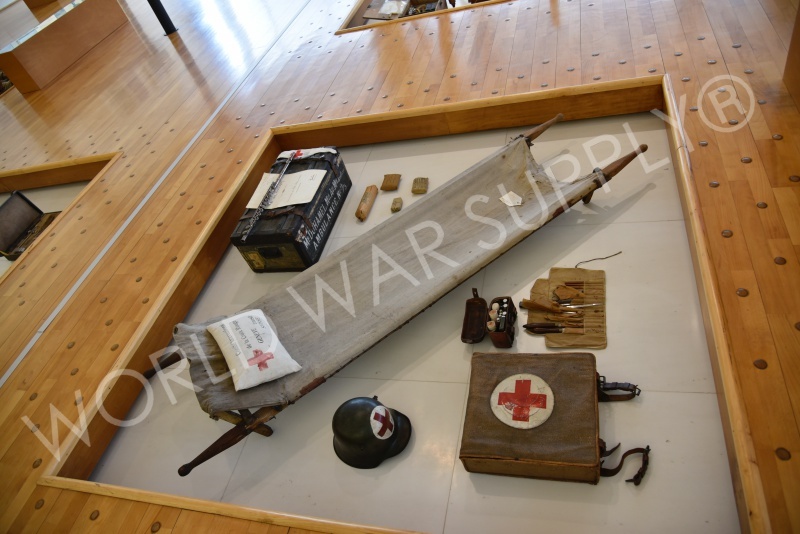 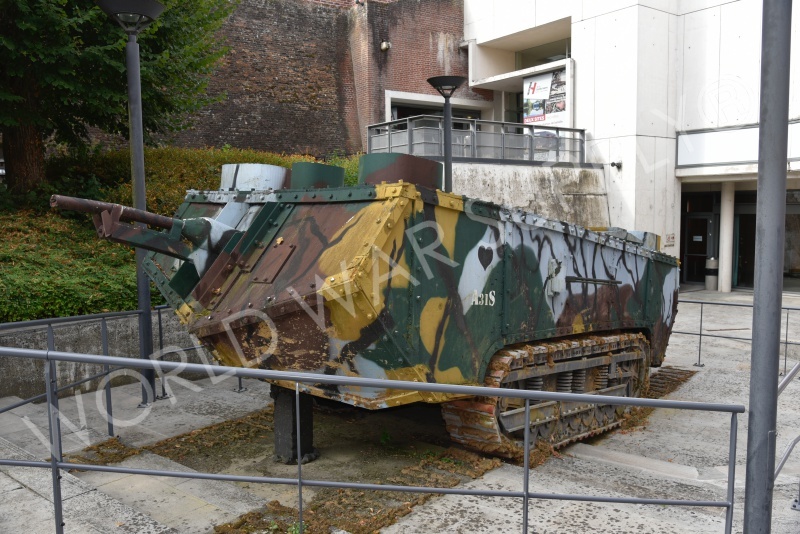 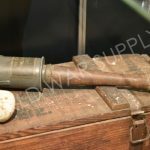 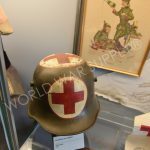 This museum holds a number of artifacts from the war and displays them to teach their visitors about the Great War. 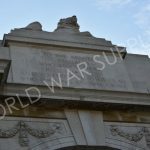 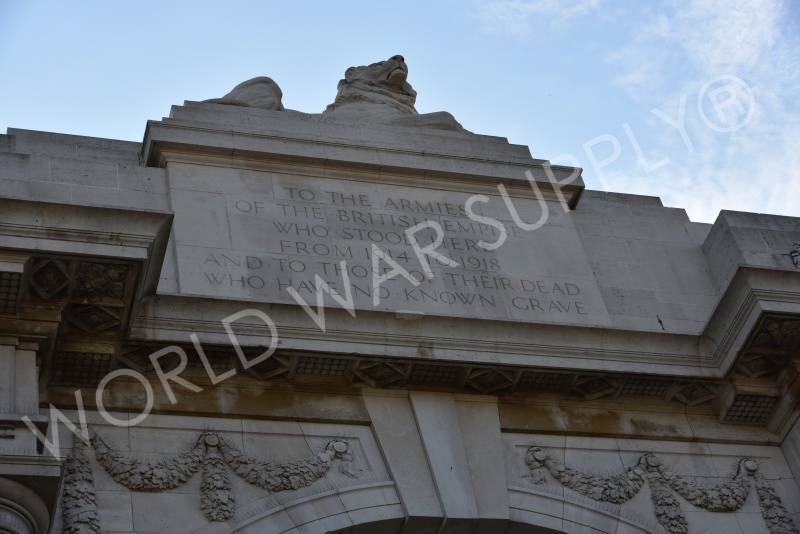 This famous gate commemorates the fallen British soldiers from WW1. 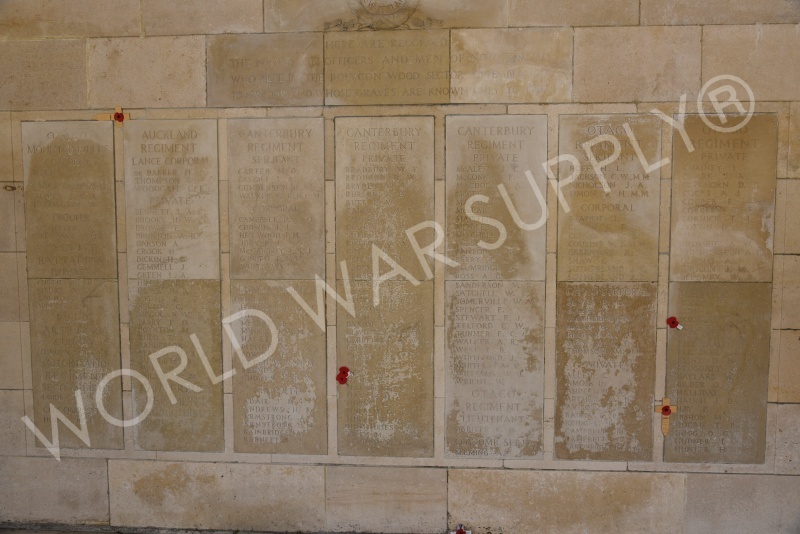 Many of these soldiers do not have graves, so they are remembered at this gate. 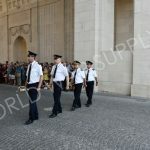 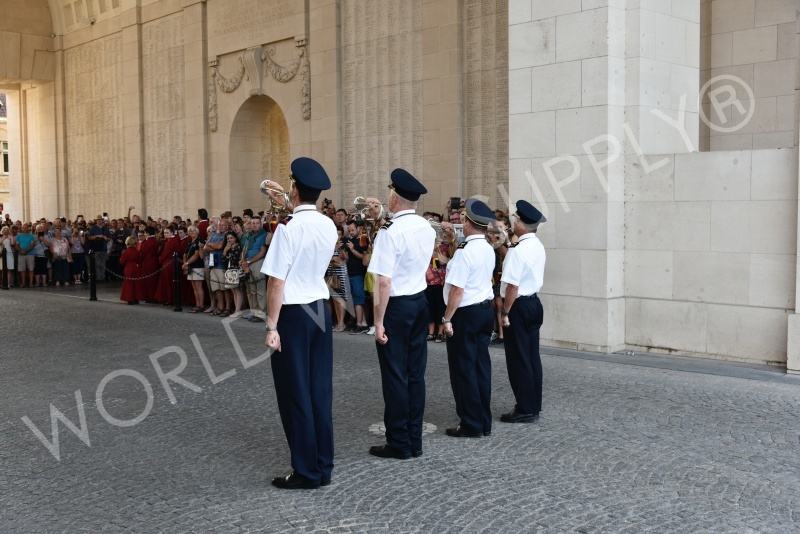 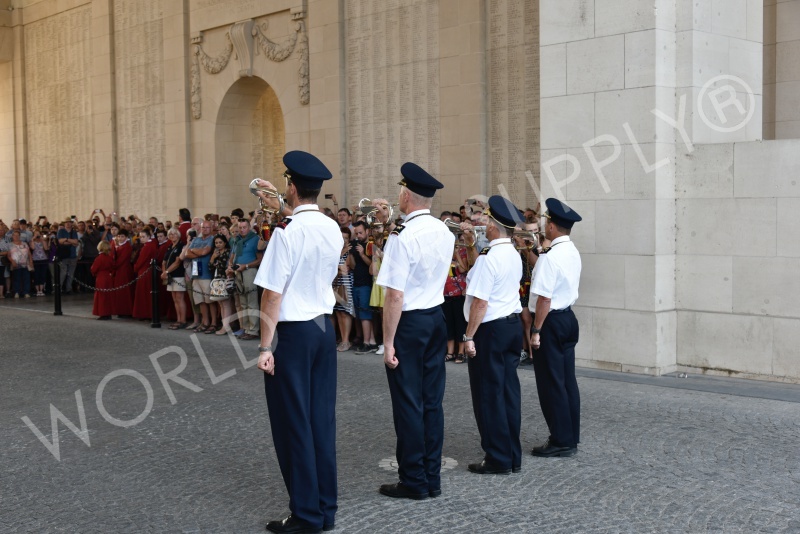 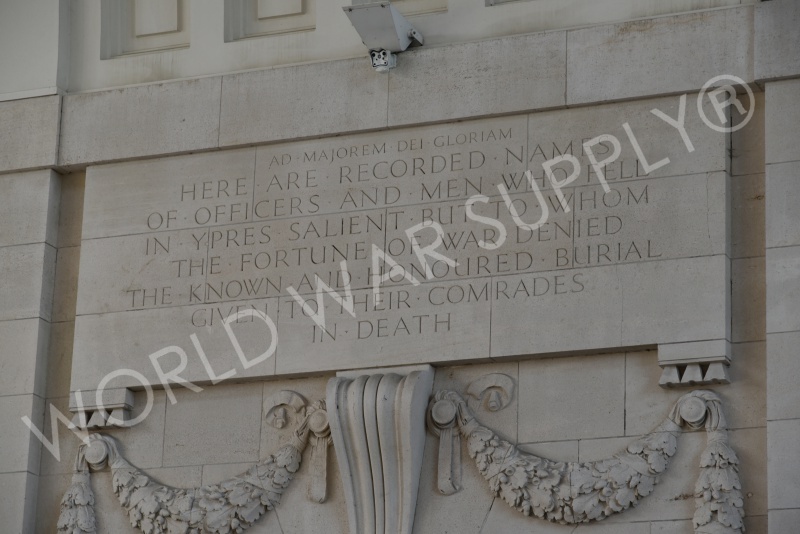 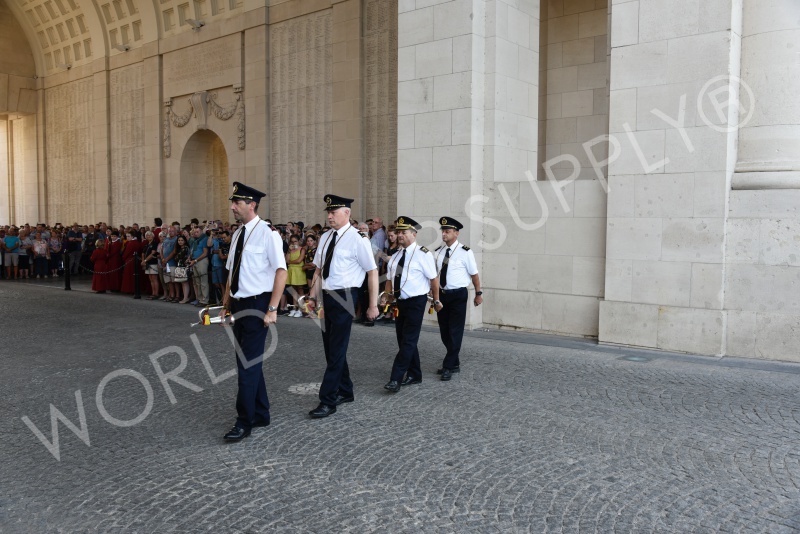 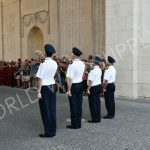 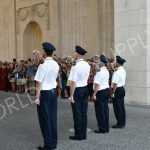 The Commonwealth still perform a memorial service for these fallen men and it draws many visitors from around the world. 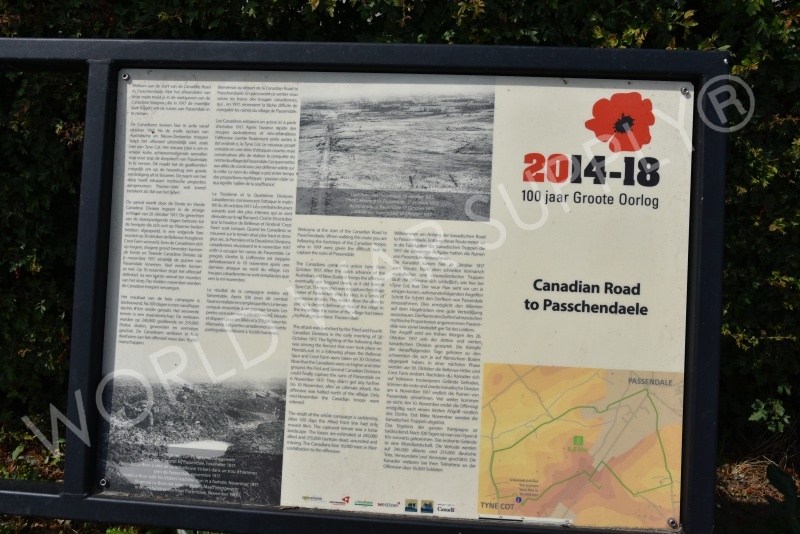 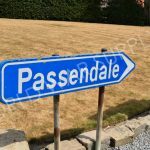 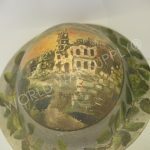 The battle of Passchendaele was a WW1 battle and was vital to Allied efforts. 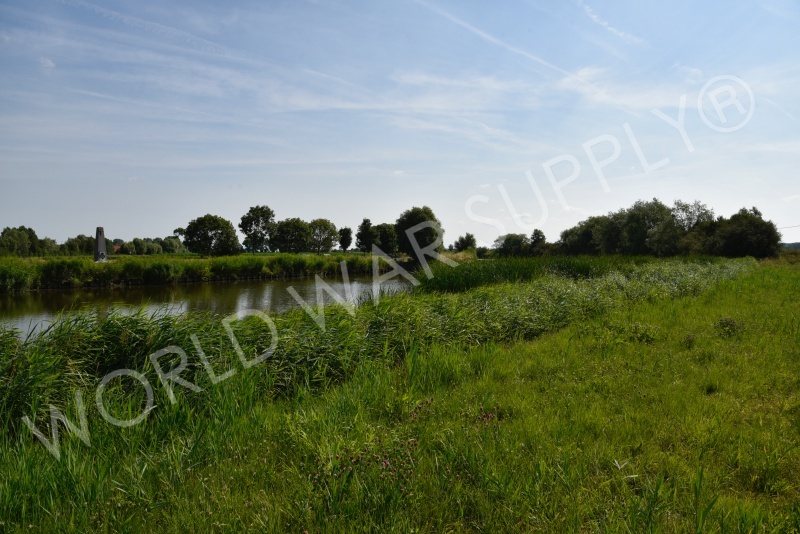 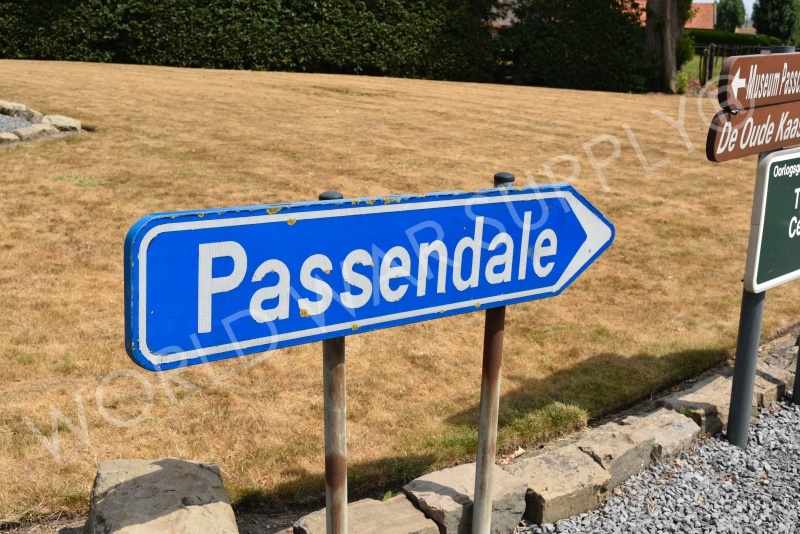 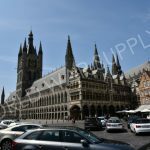 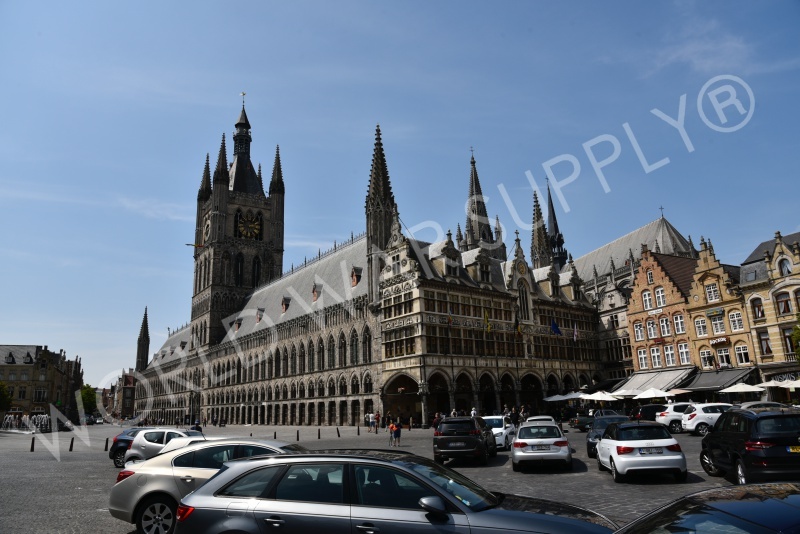 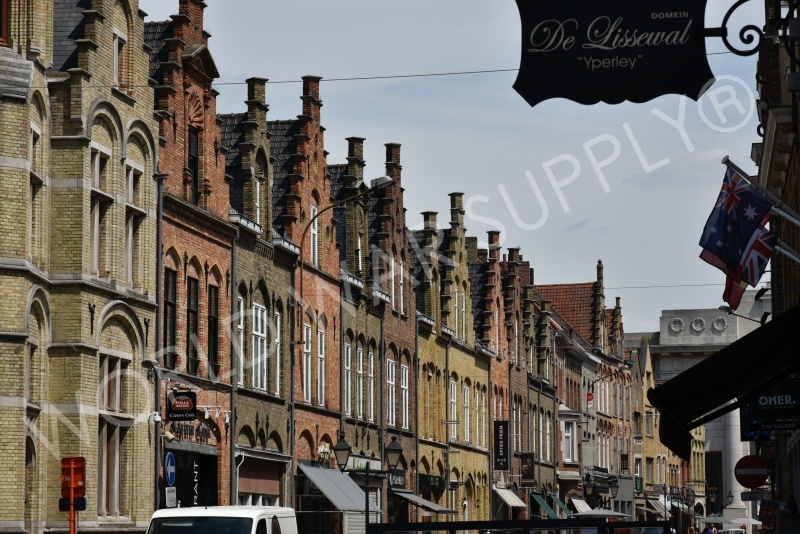 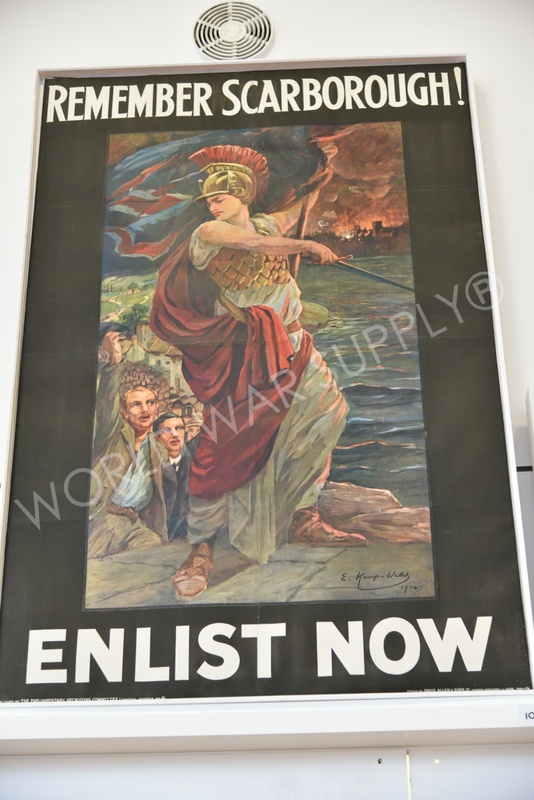 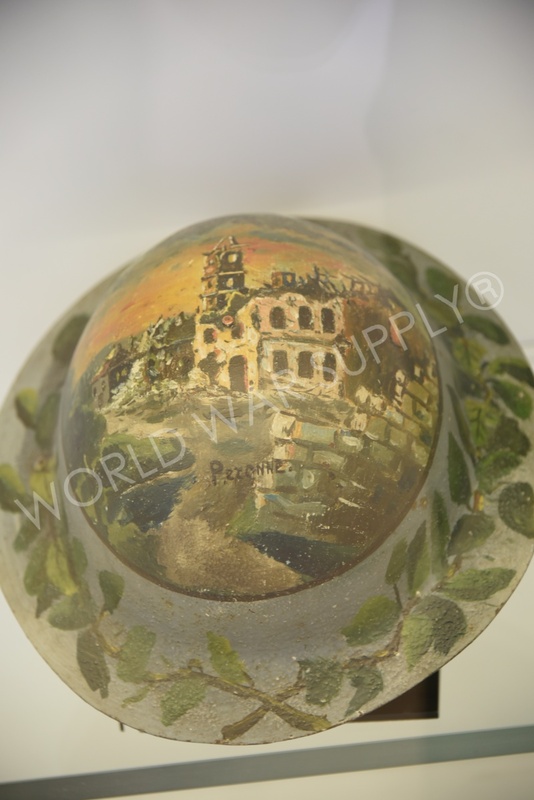 Passchendaele was an area vital to German Army supply, and Allied forces seized the area to cut off their supply. 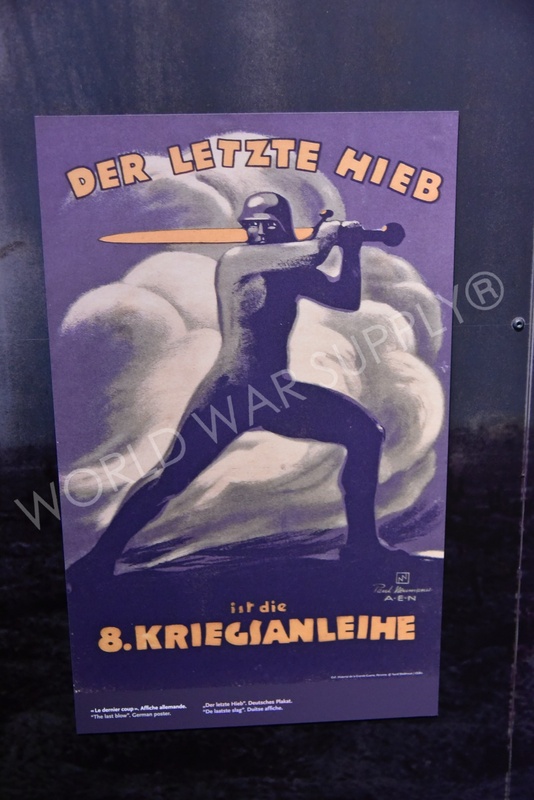 They advanced forward and also cut off German railways. 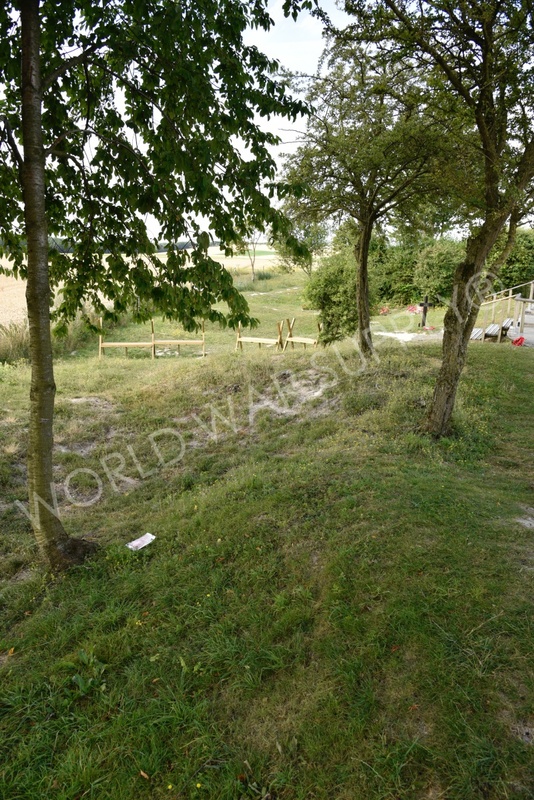 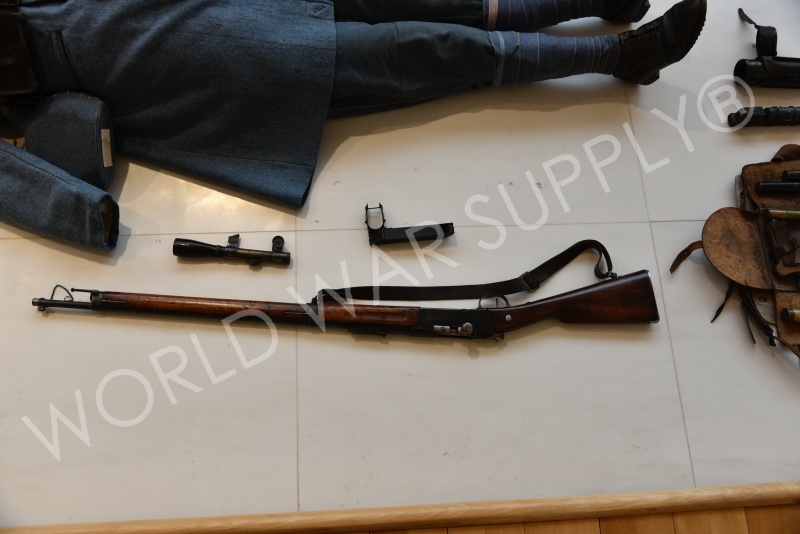 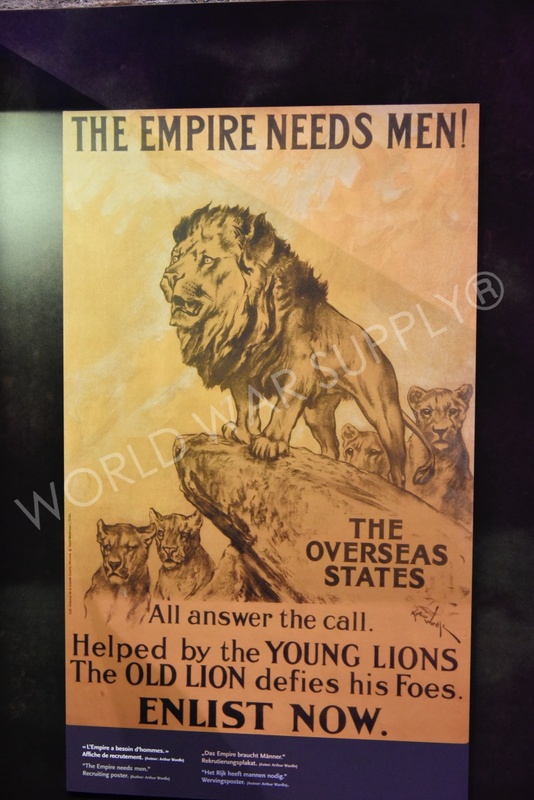 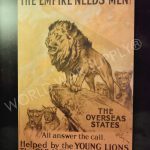 This helped them gain a victory over the Germans and, eventually, win the war. 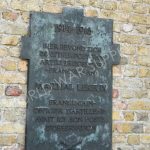 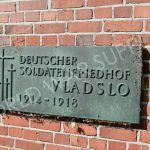 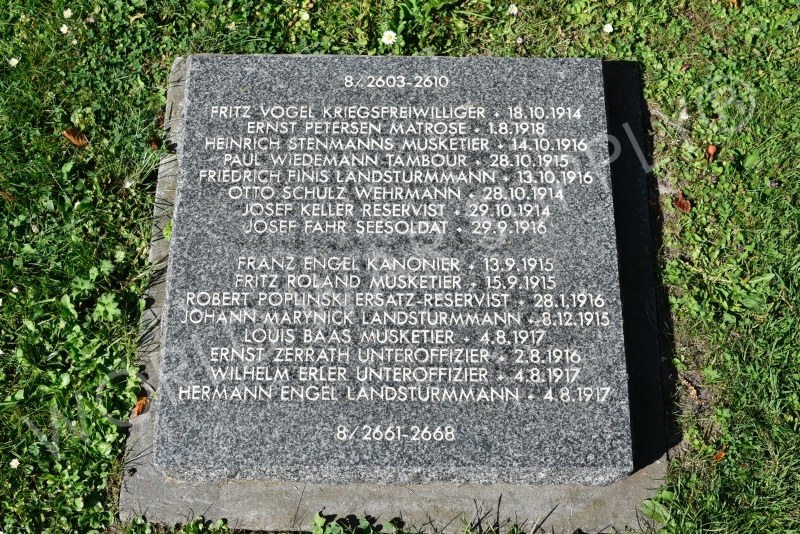 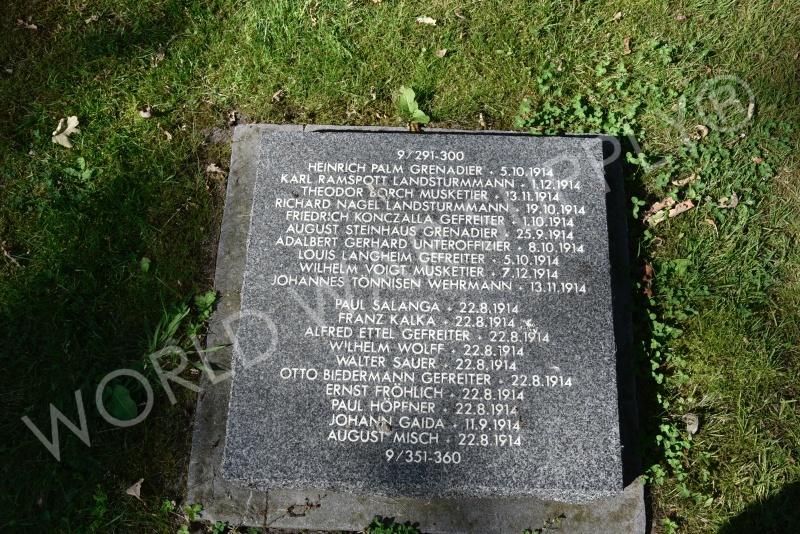 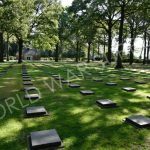 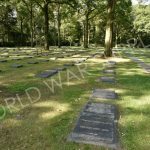 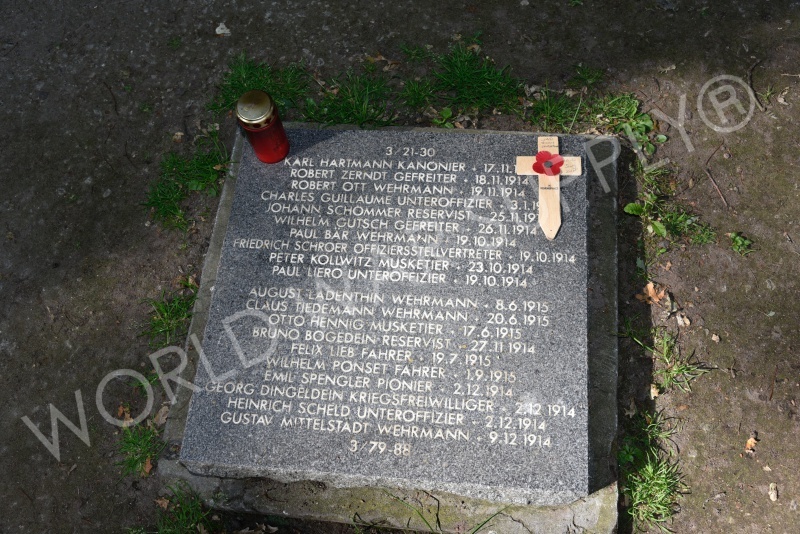 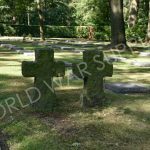 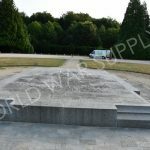 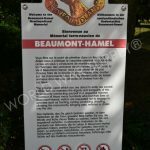 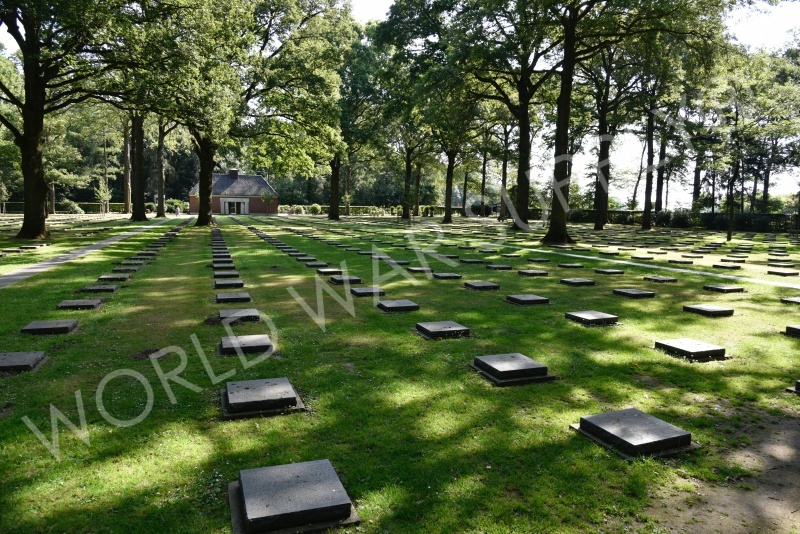 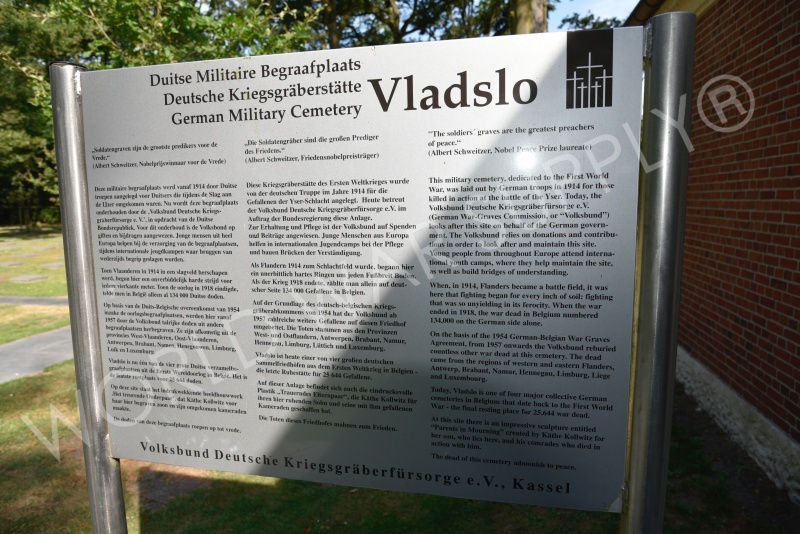 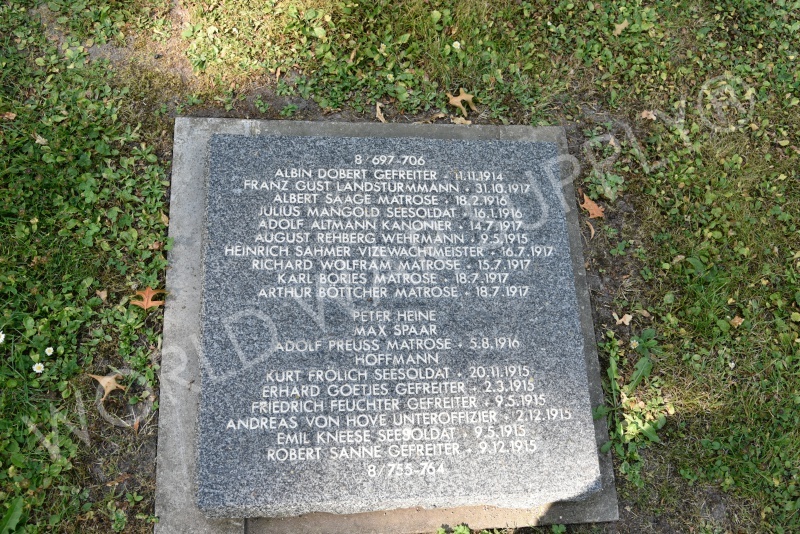 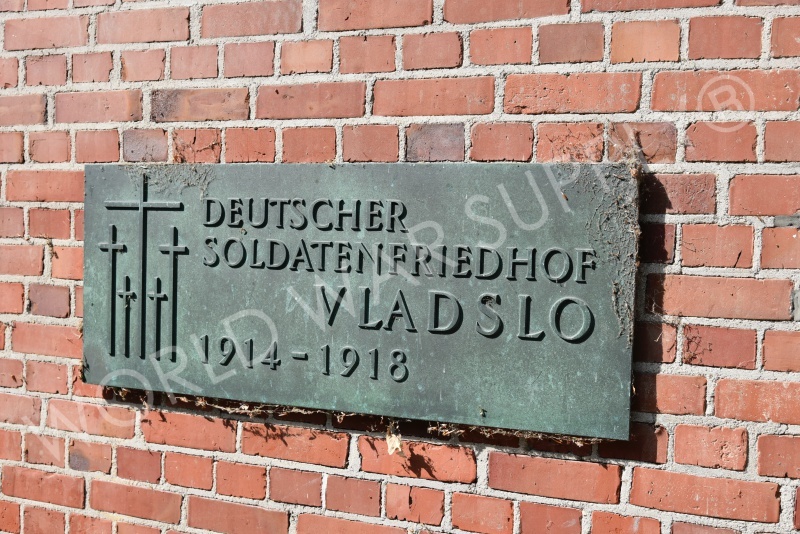 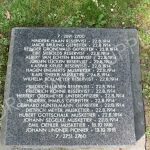 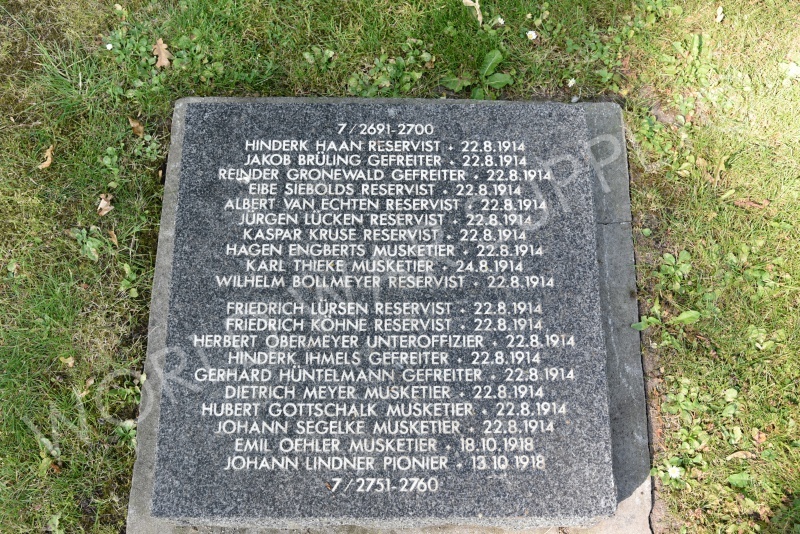 This German cemetery in Belgium honors German soldiers fallen in WW1. 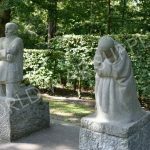 The most interesting feature about this cemetery is the statues of the grieving parents in the back. 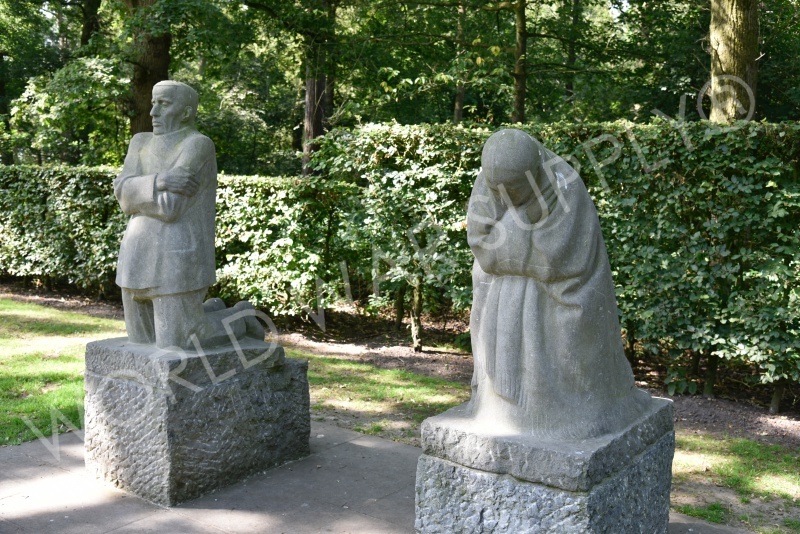 The artist, Kathe Kollwitz, made these statues for her son who was buried there after he died in the battles of WW1. 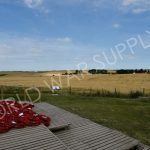 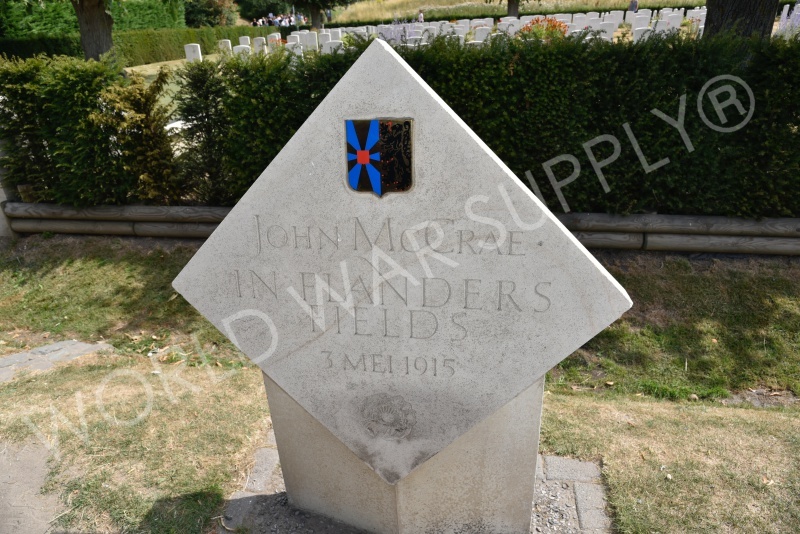 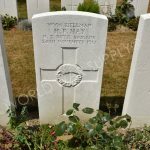 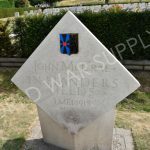 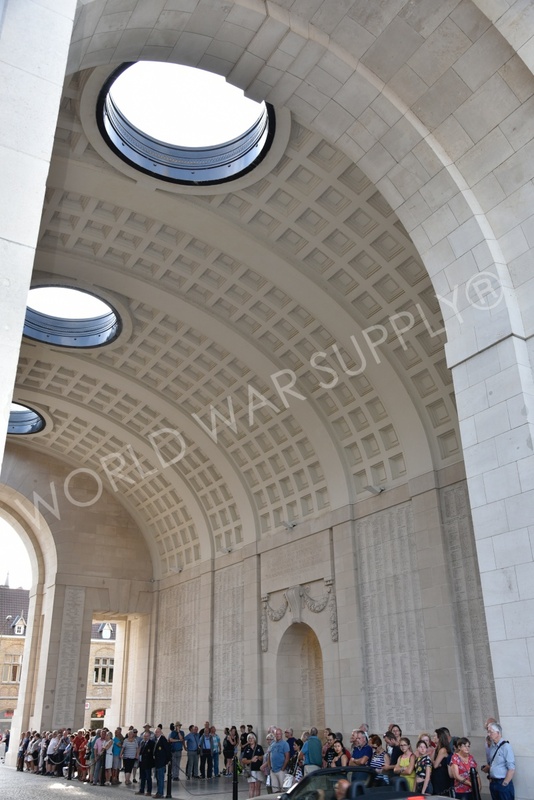 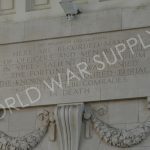 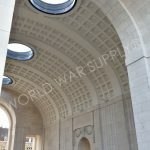 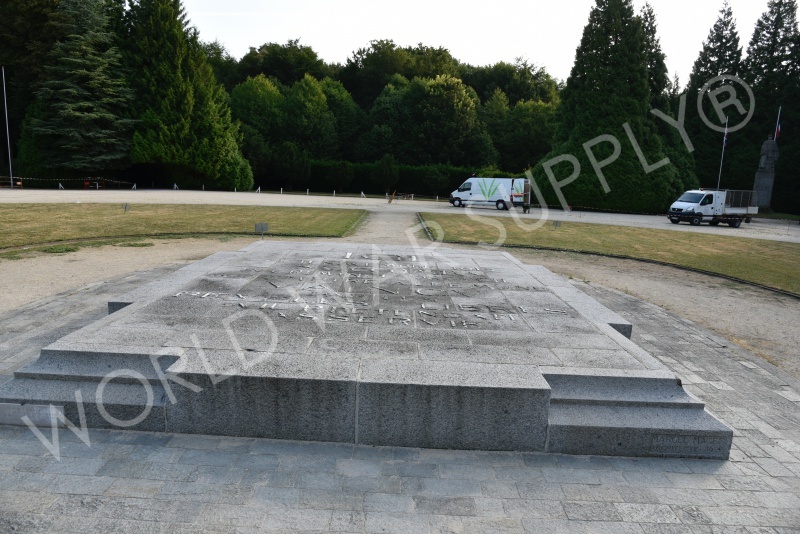 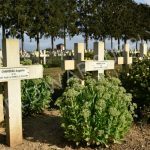 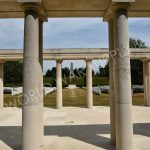 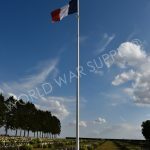 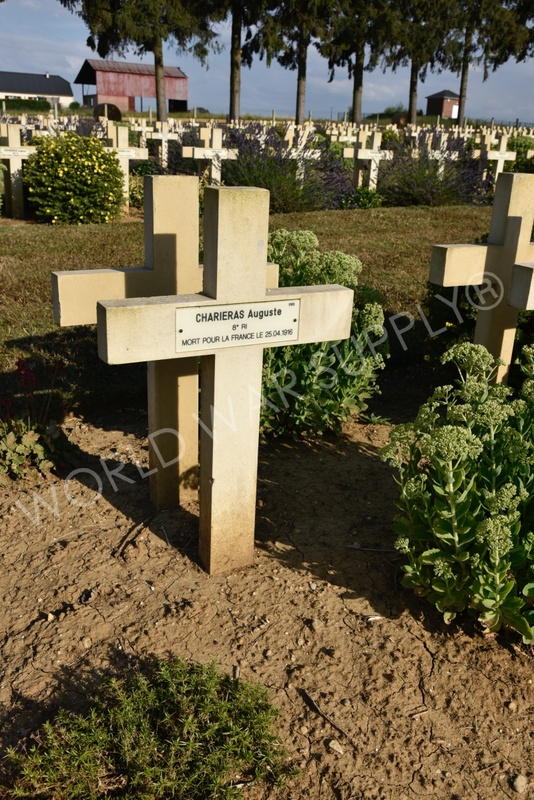 This site holds the bodies of soldiers who lost their lives in WW1. 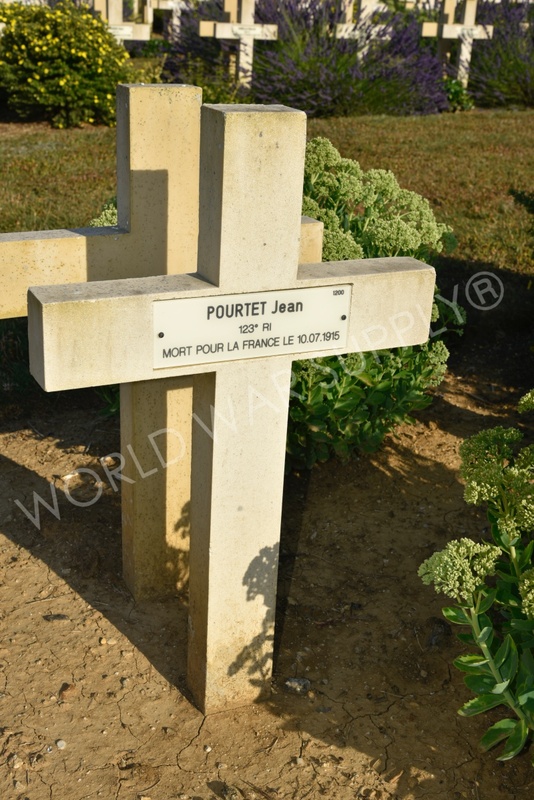 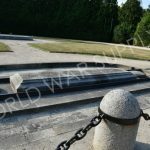 Thousands of French soldiers lie here along with 54 Russian soldiers. 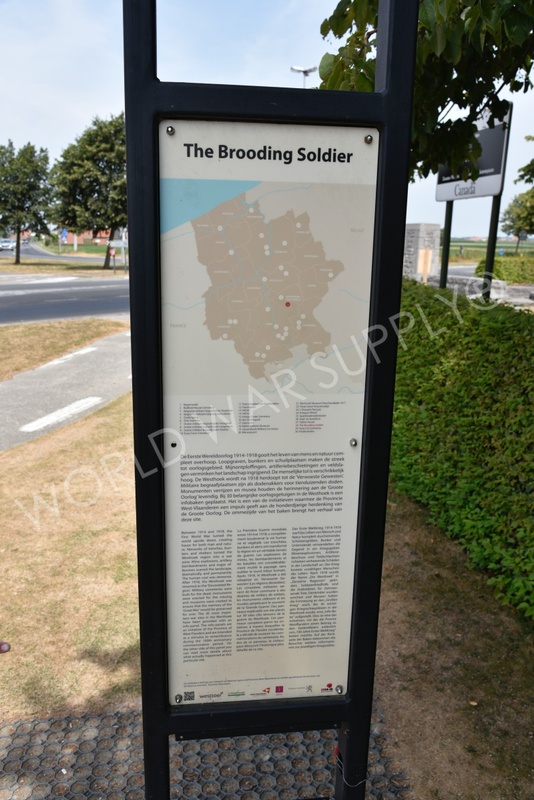 These soldiers died in this area and this site honors them.